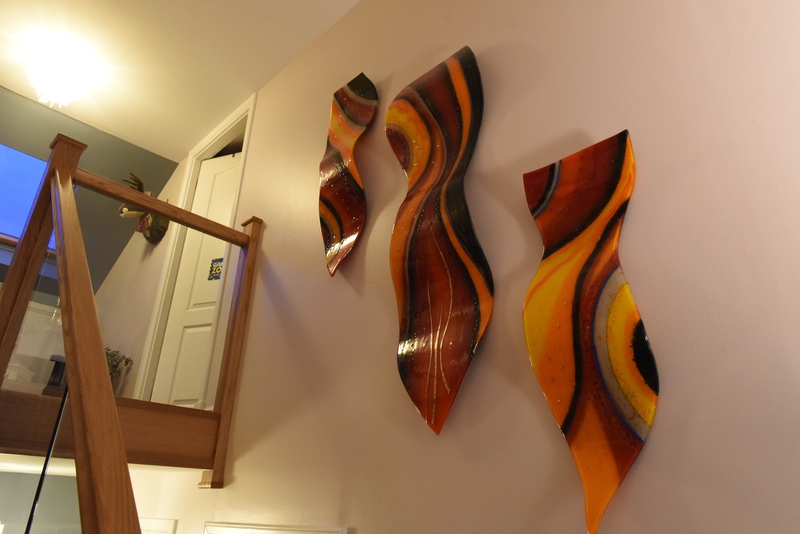 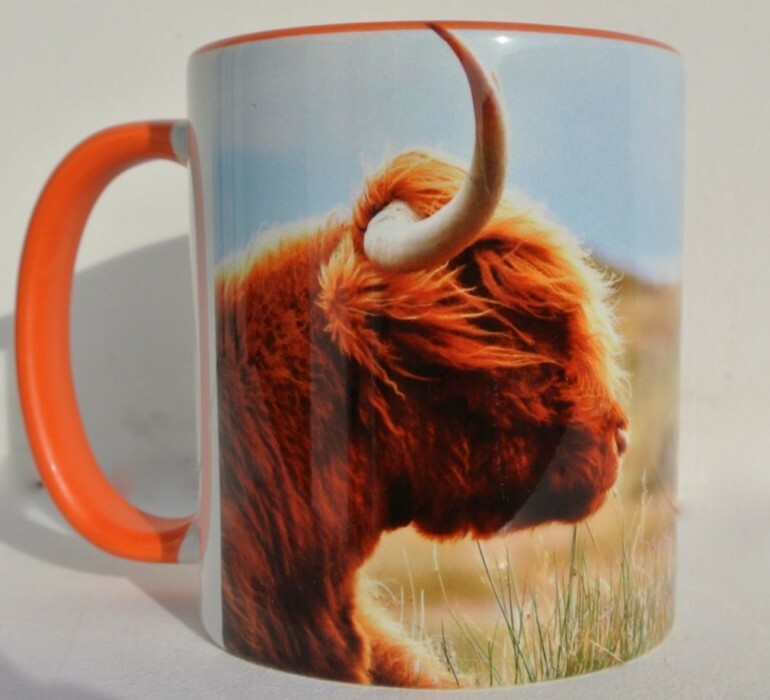 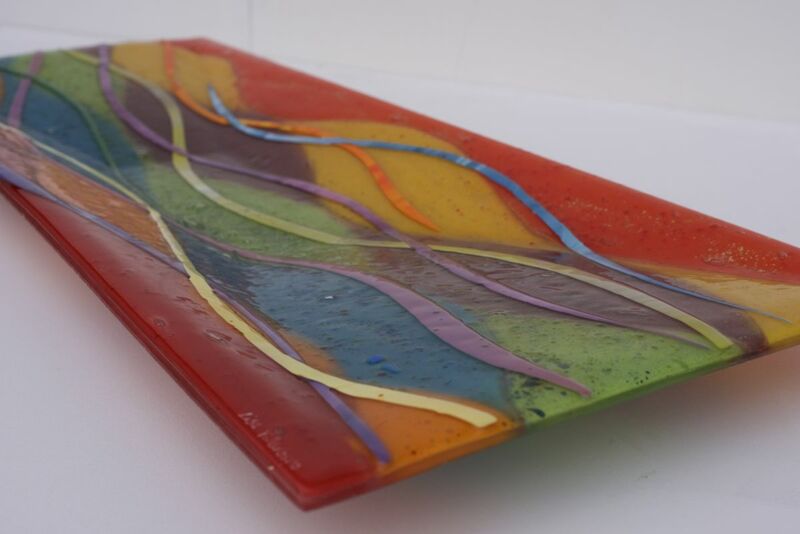 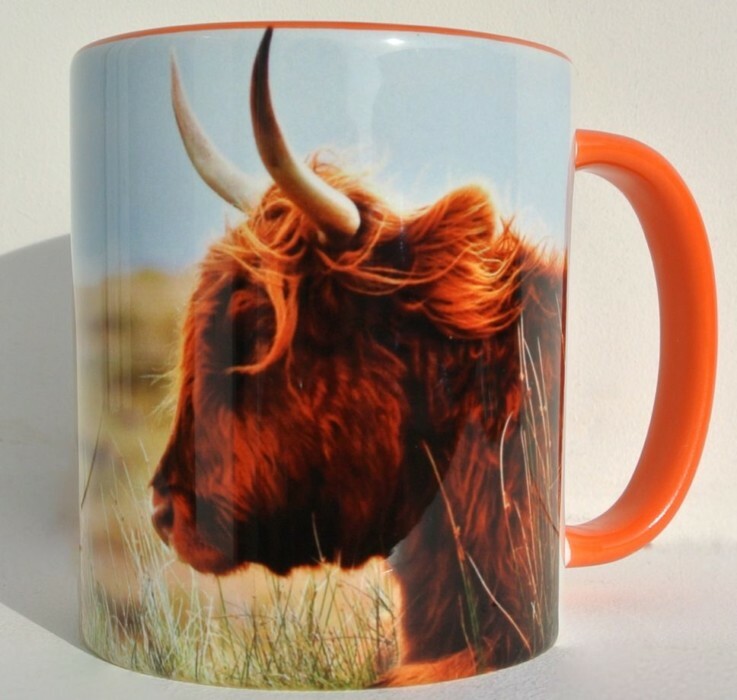 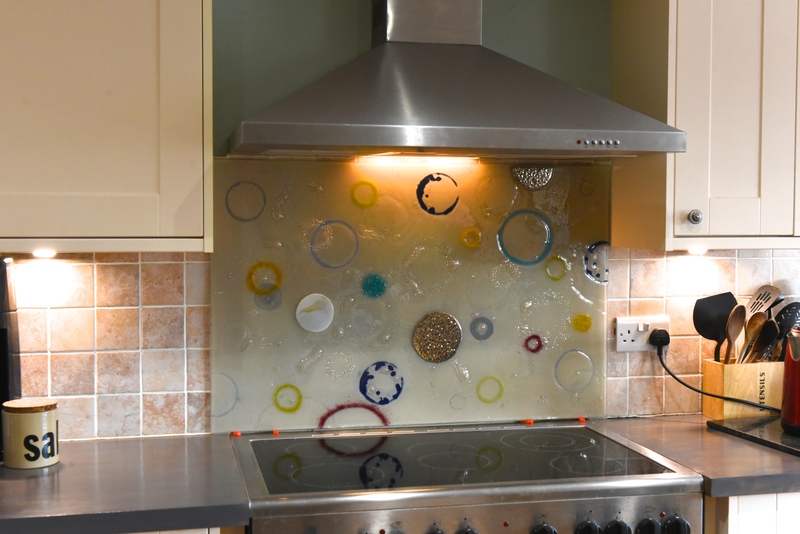 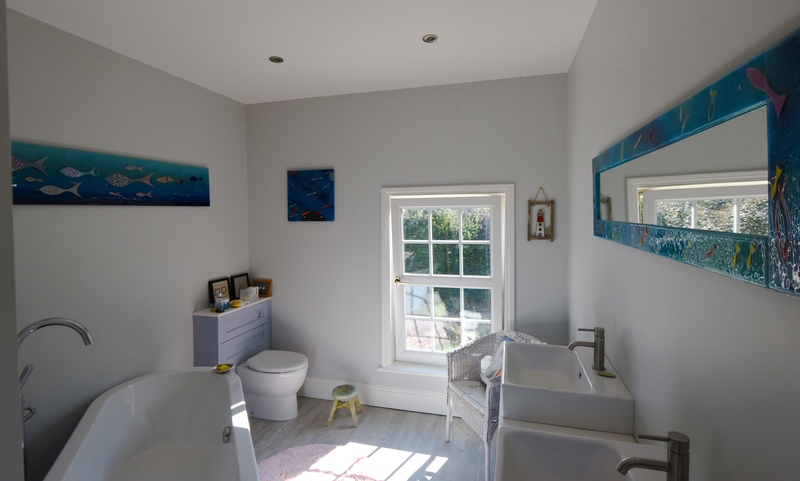 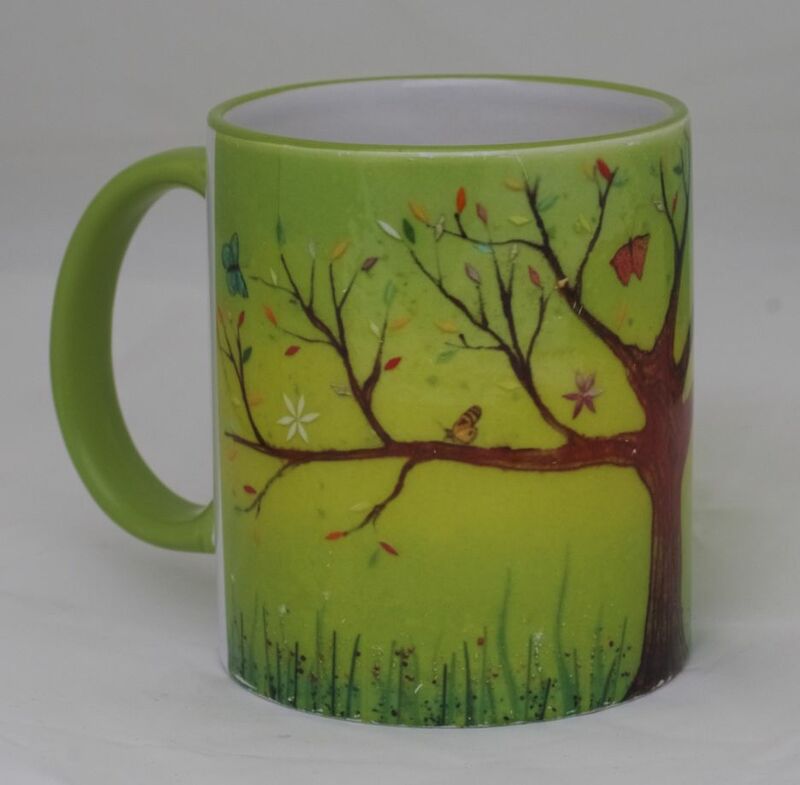 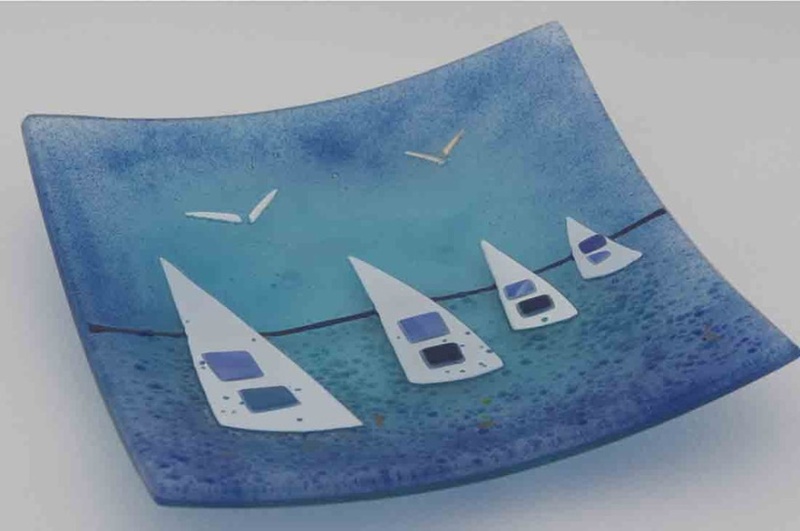 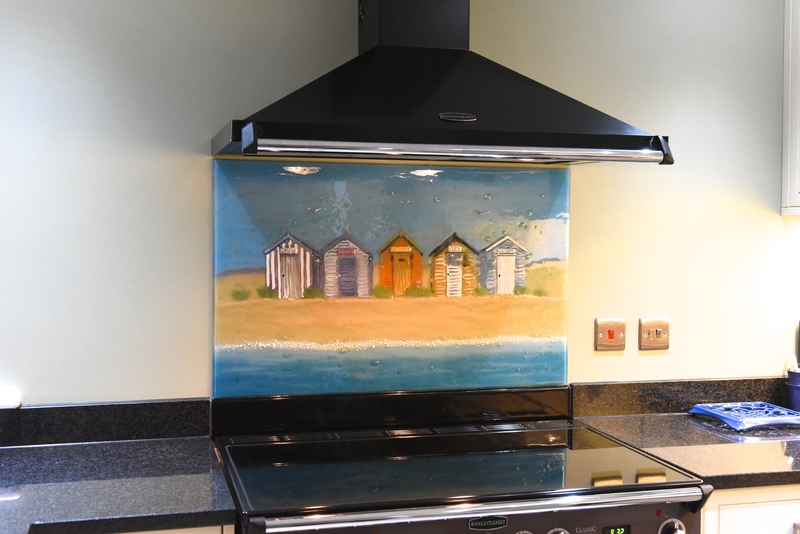 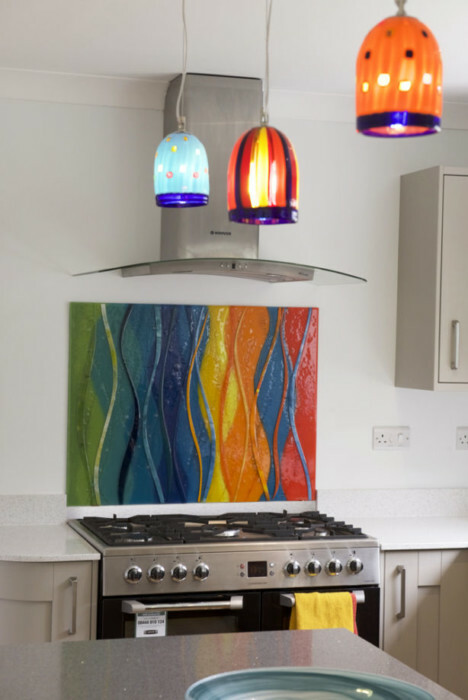 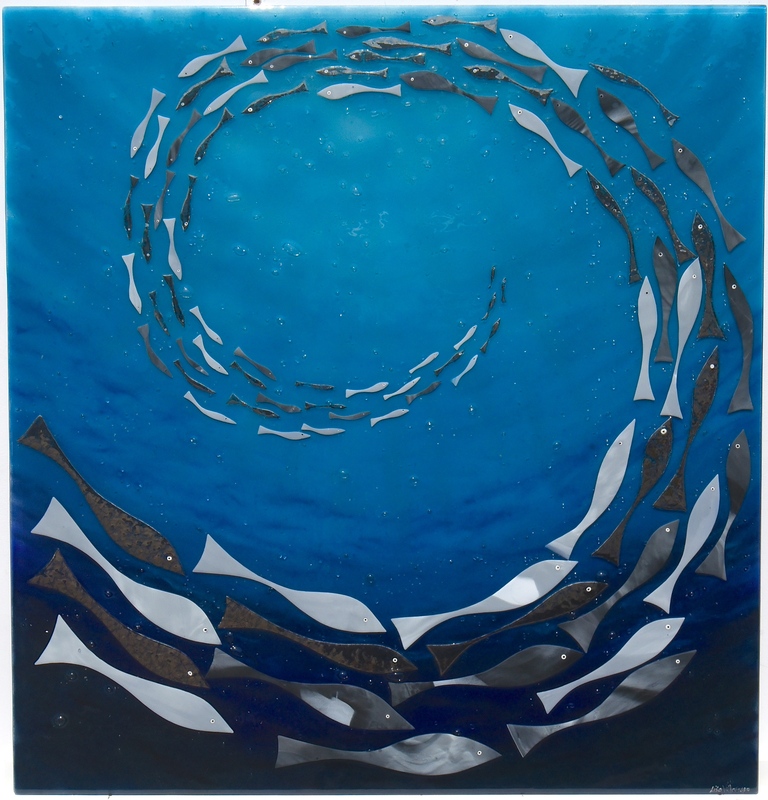 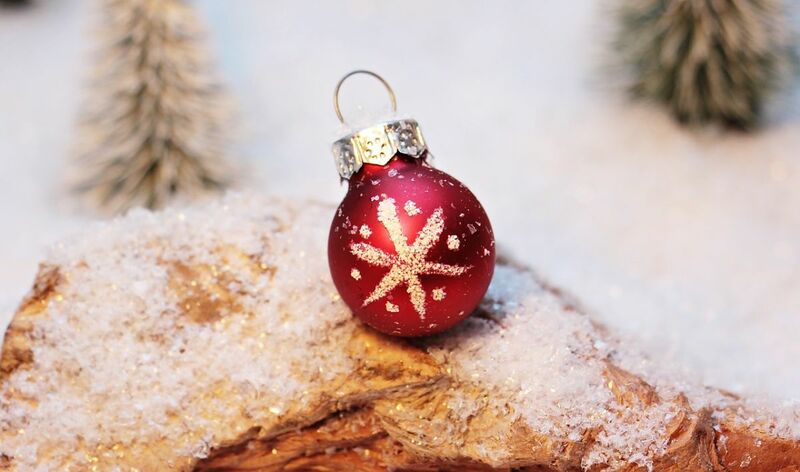 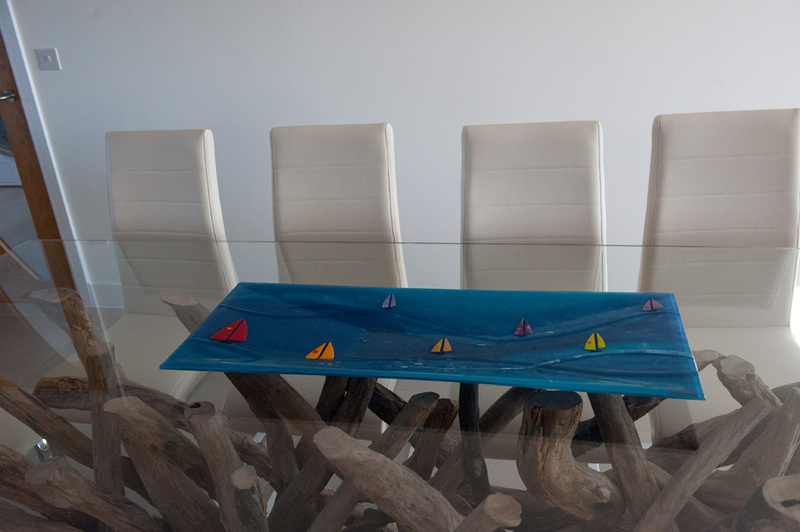 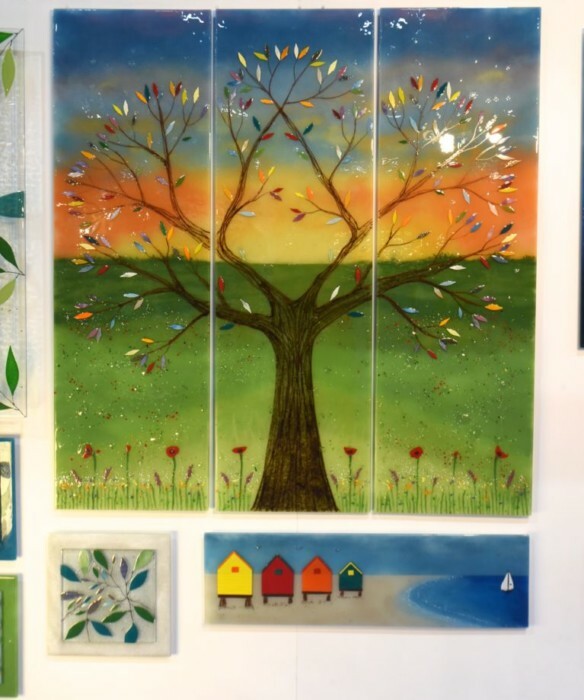 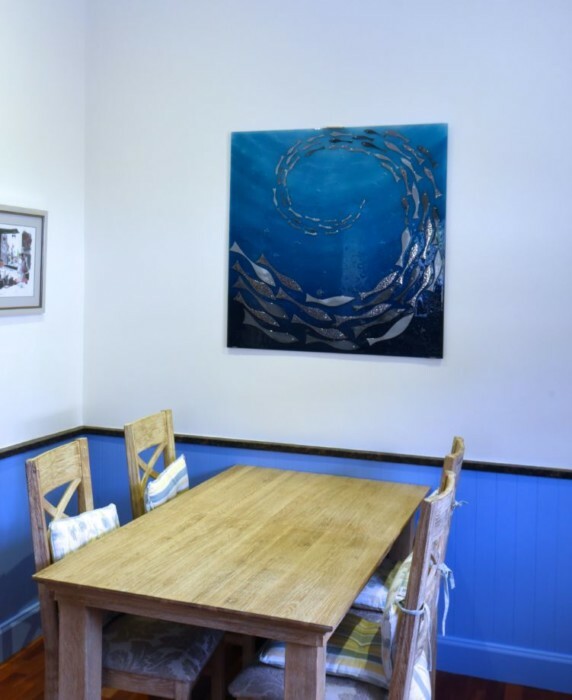 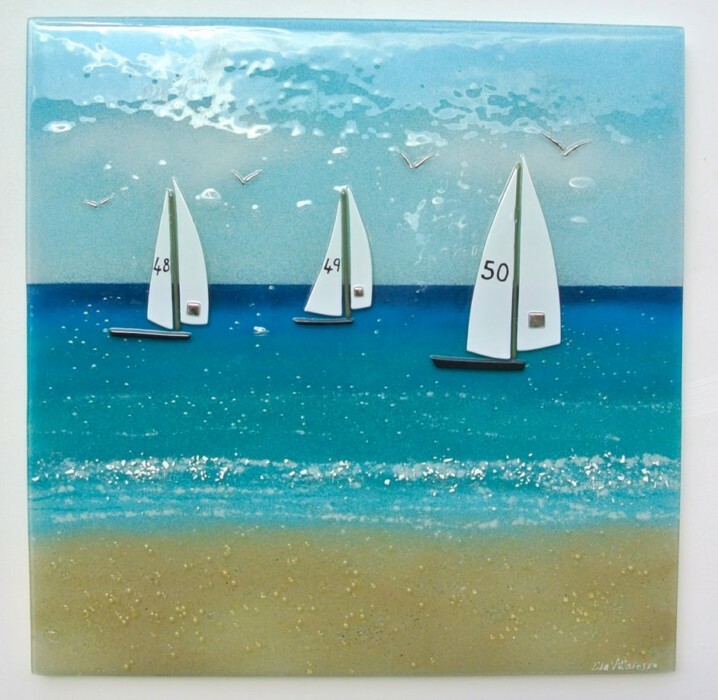 When it comes to fused glass accessories, we here at The House of Ugly Fish have a wide range of products of all shapes, sizes, colours, designs and more. 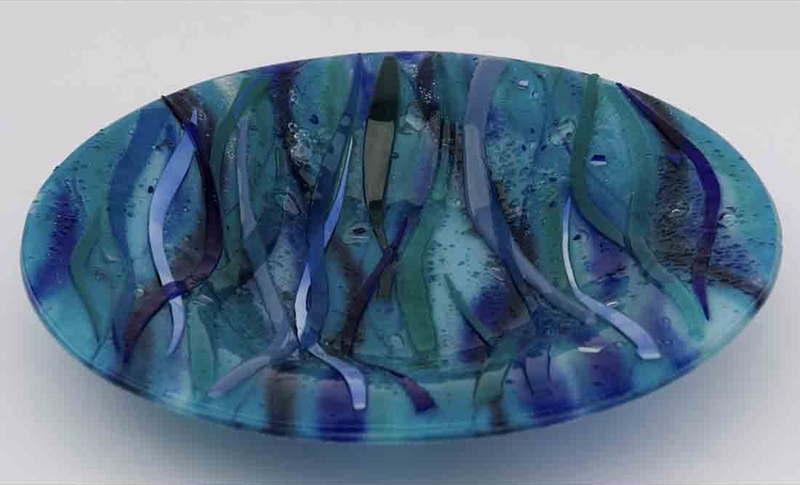 From table decorations like sets of coasters all the way to decorative fruit bowls and soap dishes, there’s a tremendous variety to be found in our stock. 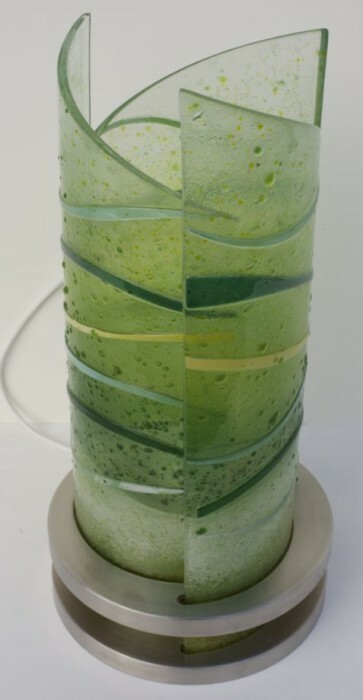 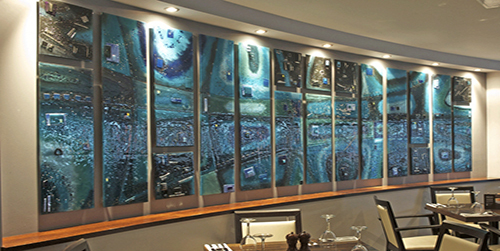 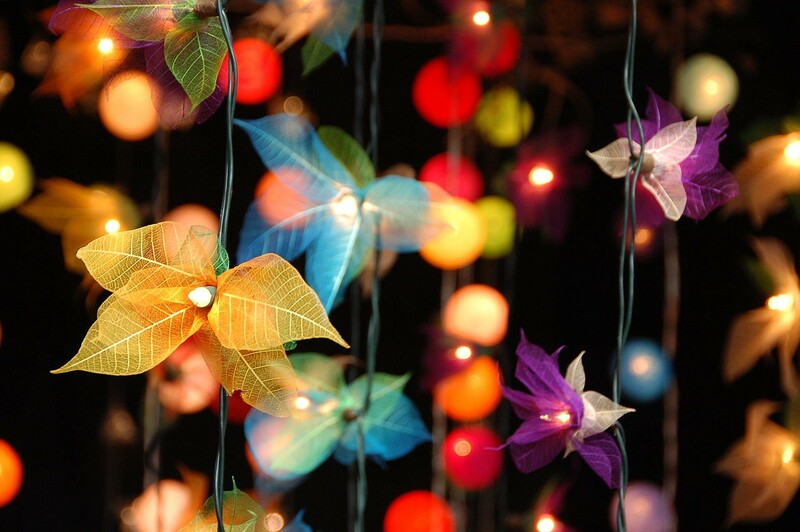 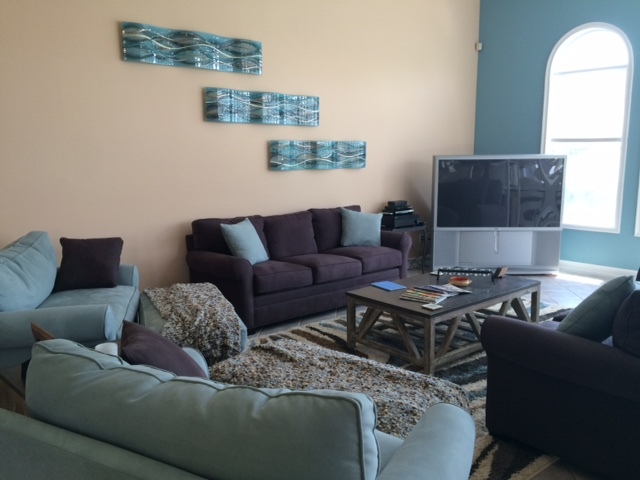 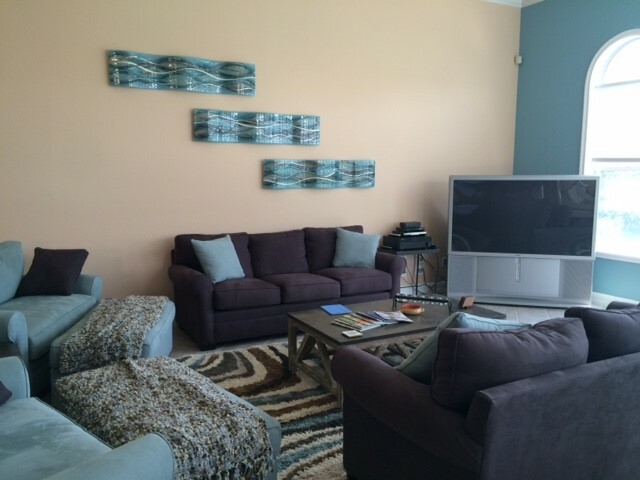 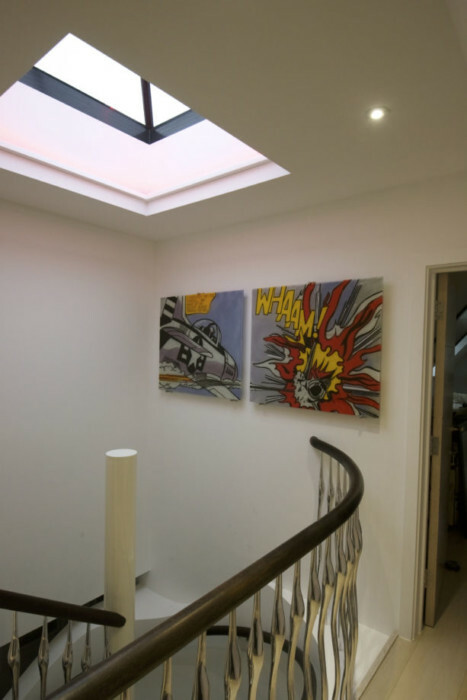 You might even have your eyes on something especially unique, like our Rospo lights! 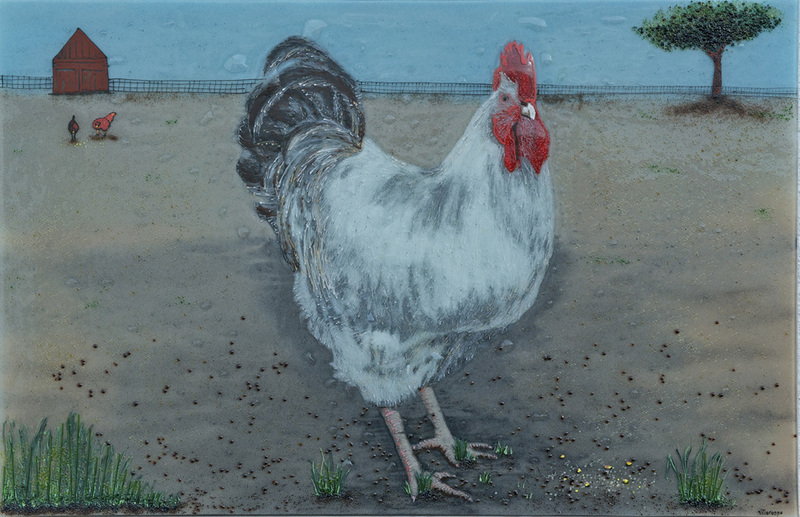 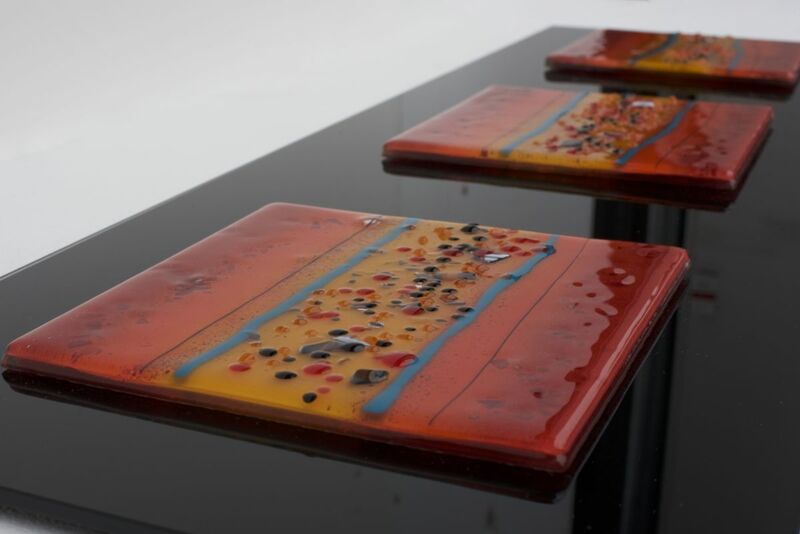 Take the image above as a great example of a set of six coasters, perfect for breaking out when you have guests round and you’d love to put a smile on their faces. 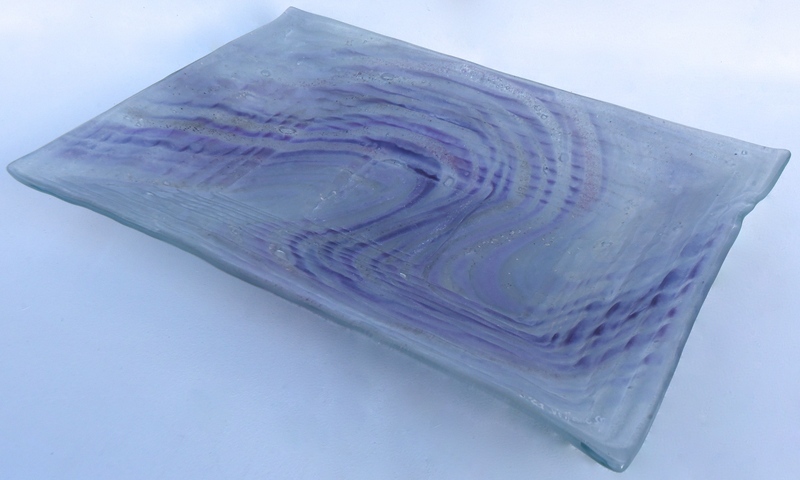 Your own coasters could look totally different, too! 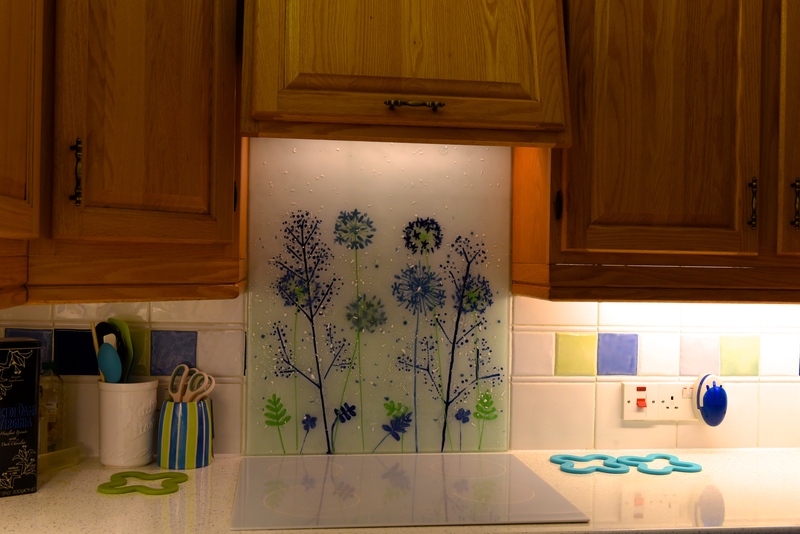 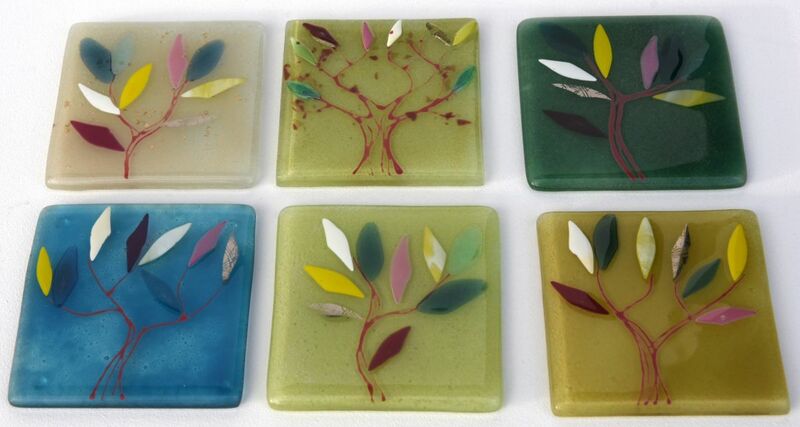 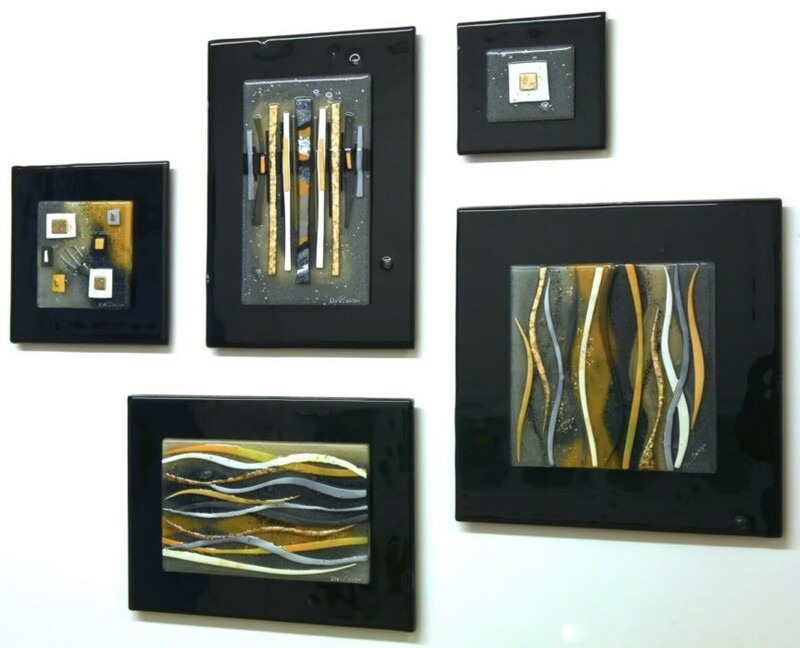 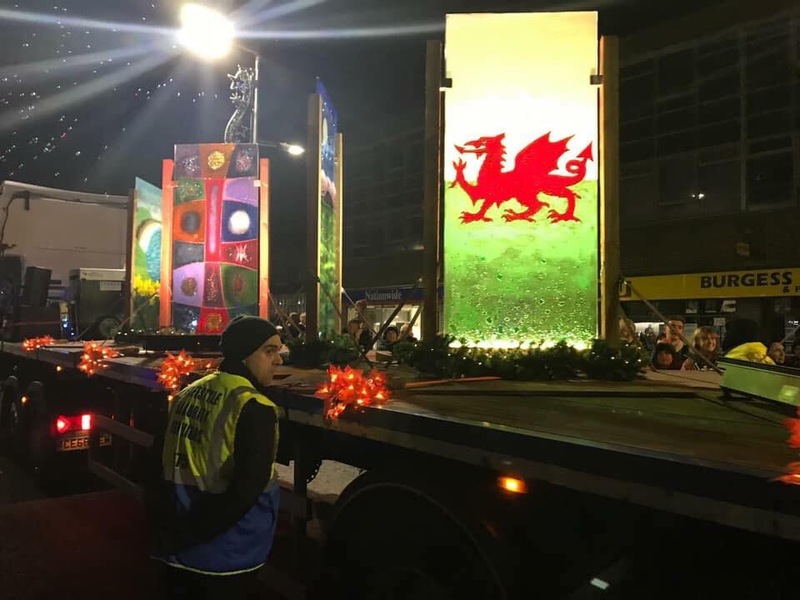 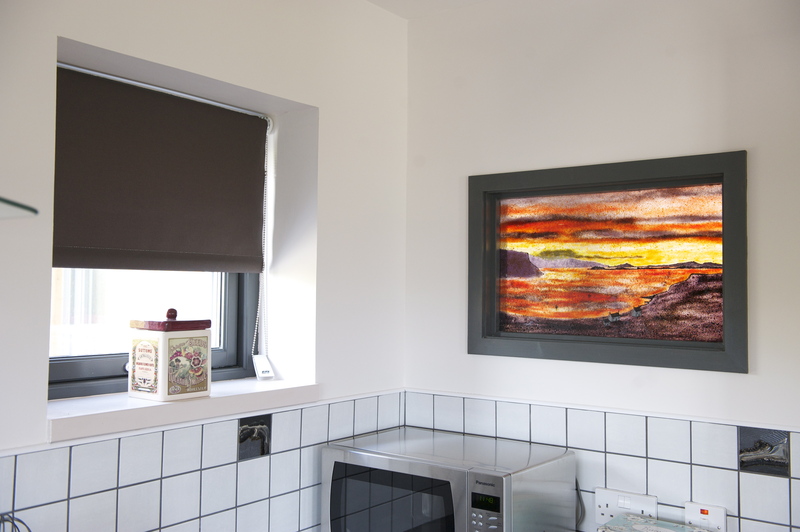 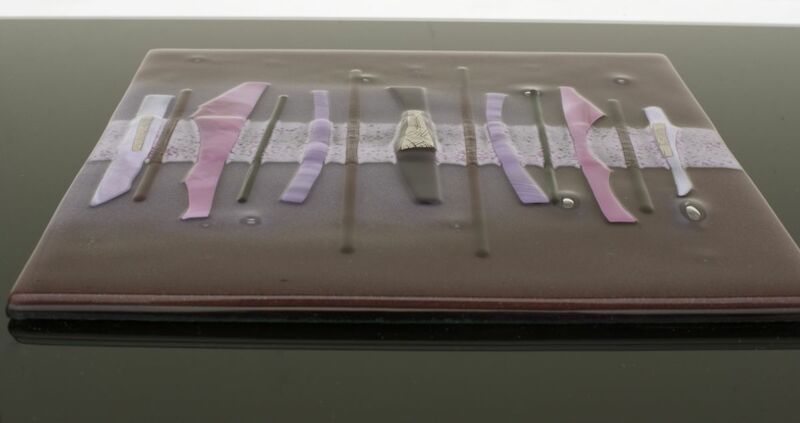 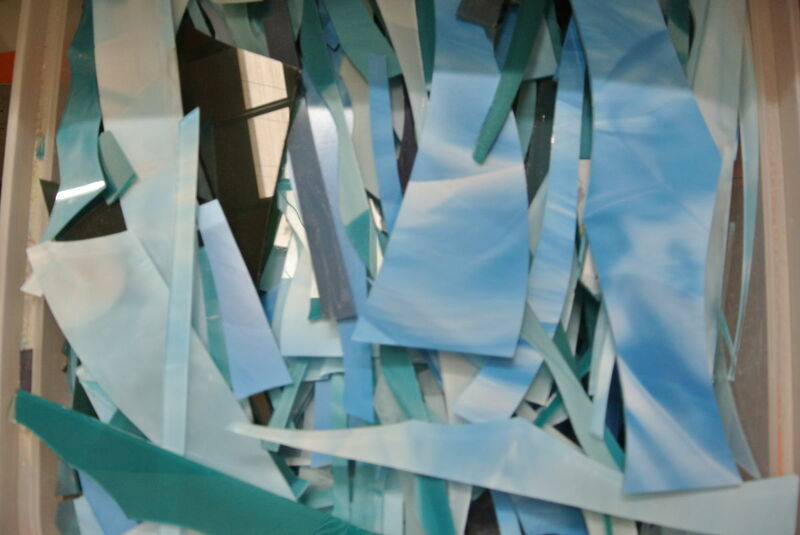 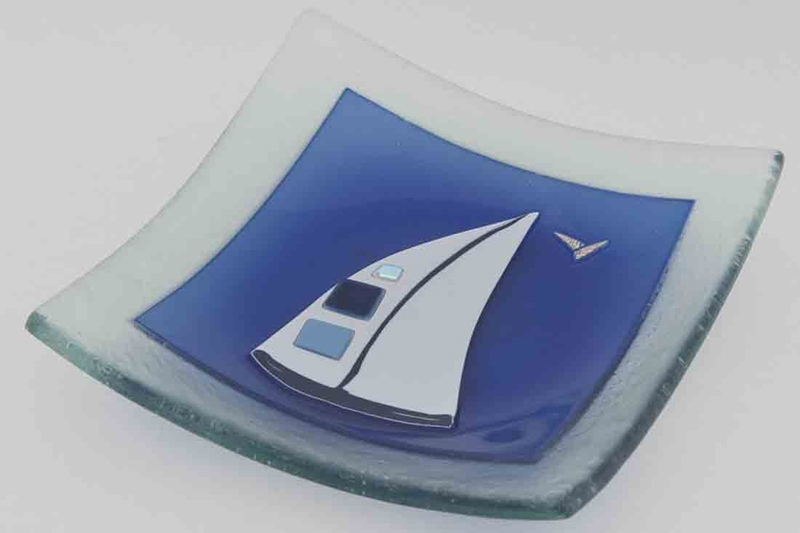 While our fused glass accessories are something we’re extremely proud to offer, they’re certainly not the only kind of products that we create. 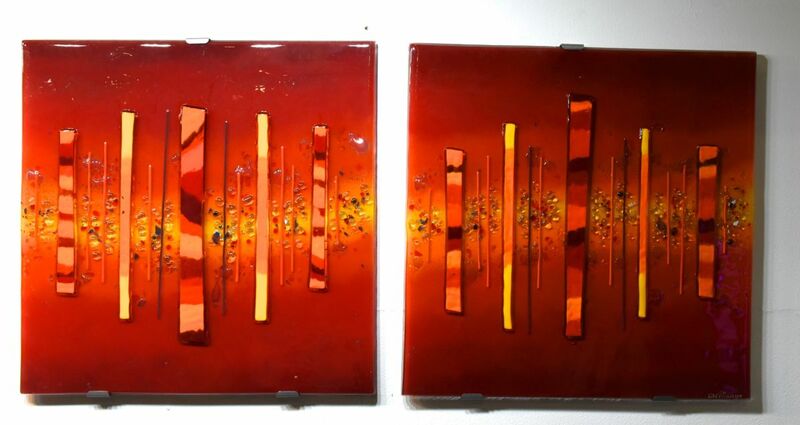 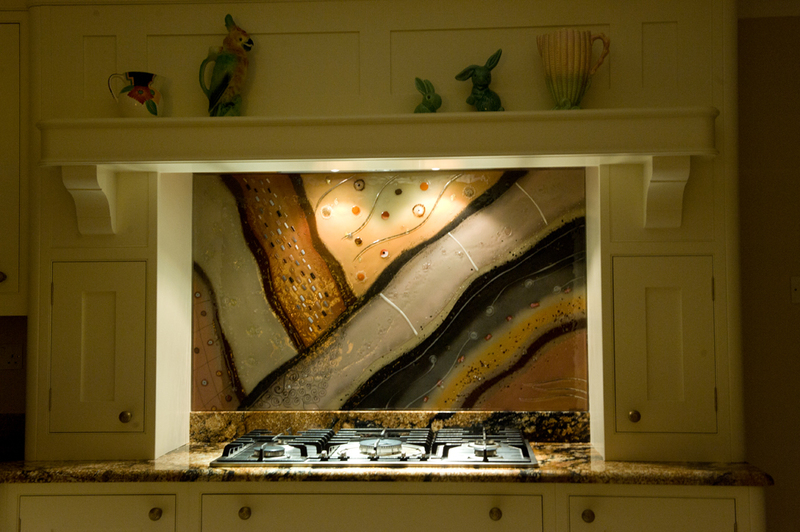 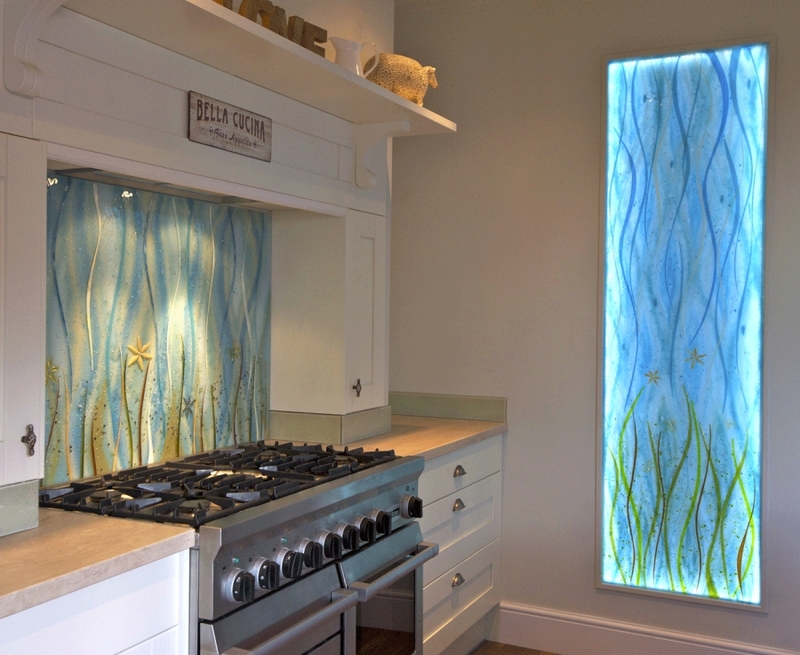 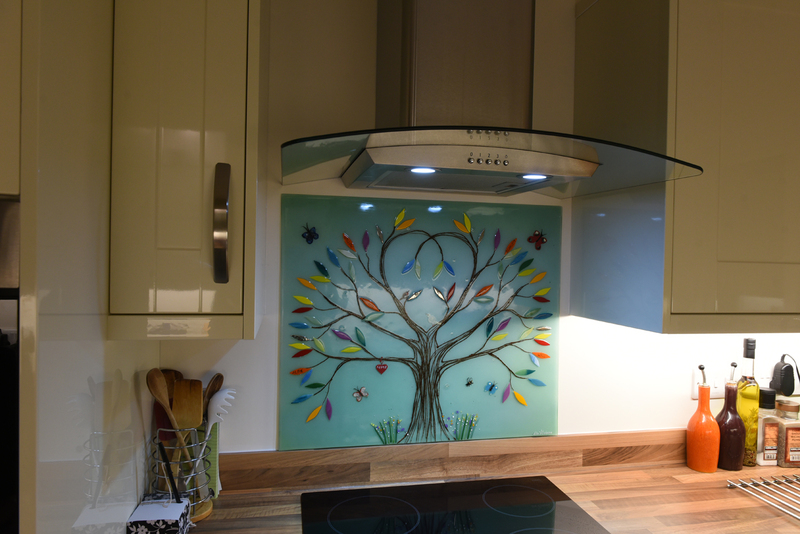 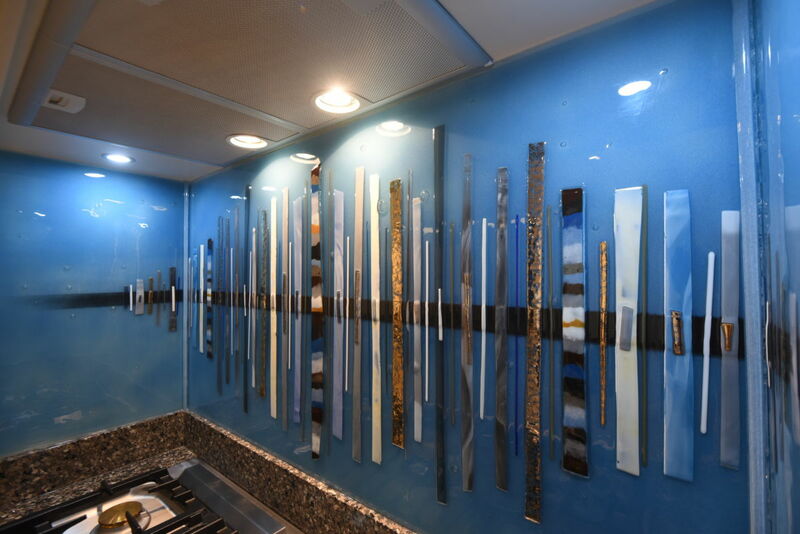 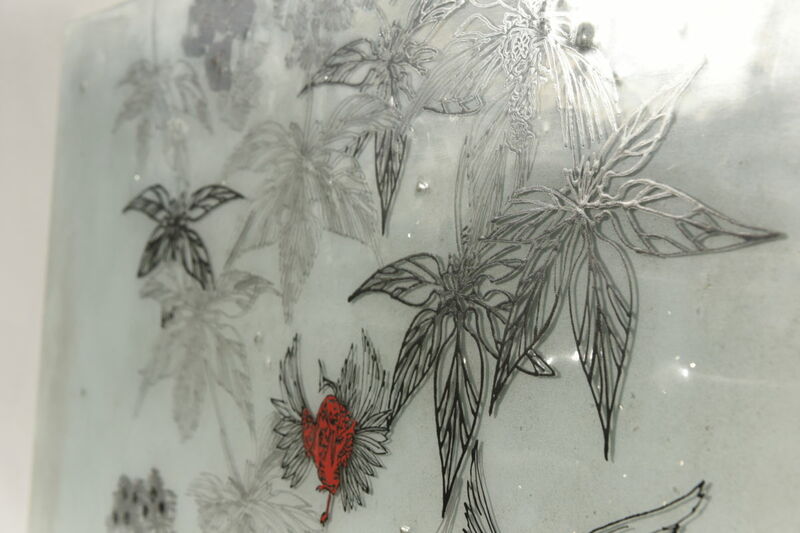 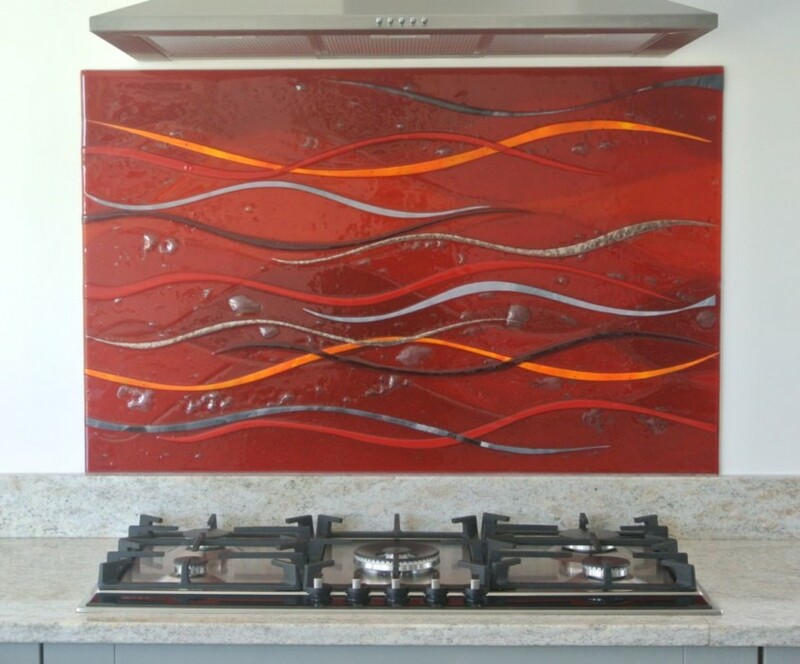 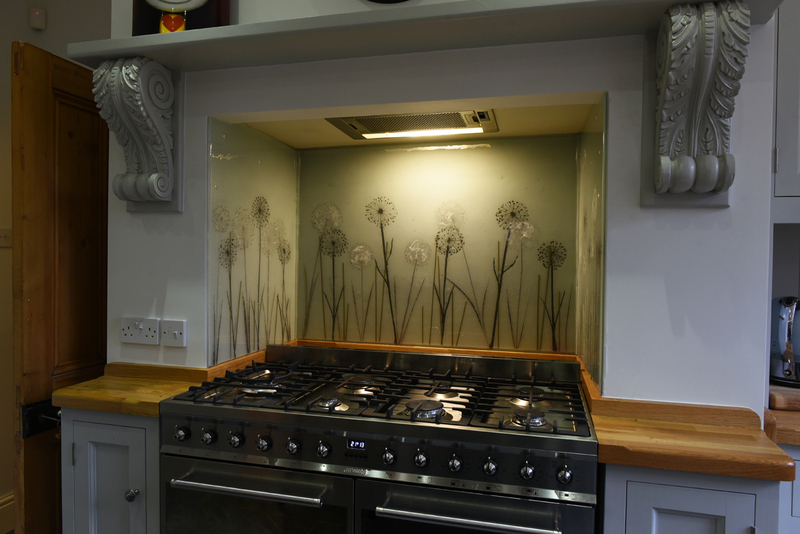 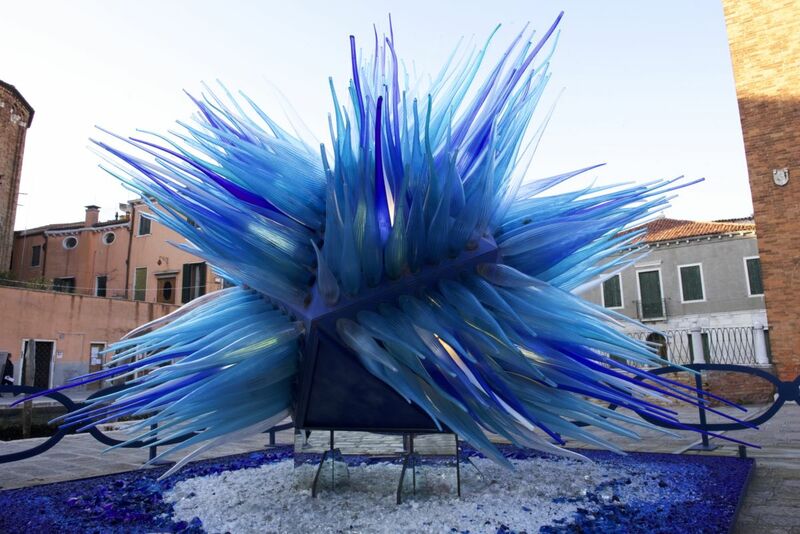 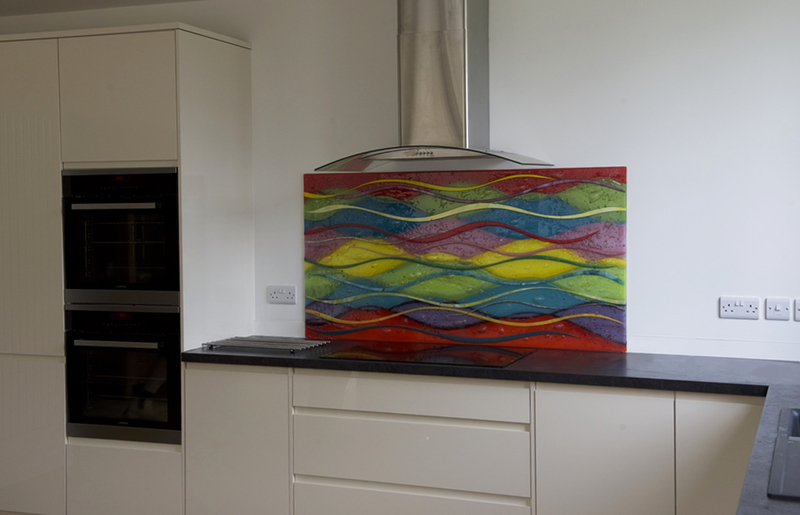 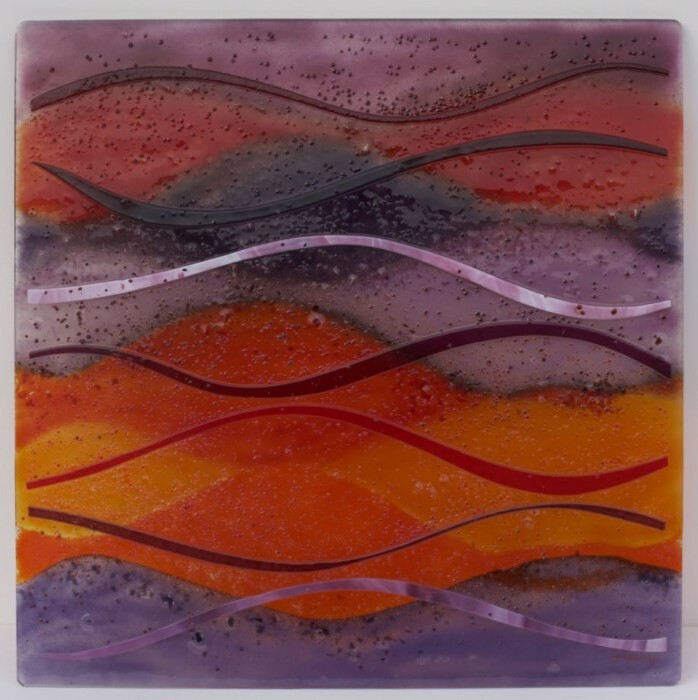 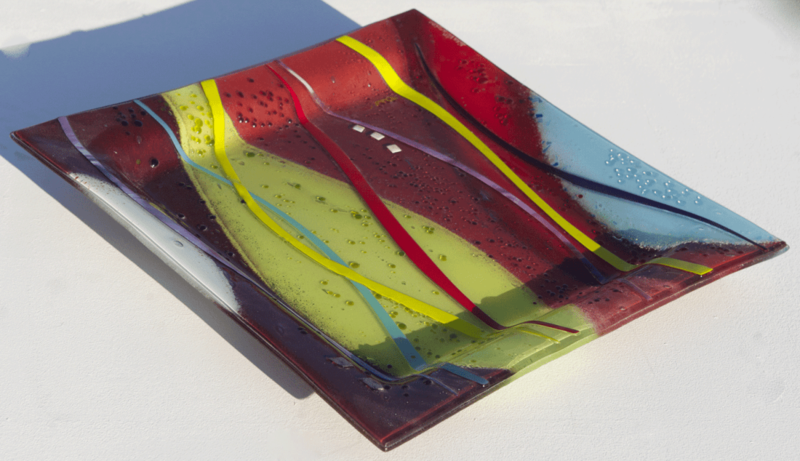 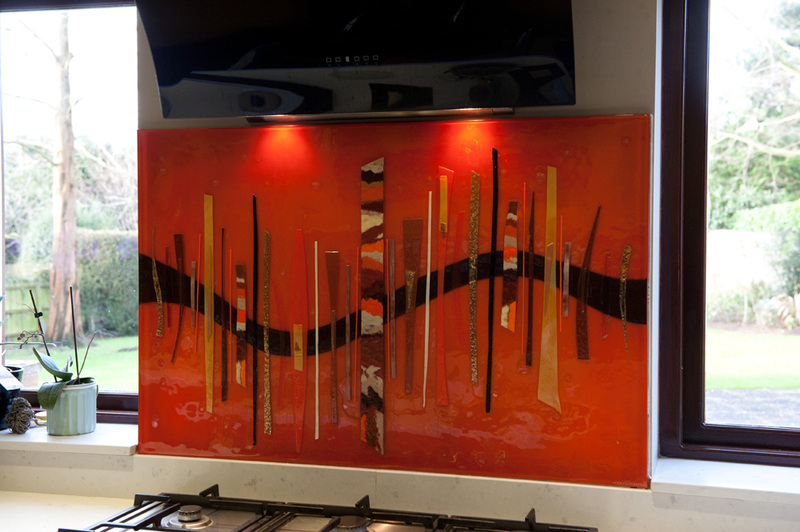 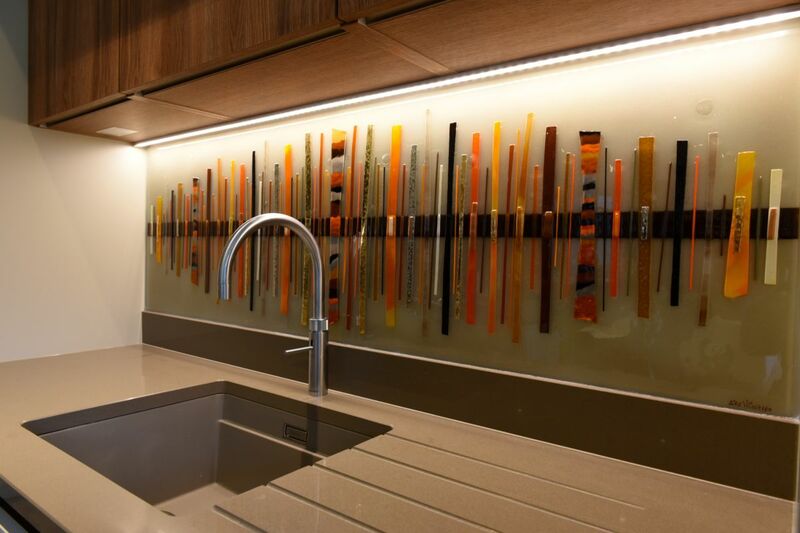 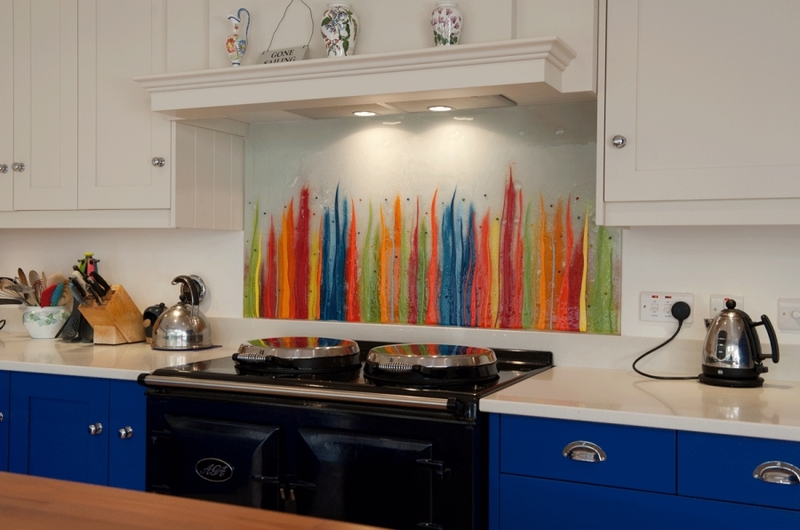 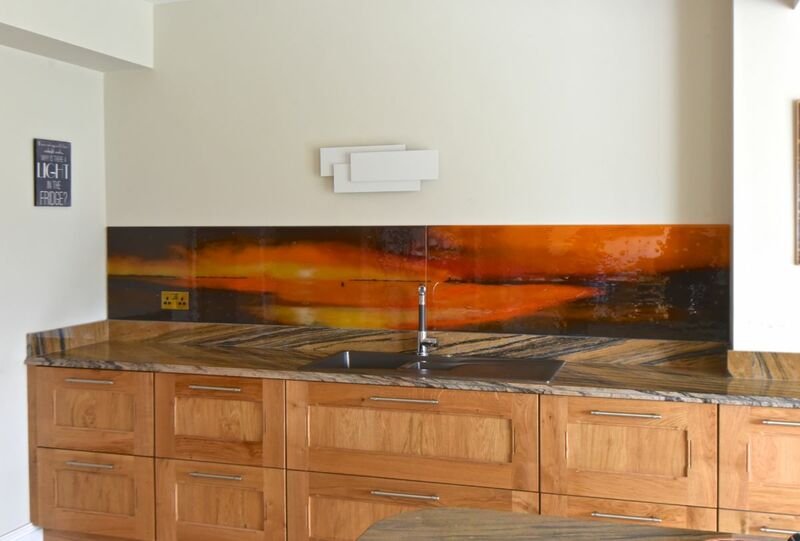 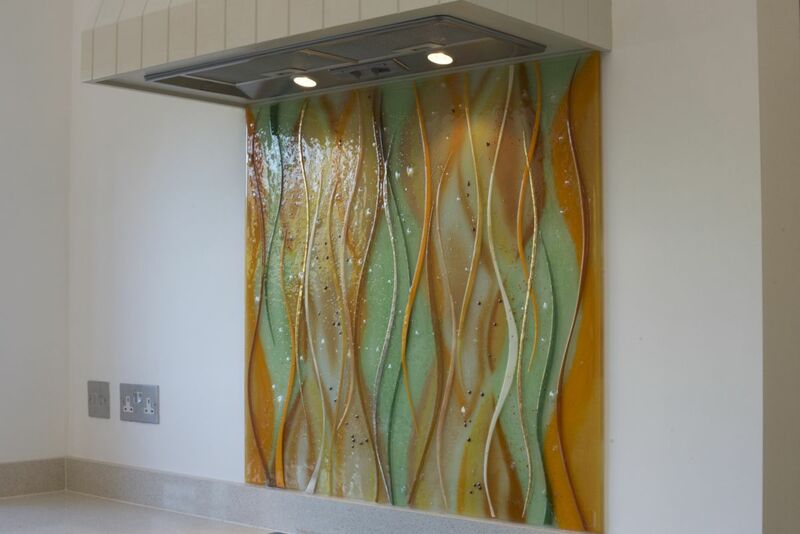 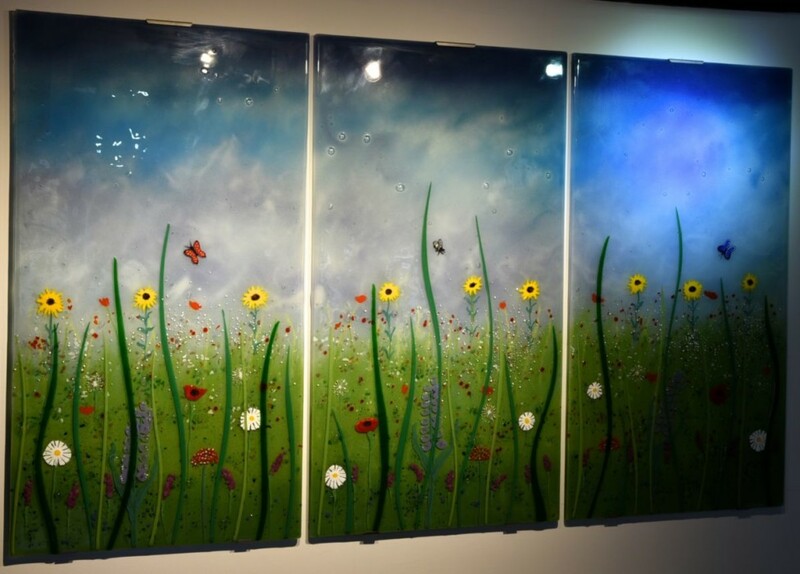 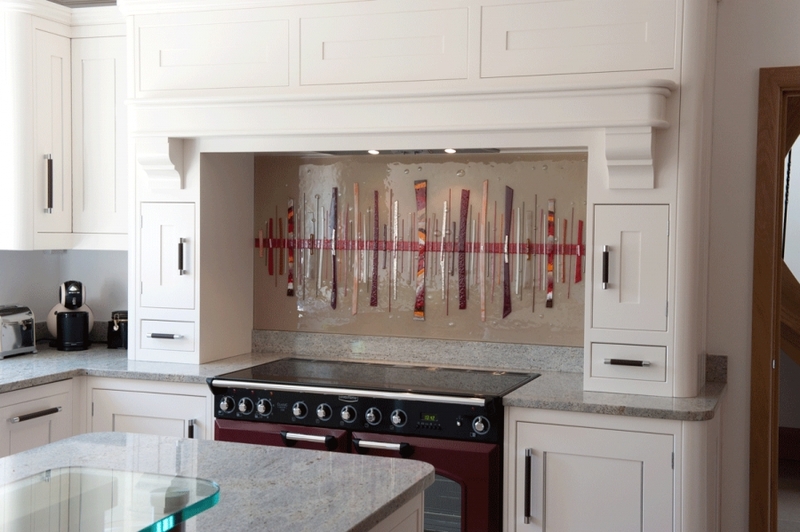 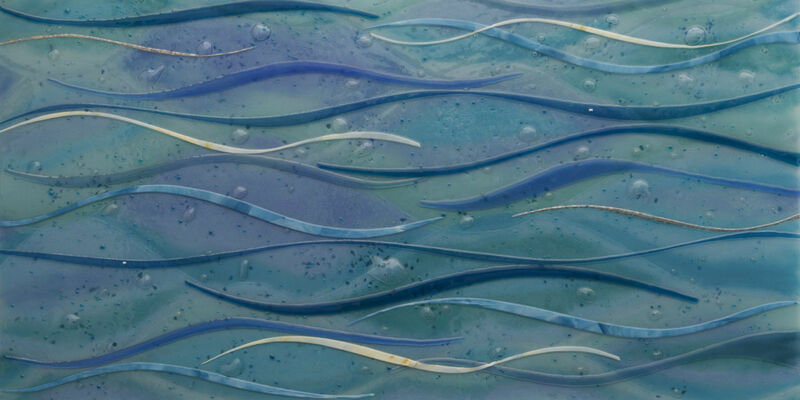 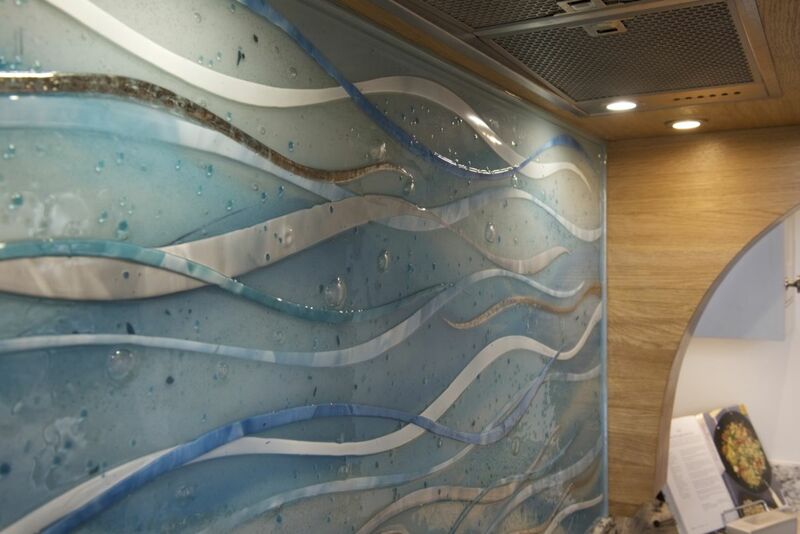 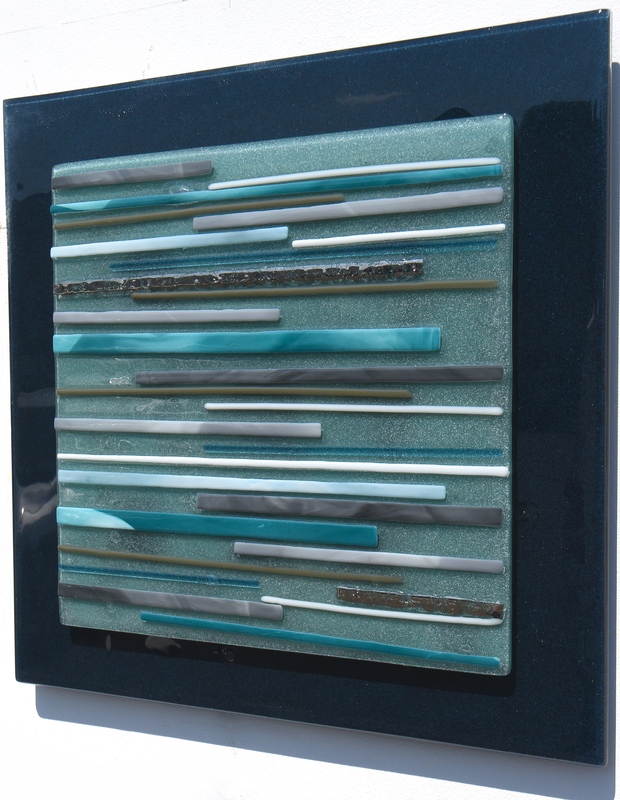 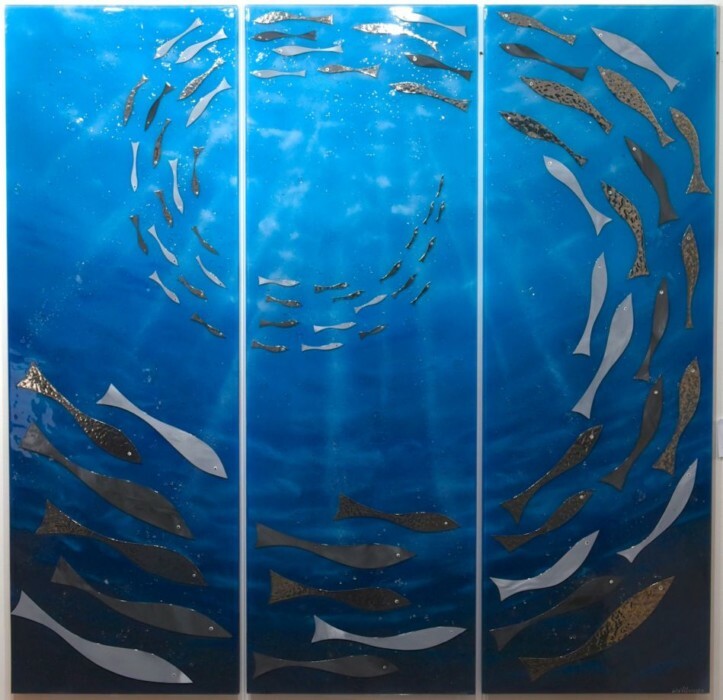 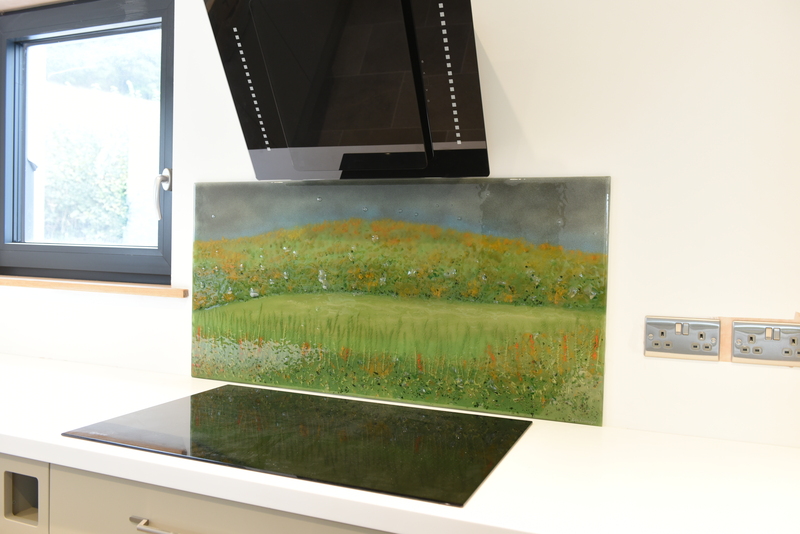 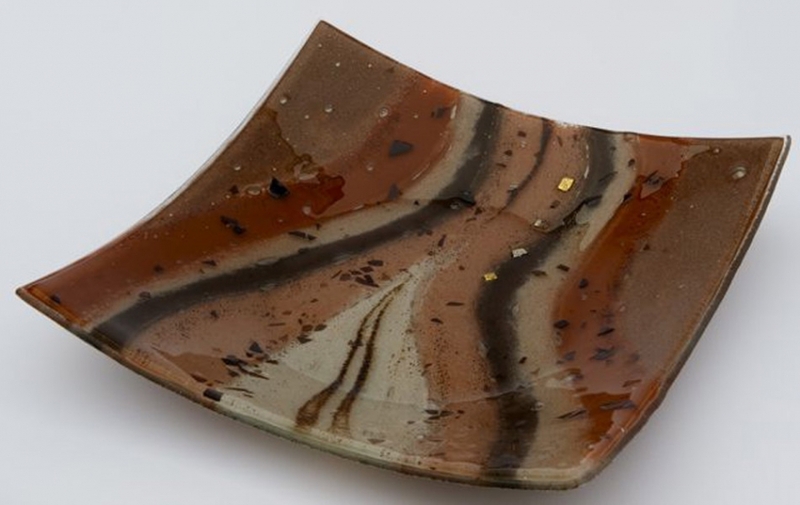 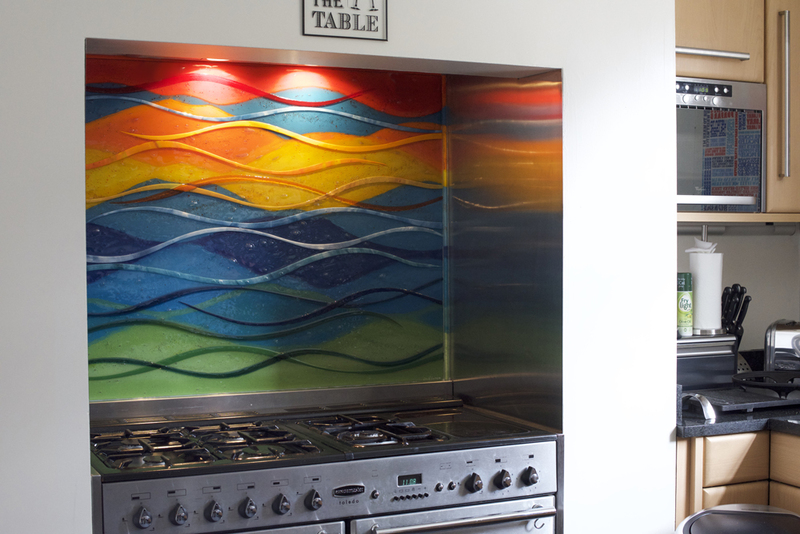 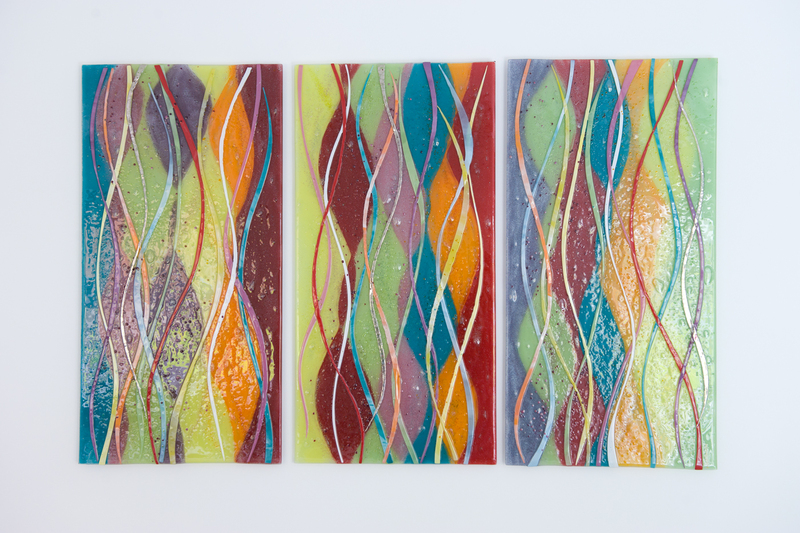 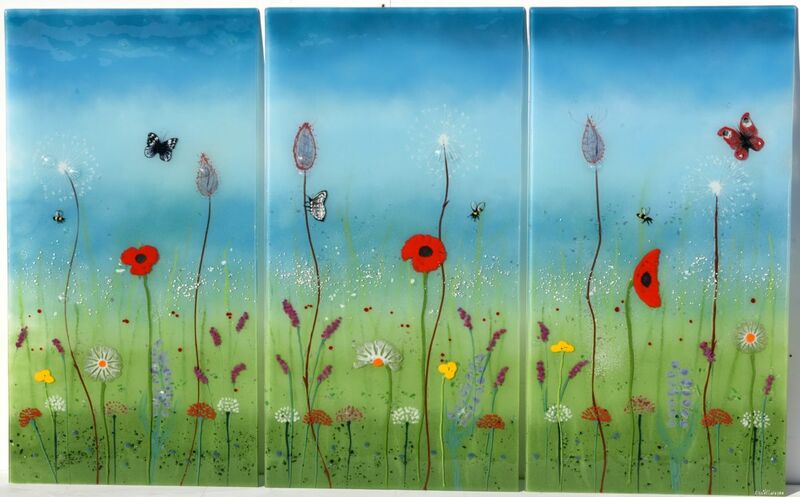 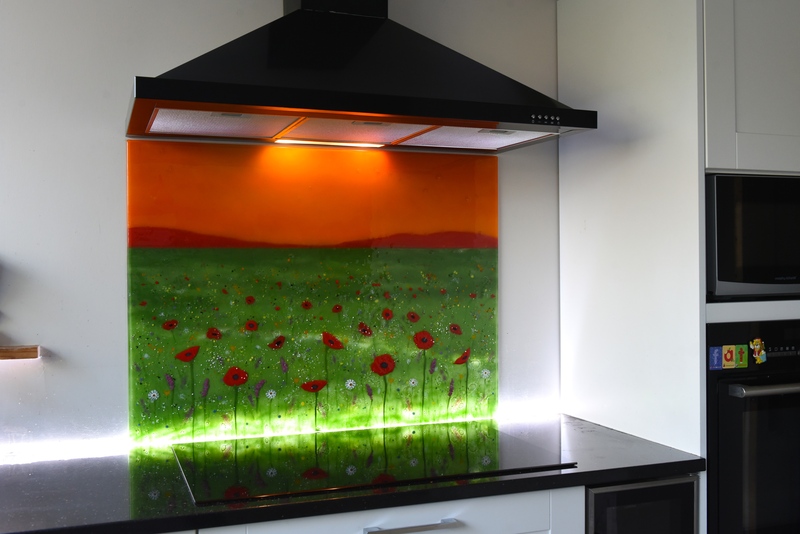 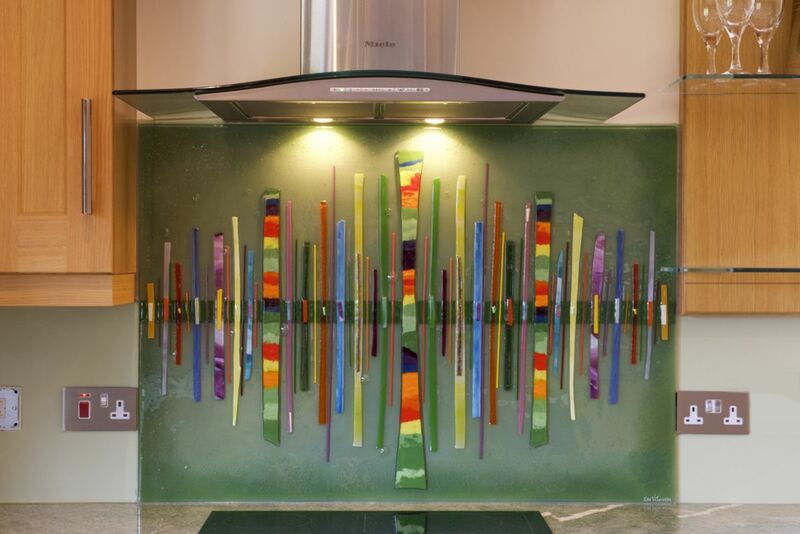 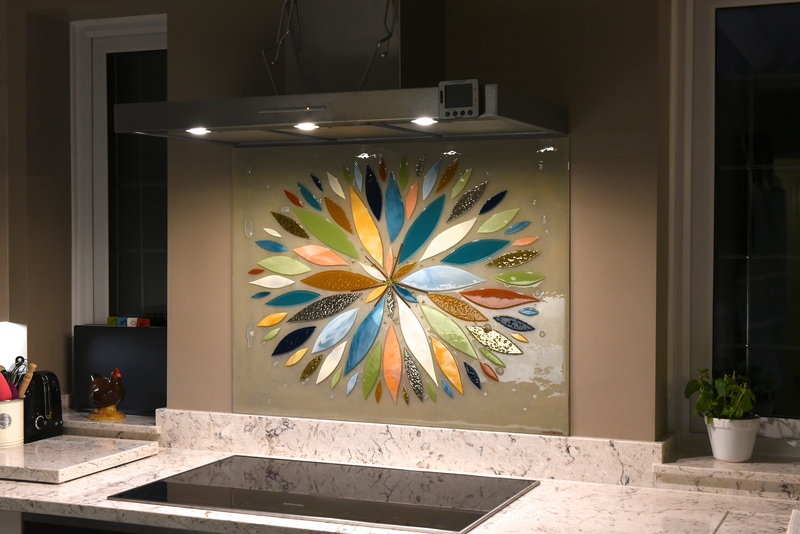 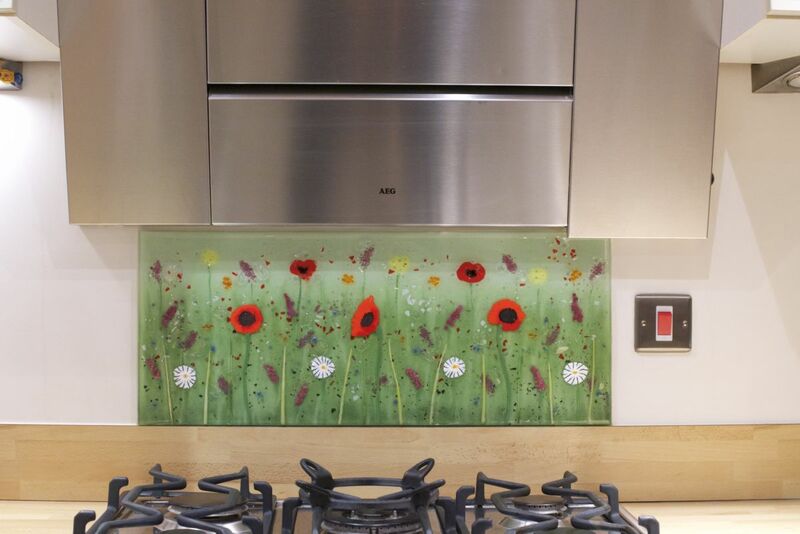 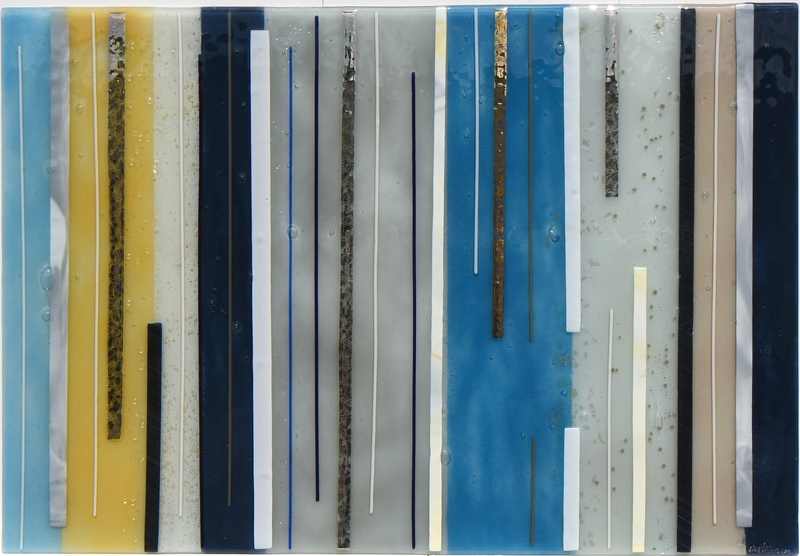 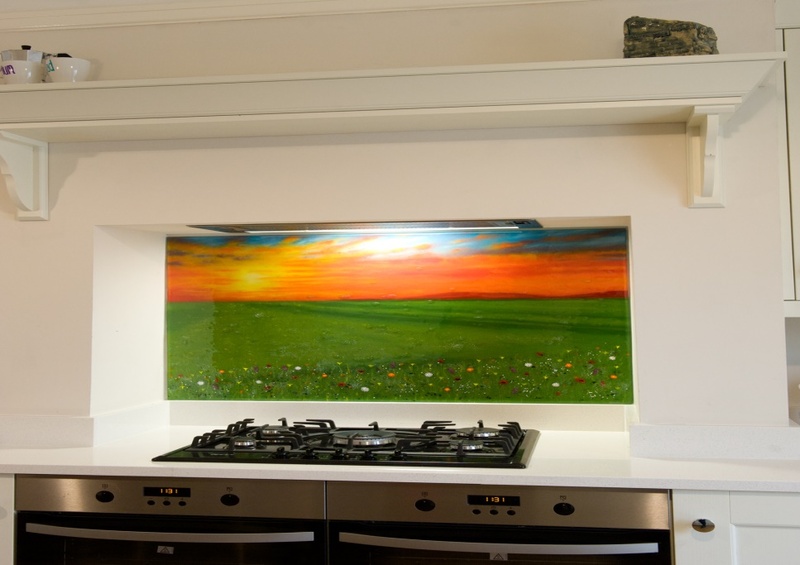 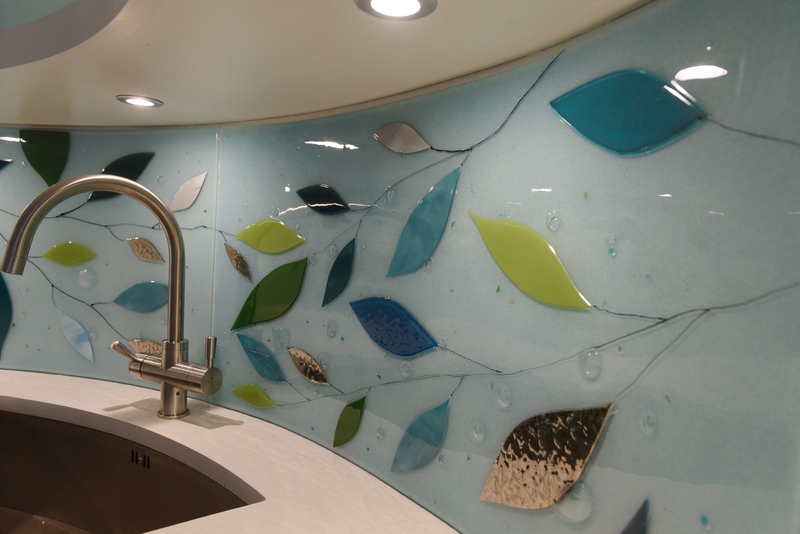 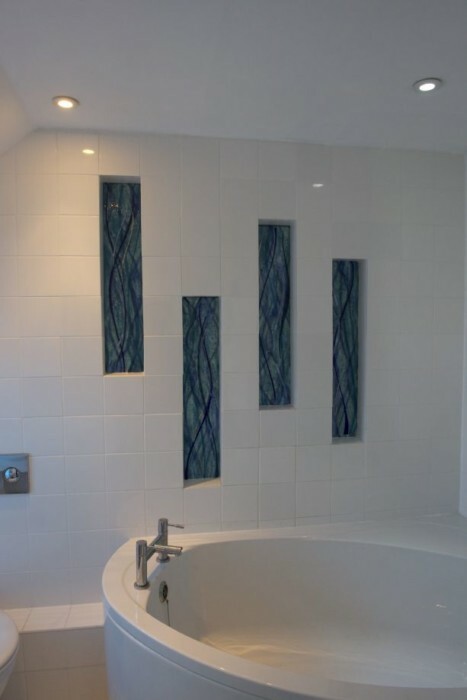 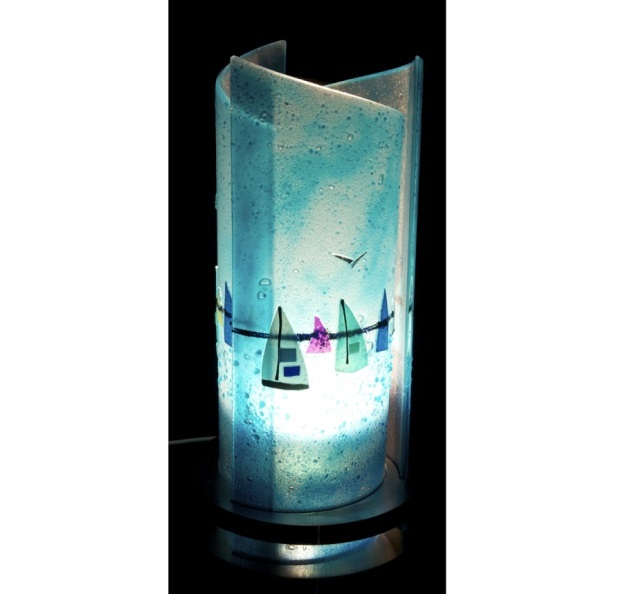 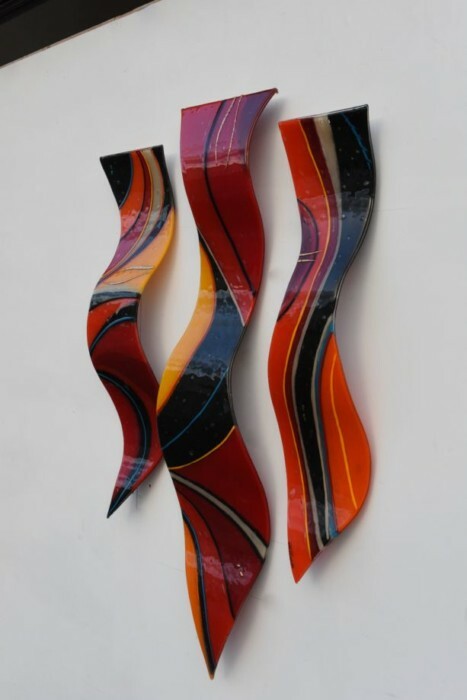 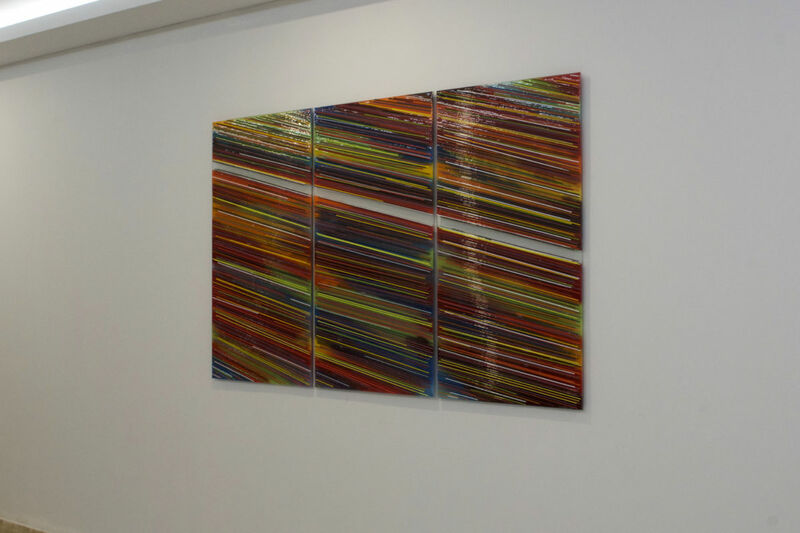 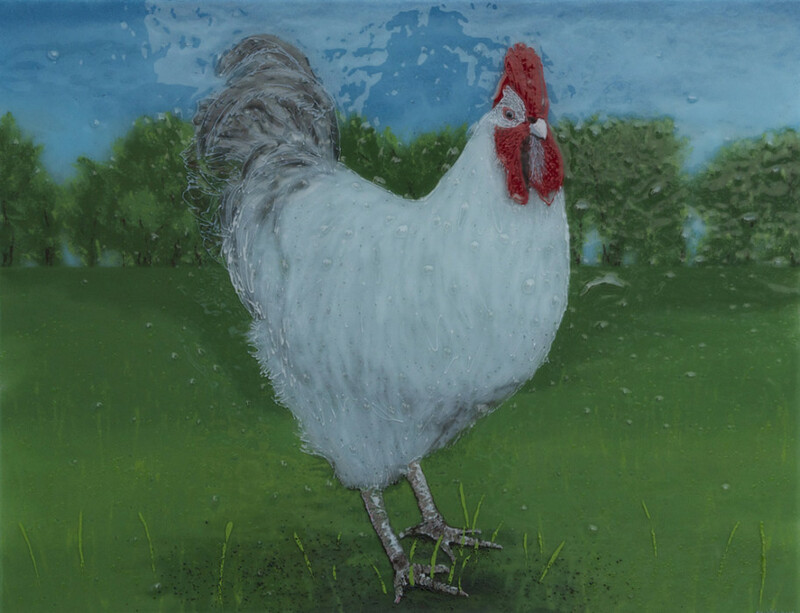 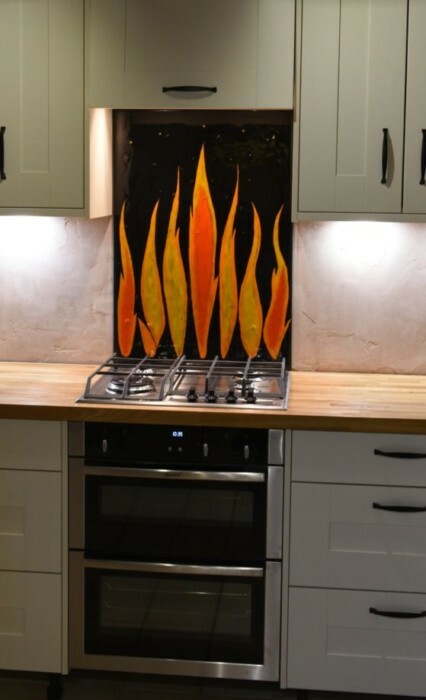 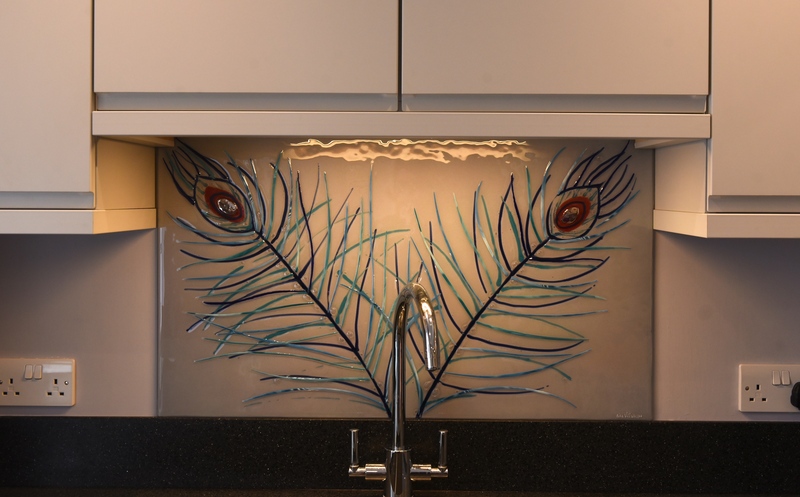 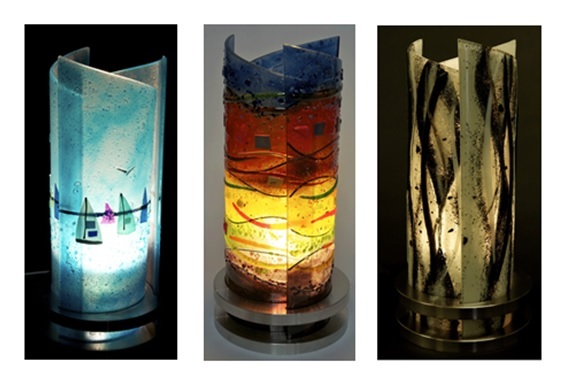 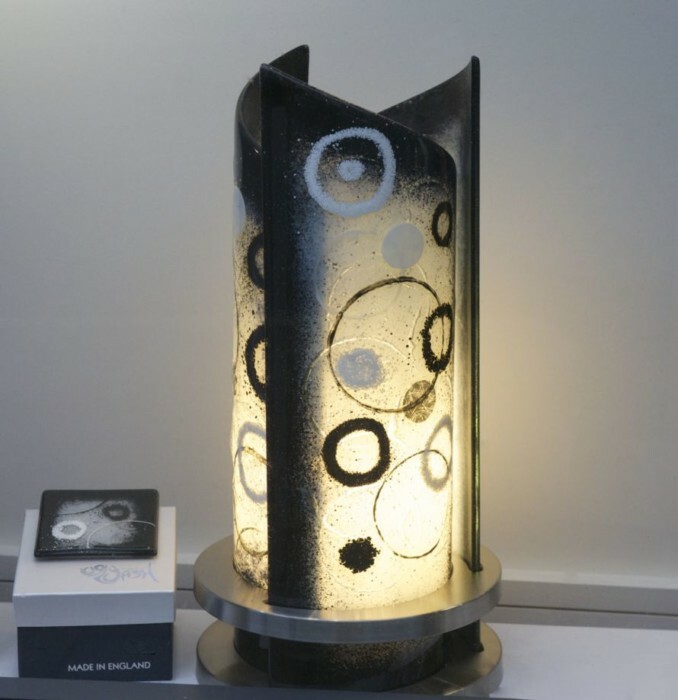 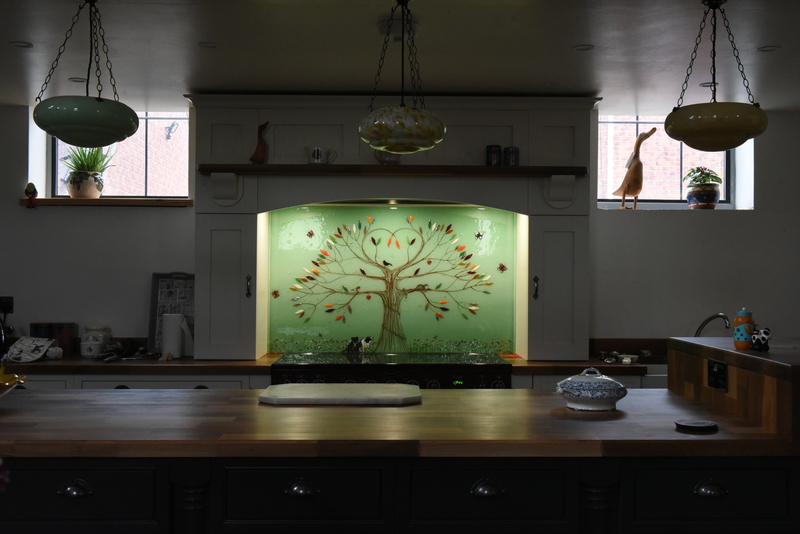 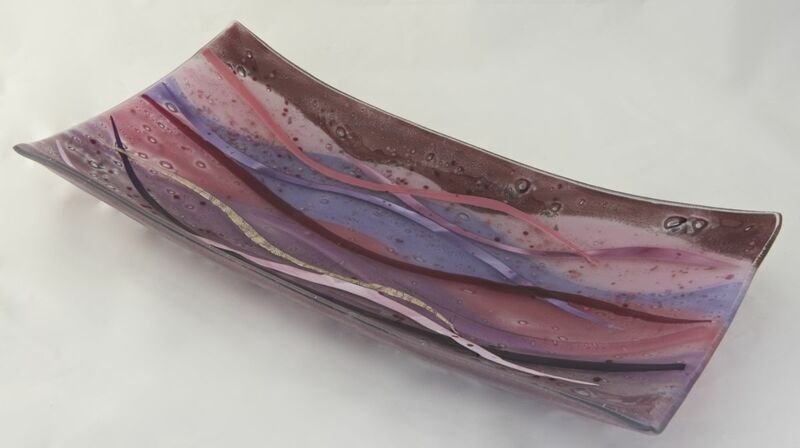 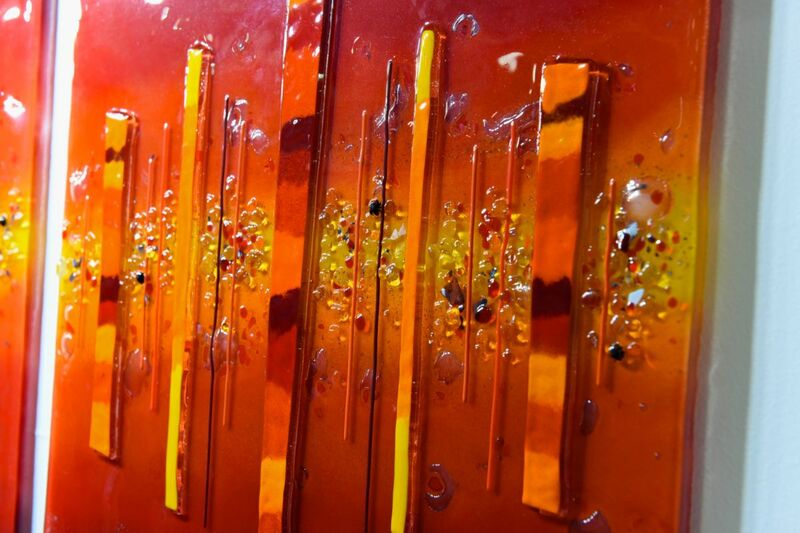 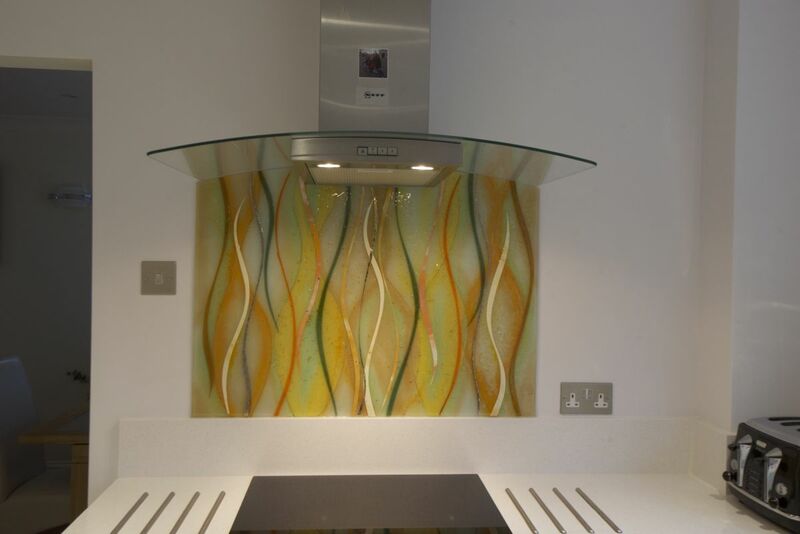 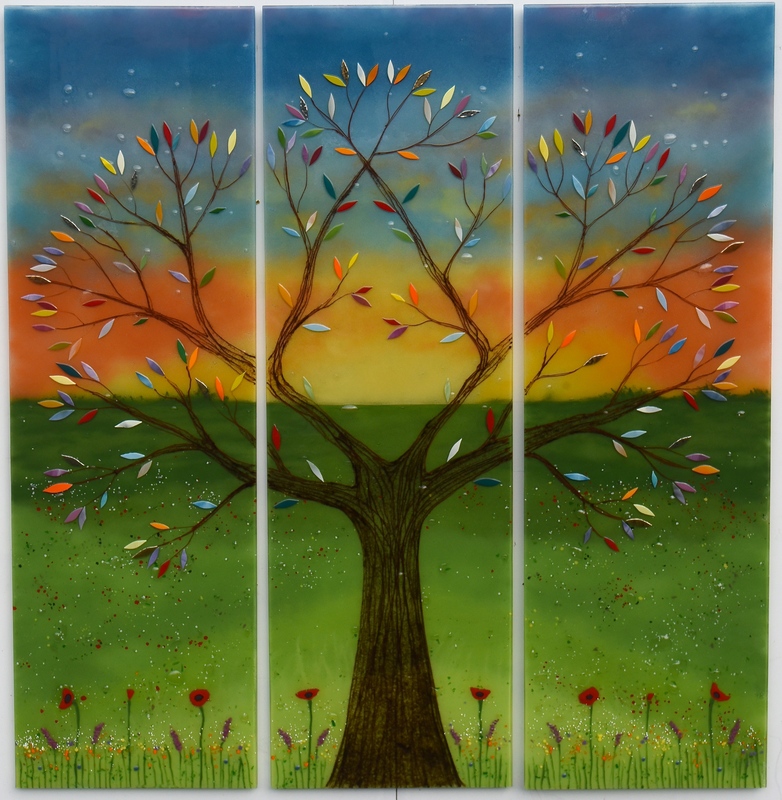 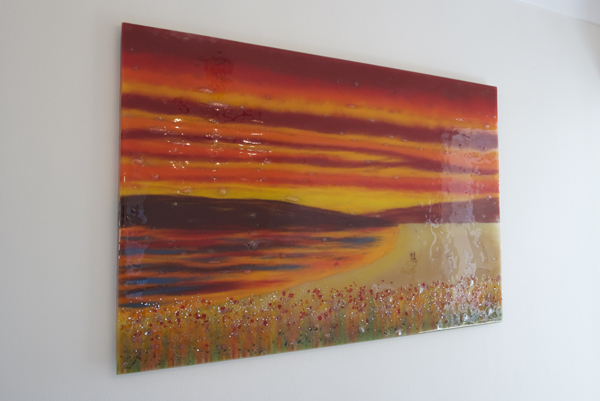 You’ll be able to find the same stunning designs and bespoke approach in just about every piece of glass that rolls out of our kiln. 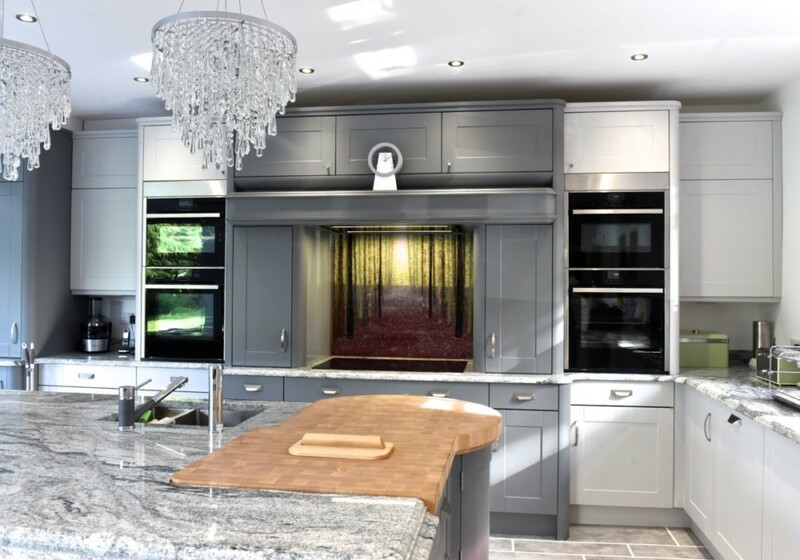 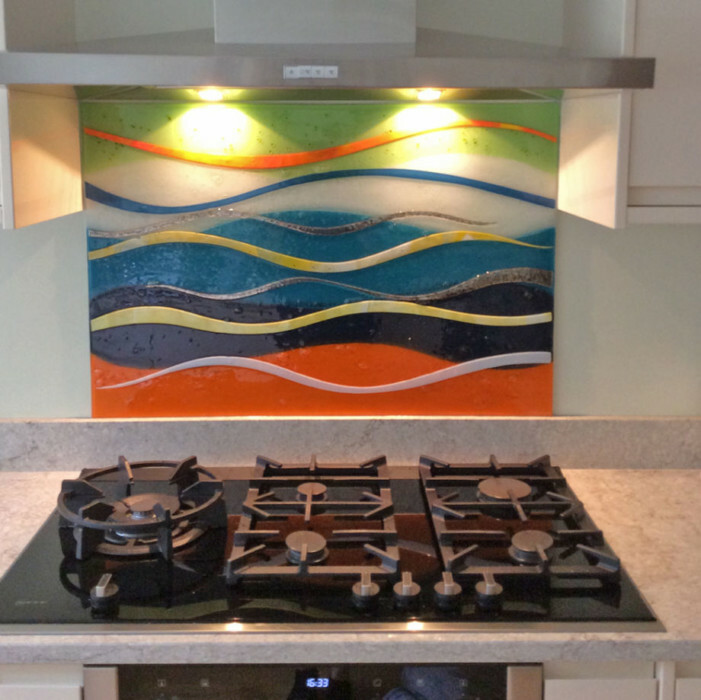 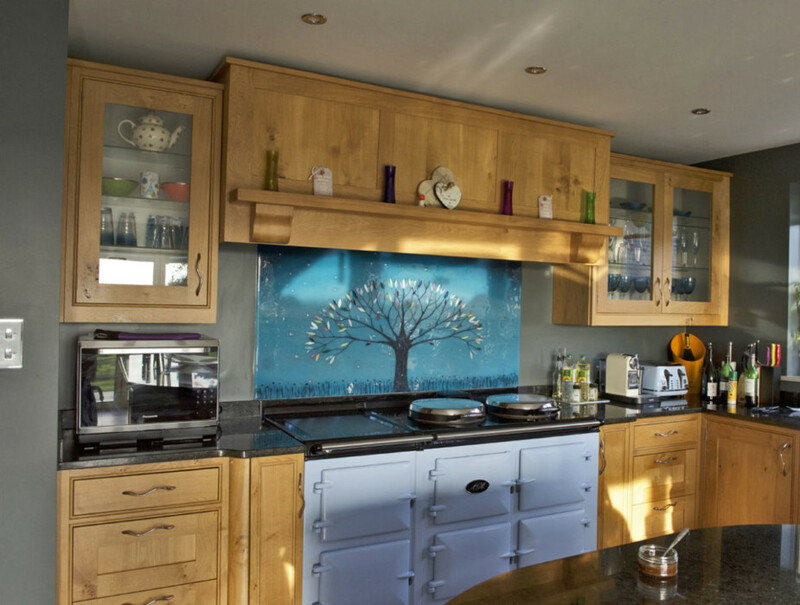 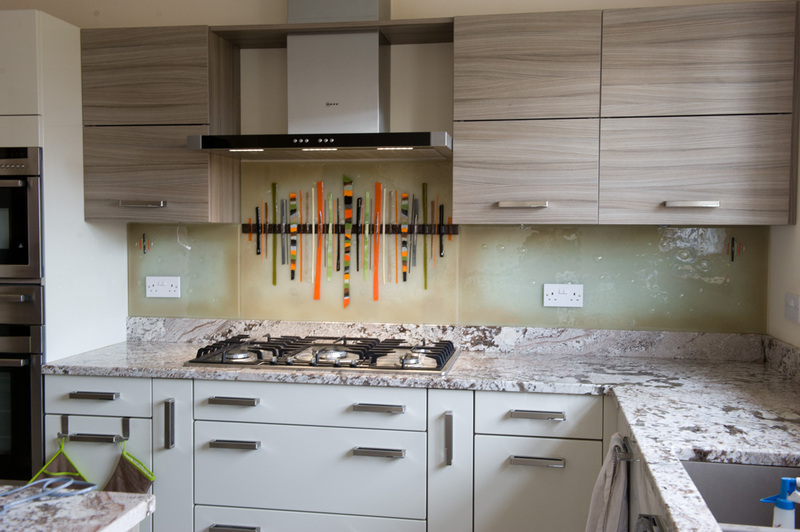 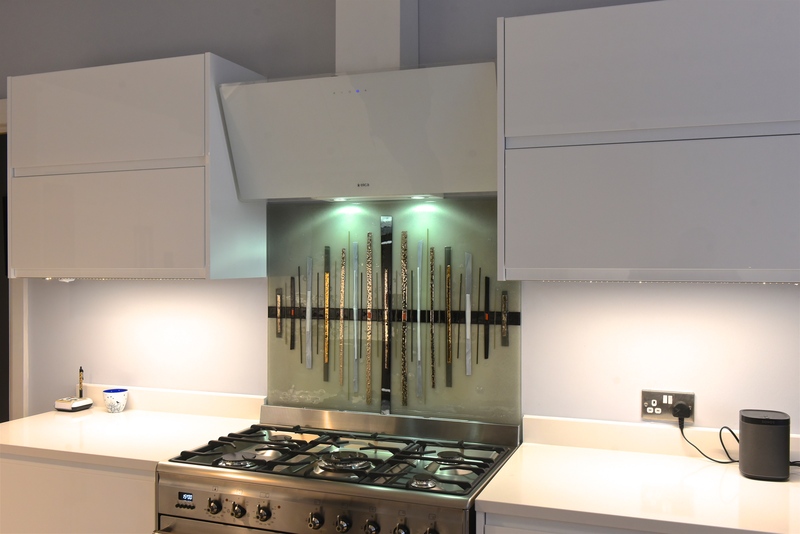 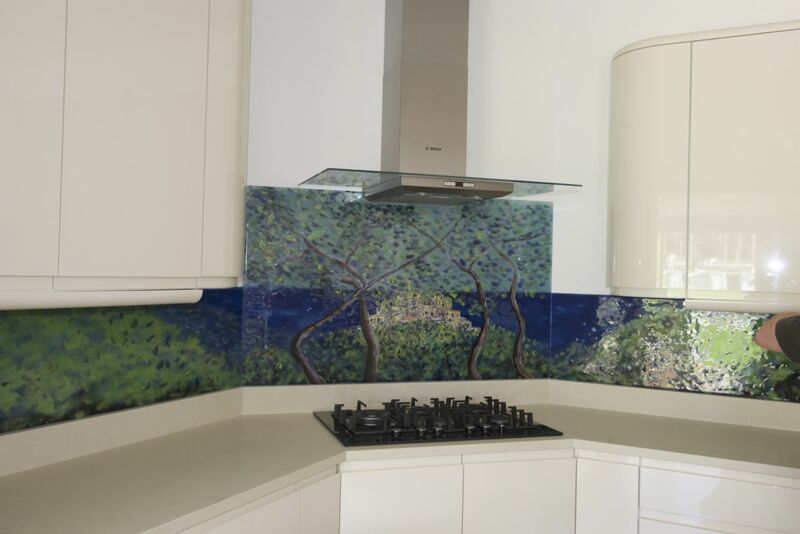 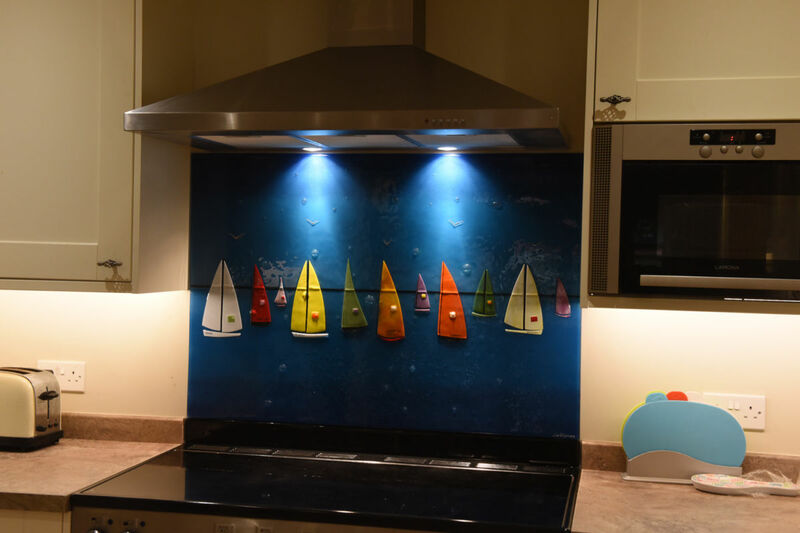 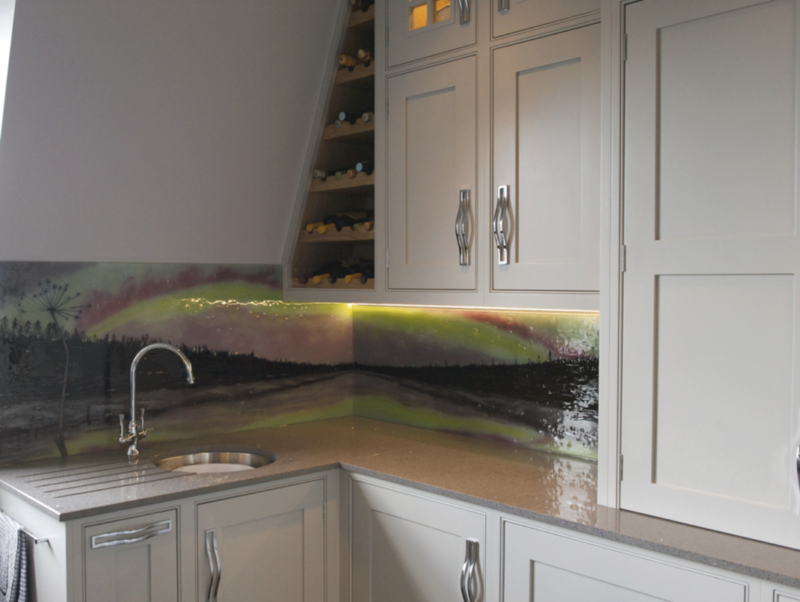 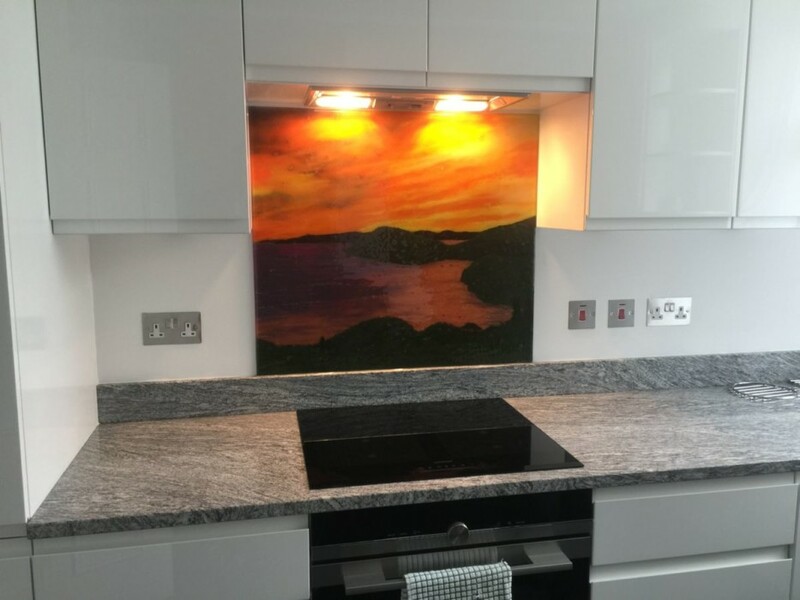 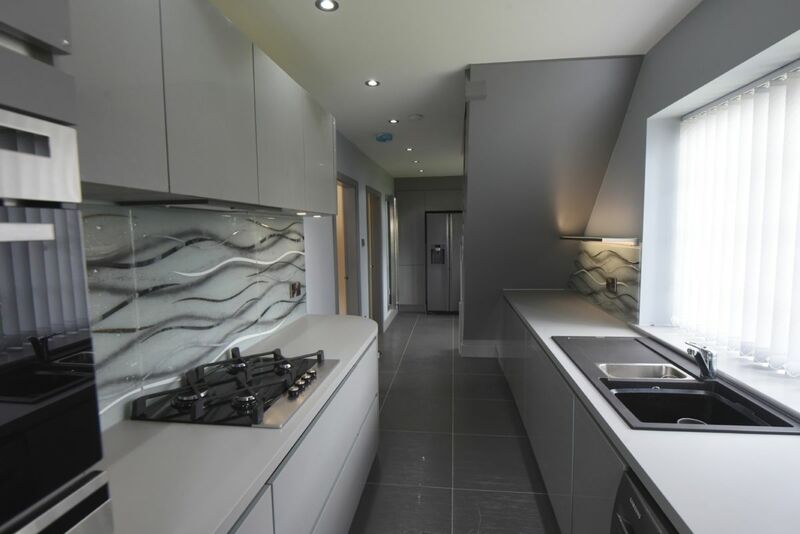 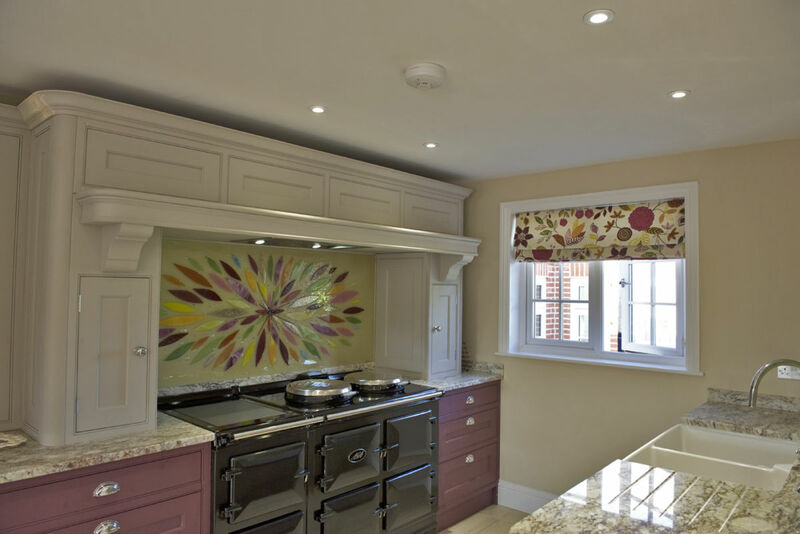 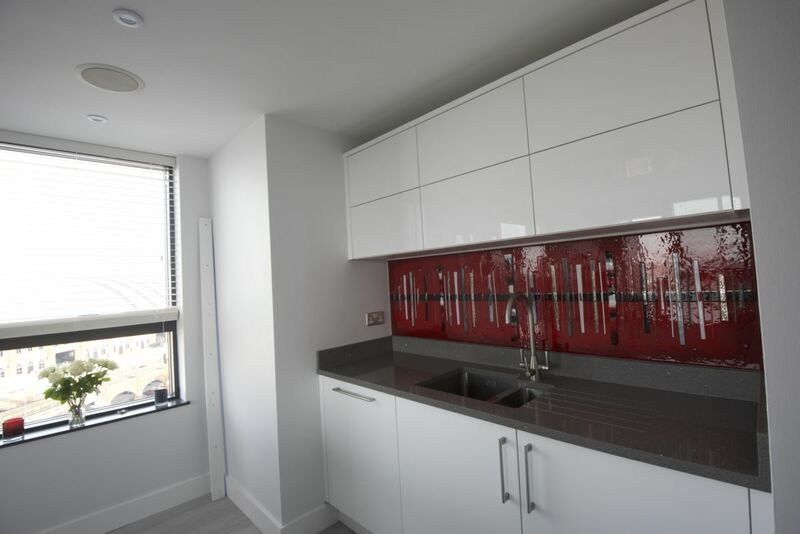 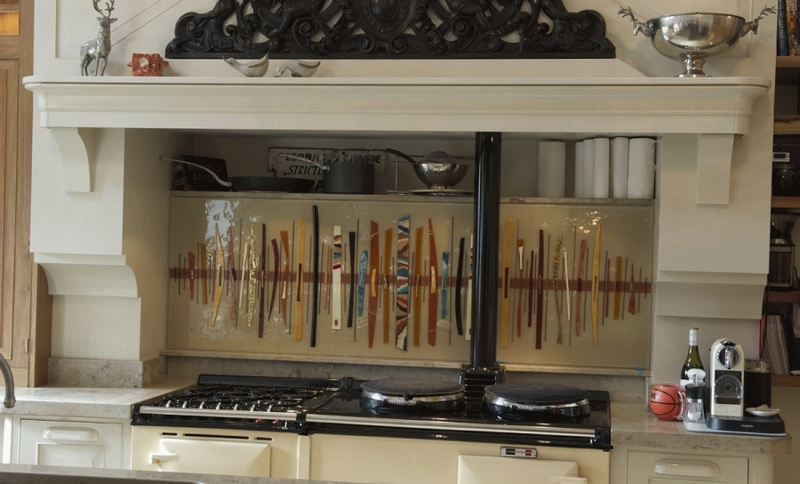 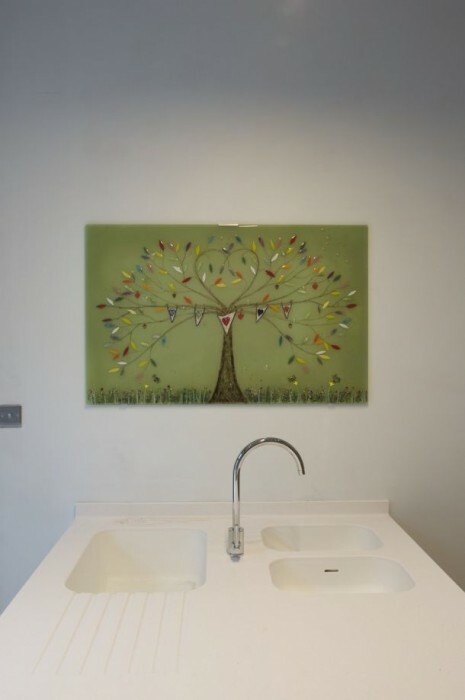 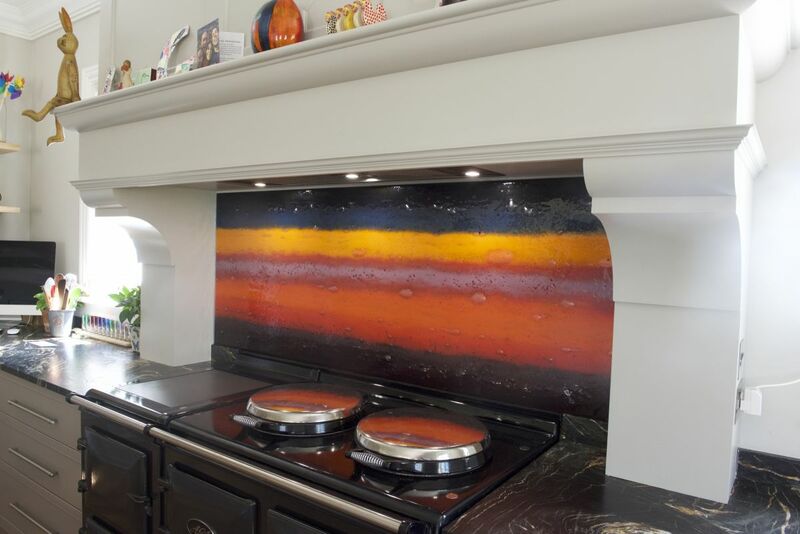 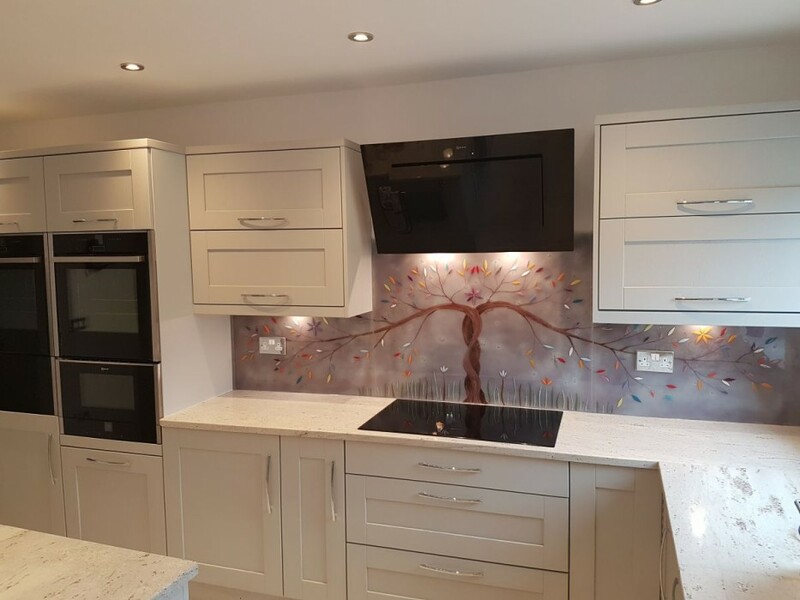 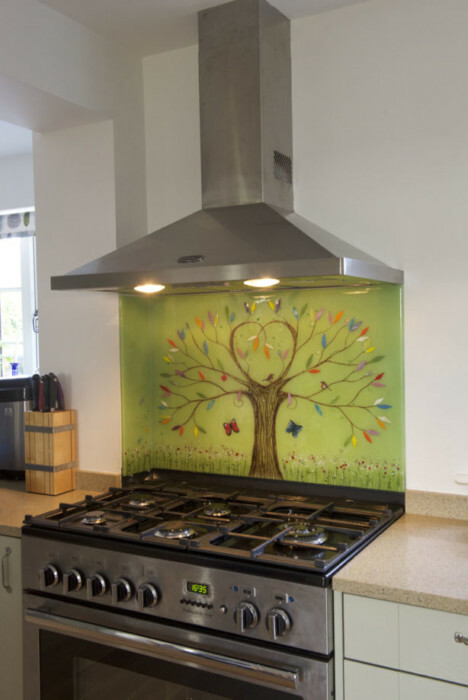 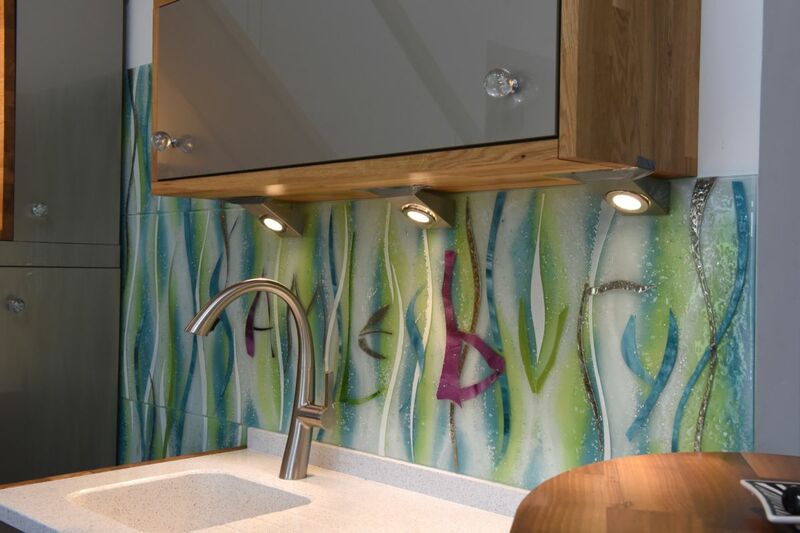 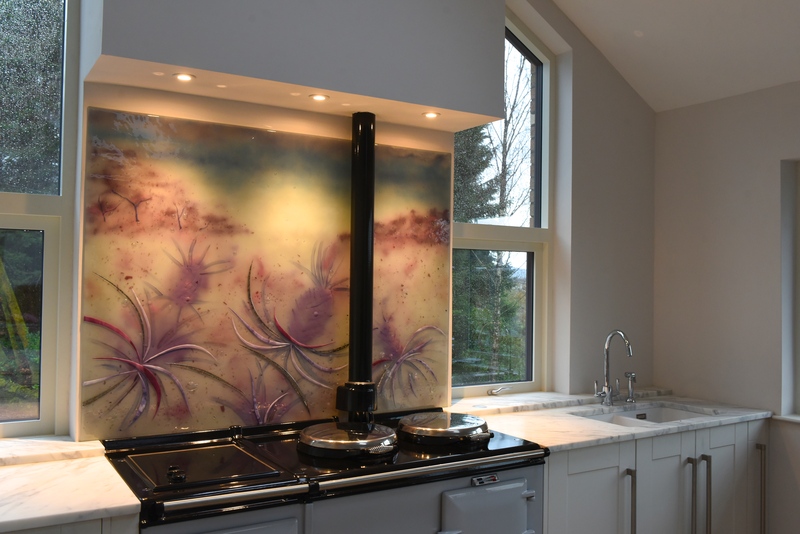 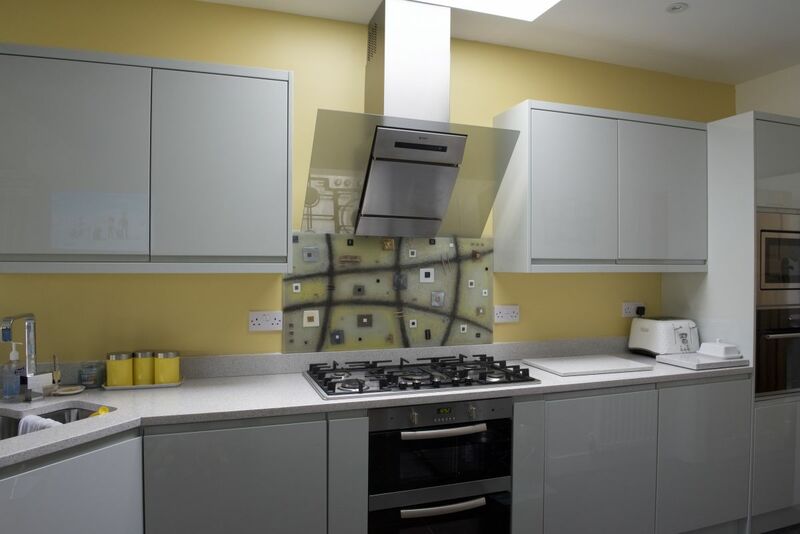 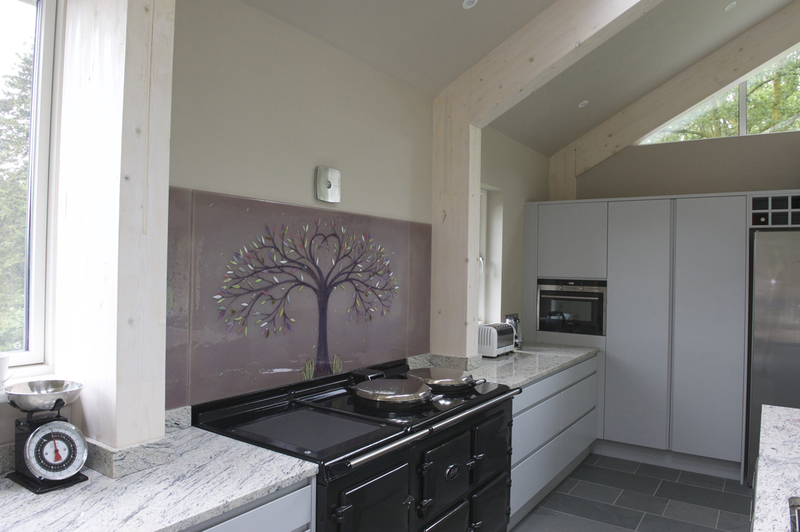 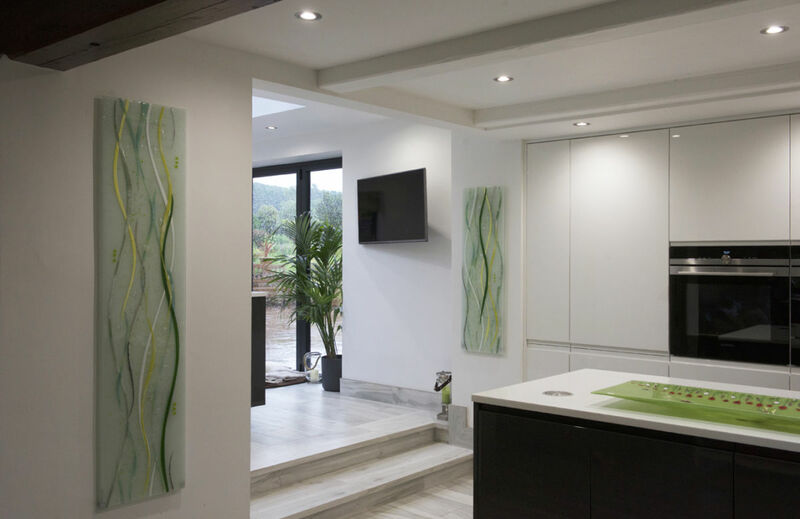 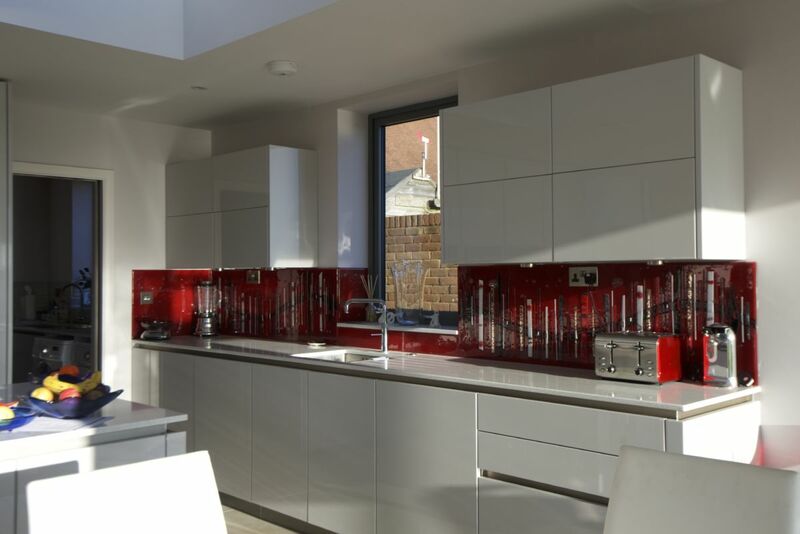 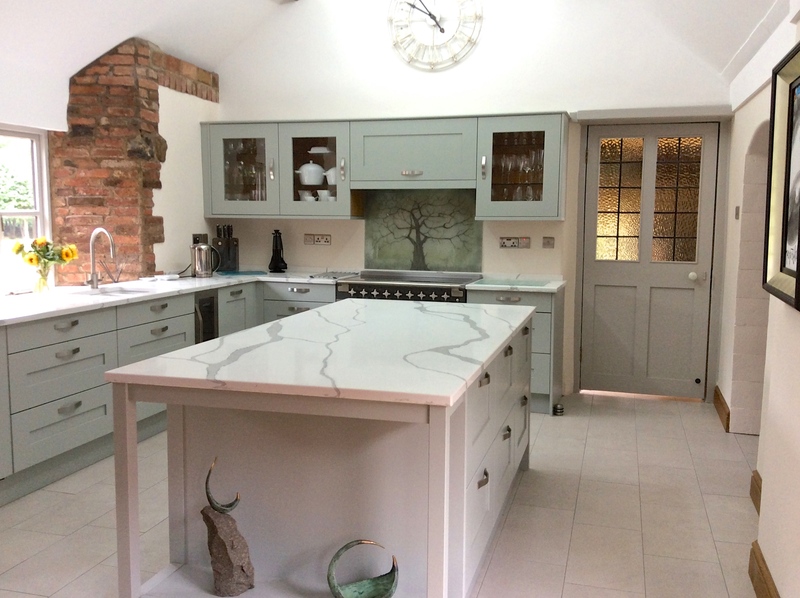 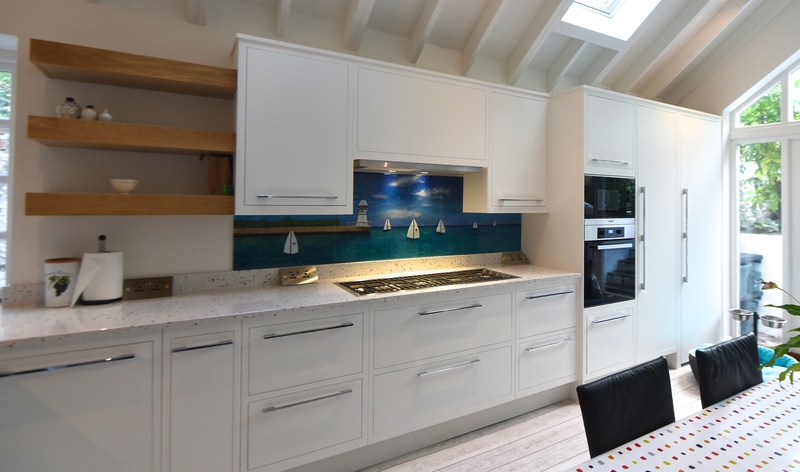 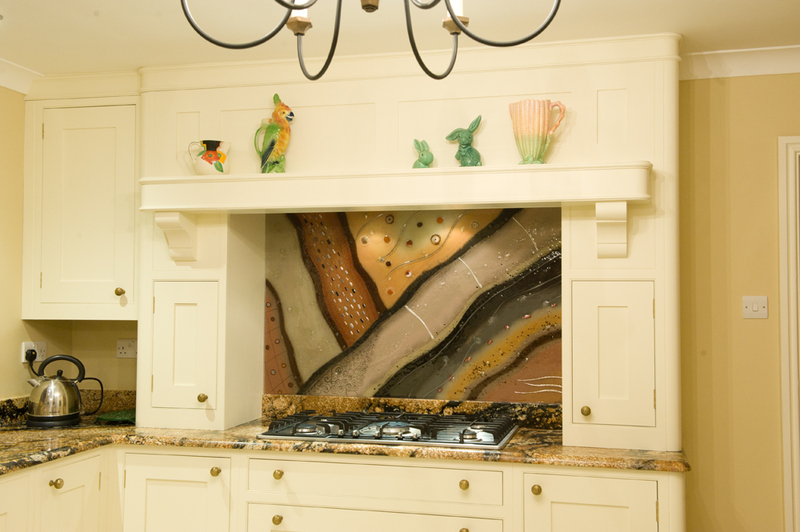 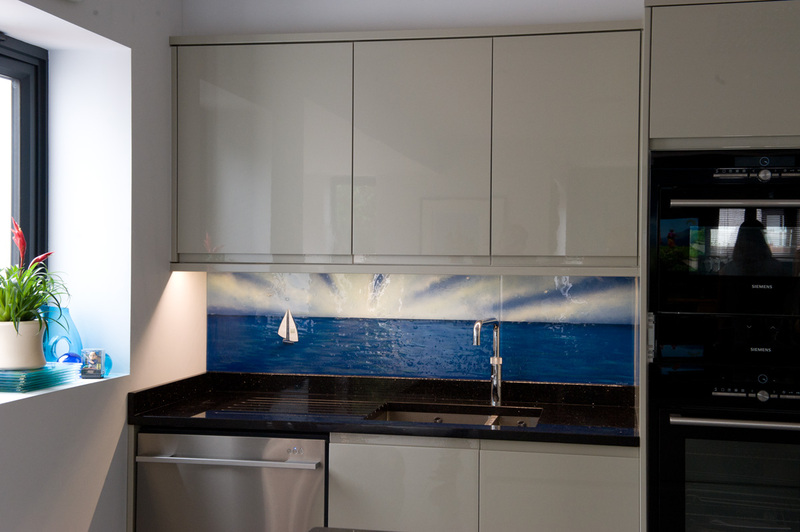 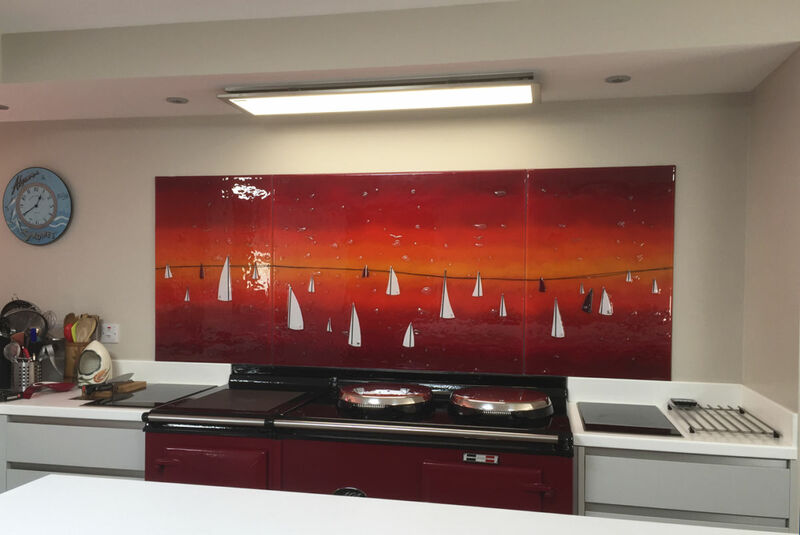 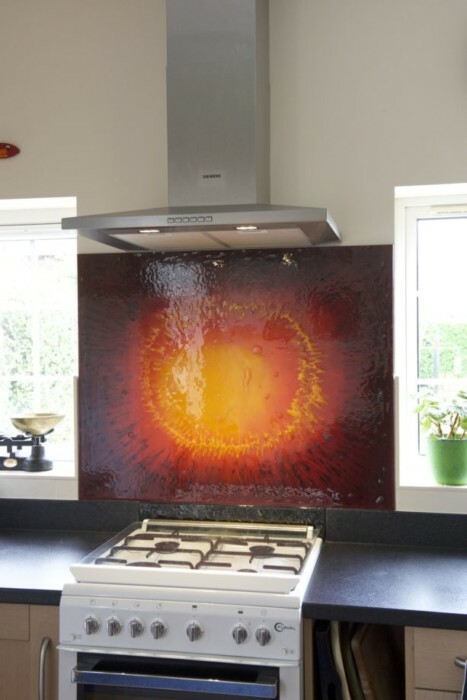 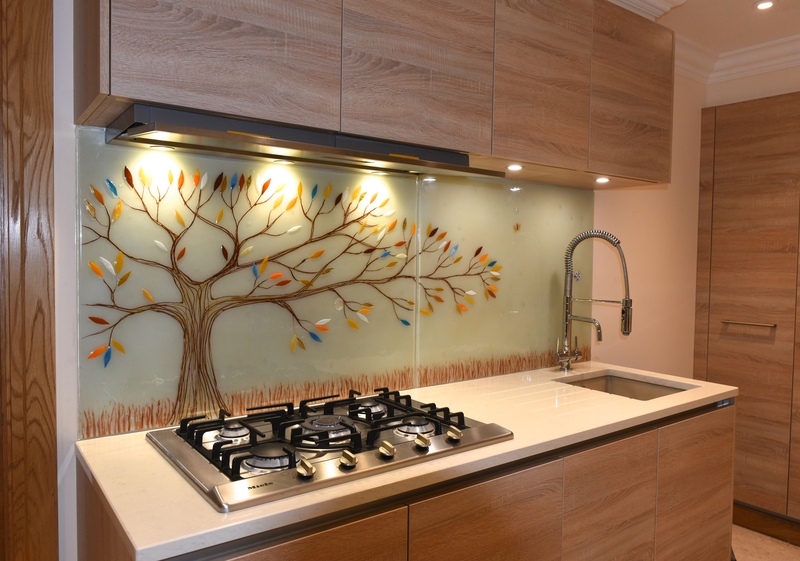 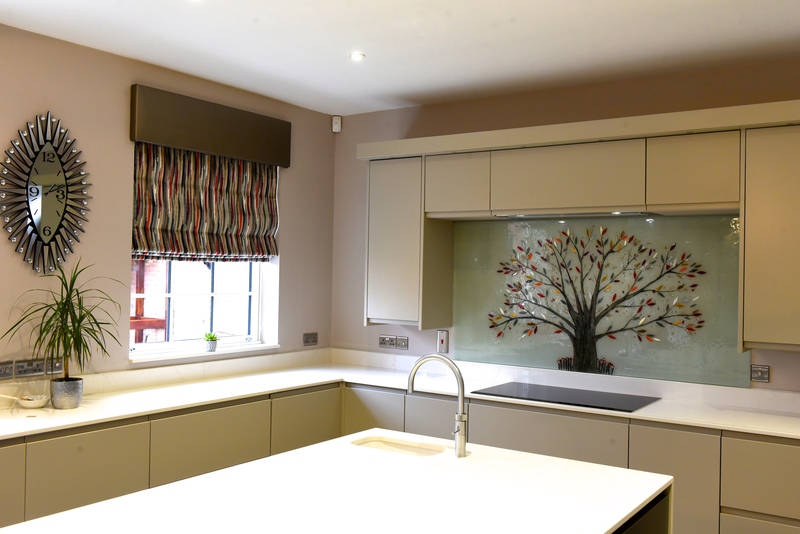 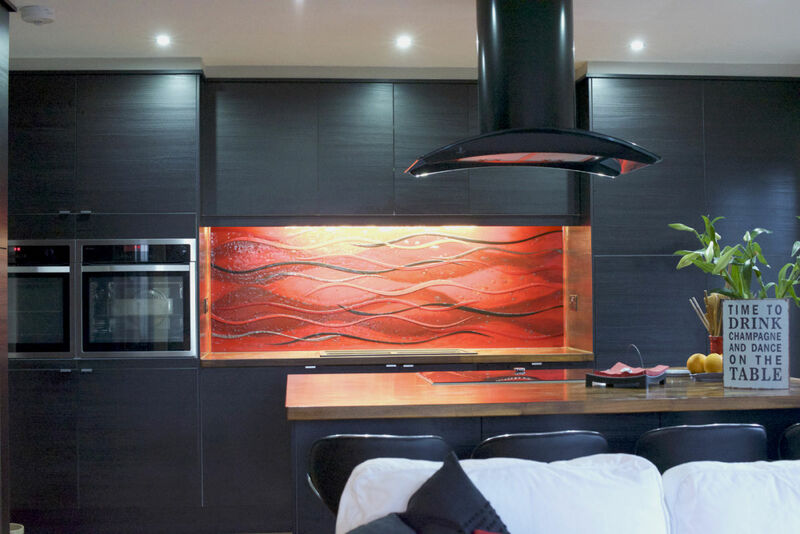 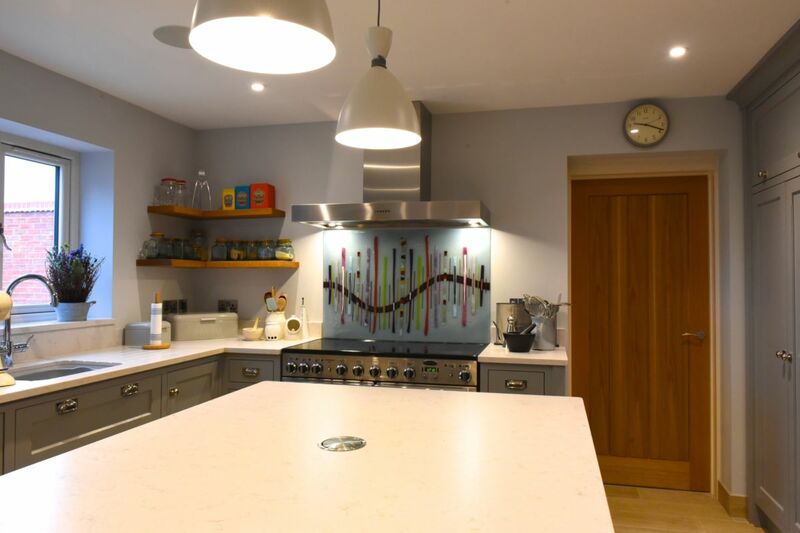 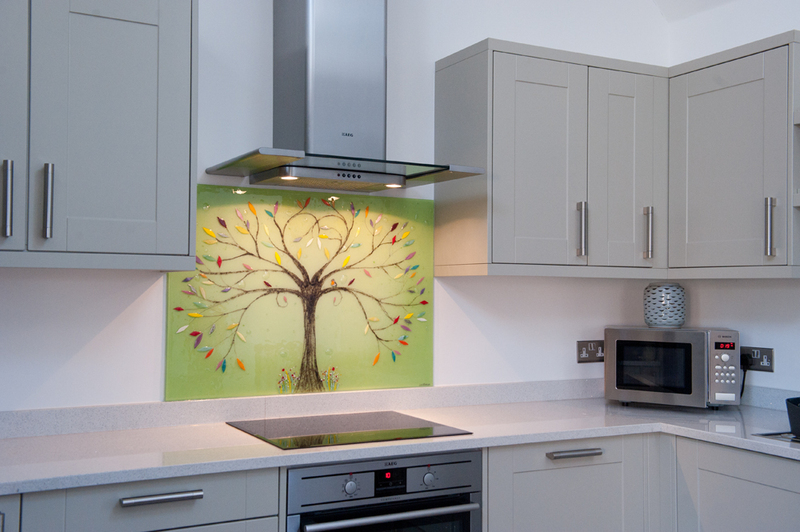 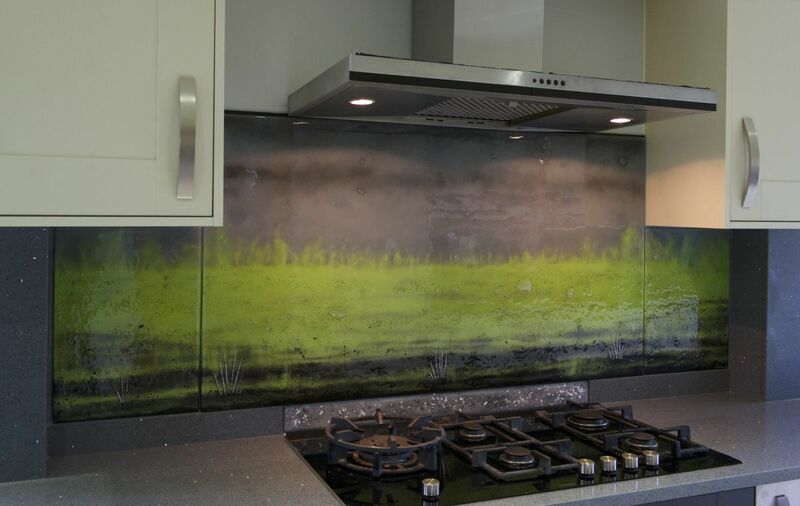 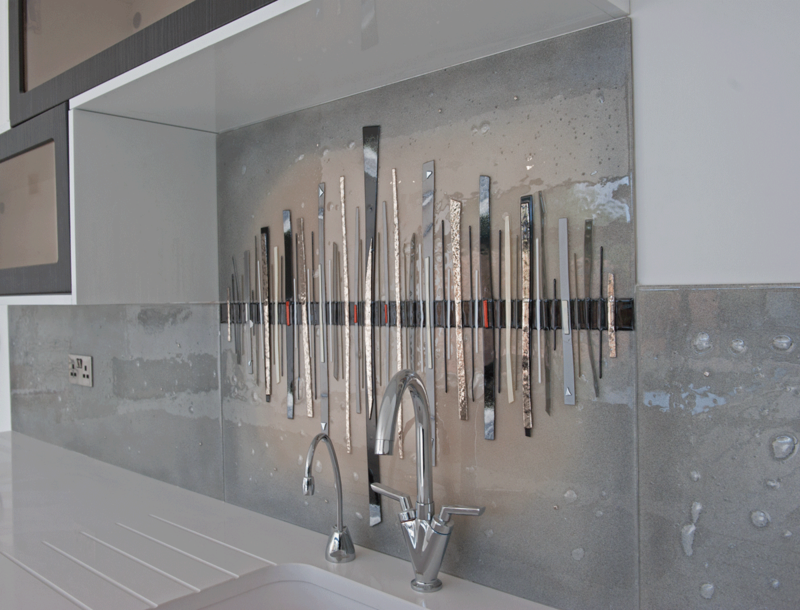 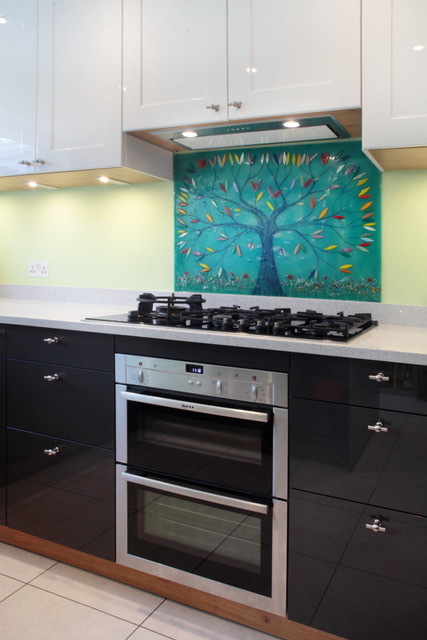 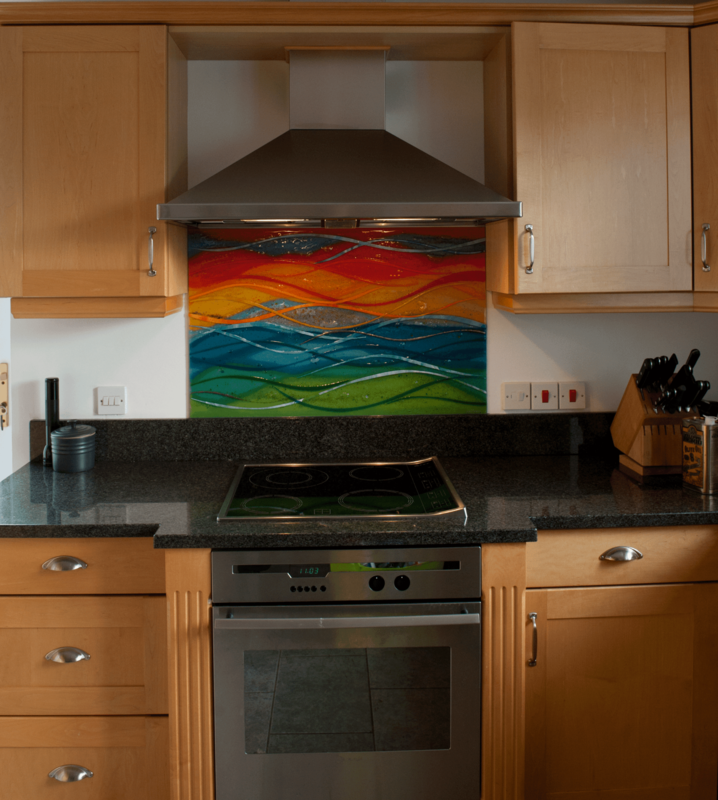 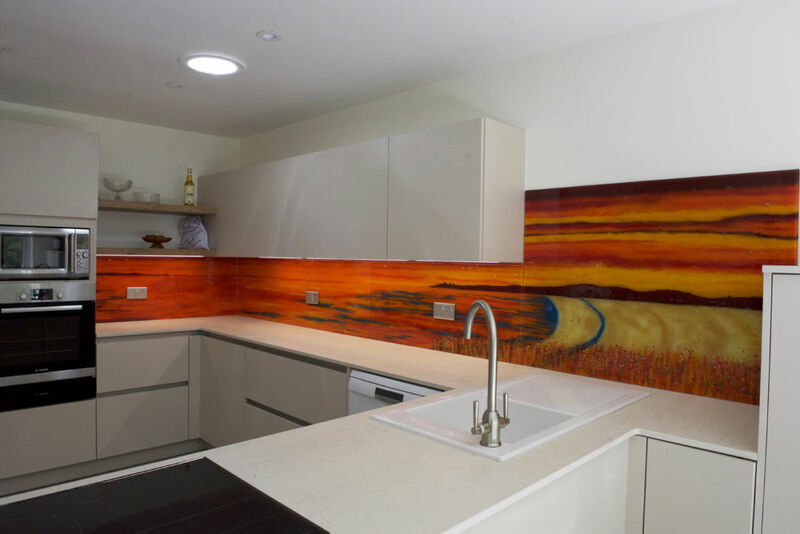 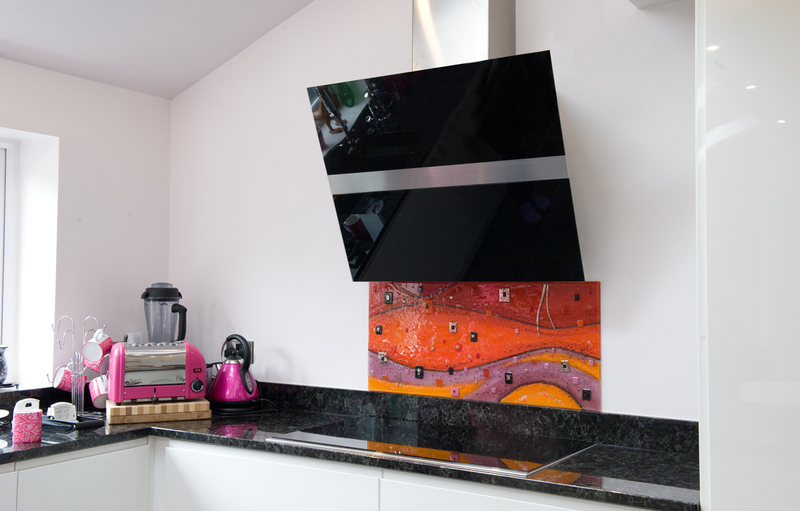 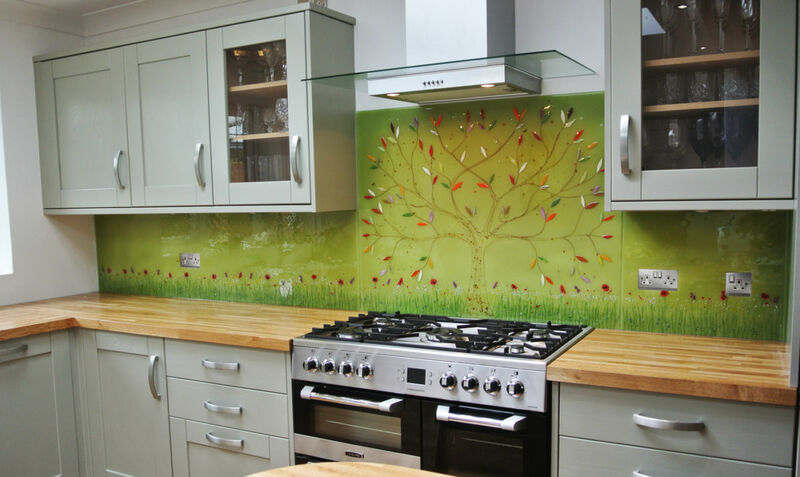 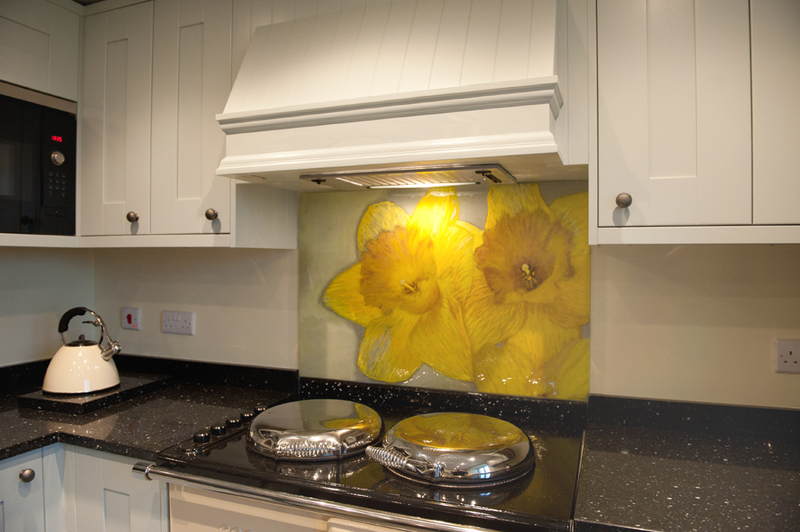 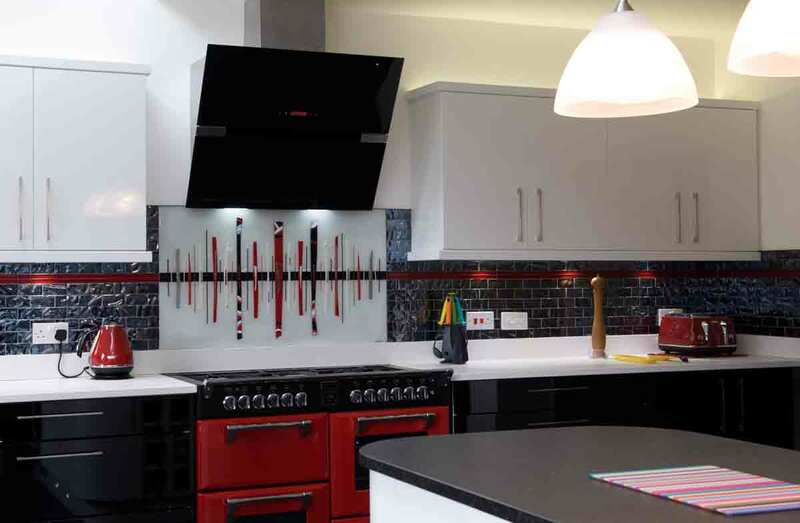 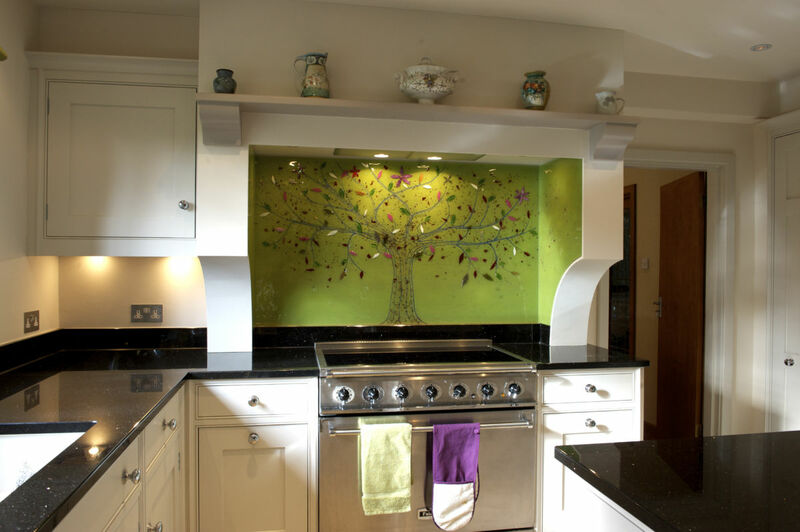 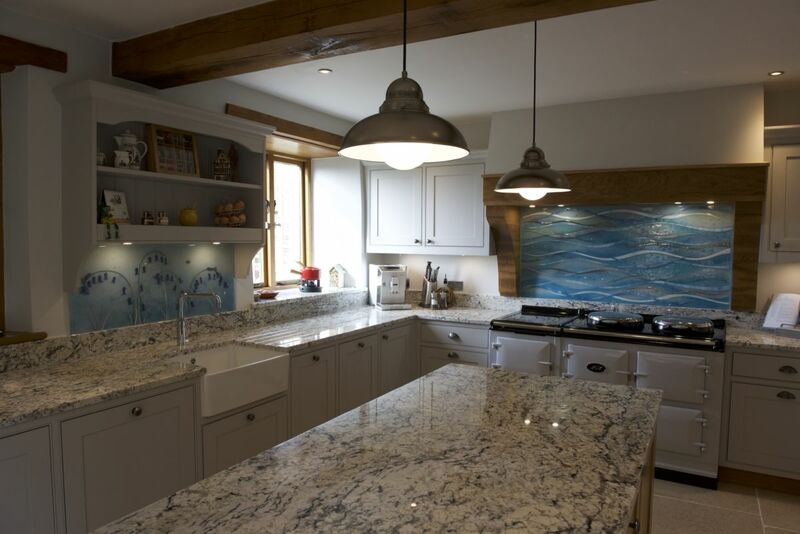 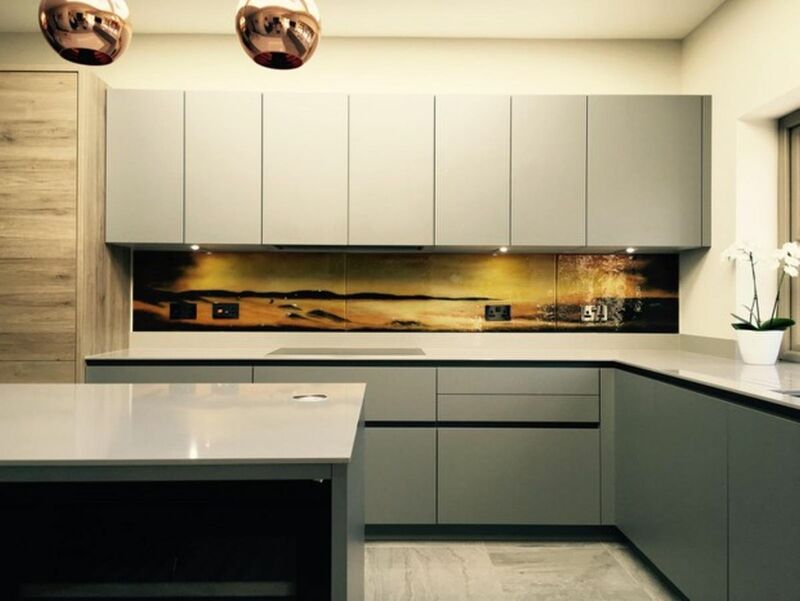 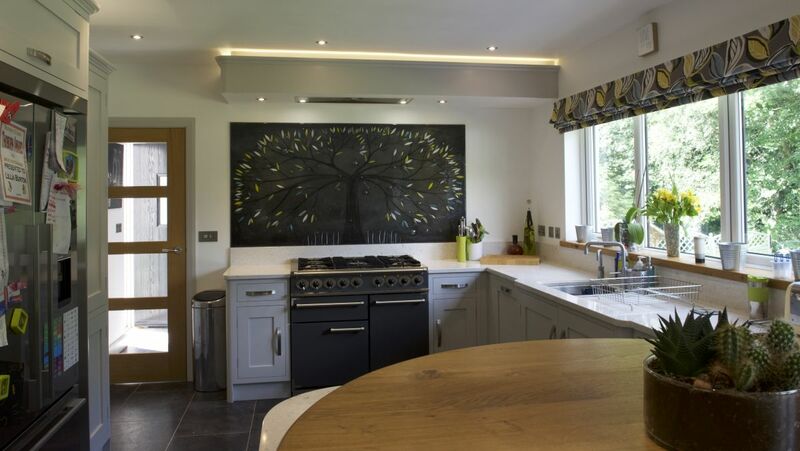 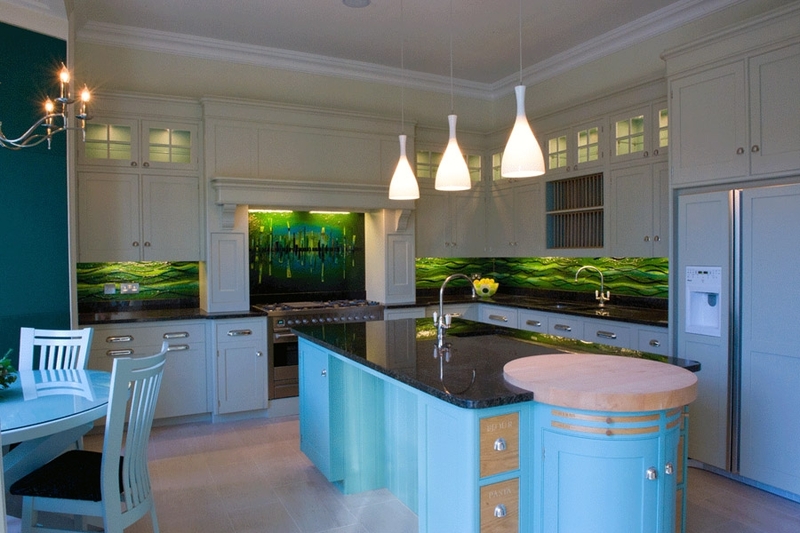 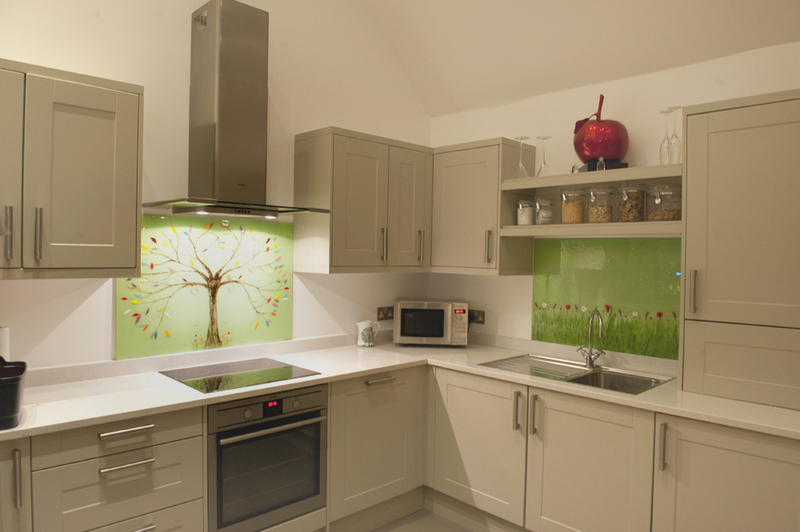 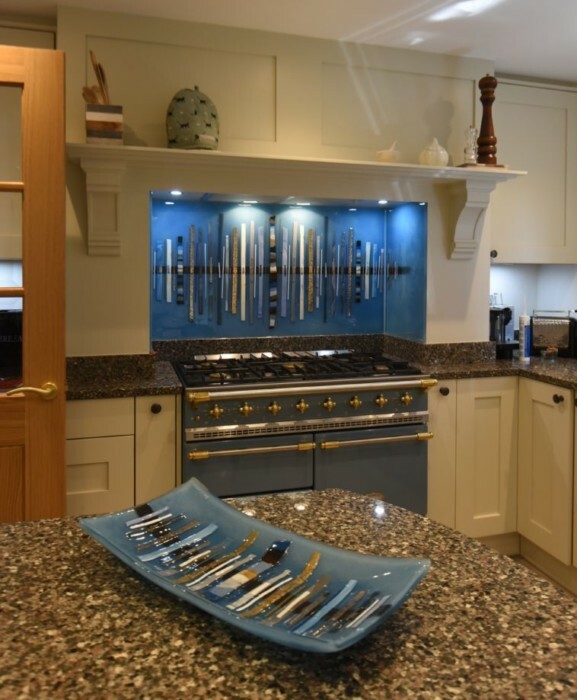 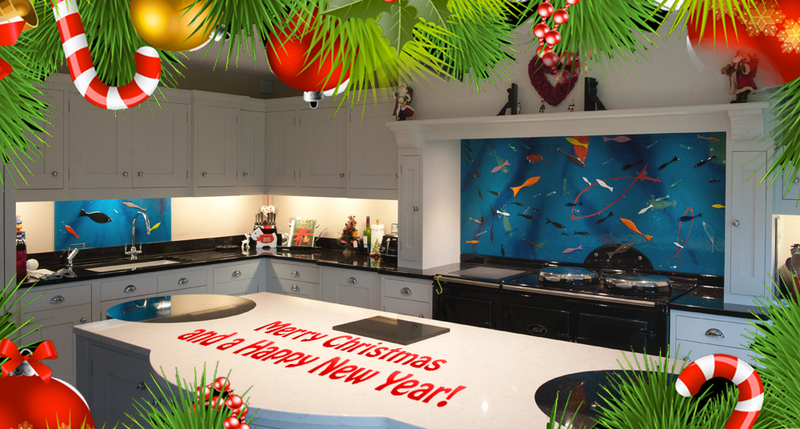 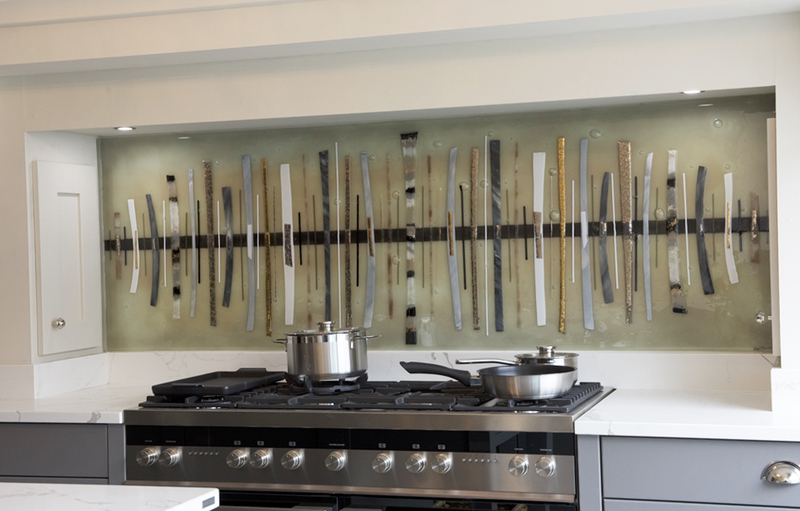 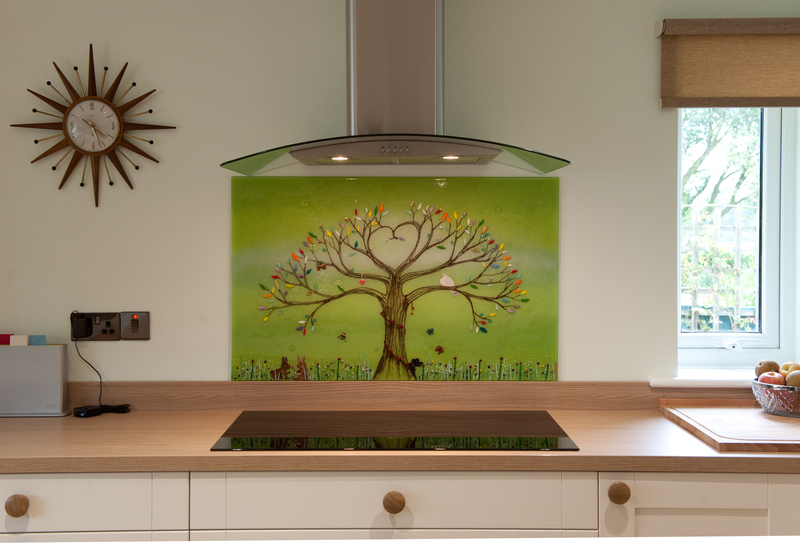 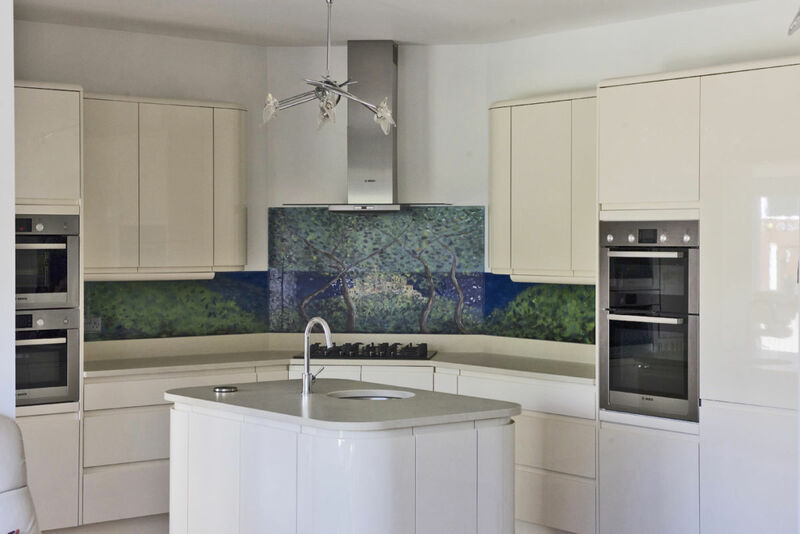 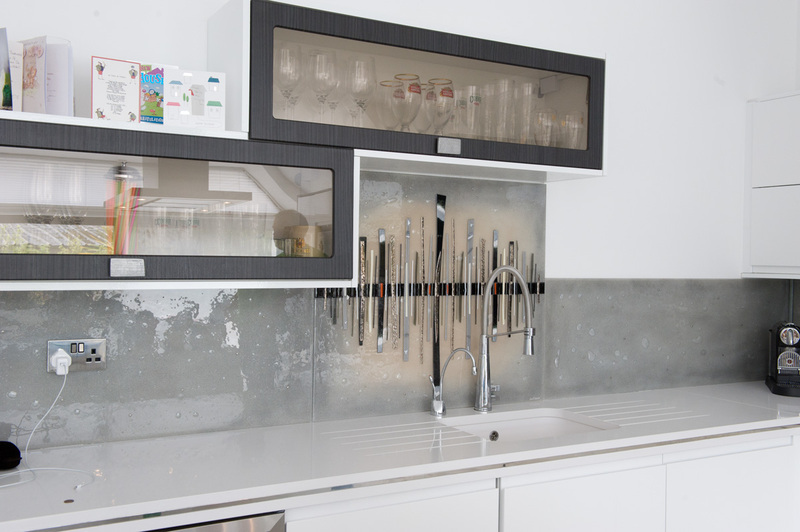 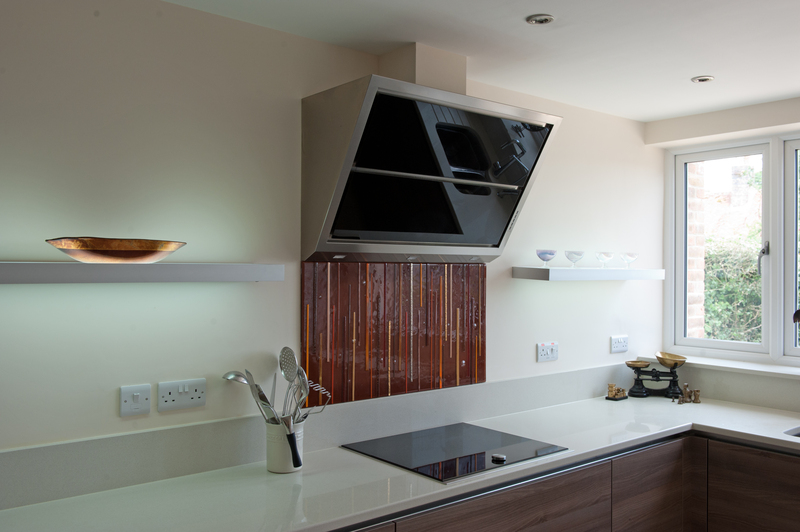 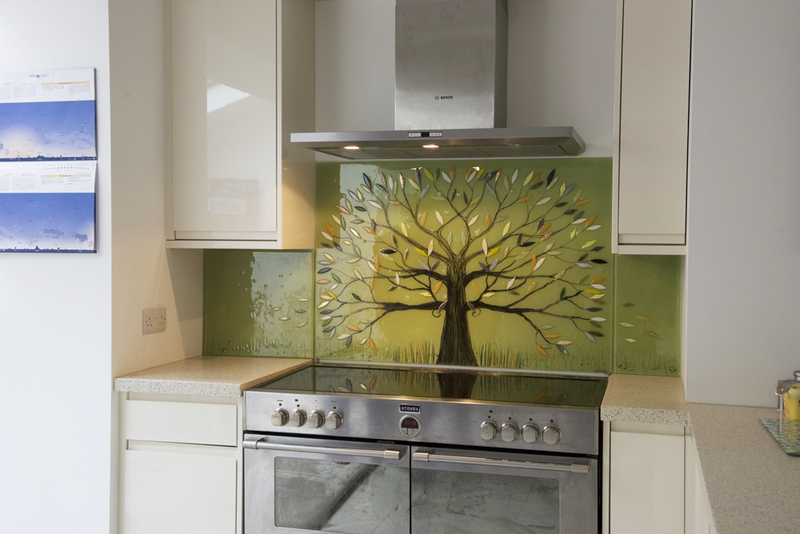 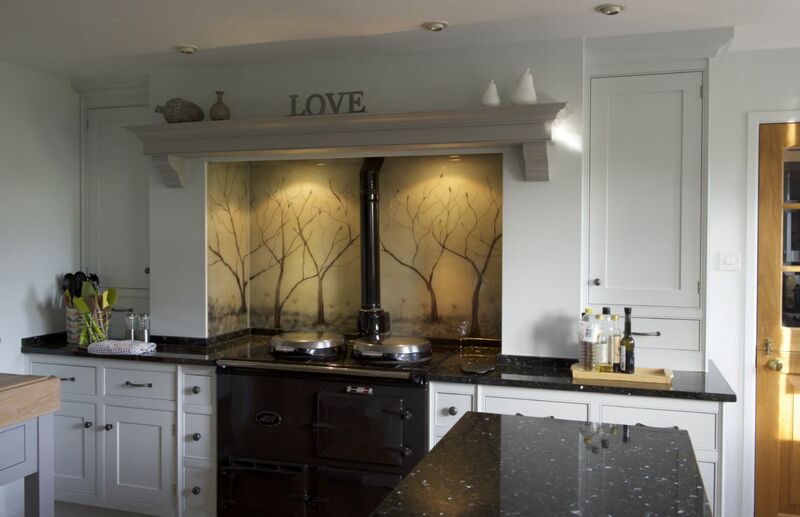 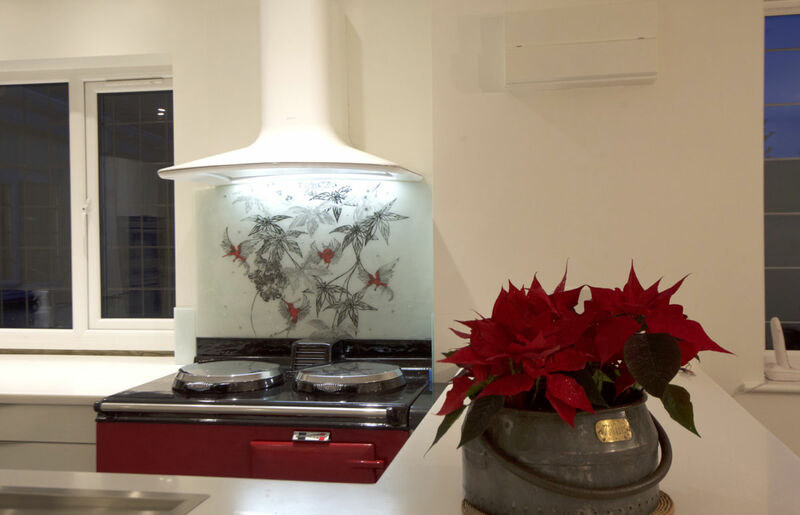 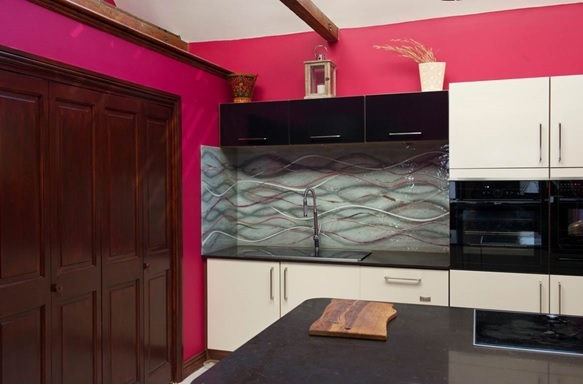 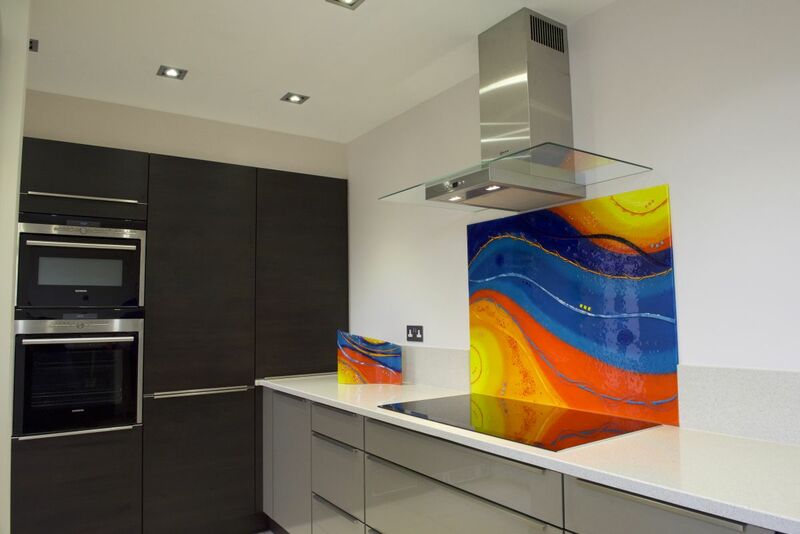 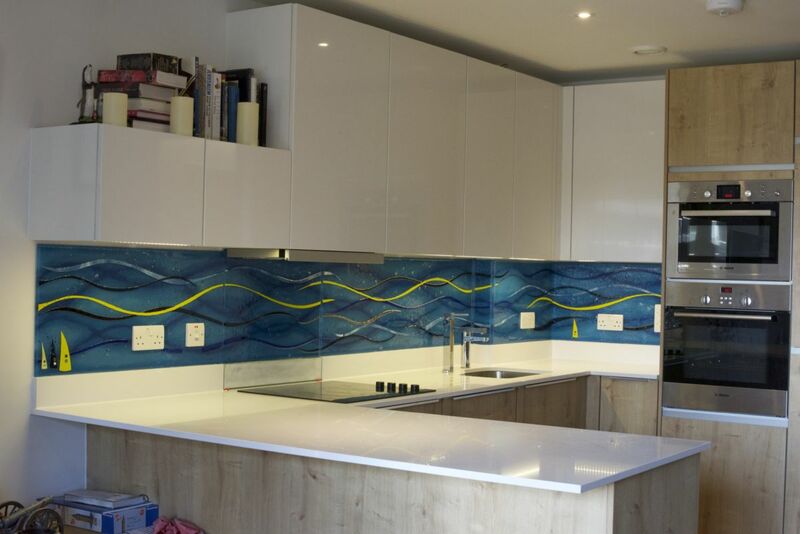 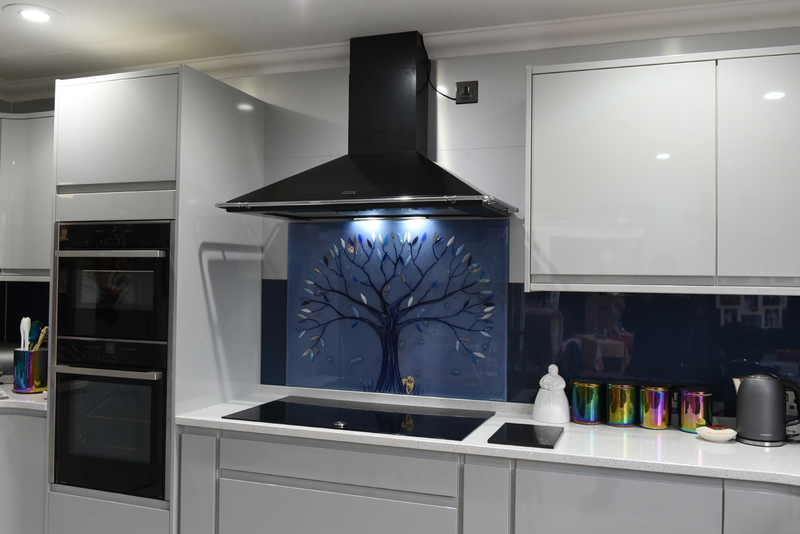 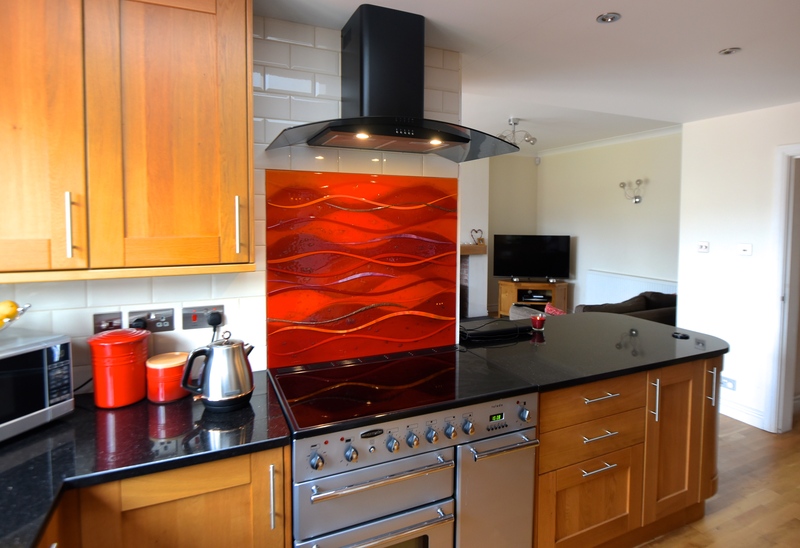 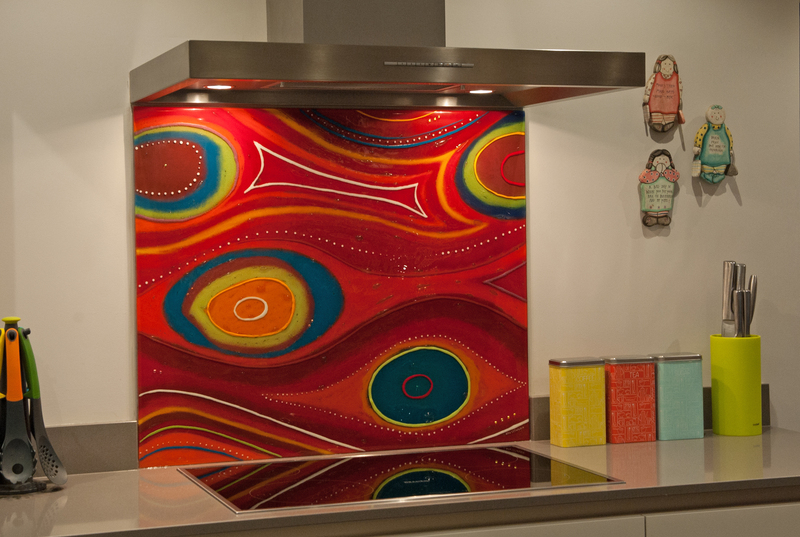 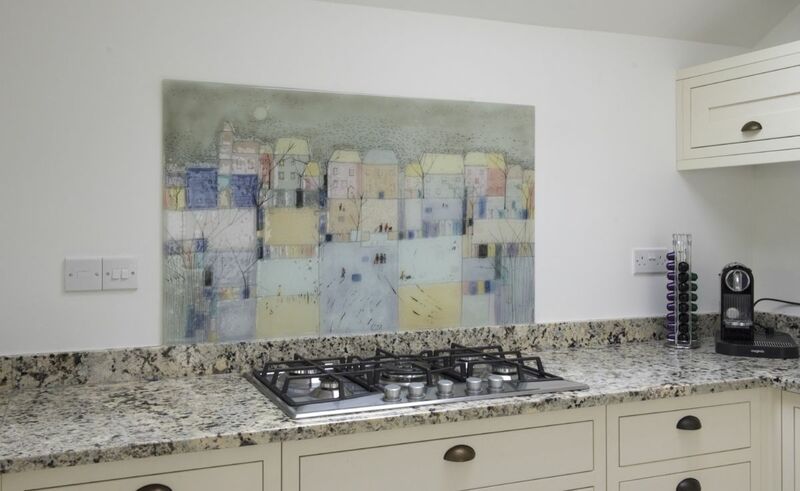 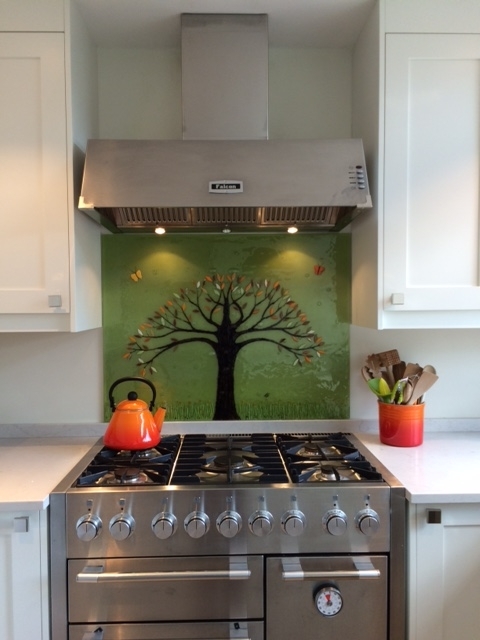 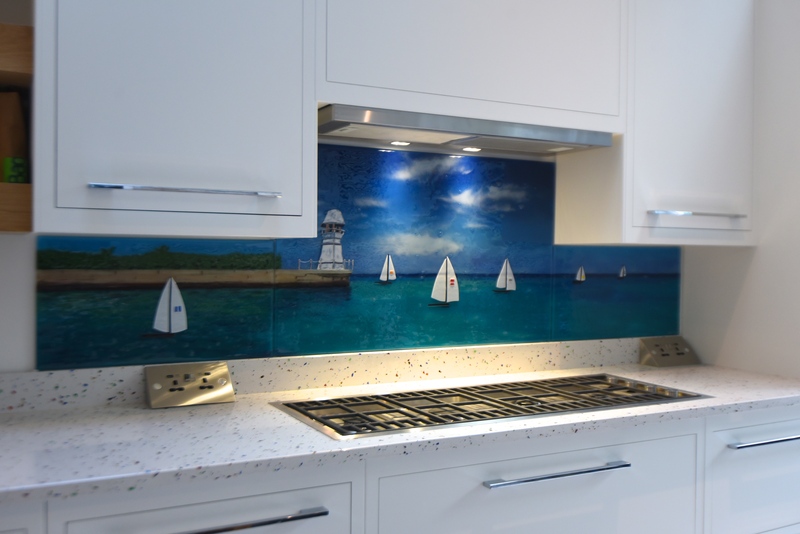 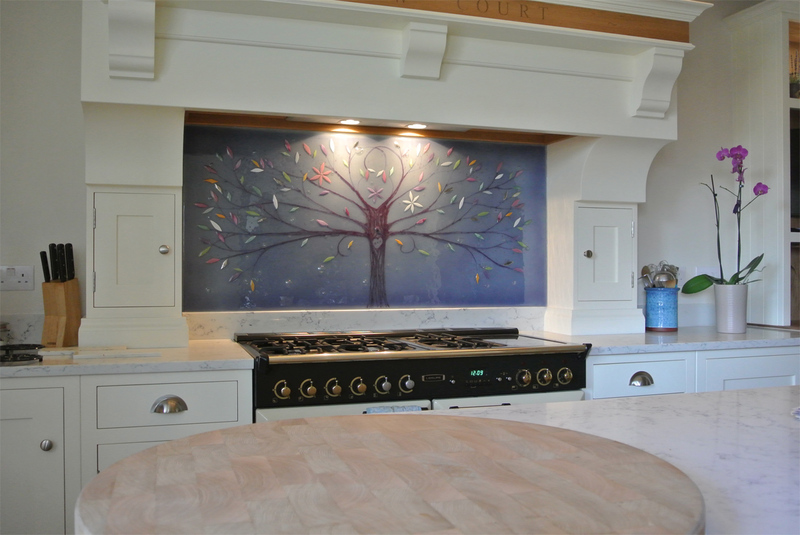 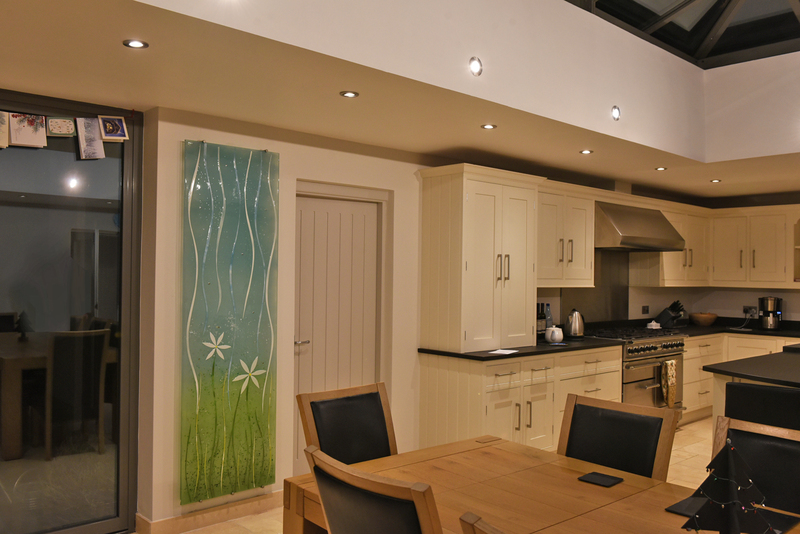 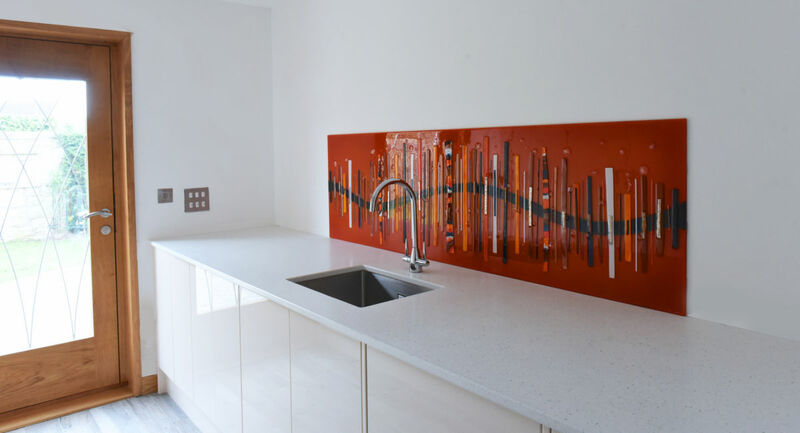 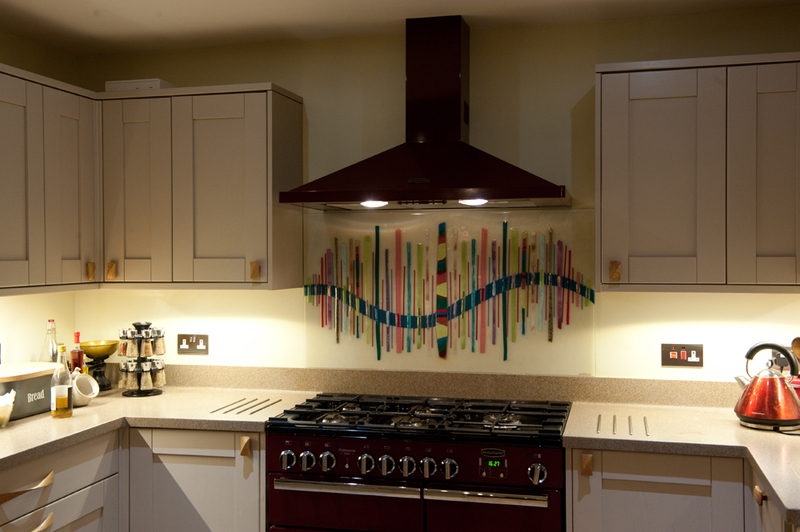 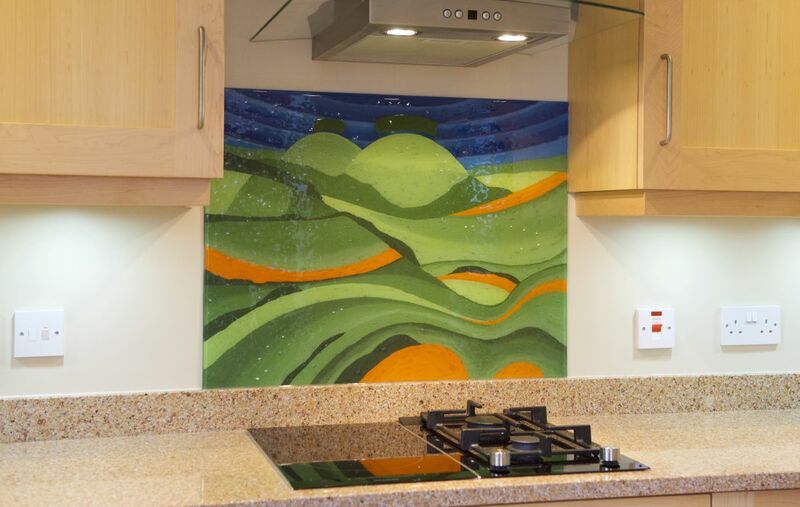 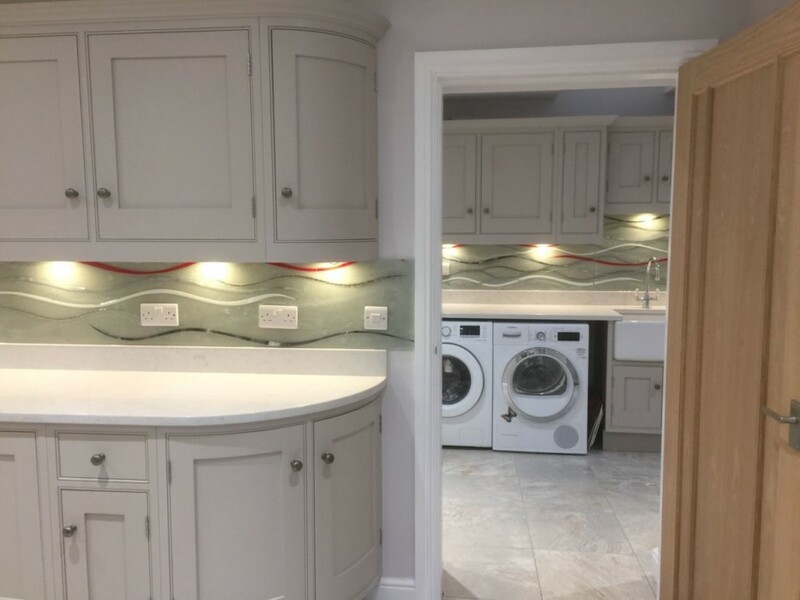 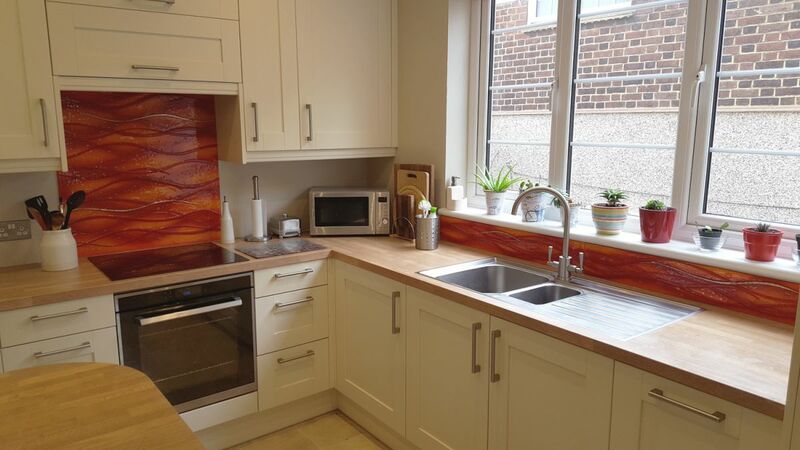 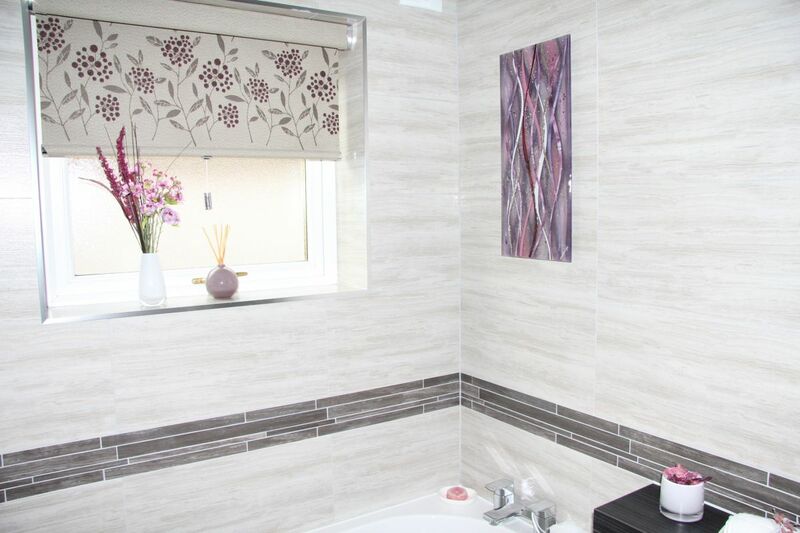 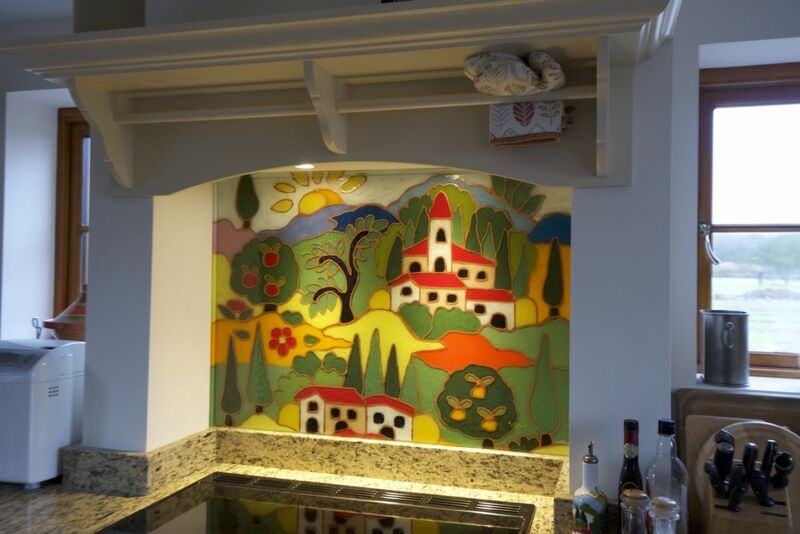 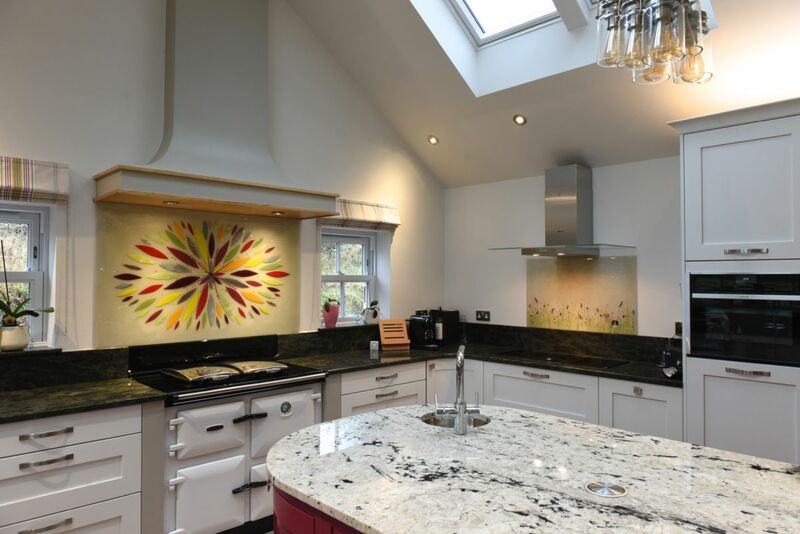 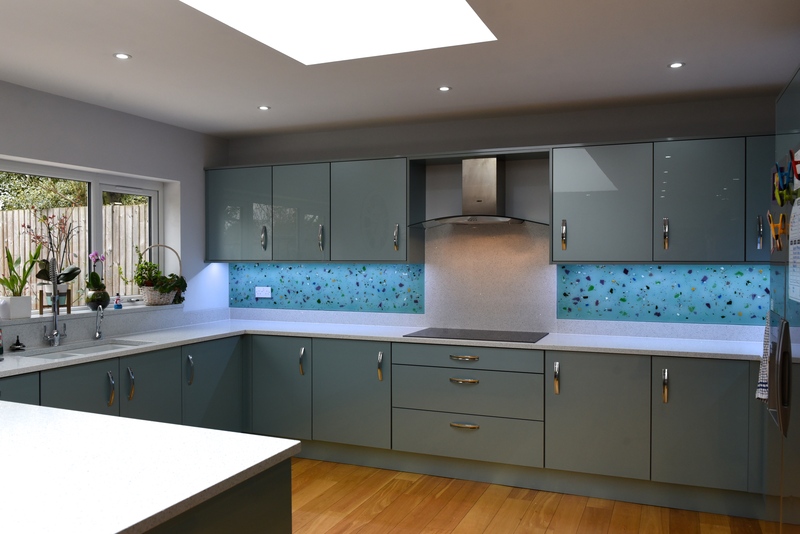 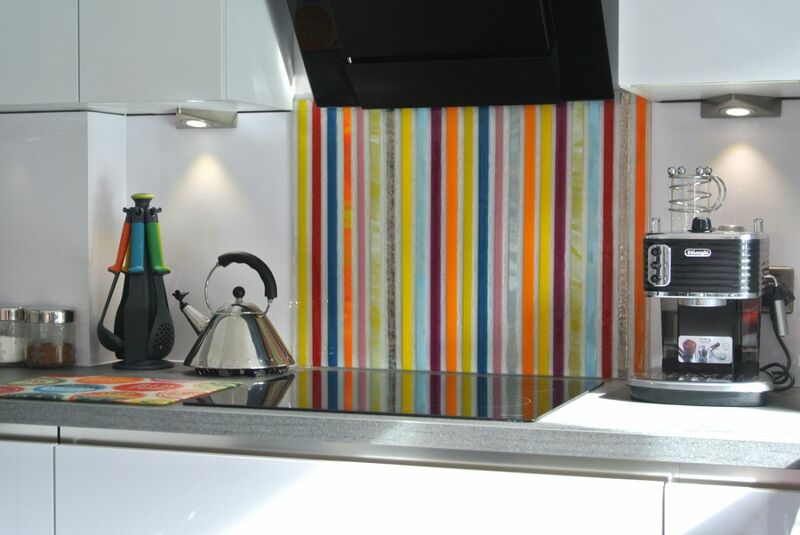 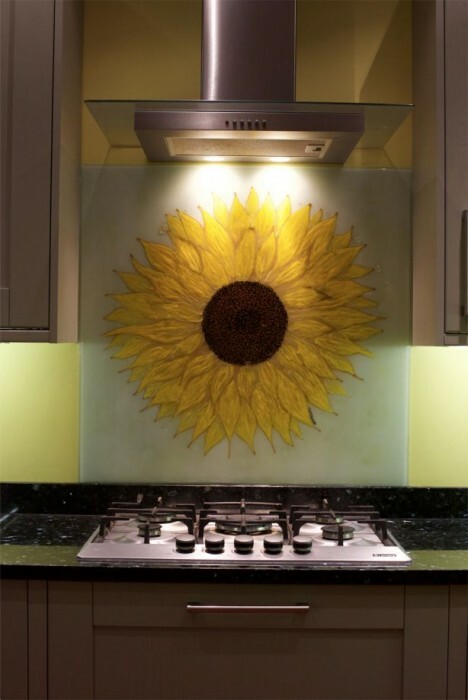 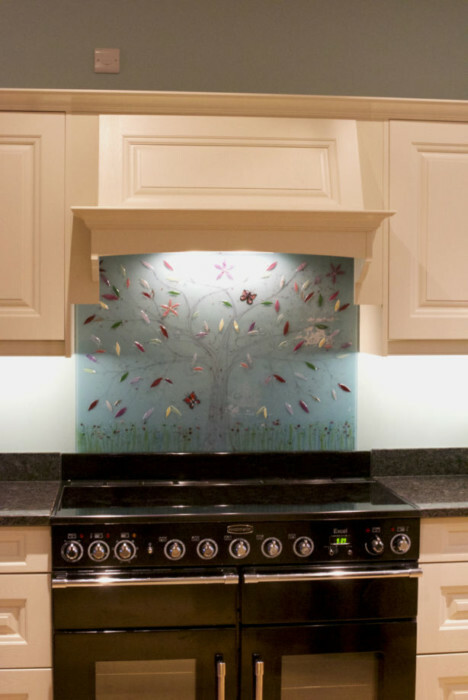 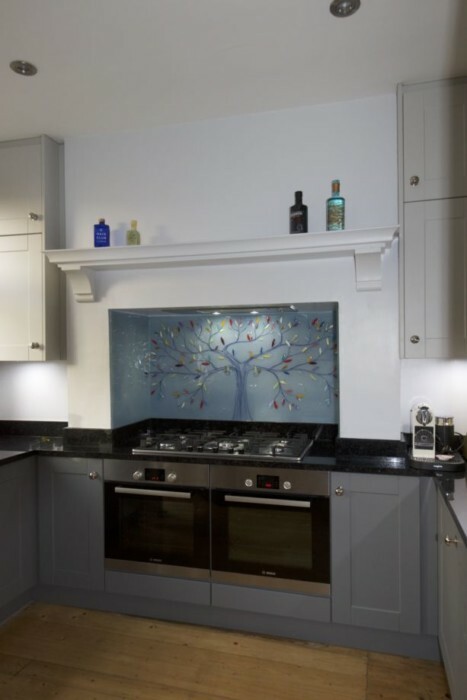 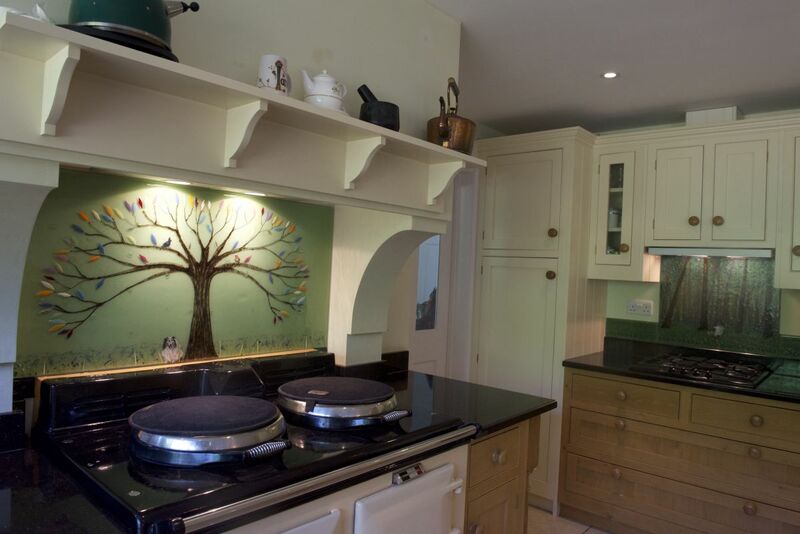 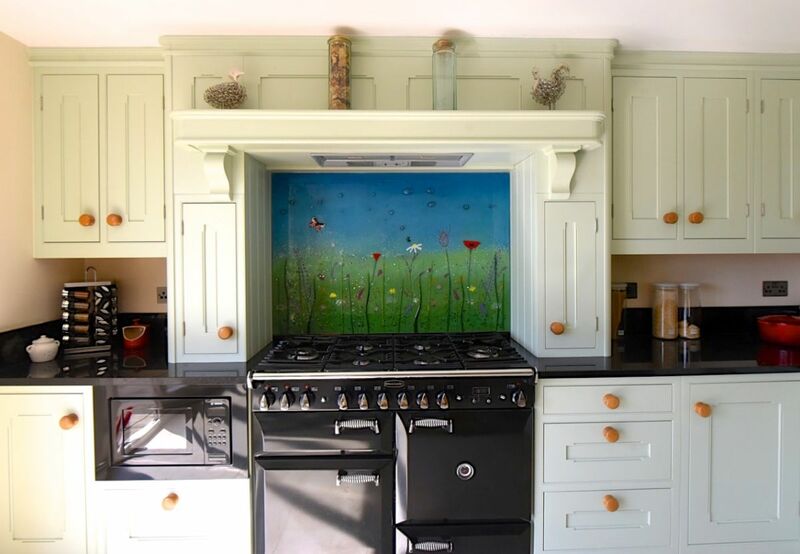 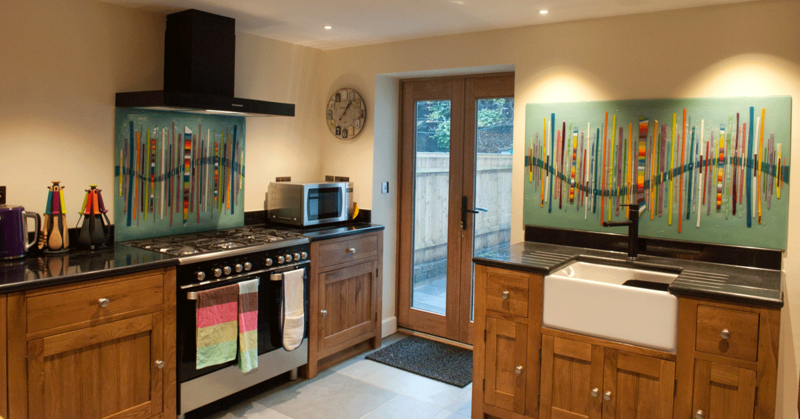 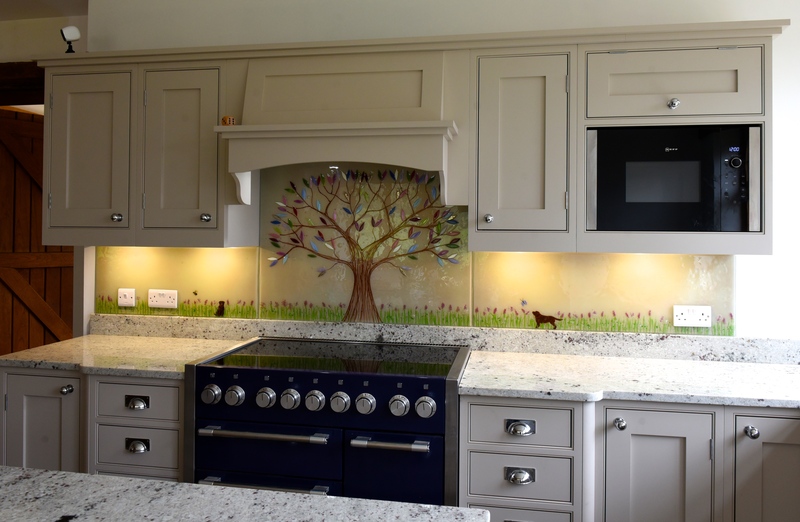 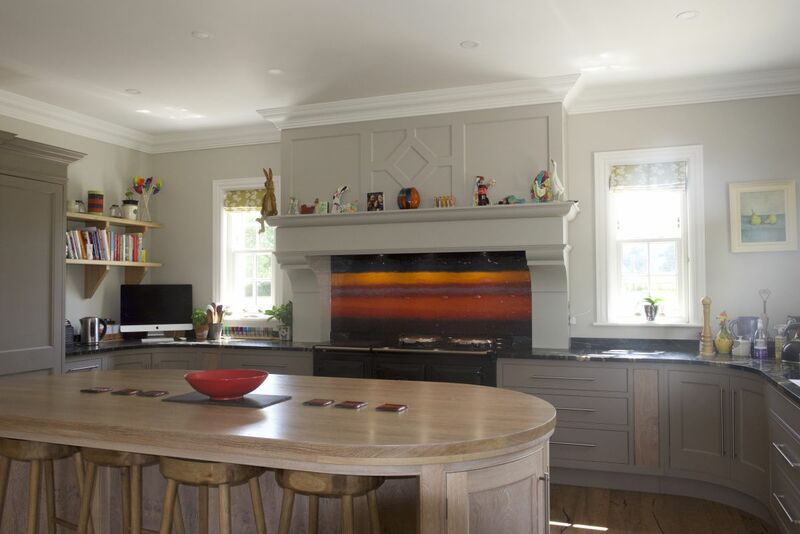 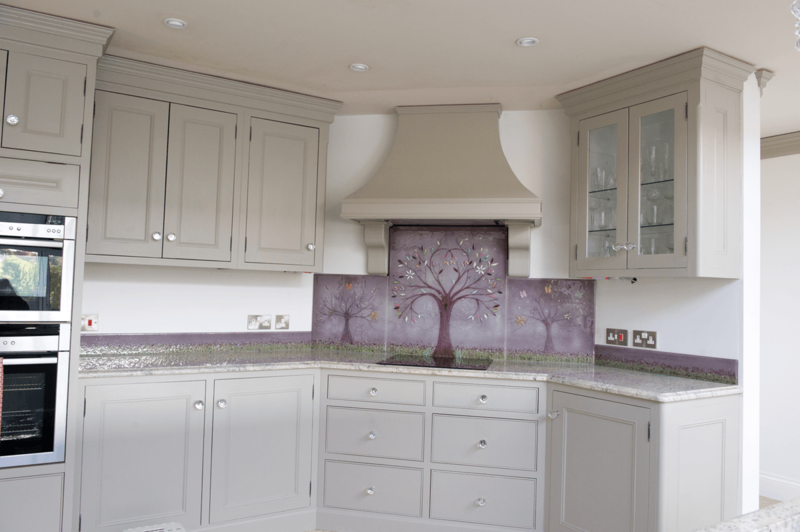 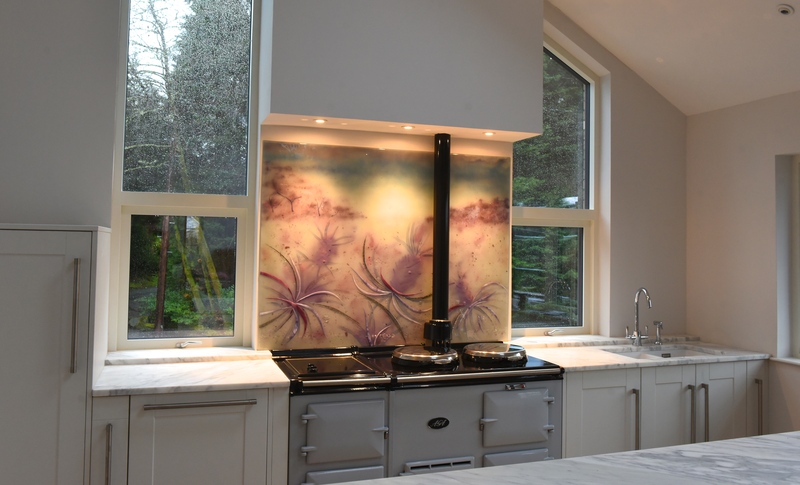 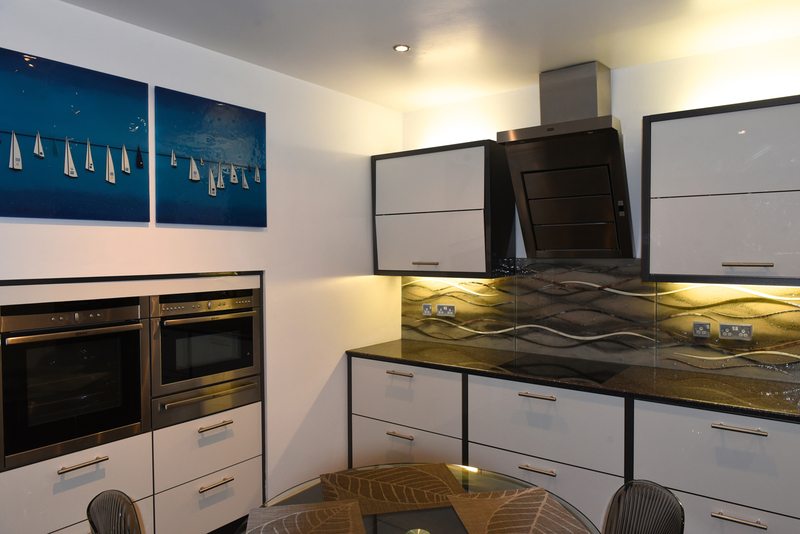 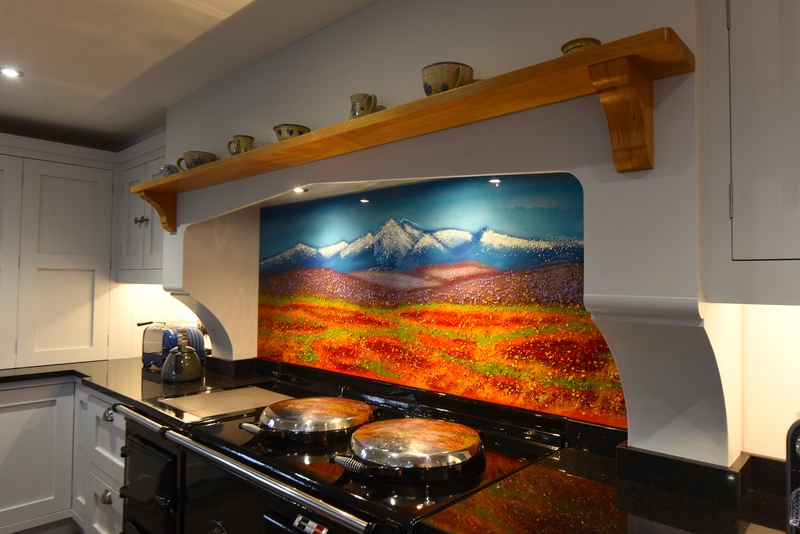 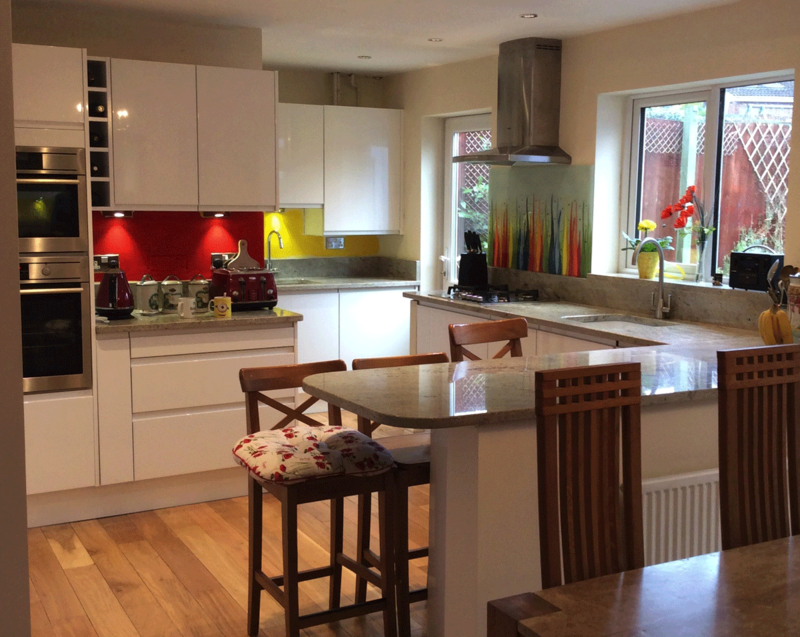 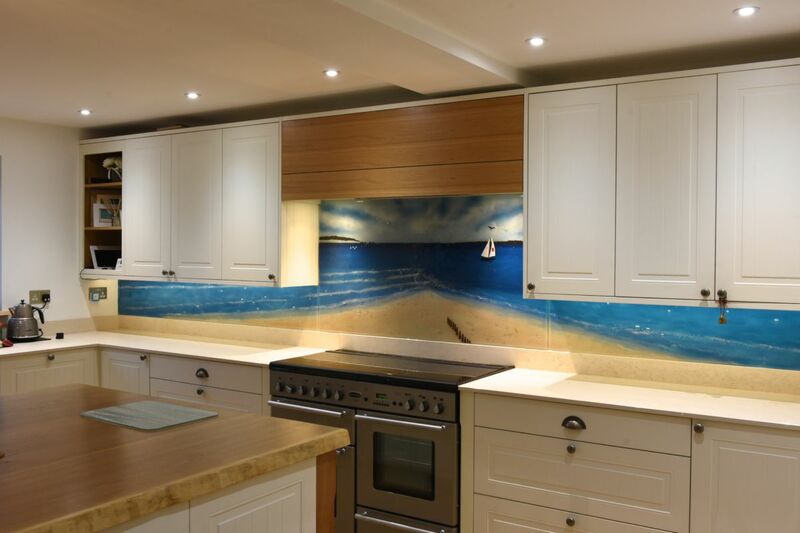 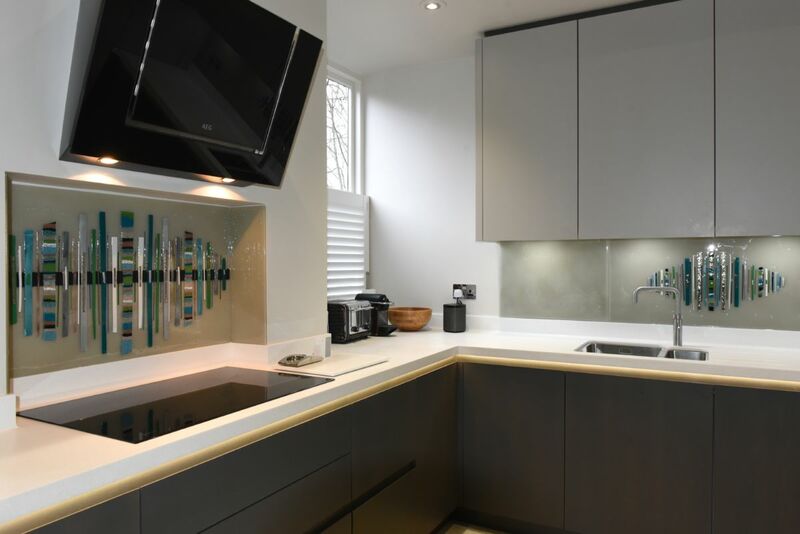 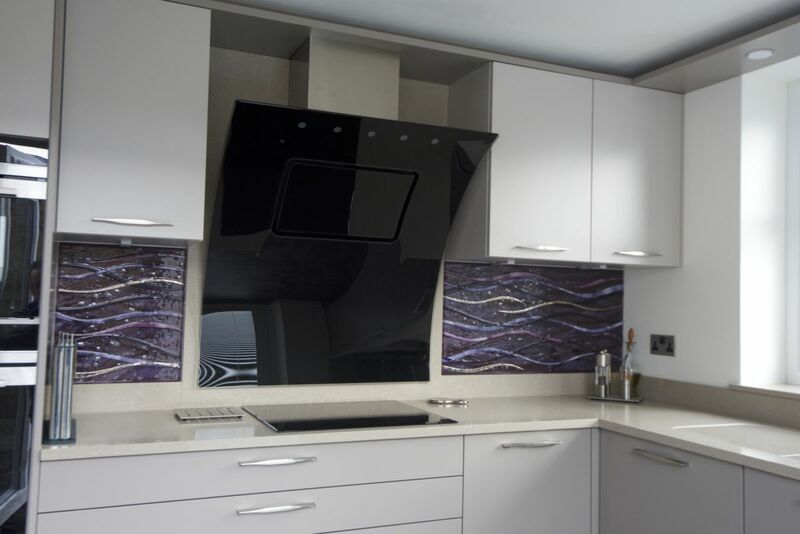 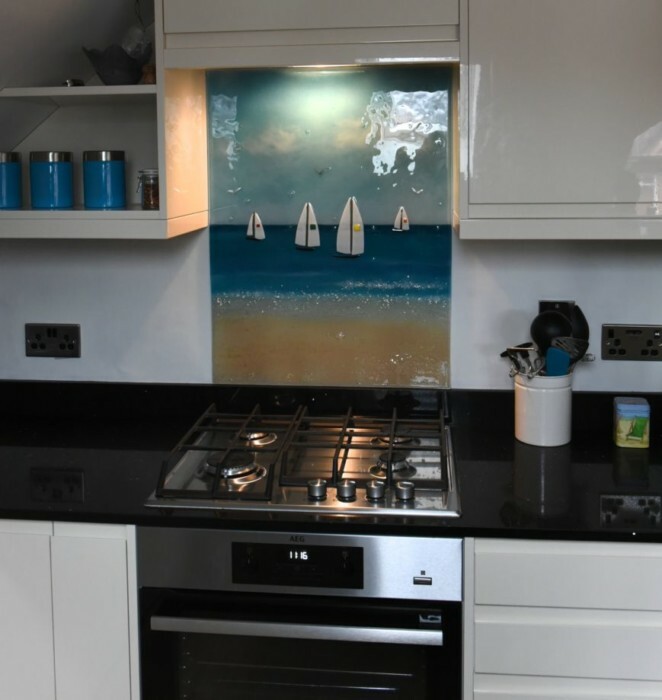 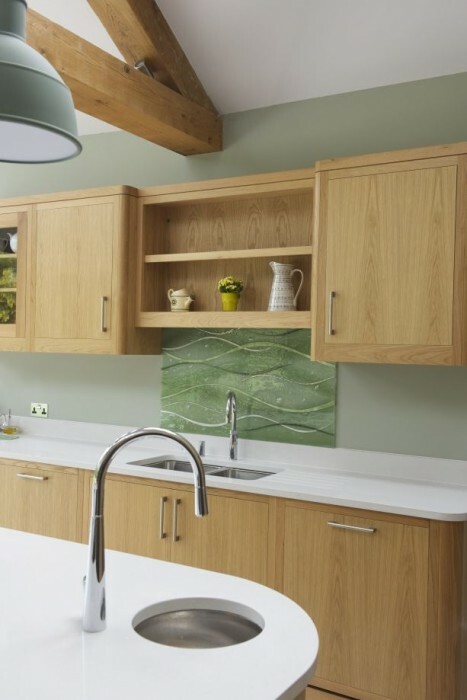 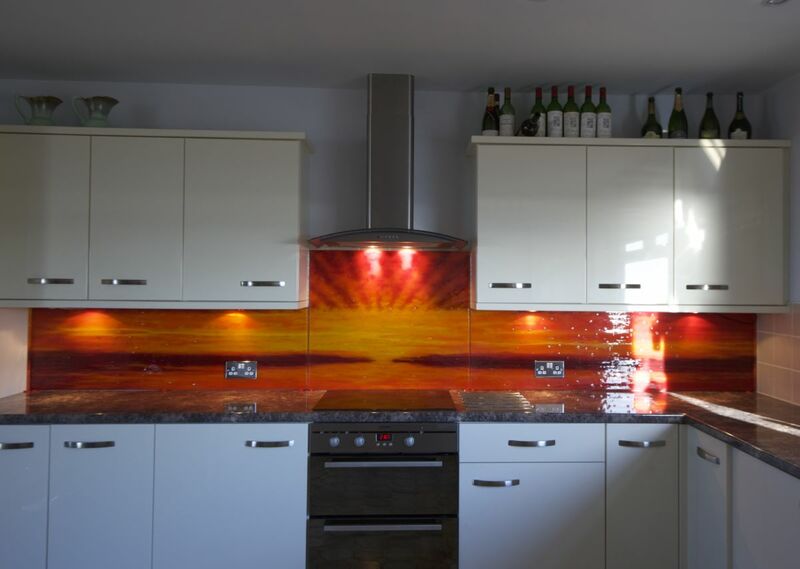 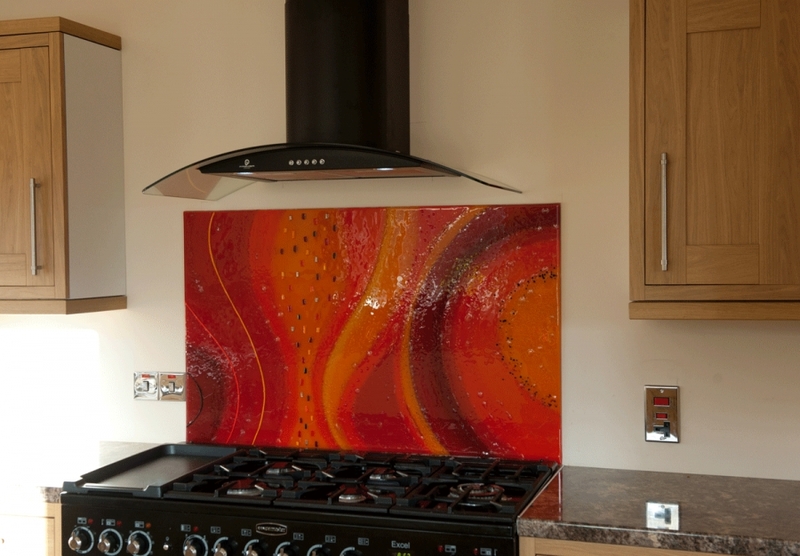 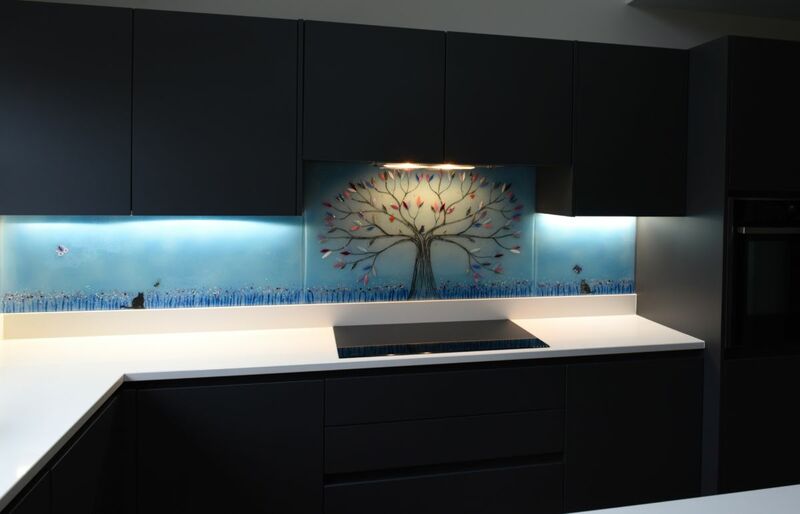 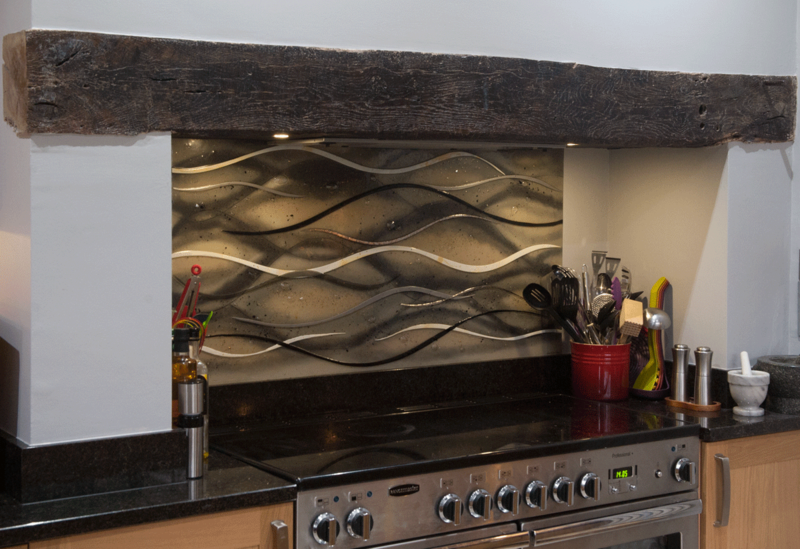 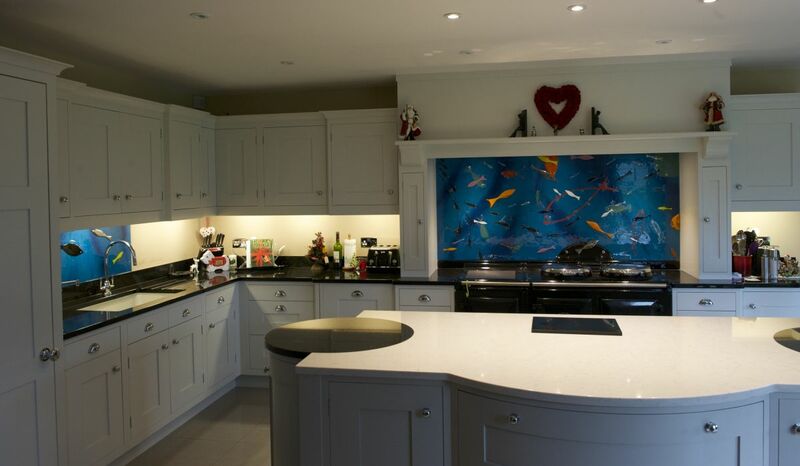 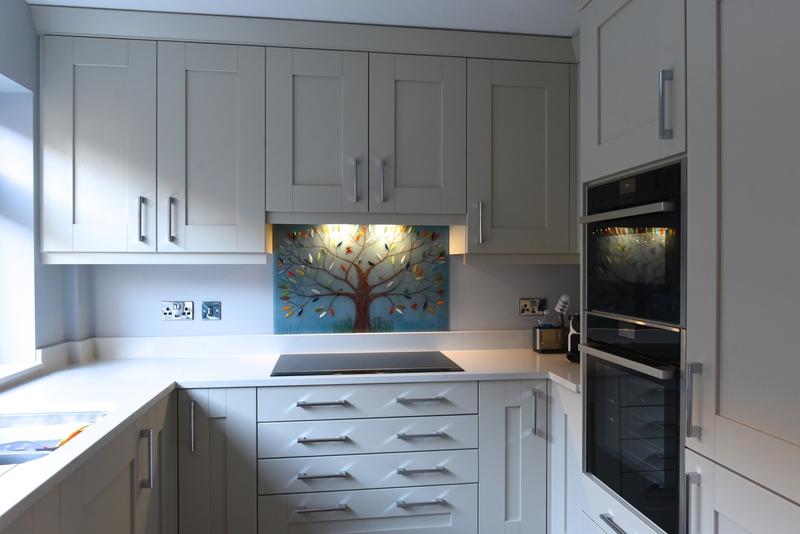 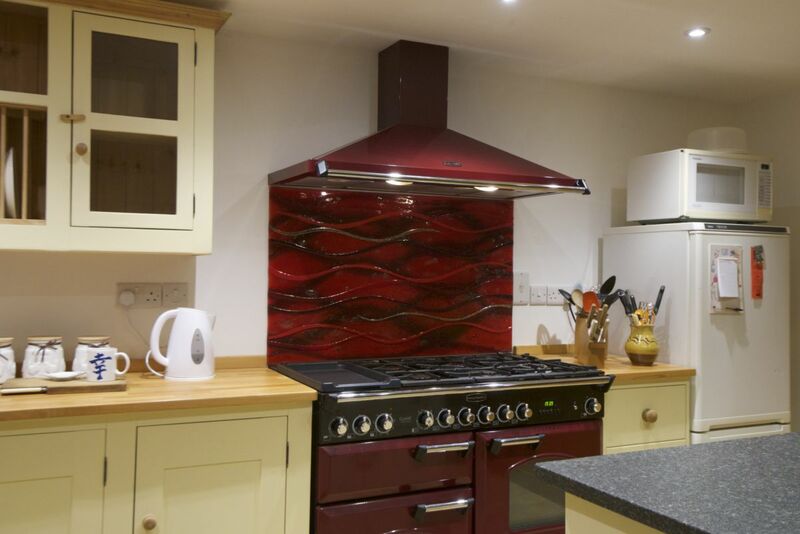 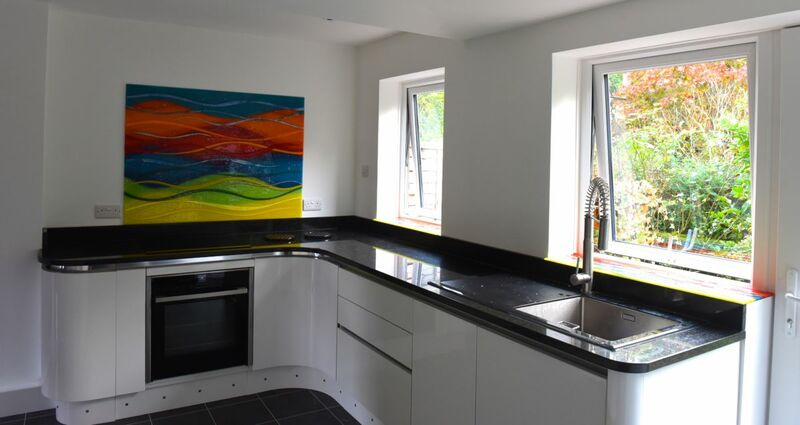 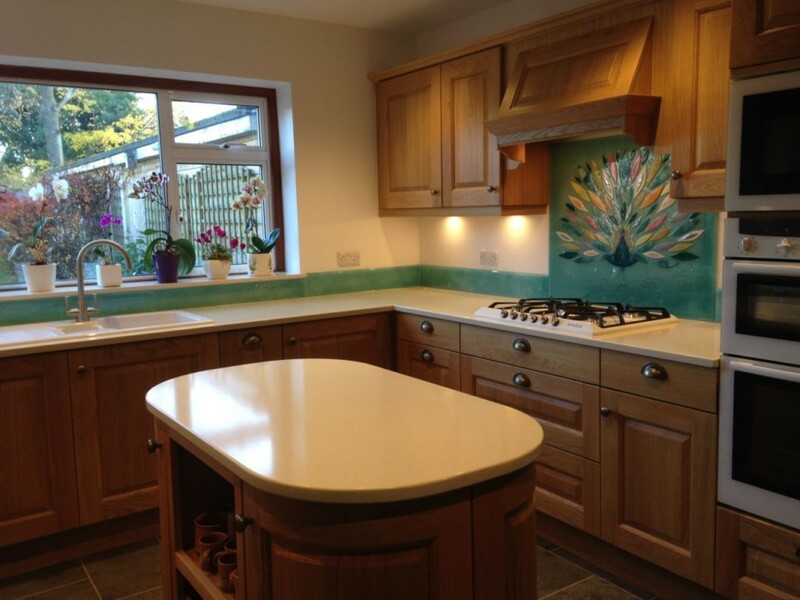 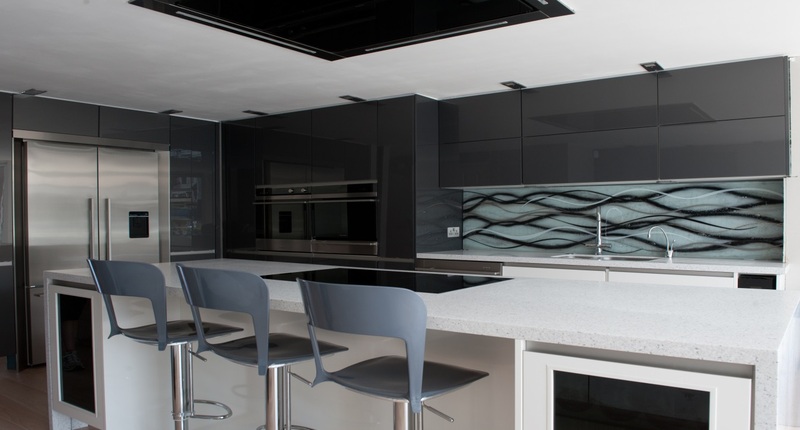 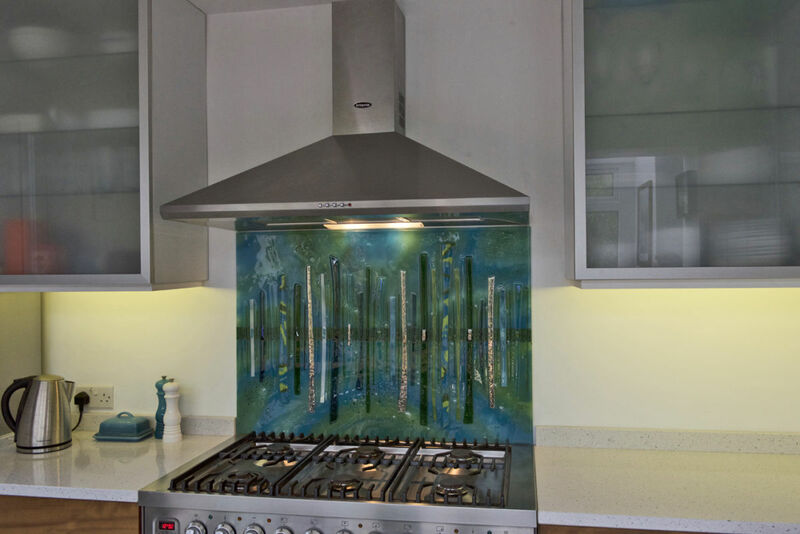 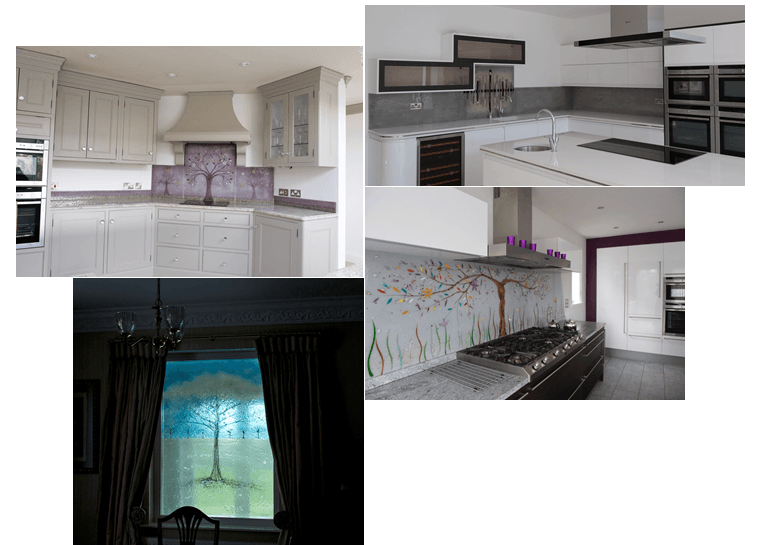 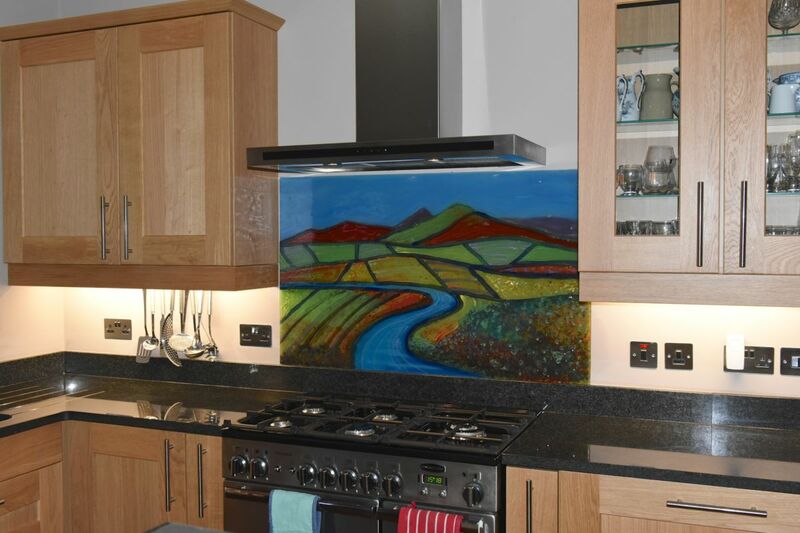 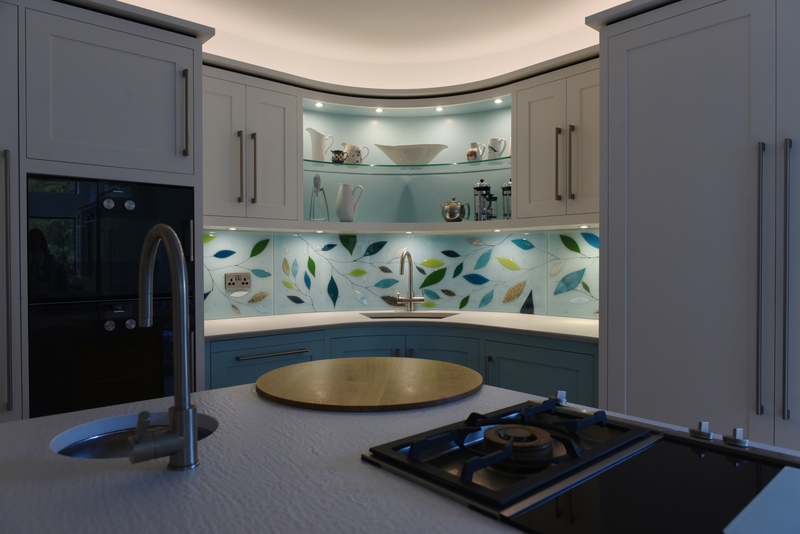 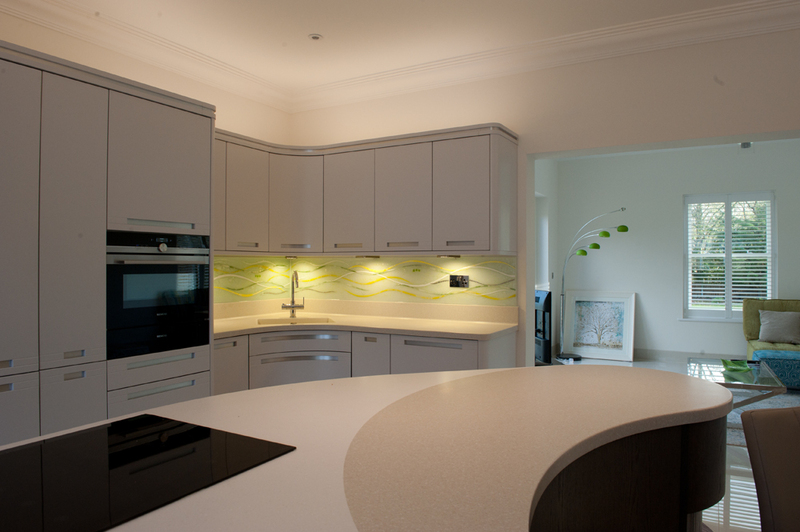 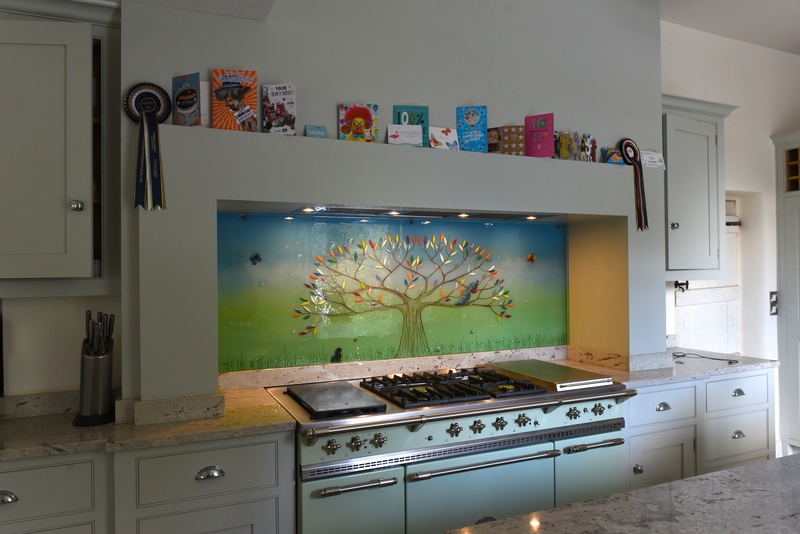 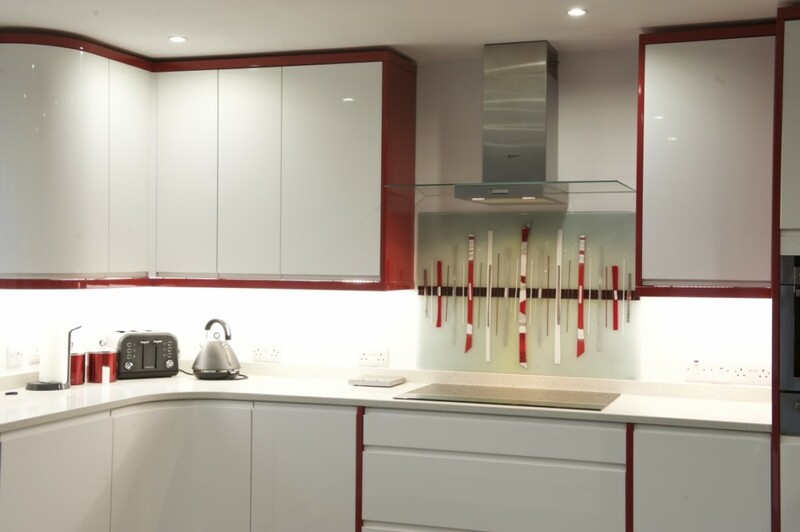 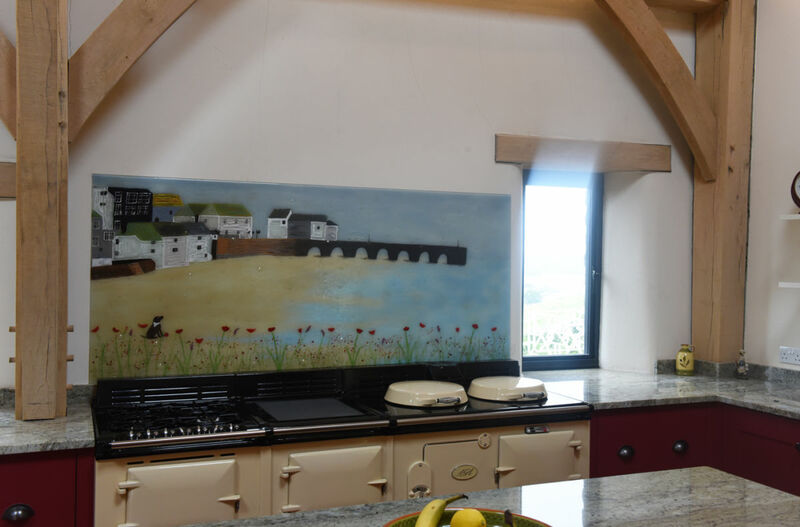 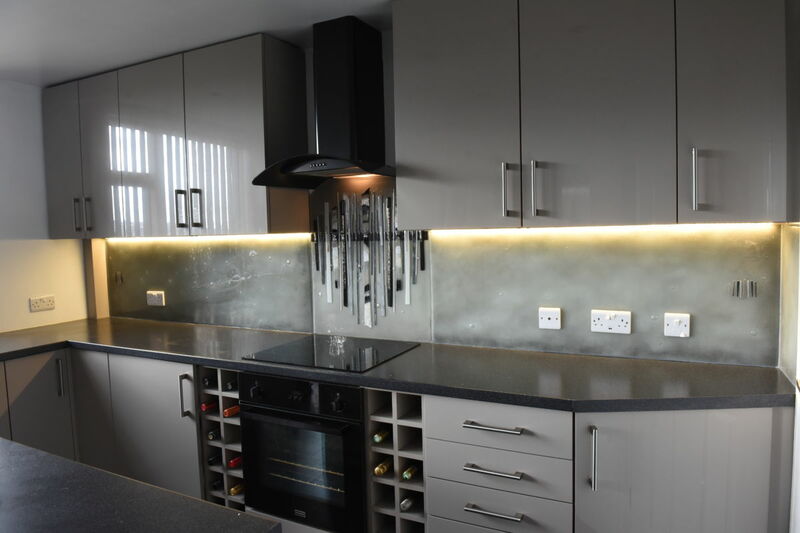 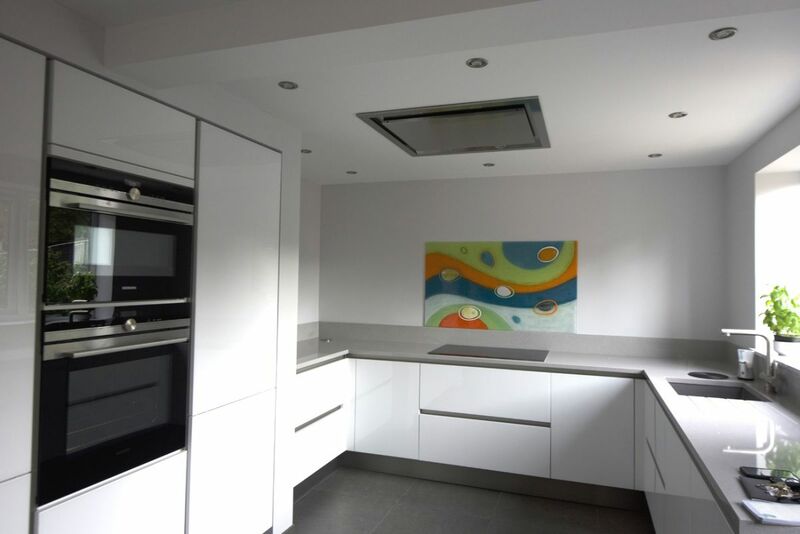 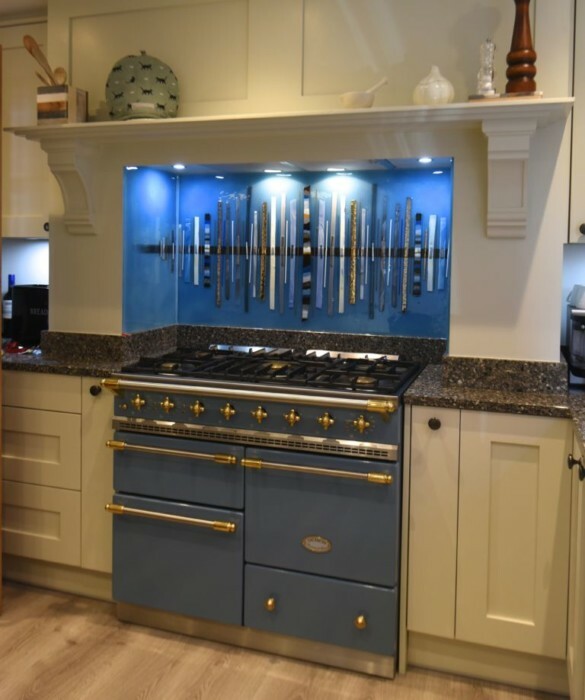 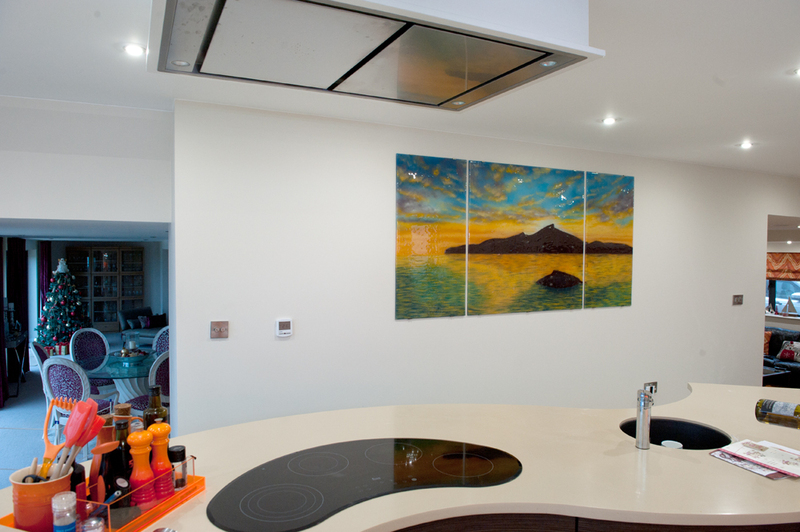 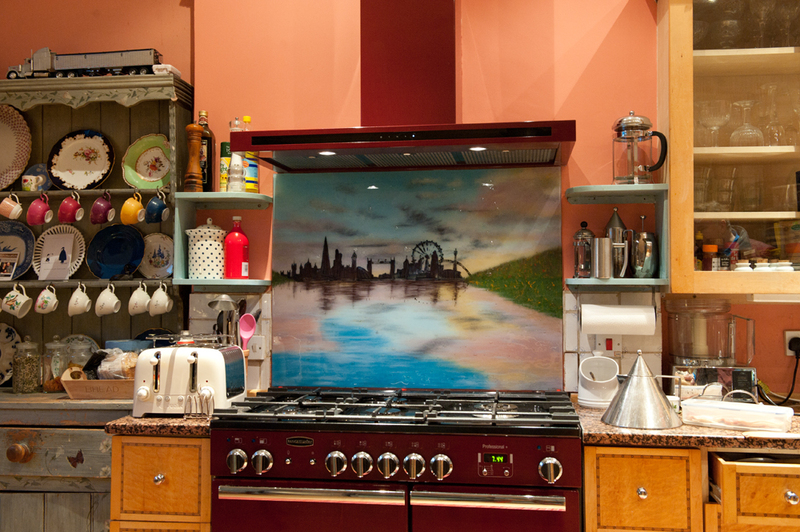 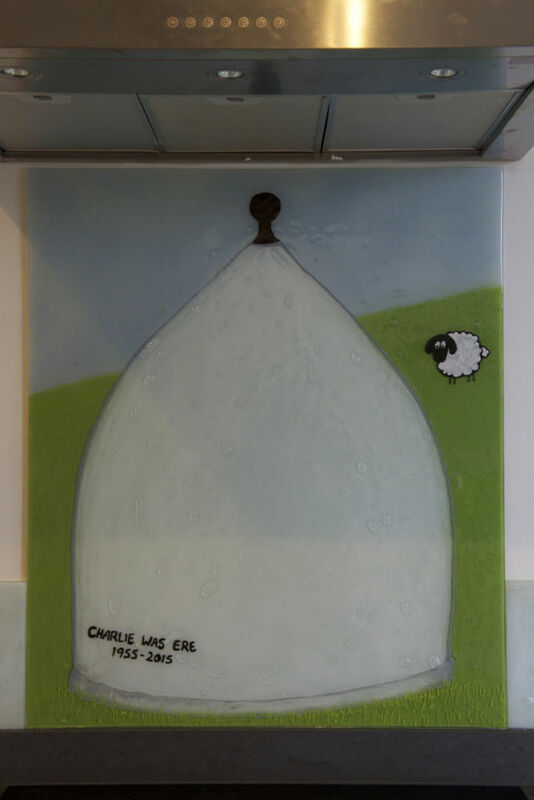 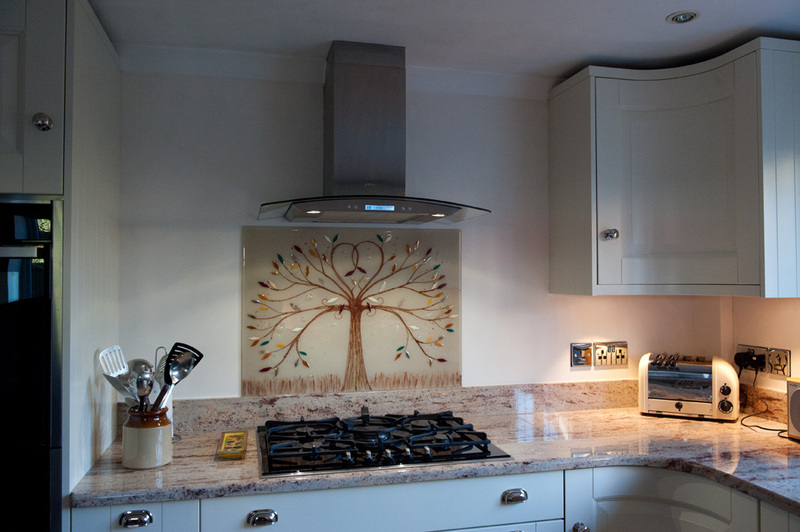 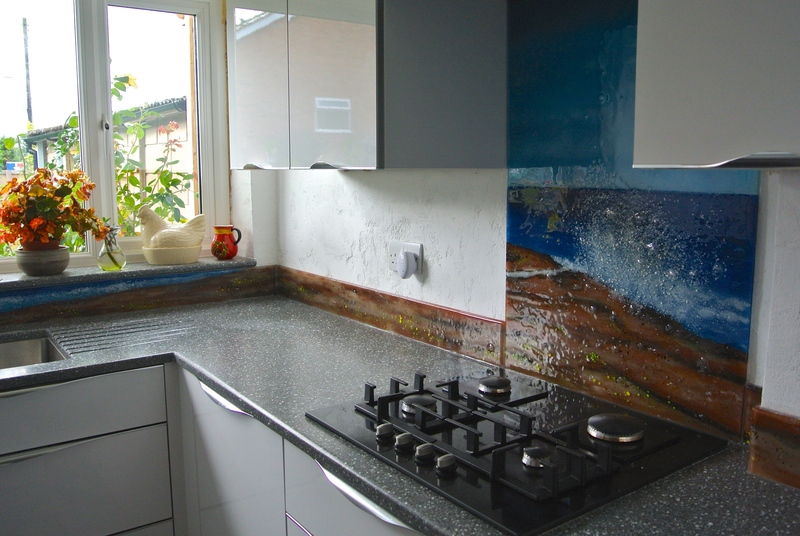 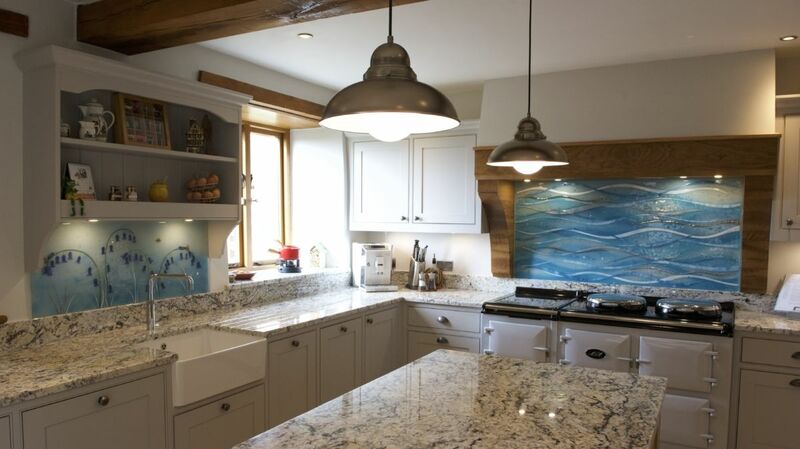 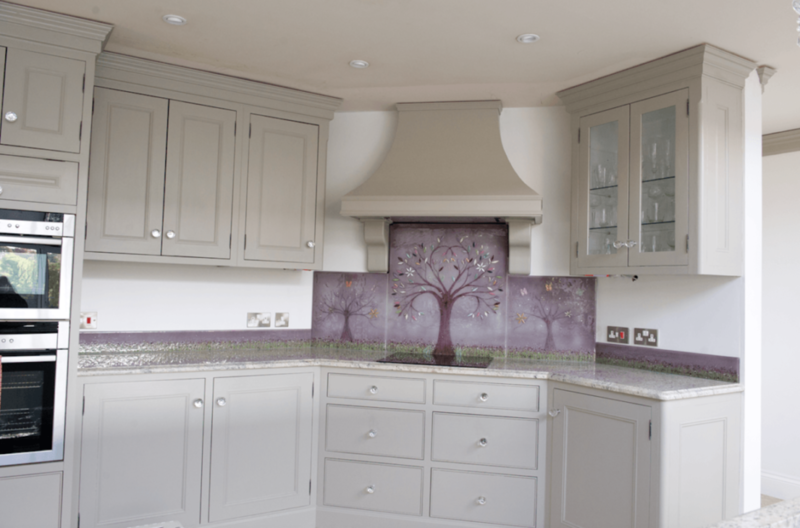 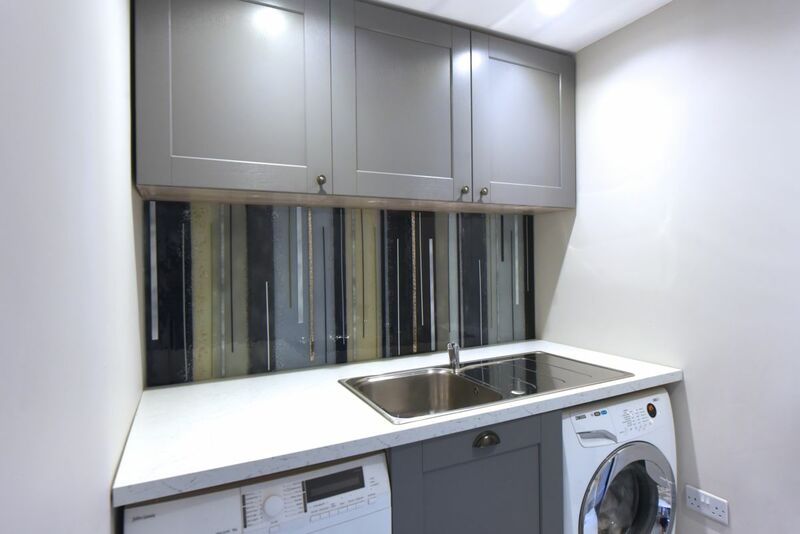 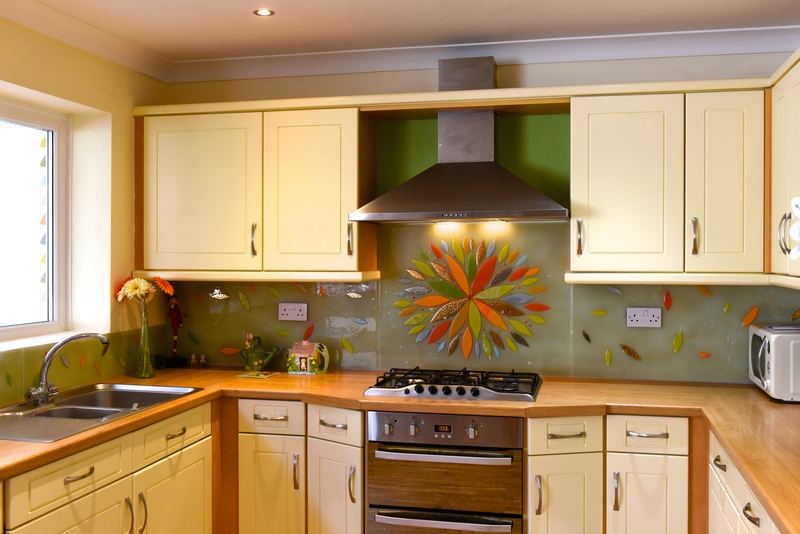 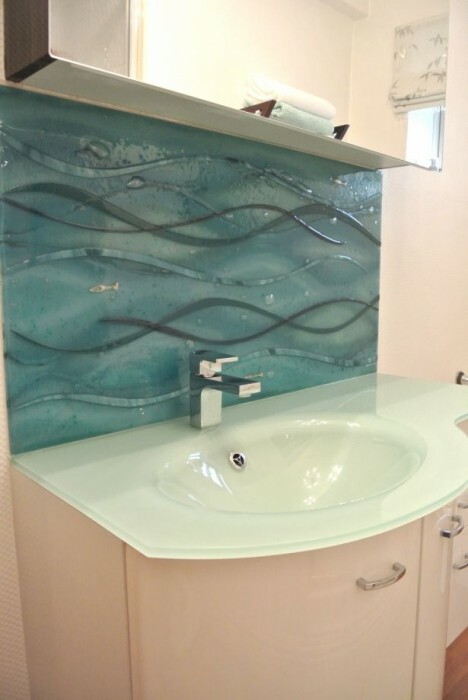 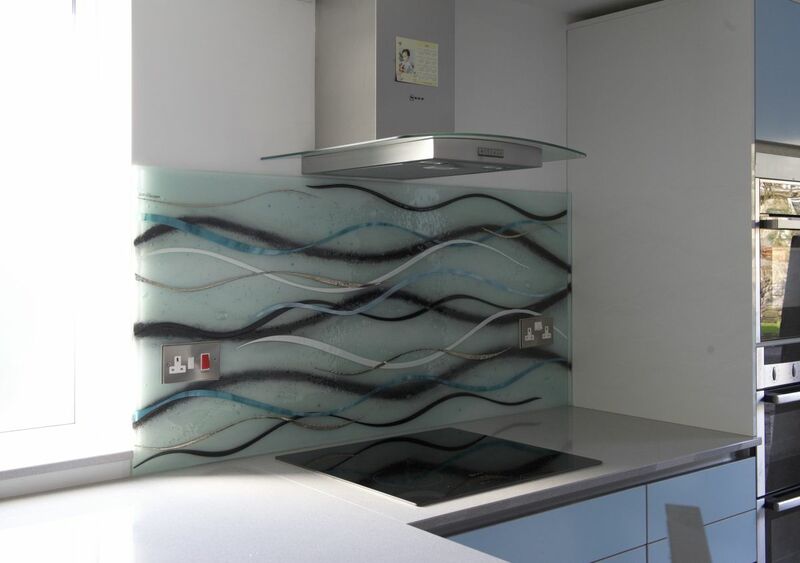 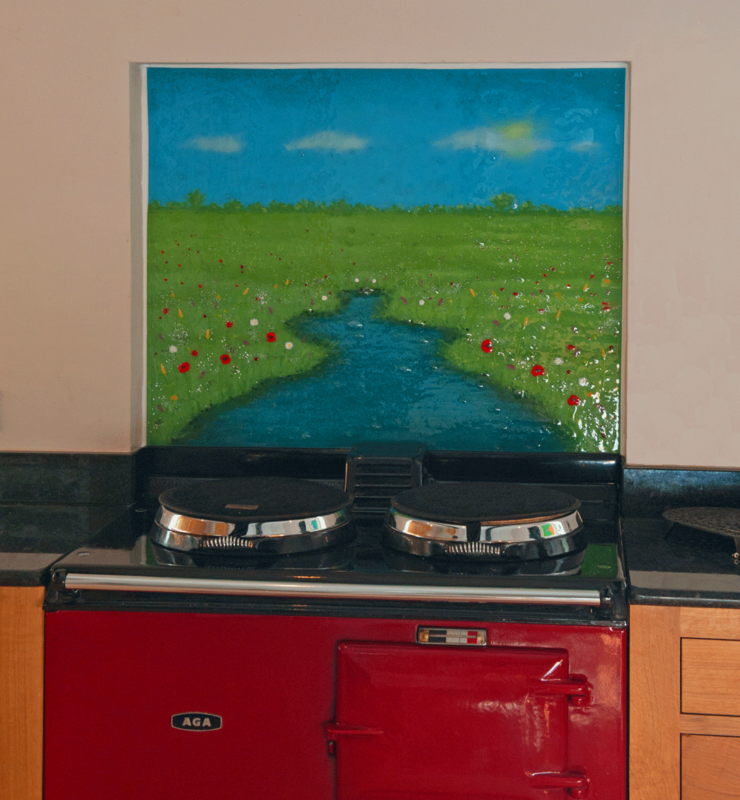 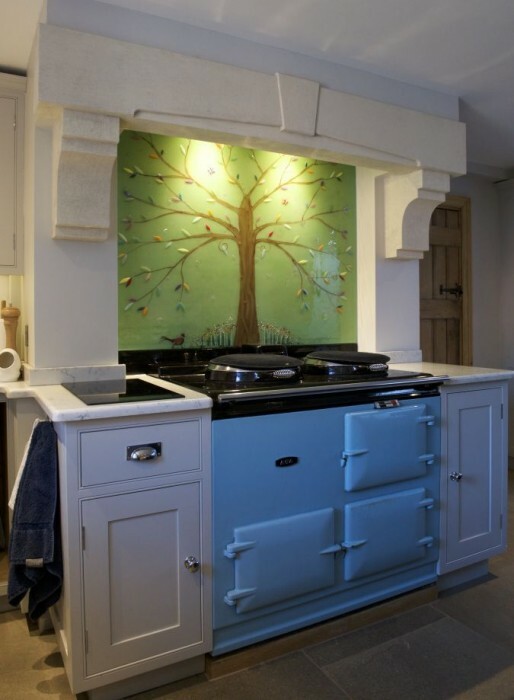 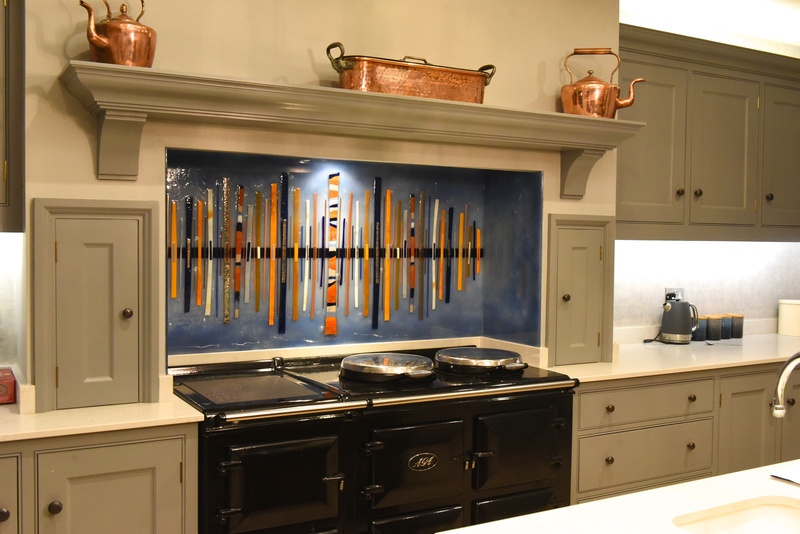 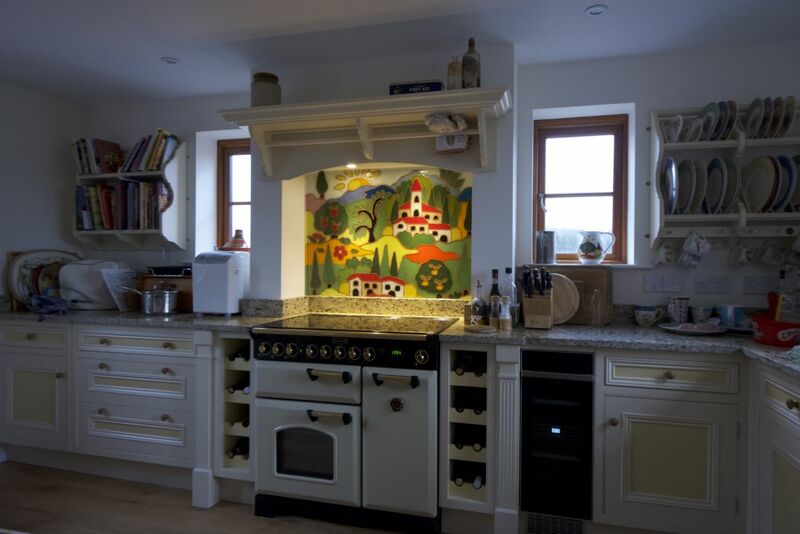 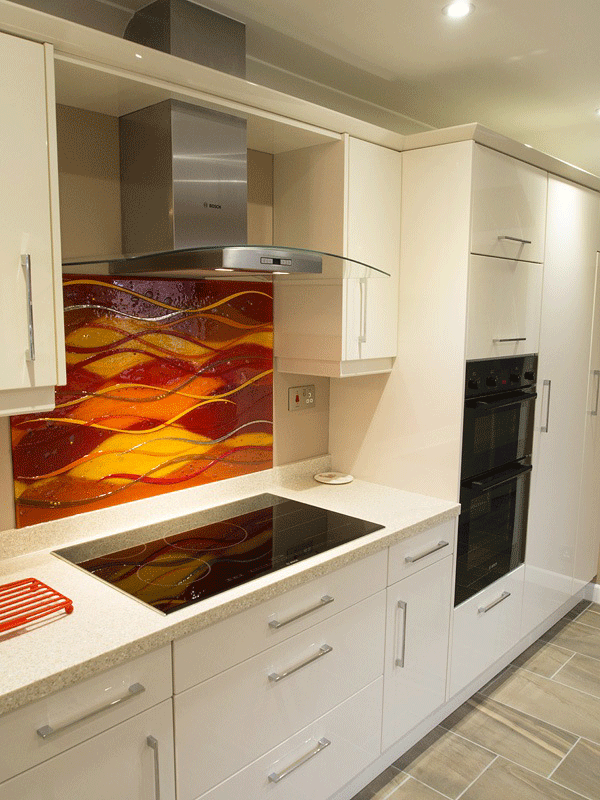 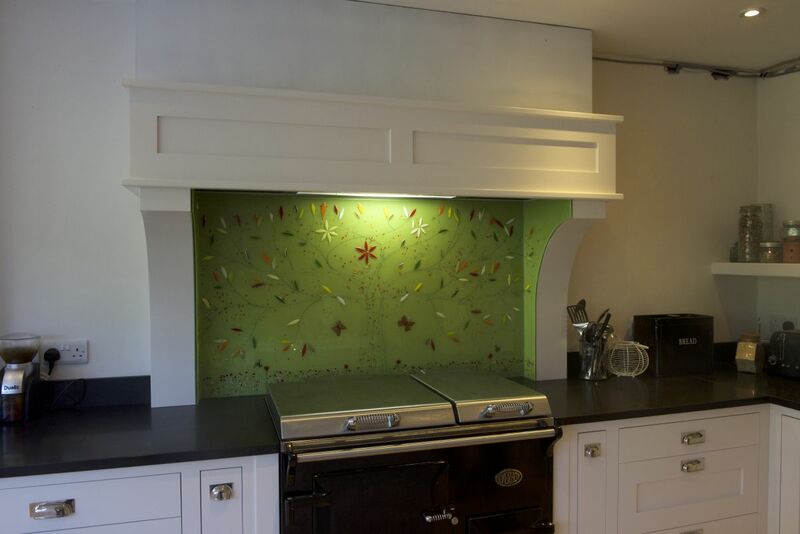 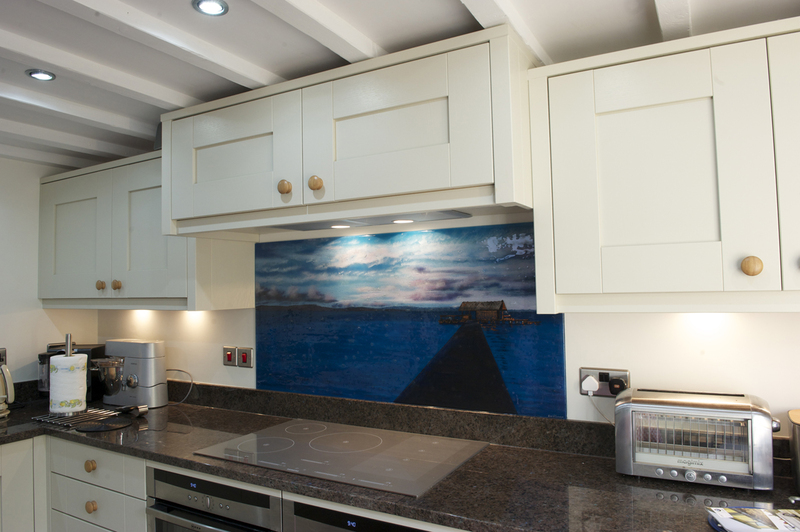 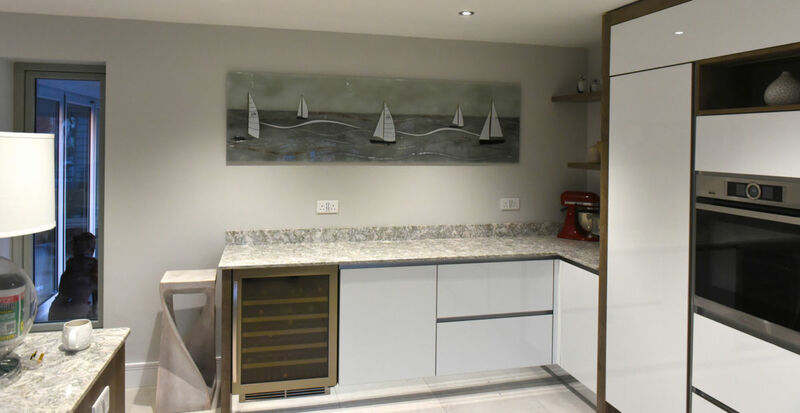 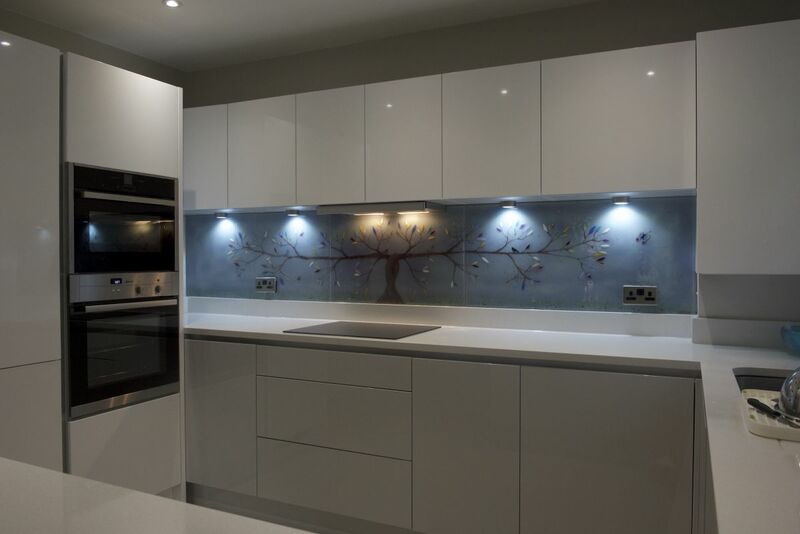 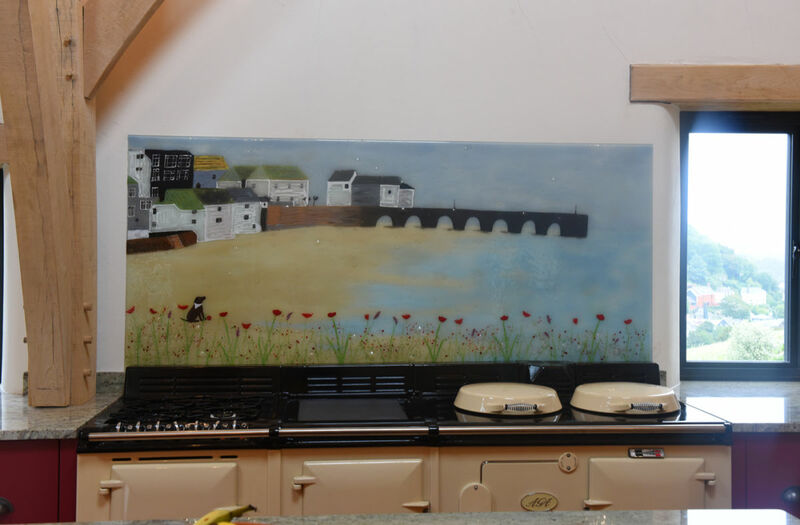 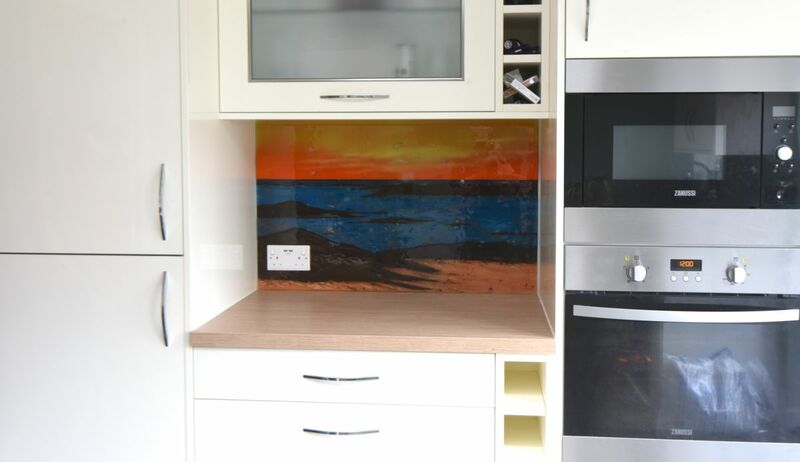 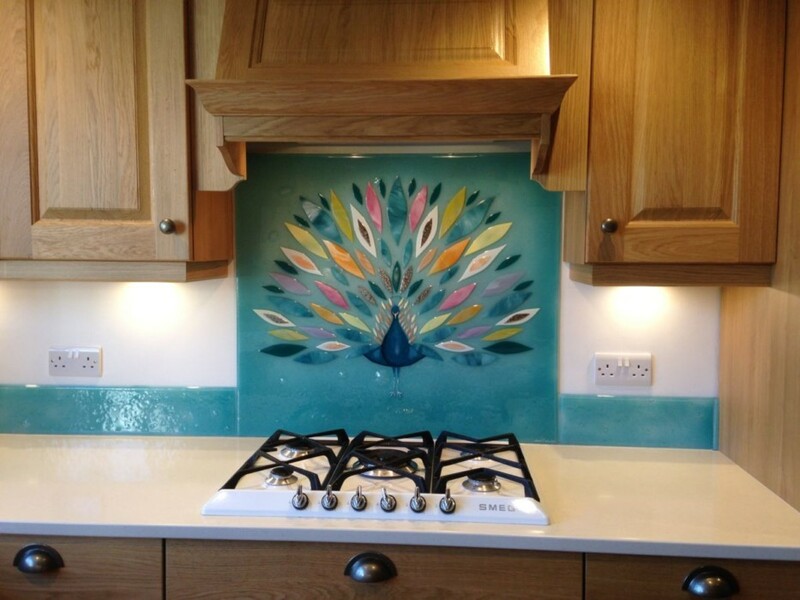 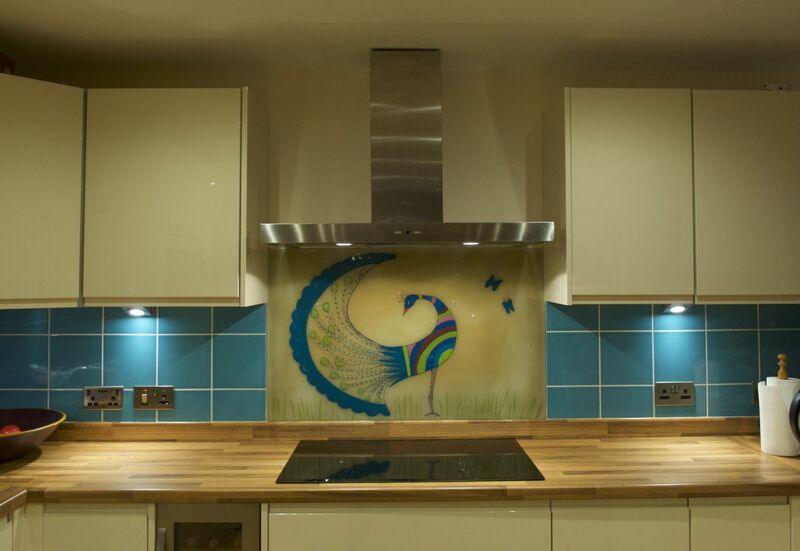 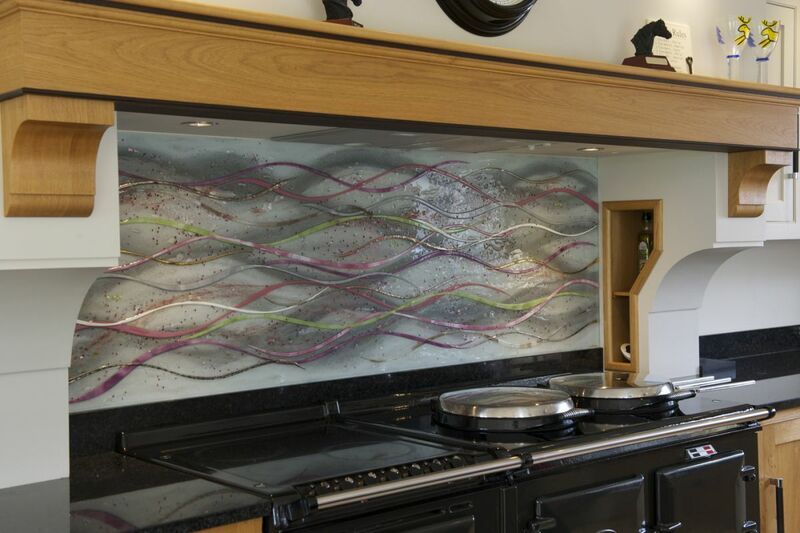 Most of the styles and designs that became classics and all-time favourites among our customers originated in larger pieces like our kitchen splashbacks and wall panels. 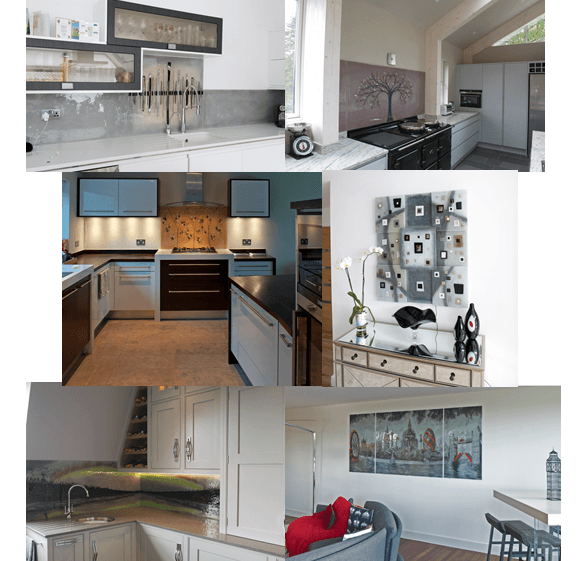 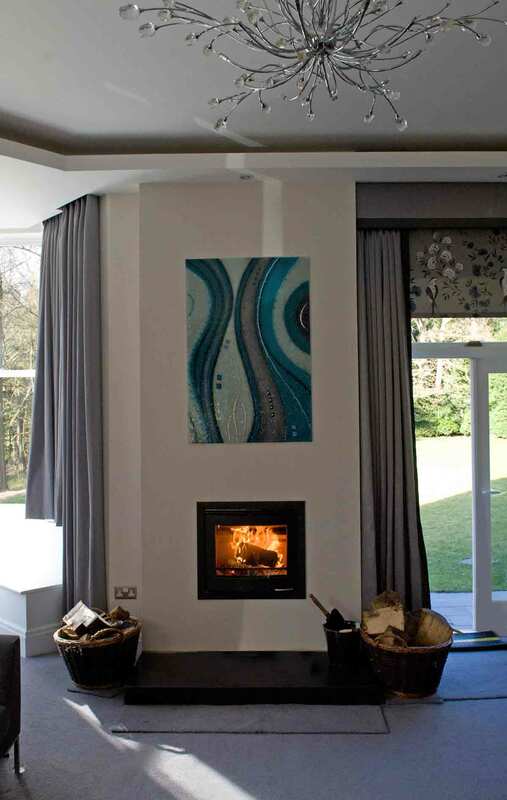 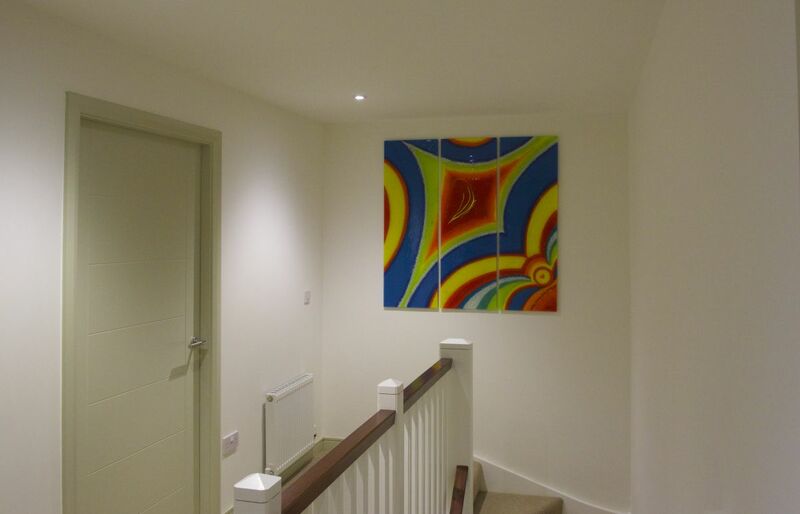 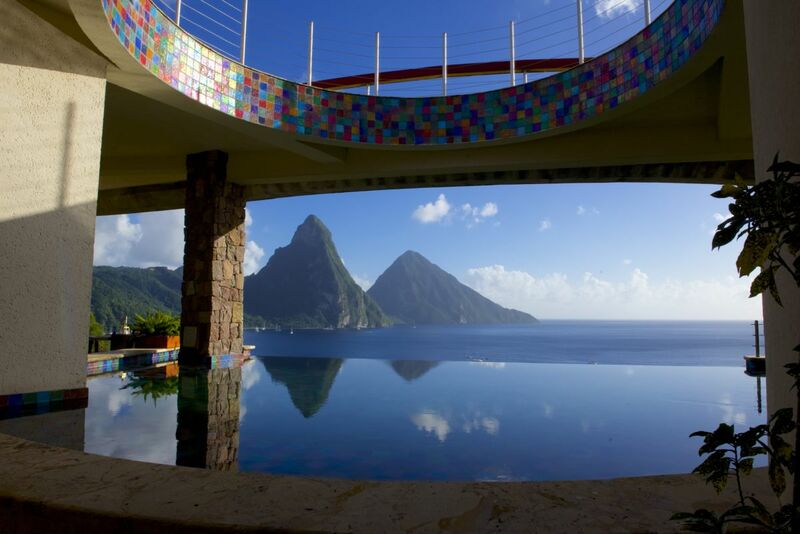 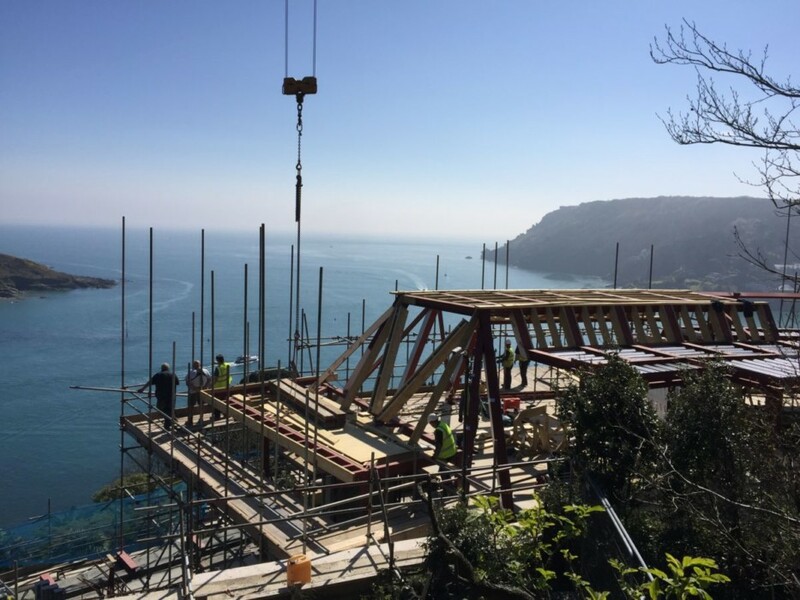 Simply take a look through our portfolio, as even the quickest of glances are sure to show you what we mean. 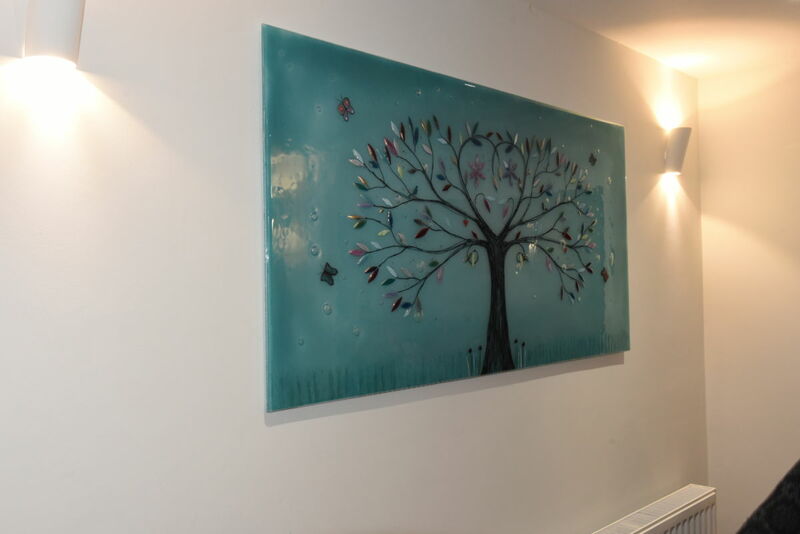 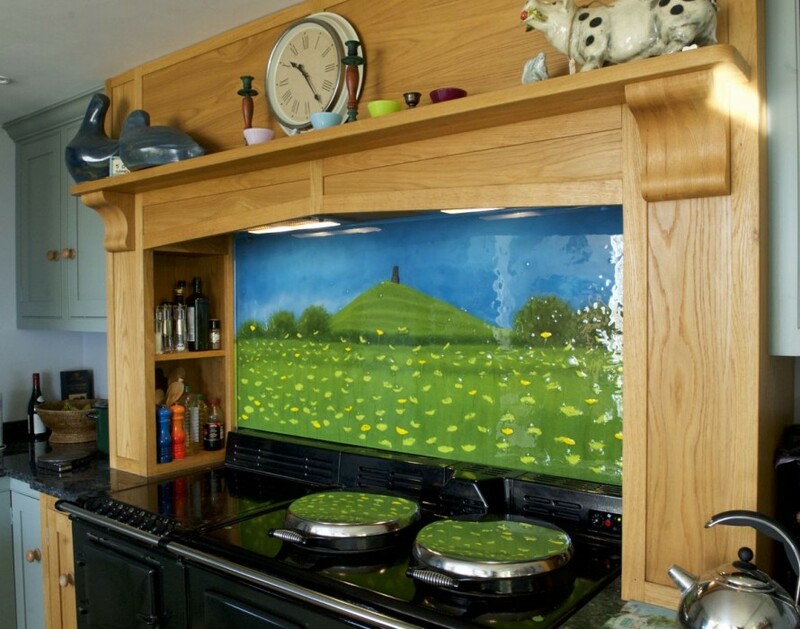 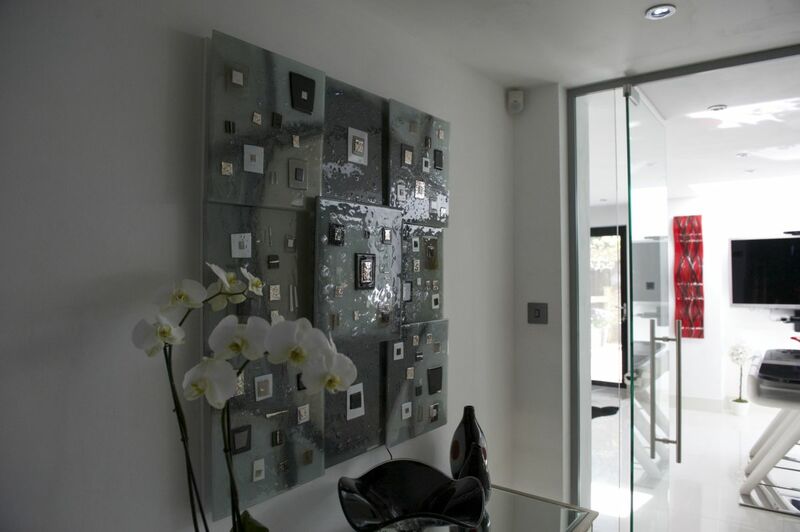 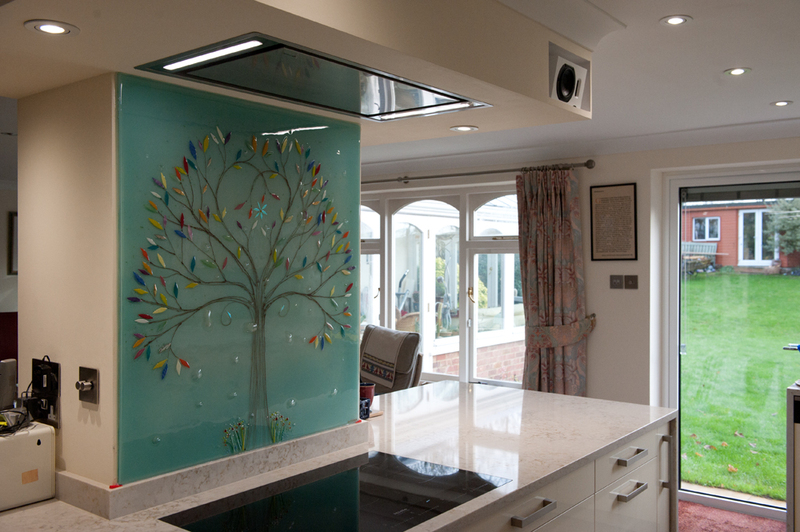 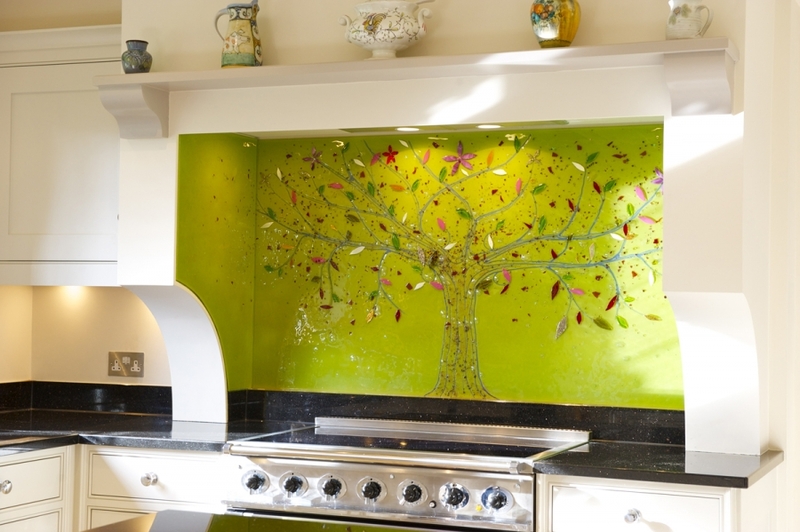 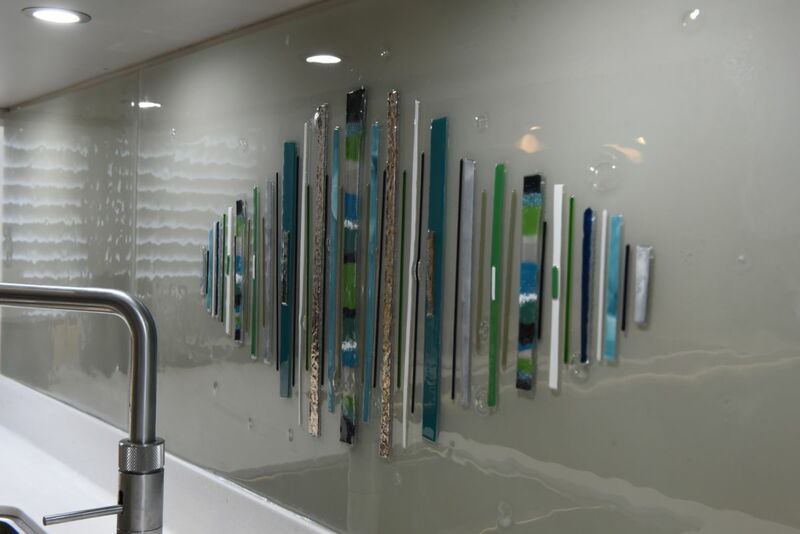 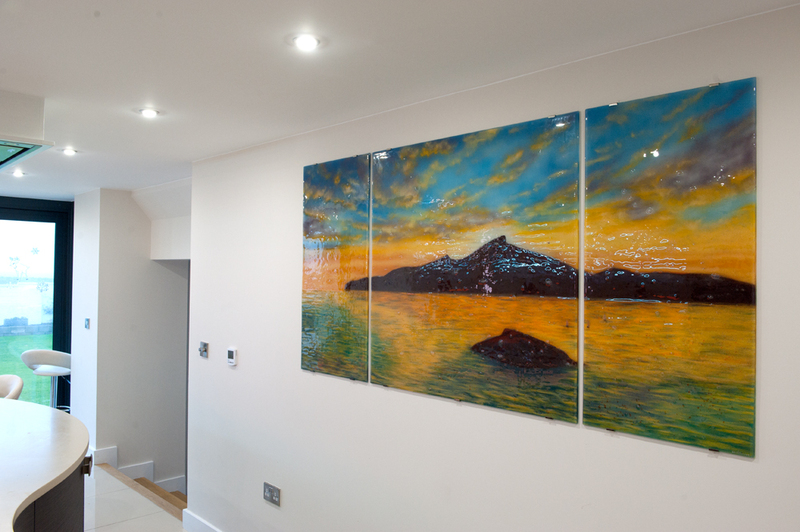 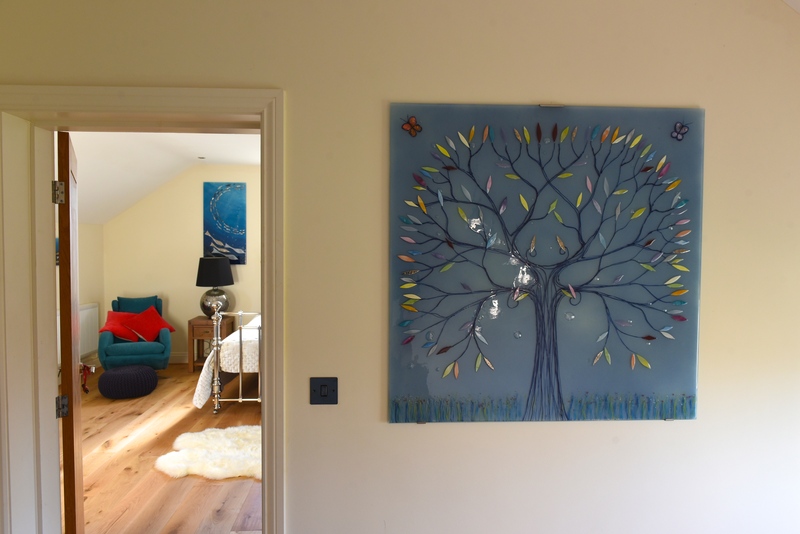 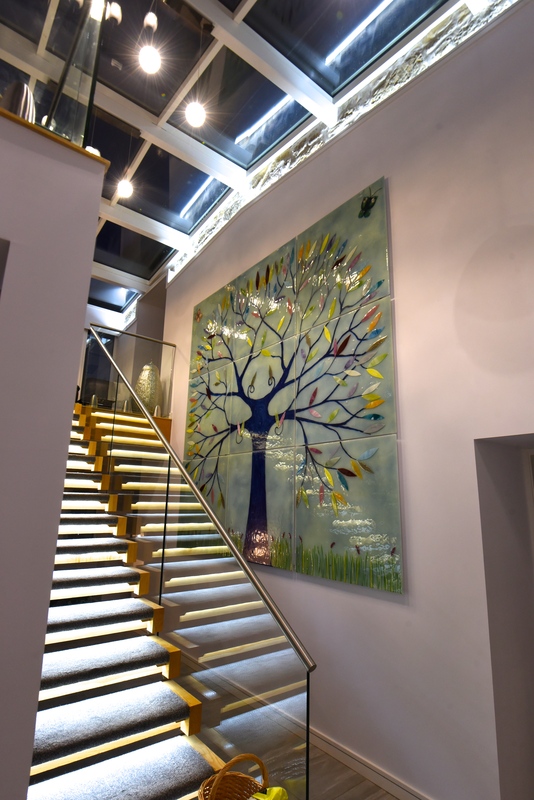 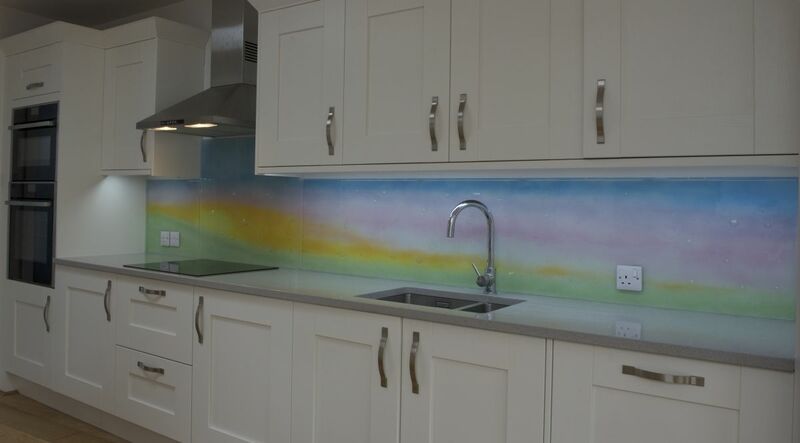 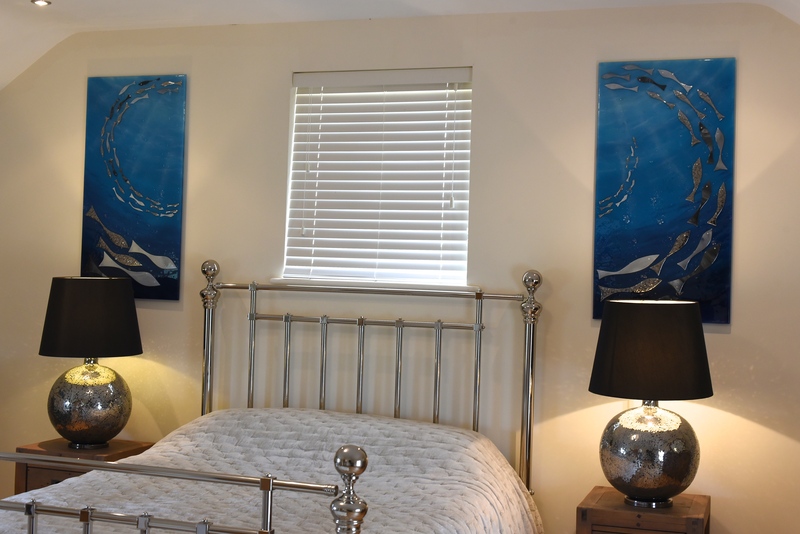 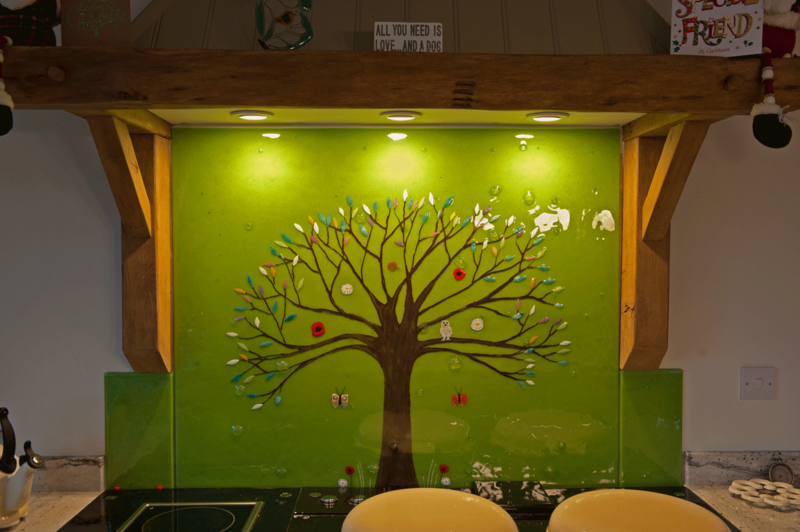 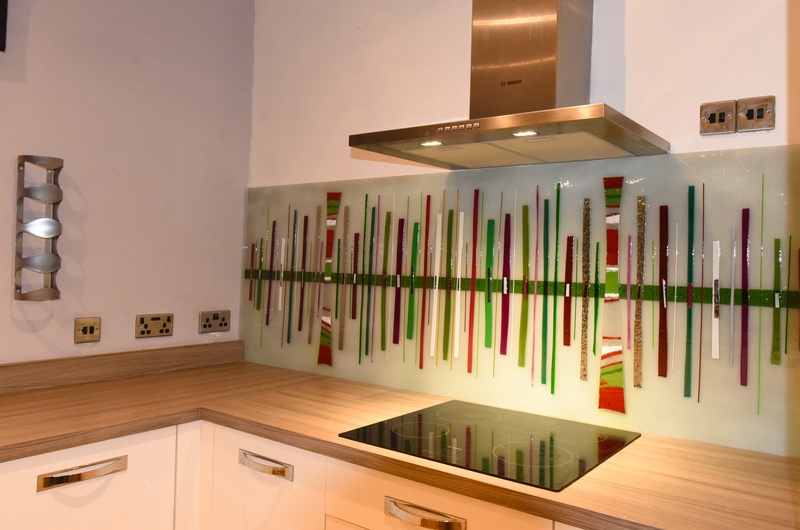 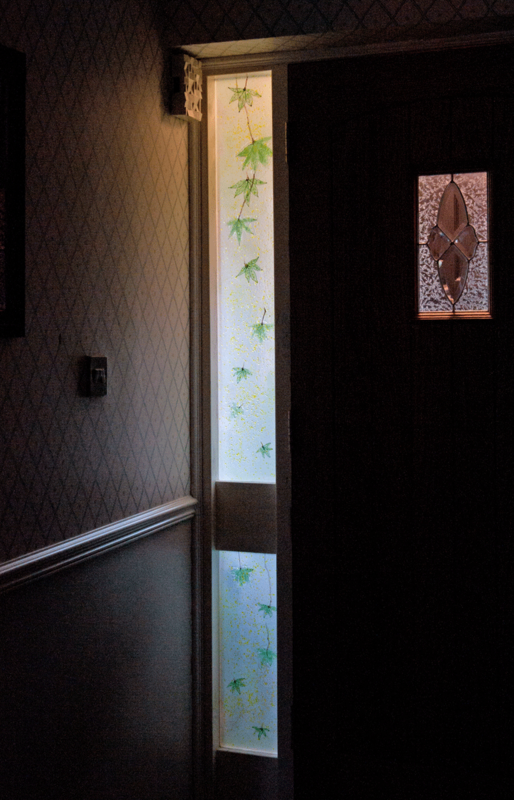 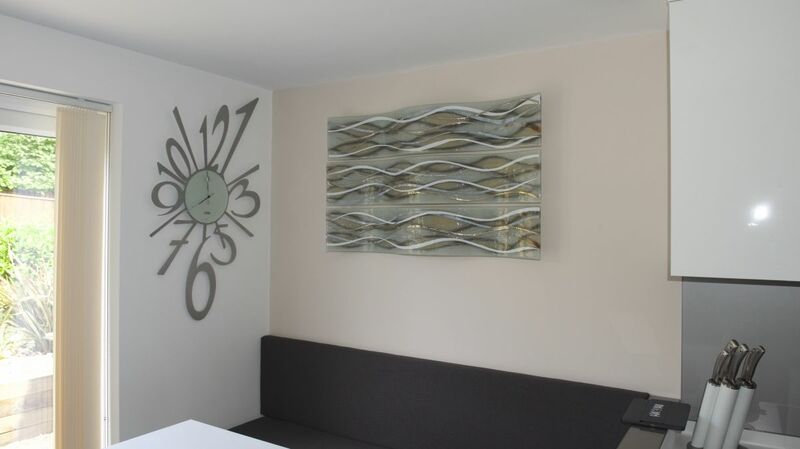 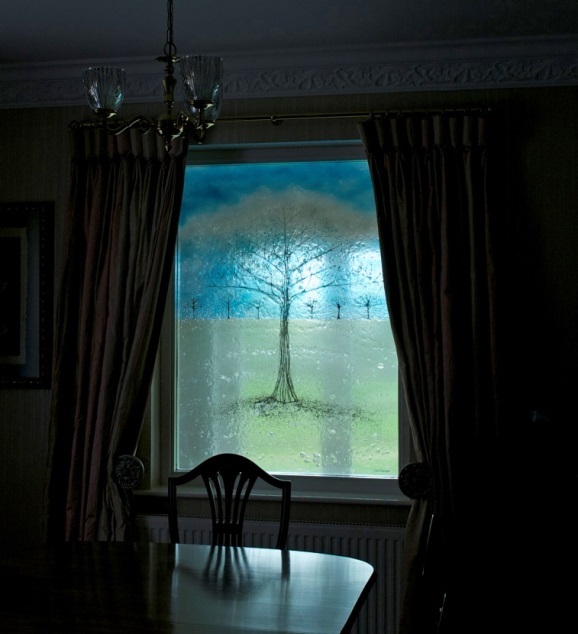 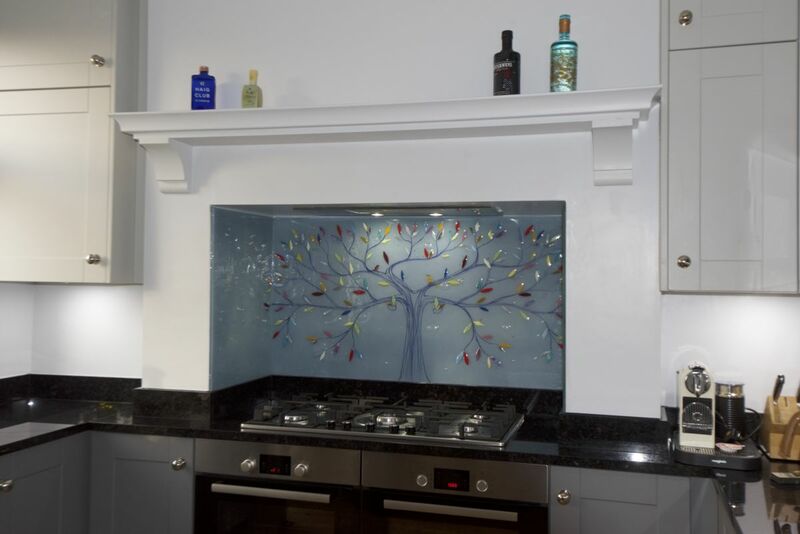 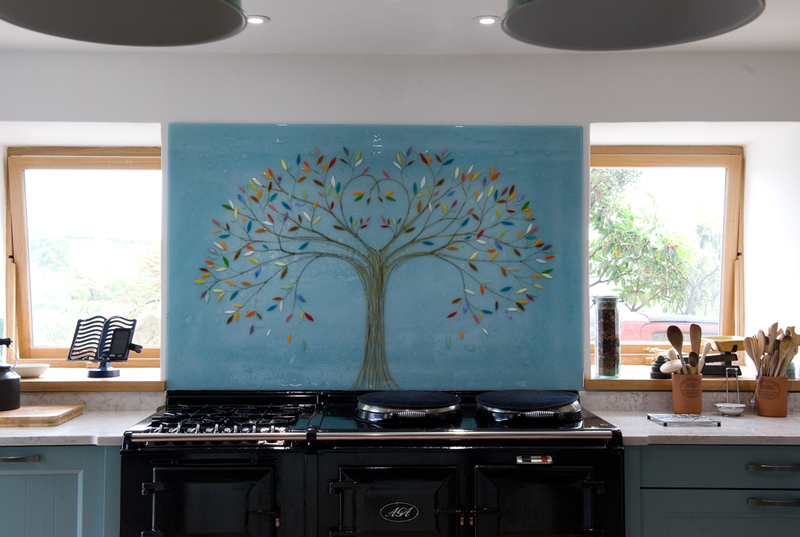 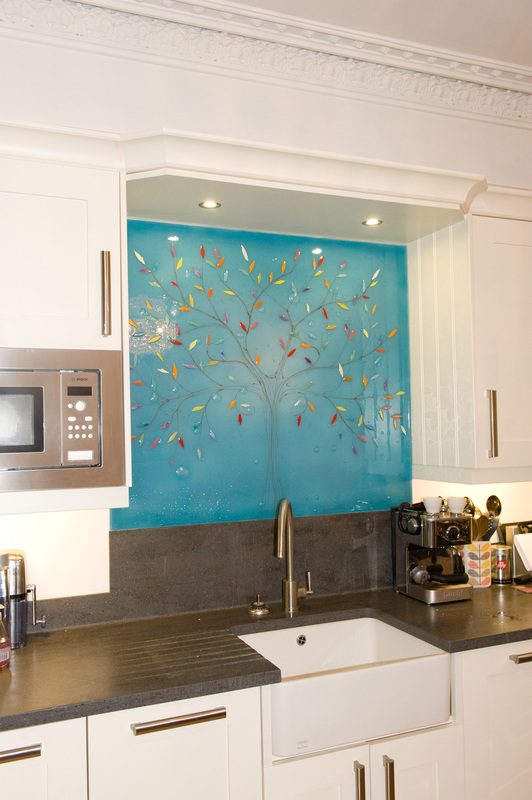 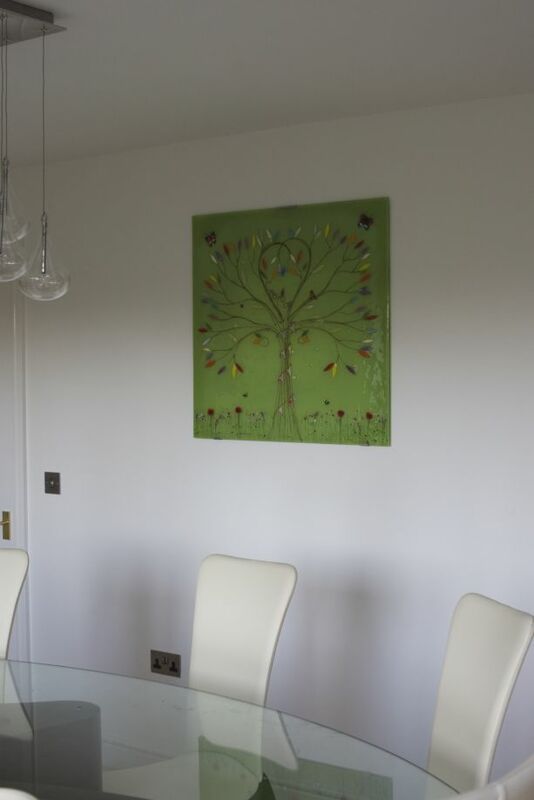 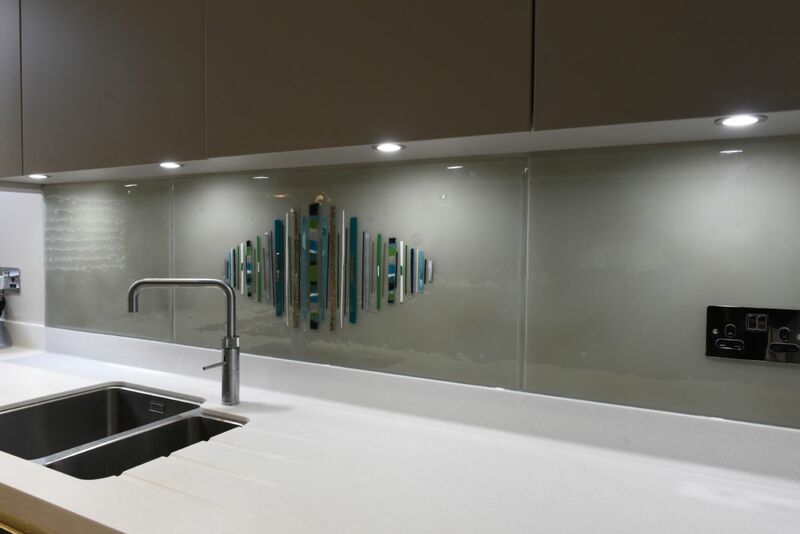 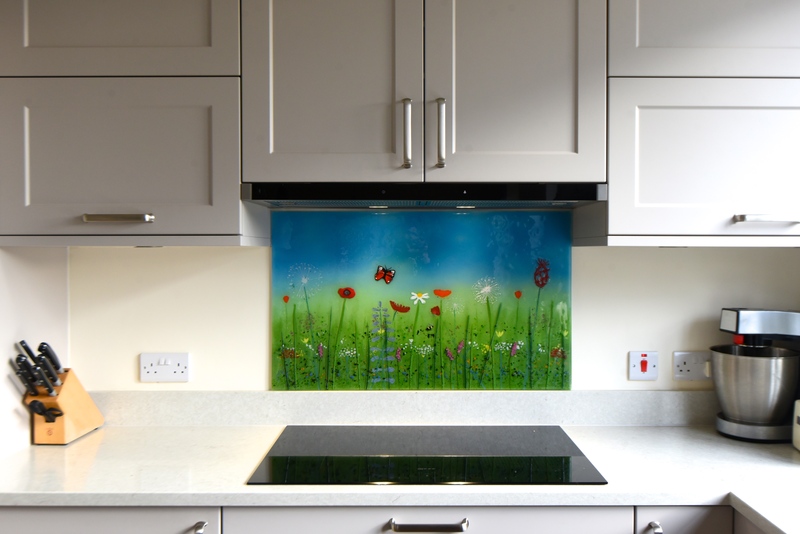 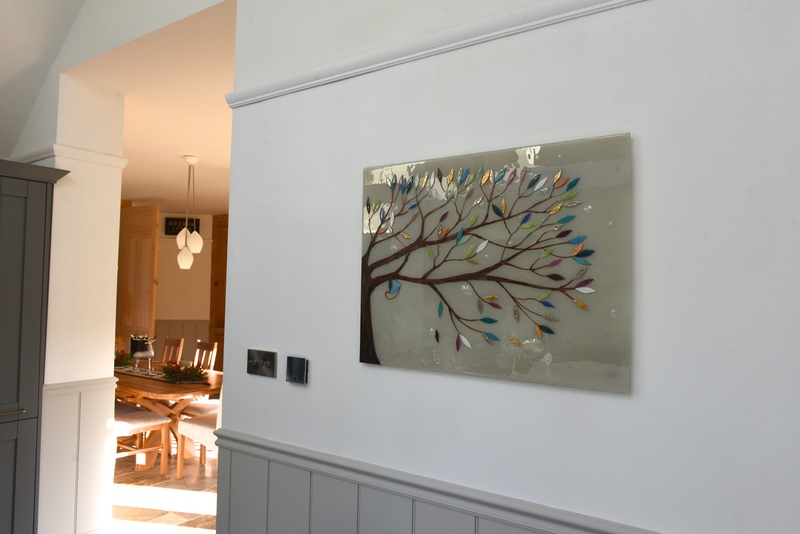 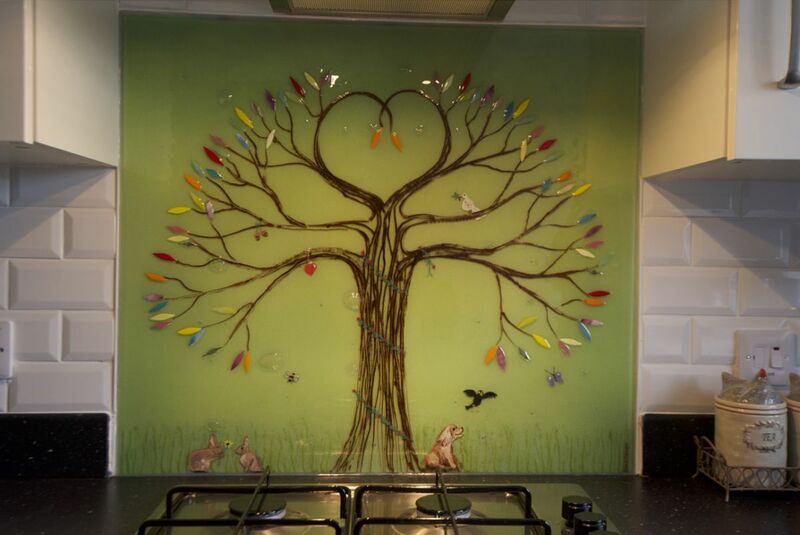 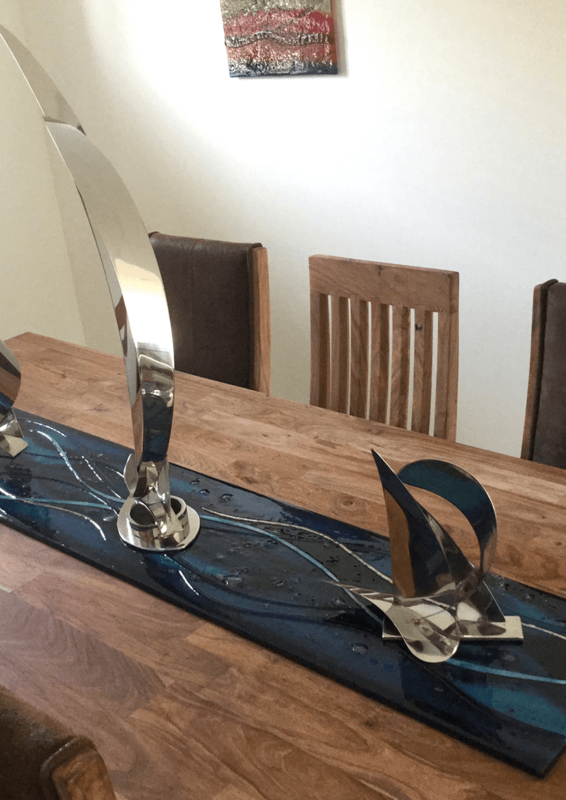 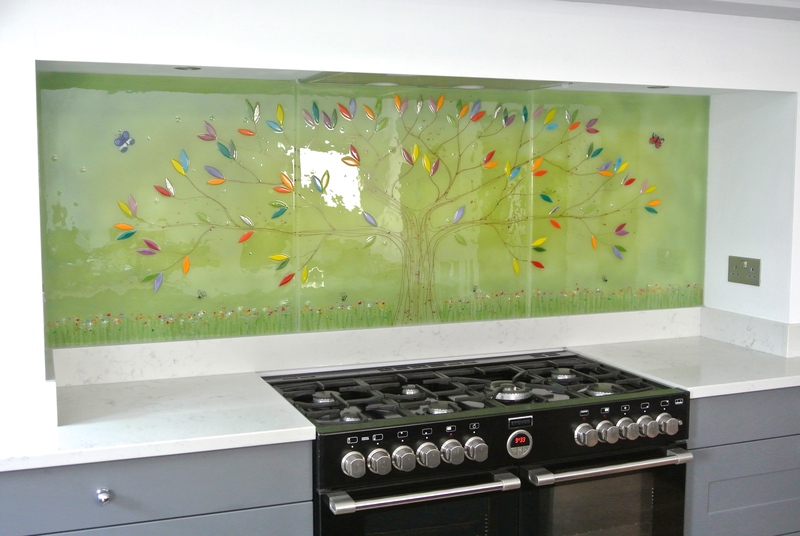 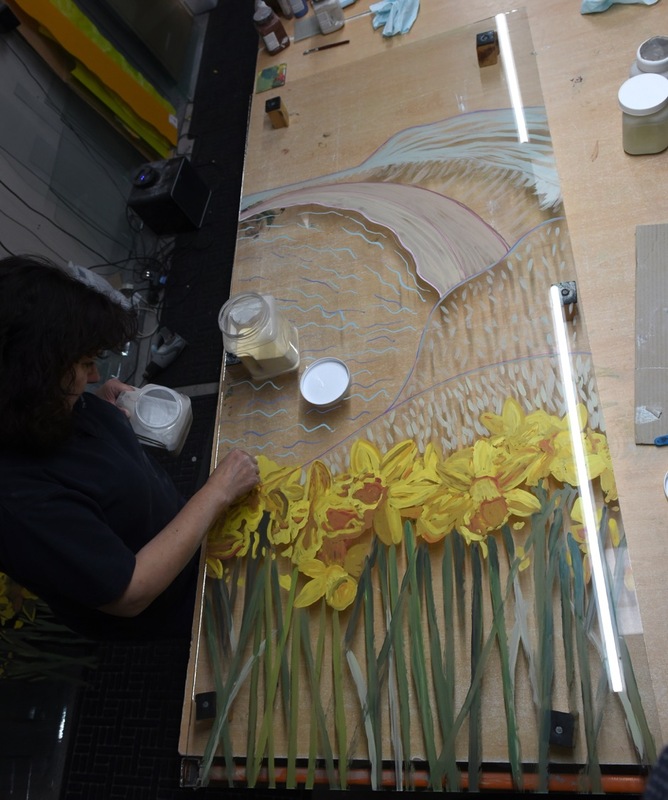 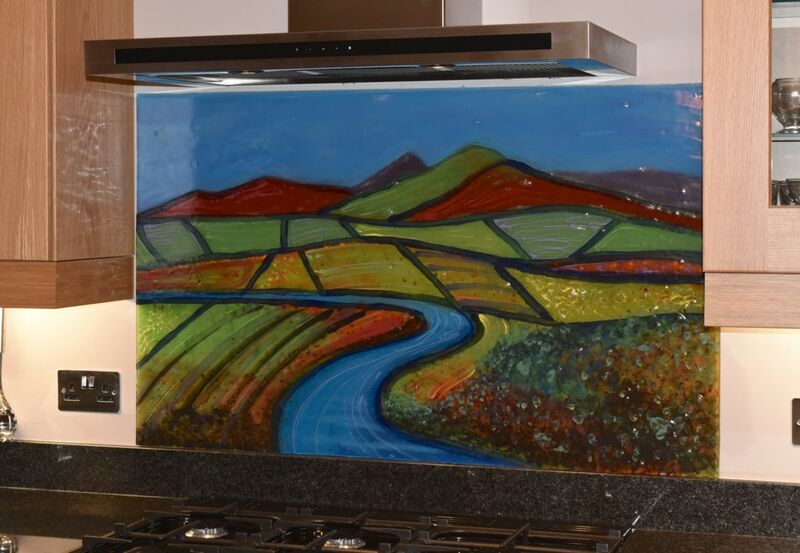 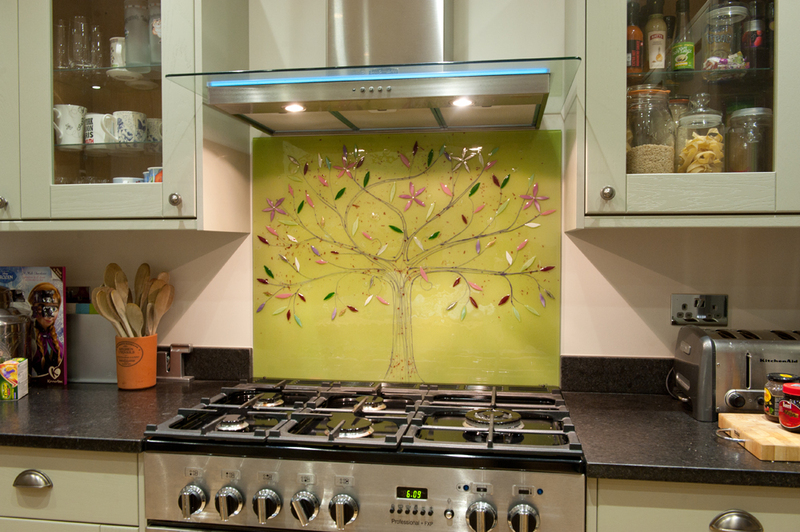 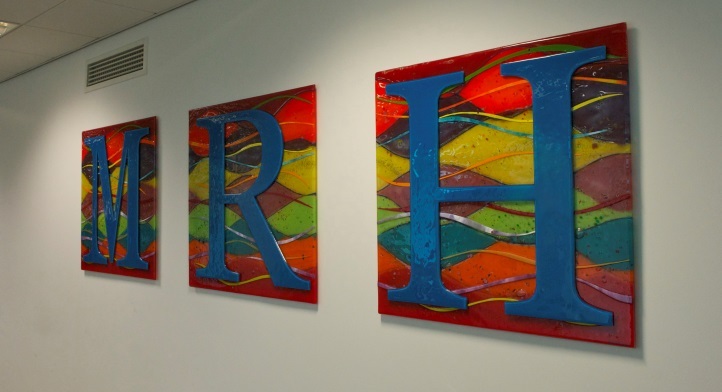 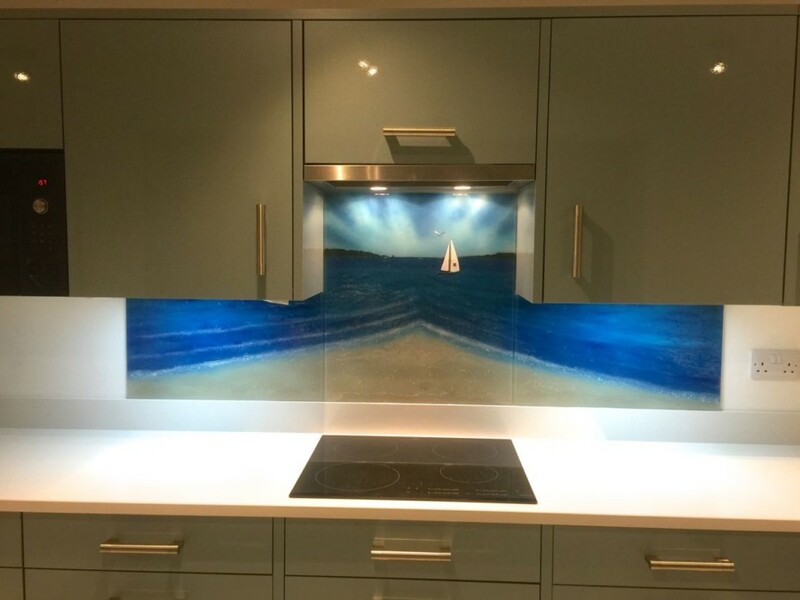 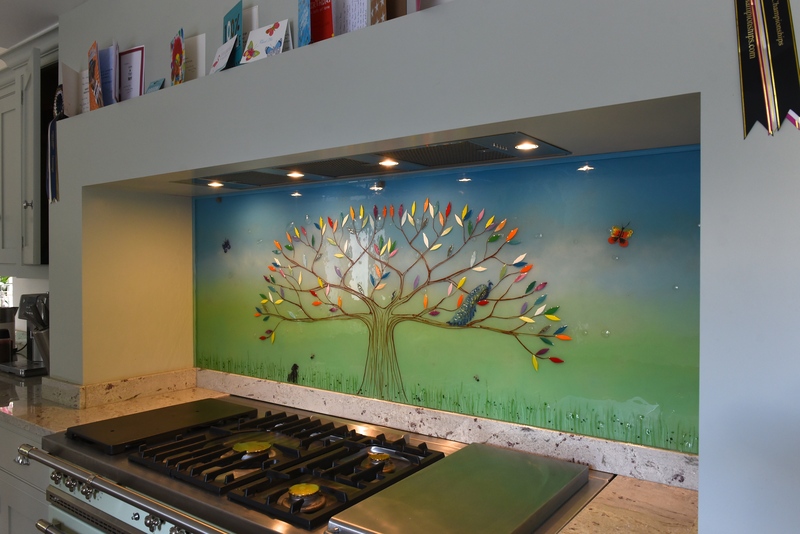 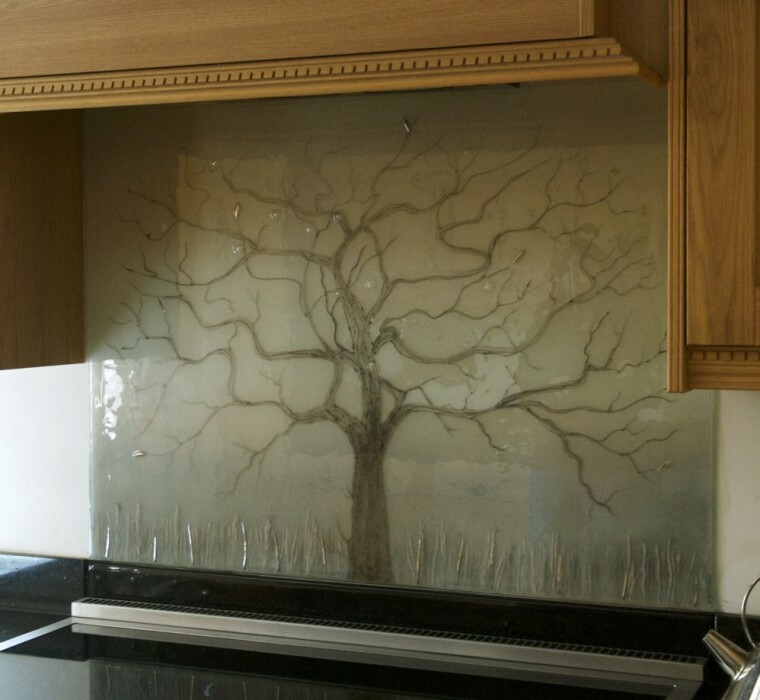 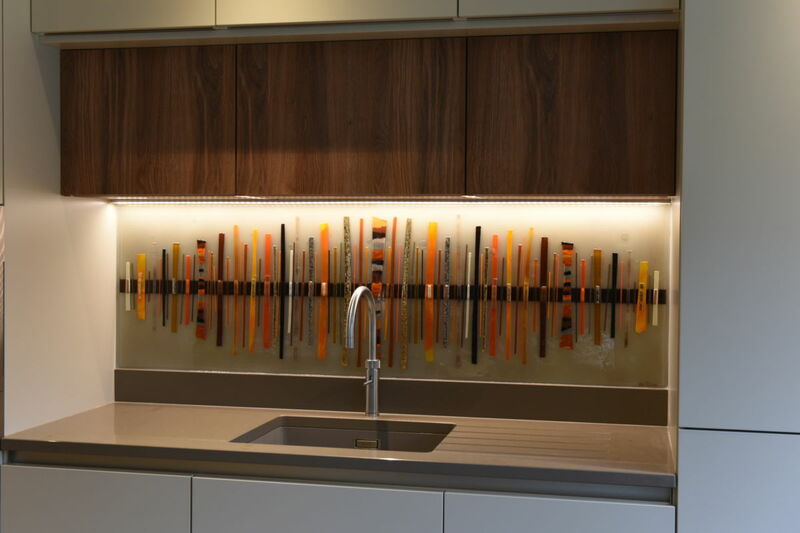 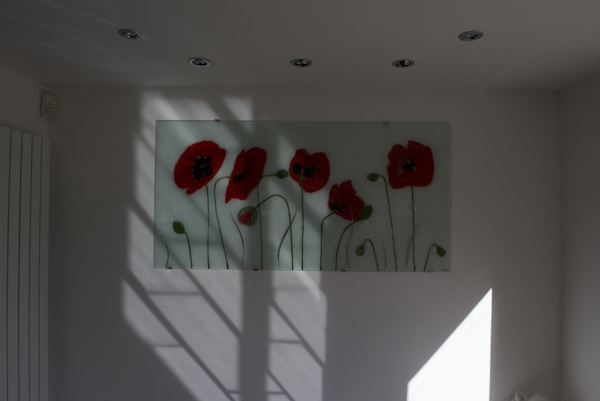 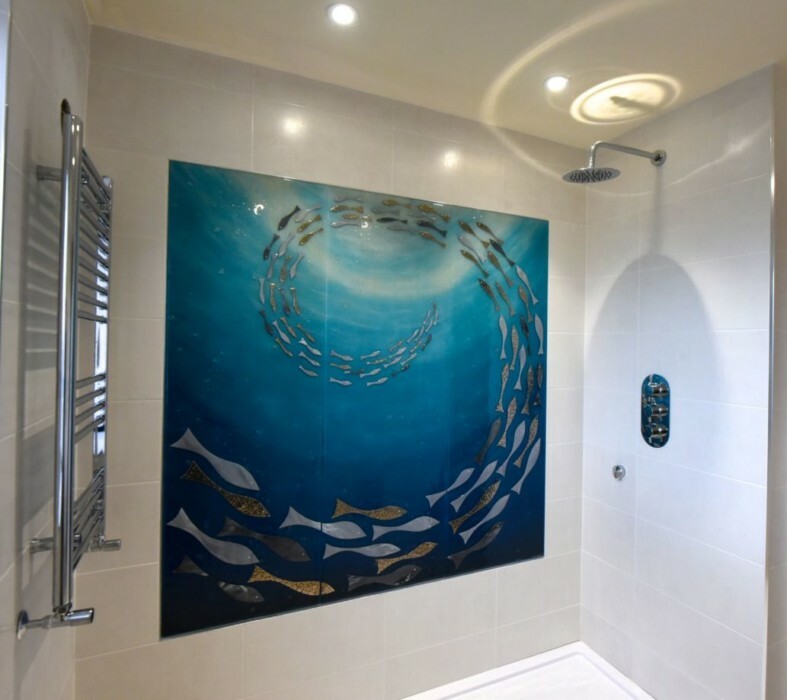 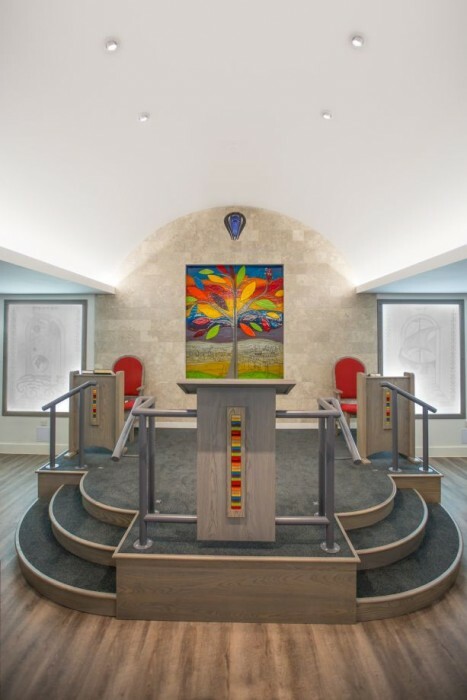 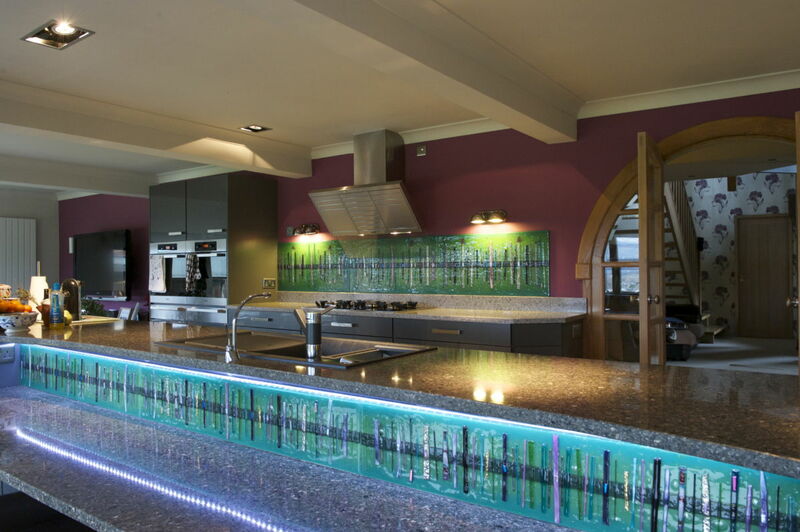 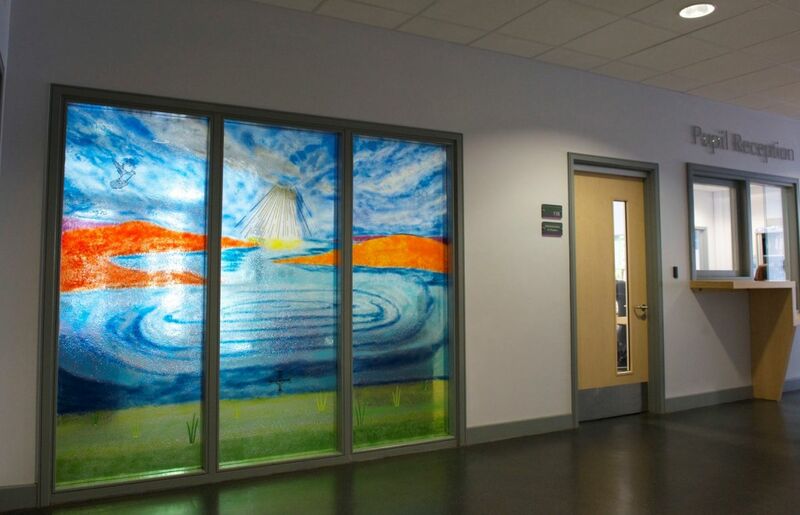 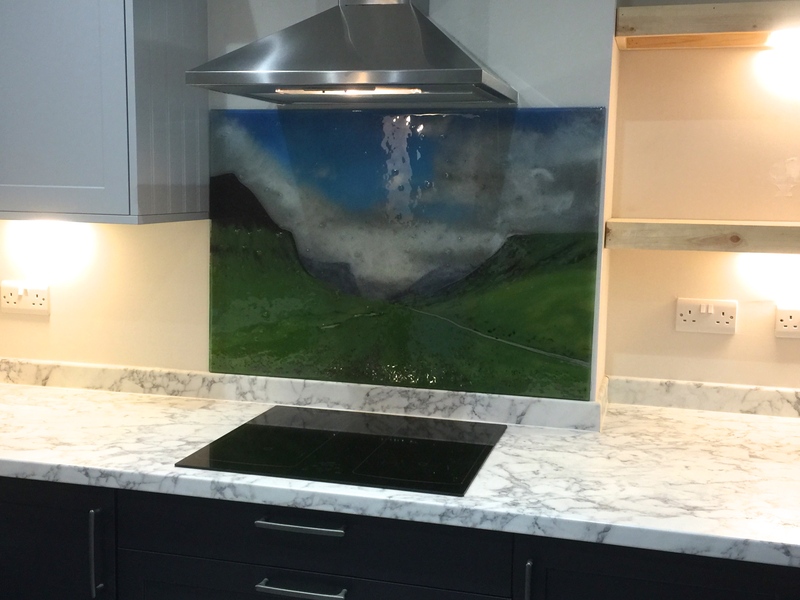 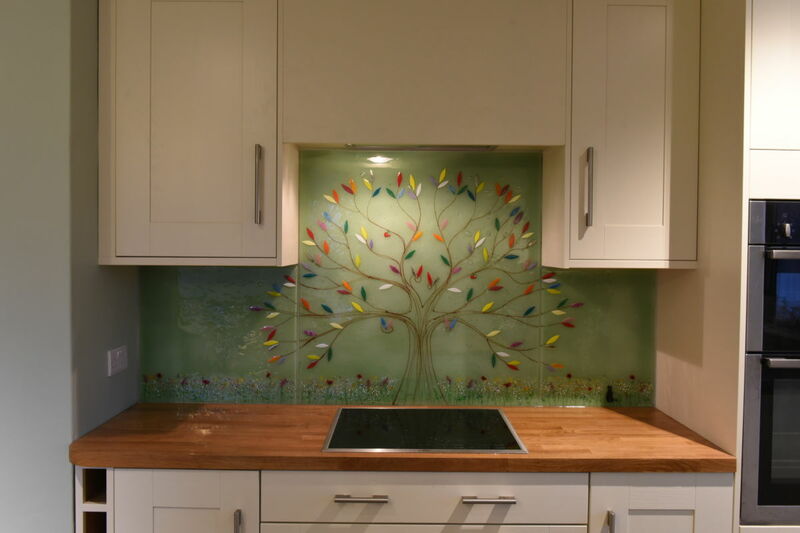 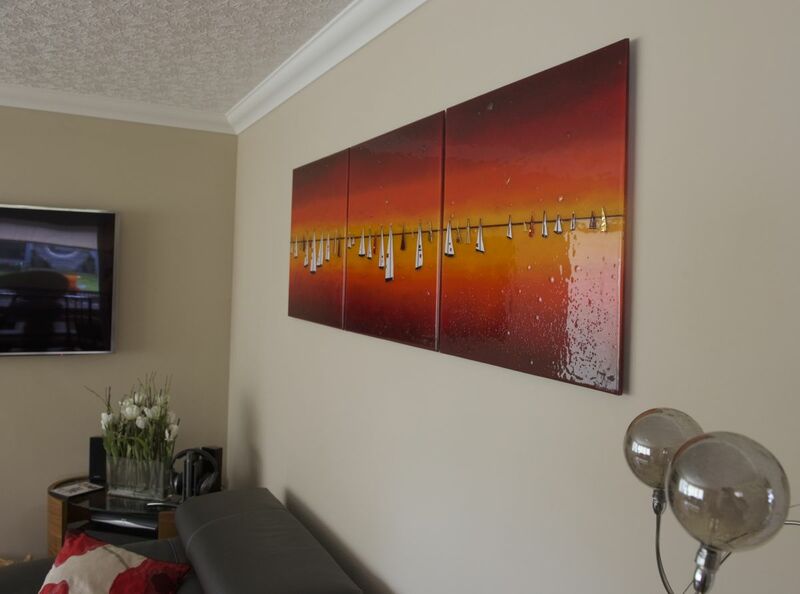 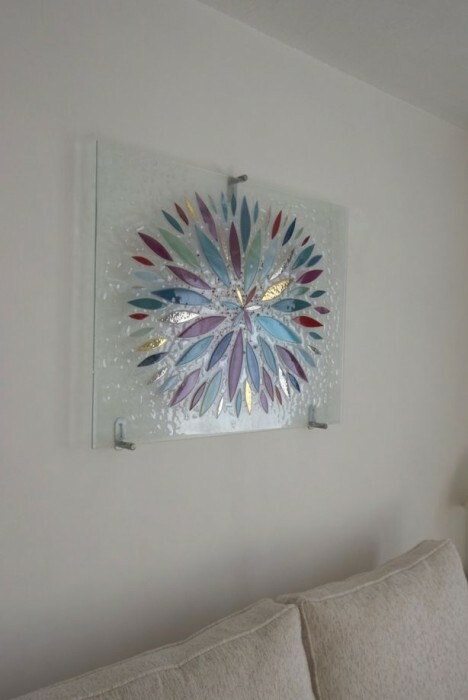 Every single piece of glass we create is made by hand, which means that the design can be completely bespoke and fully personalised to suit each customer. 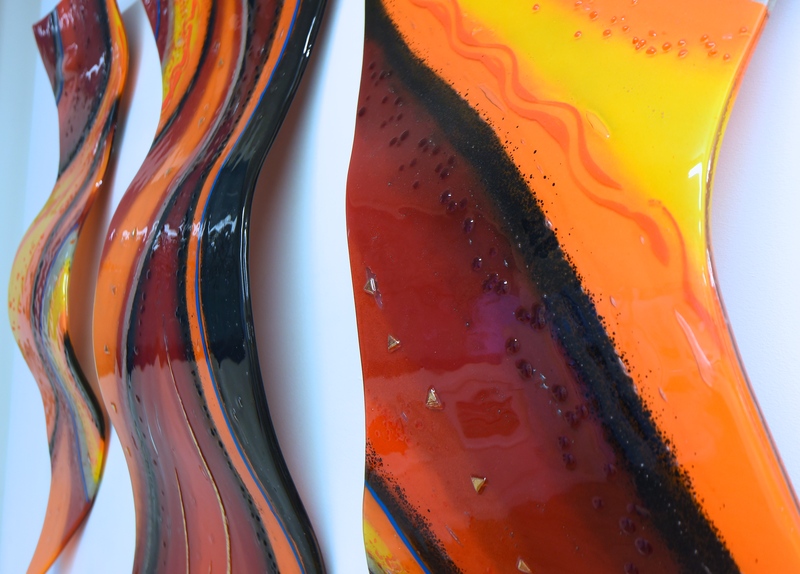 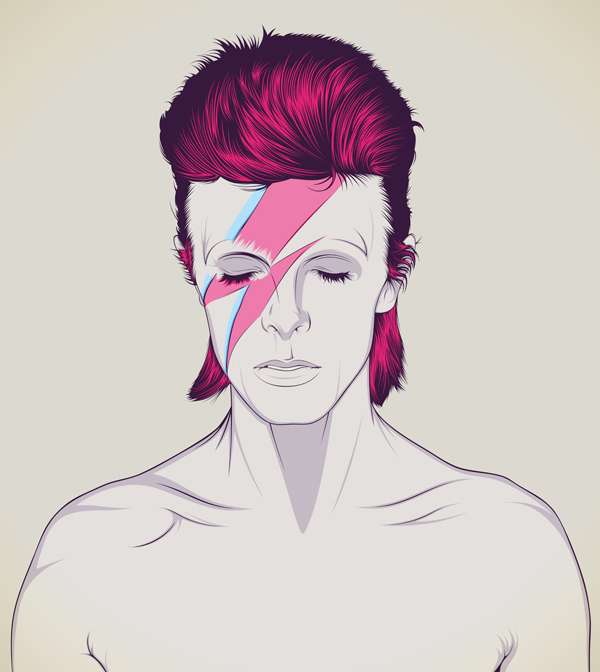 What that means for you is that you’ll always be able to get your hands on something truly special and completely unique. 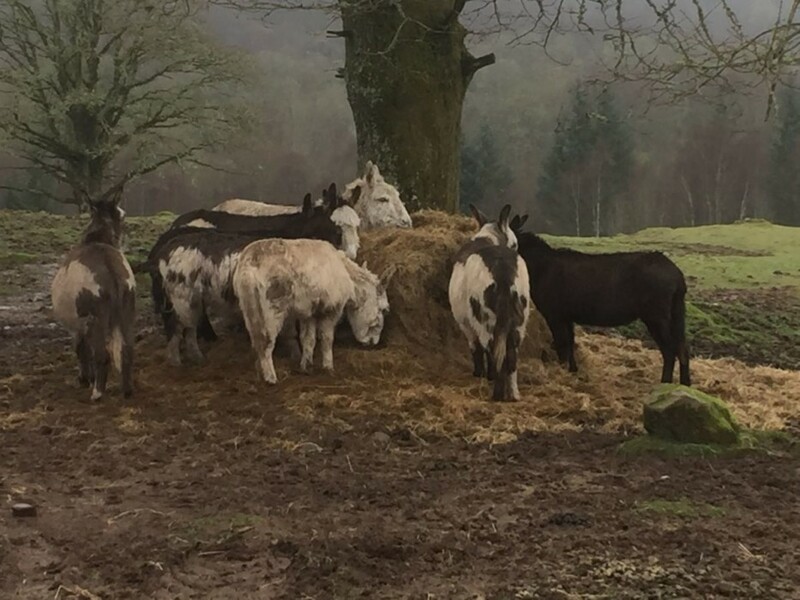 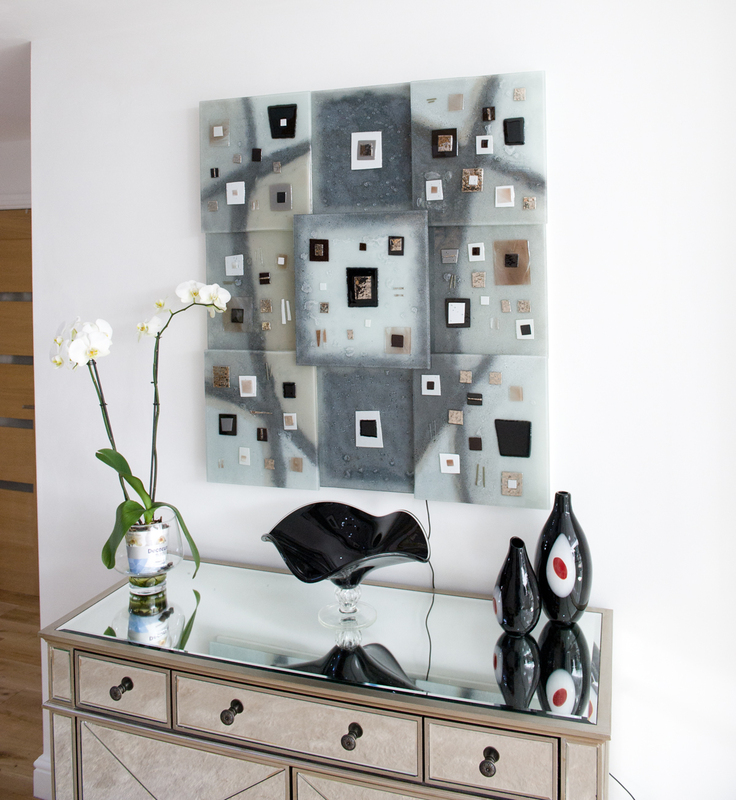 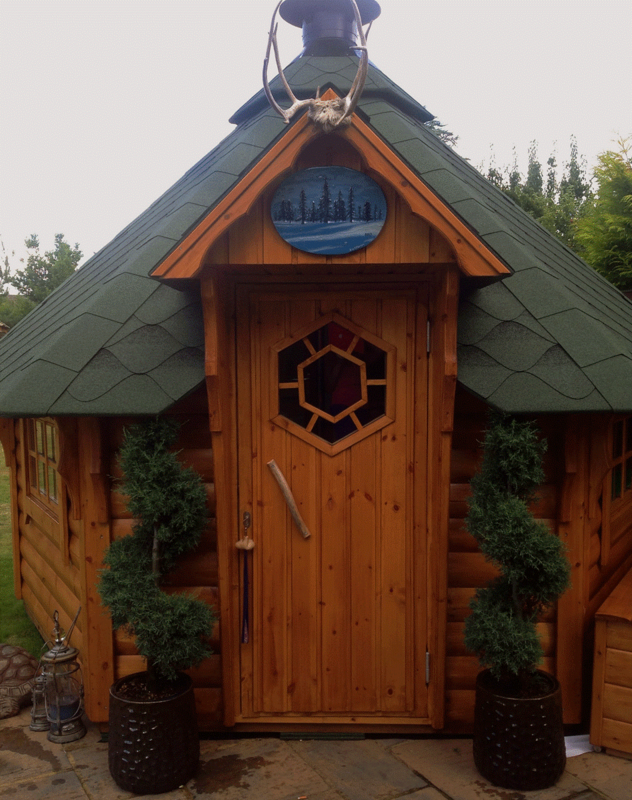 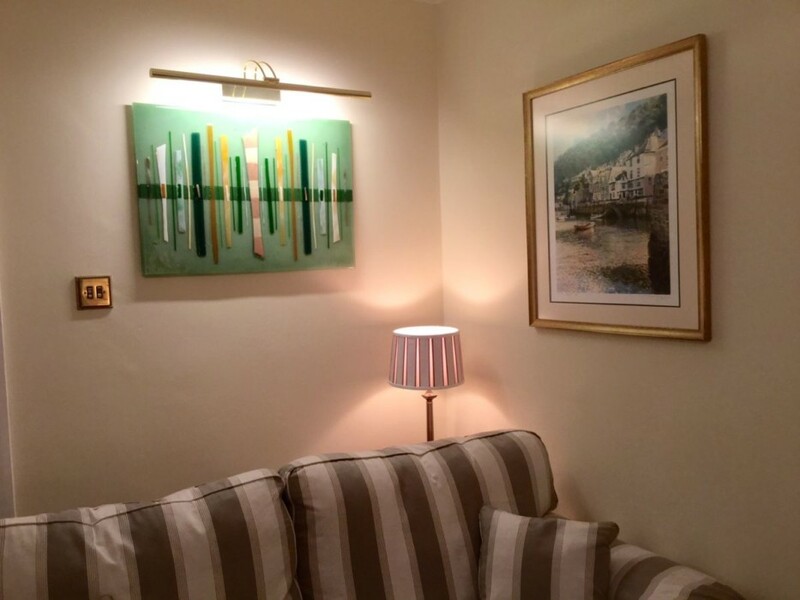 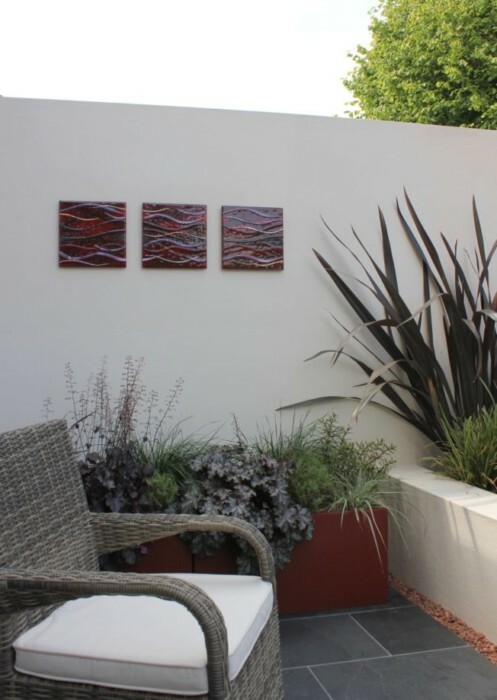 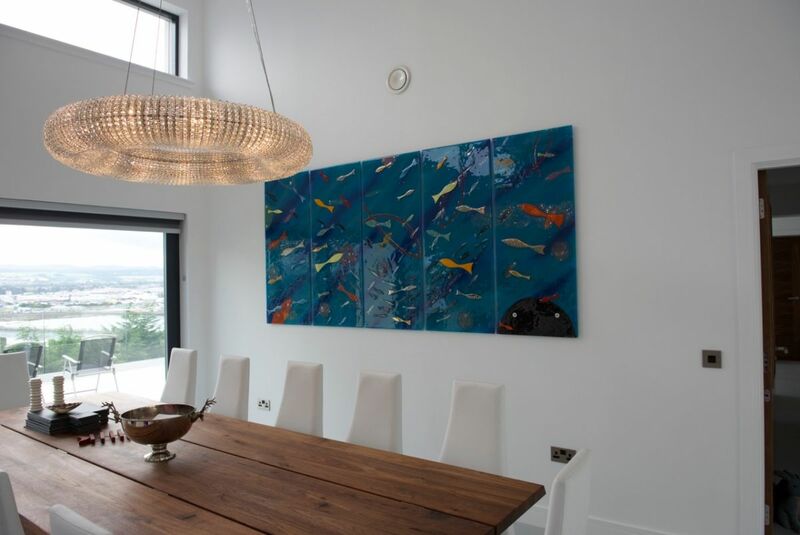 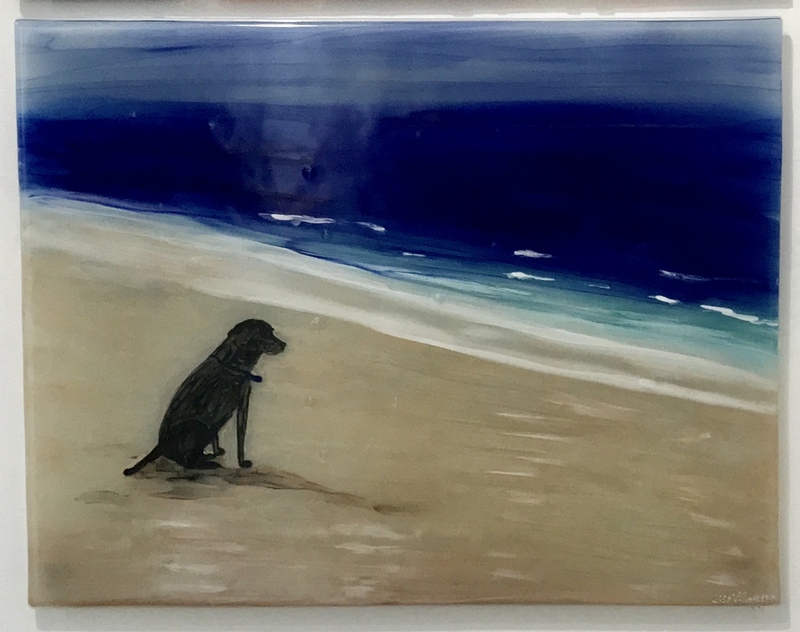 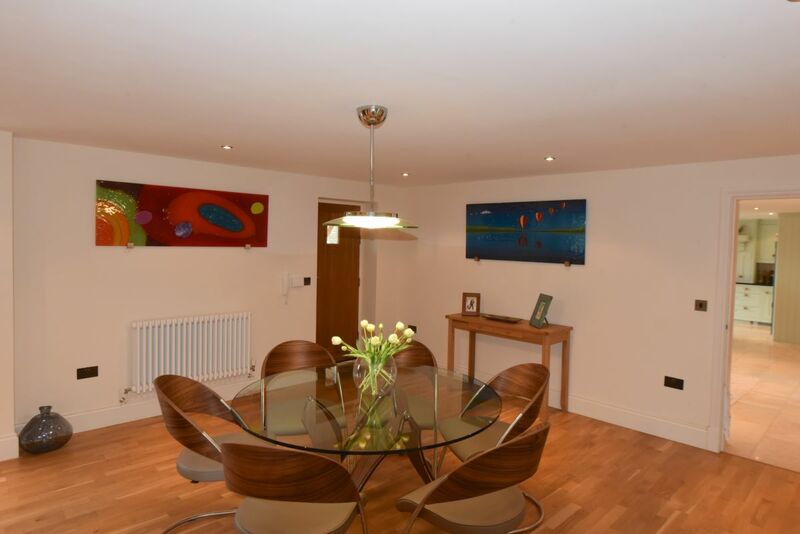 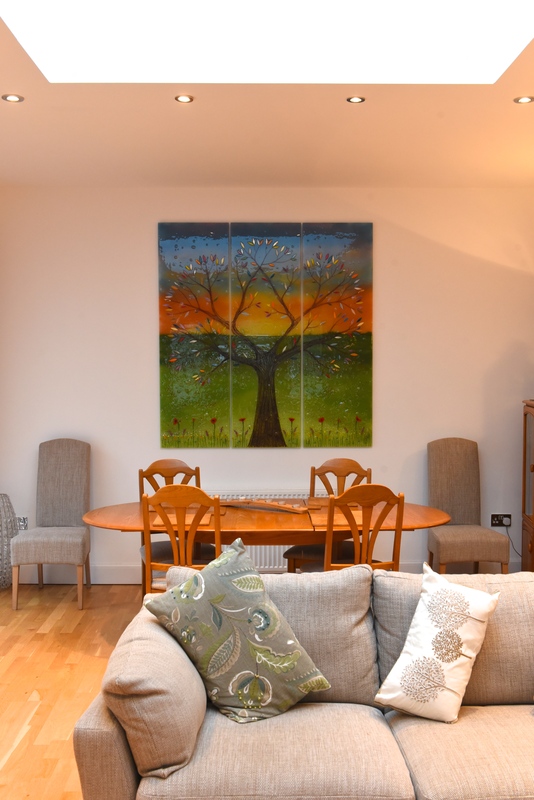 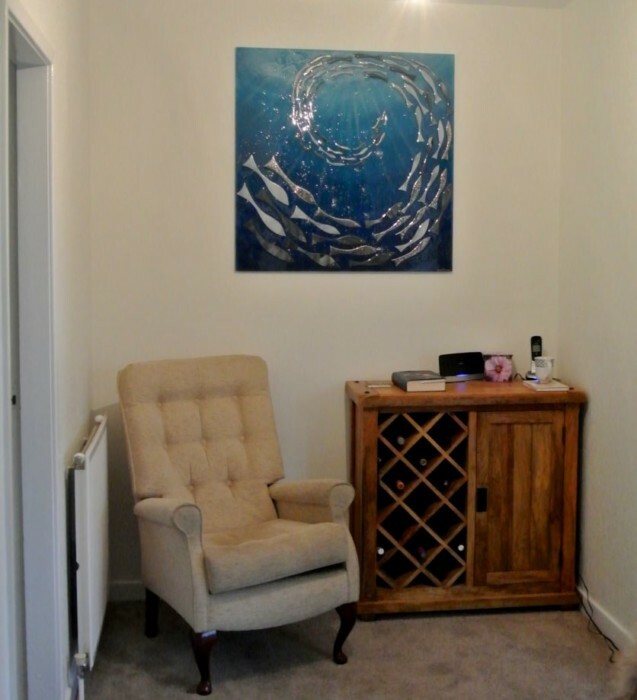 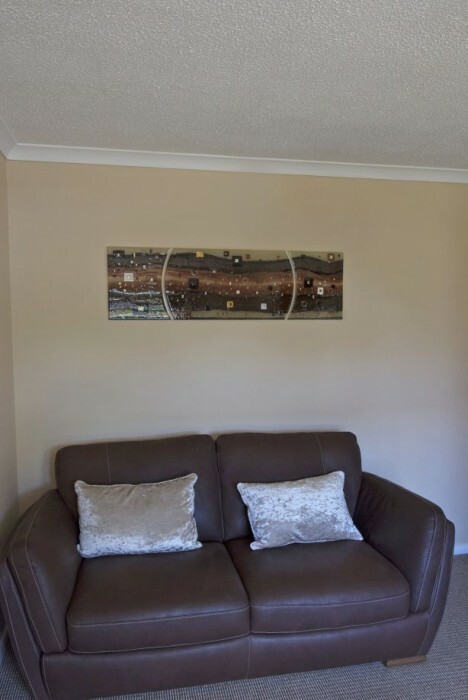 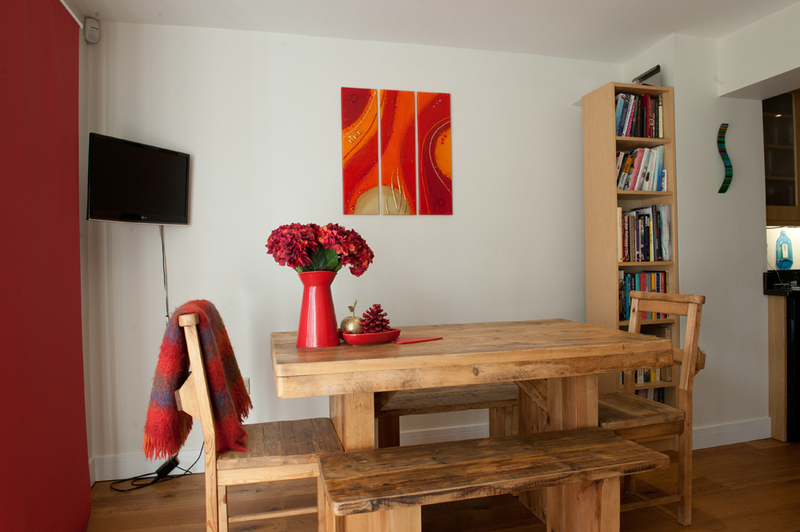 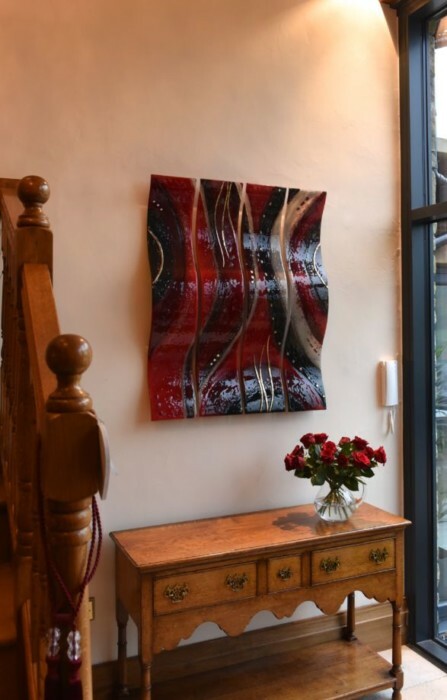 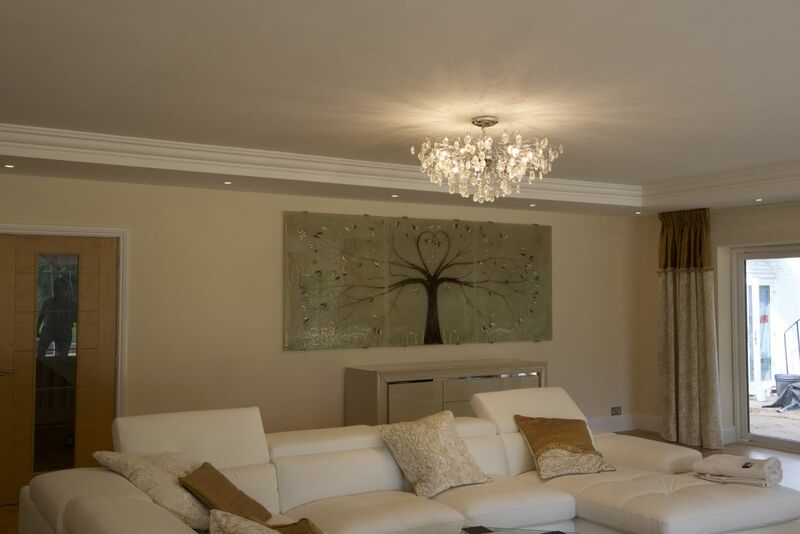 Whether that’s a genuinely bespoke piece or something from our sales stock, it’s sure to be something that no-one else can say they have sitting in their home. 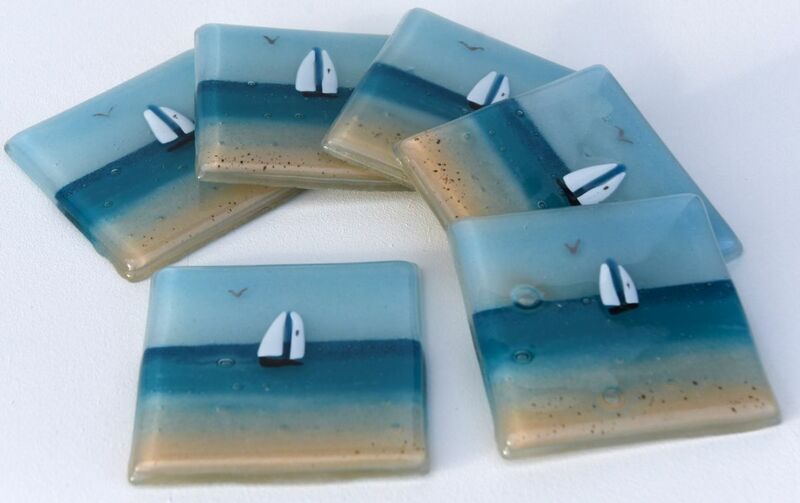 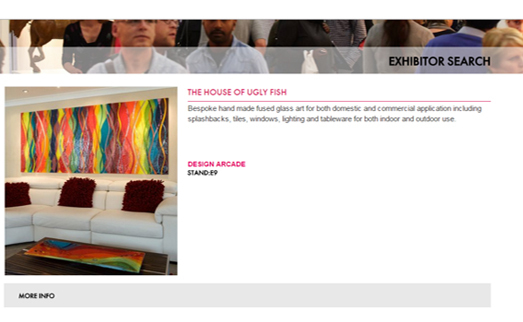 If you’re interested in picking up some of our fused glass accessories, the team here at The House of Ugly Fish would love to hear from you. 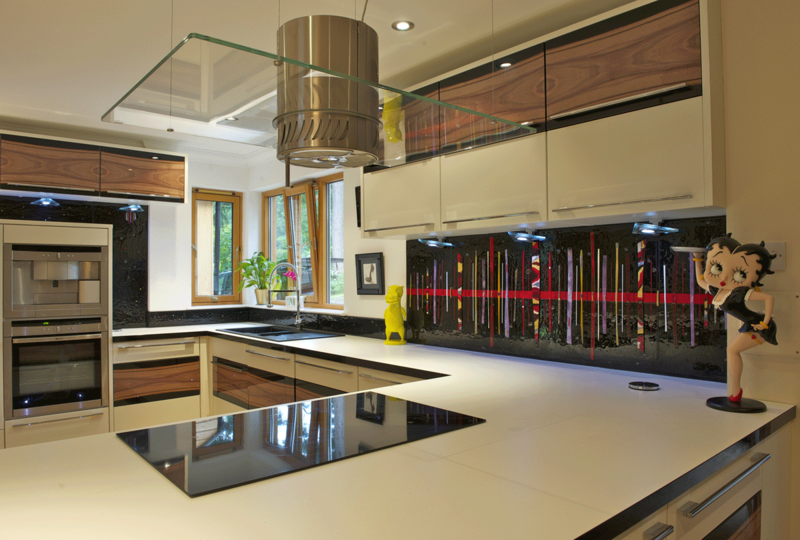 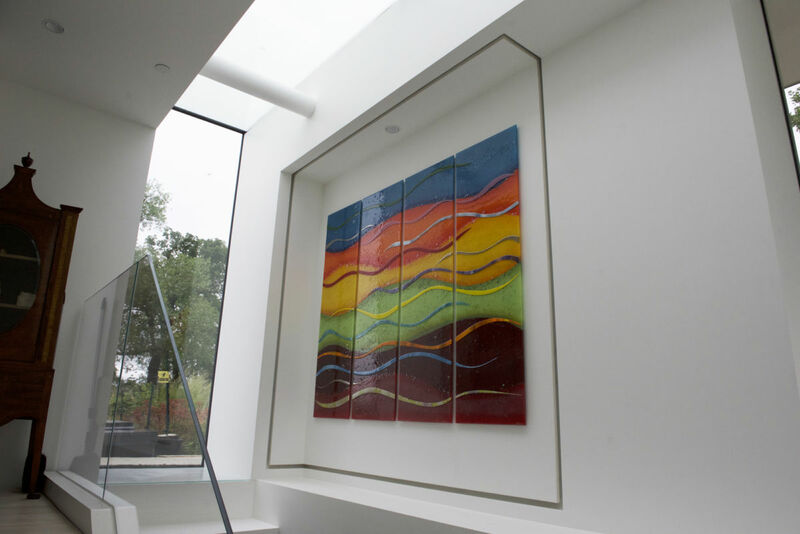 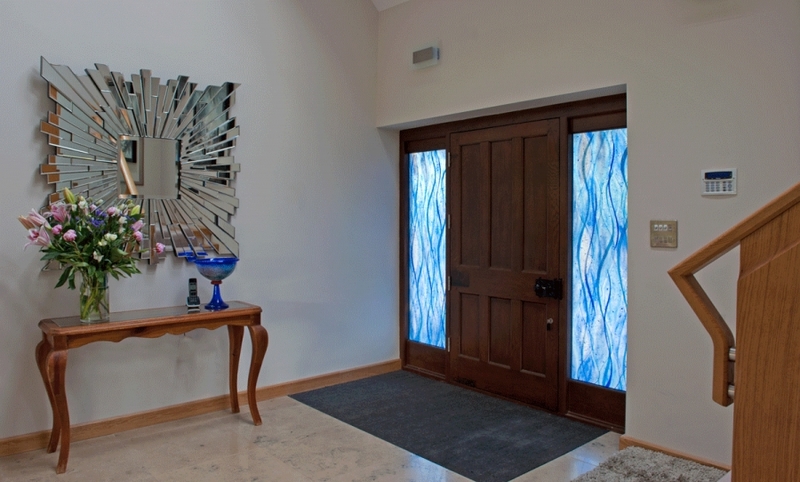 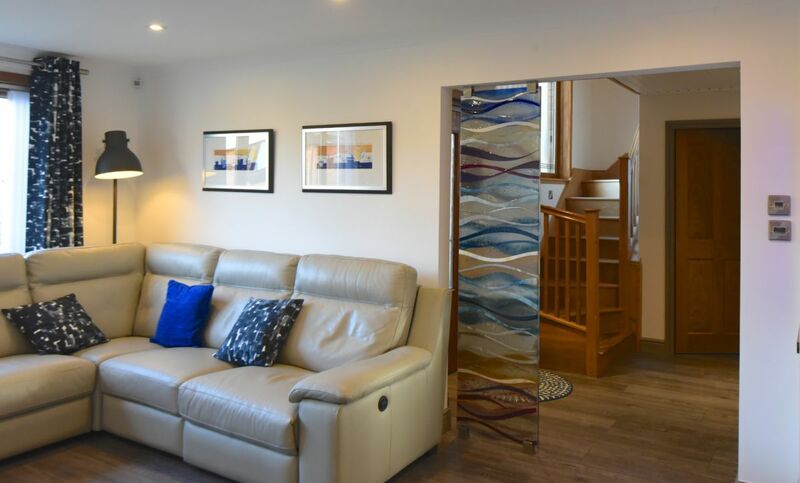 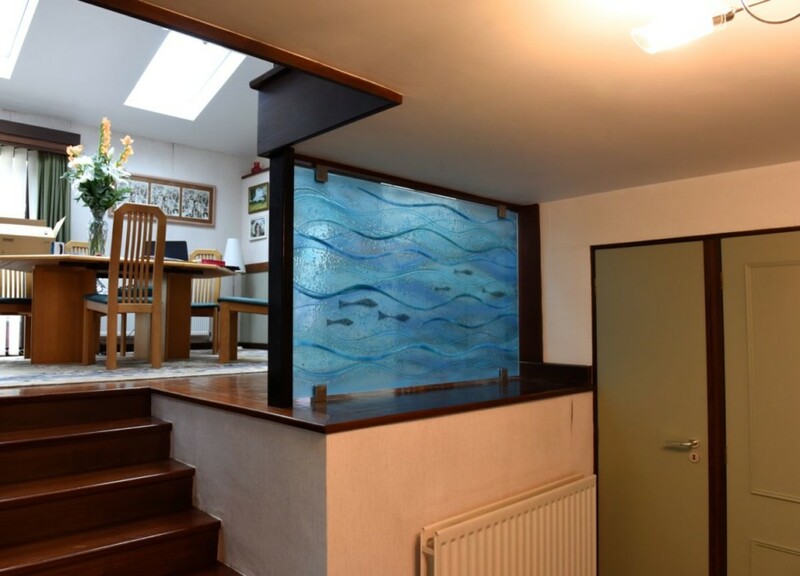 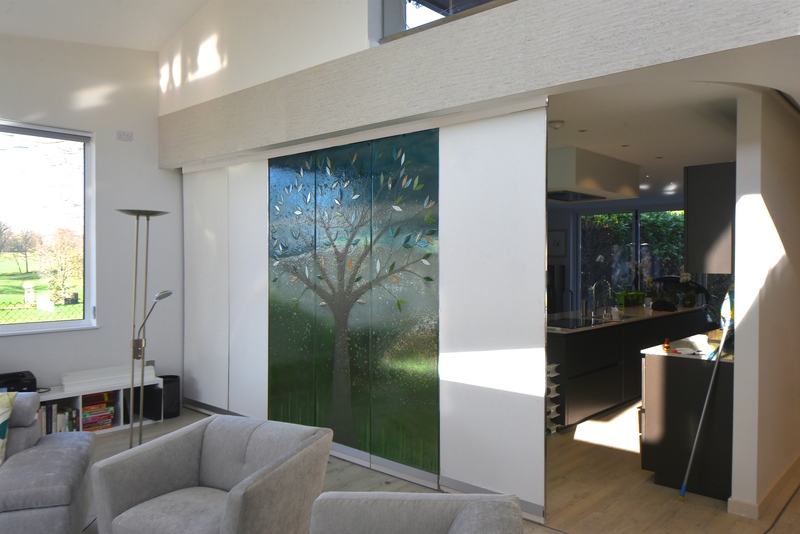 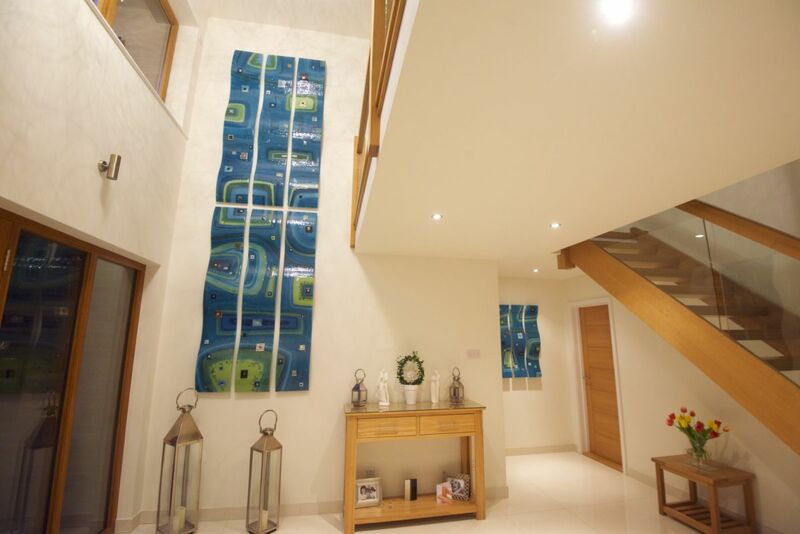 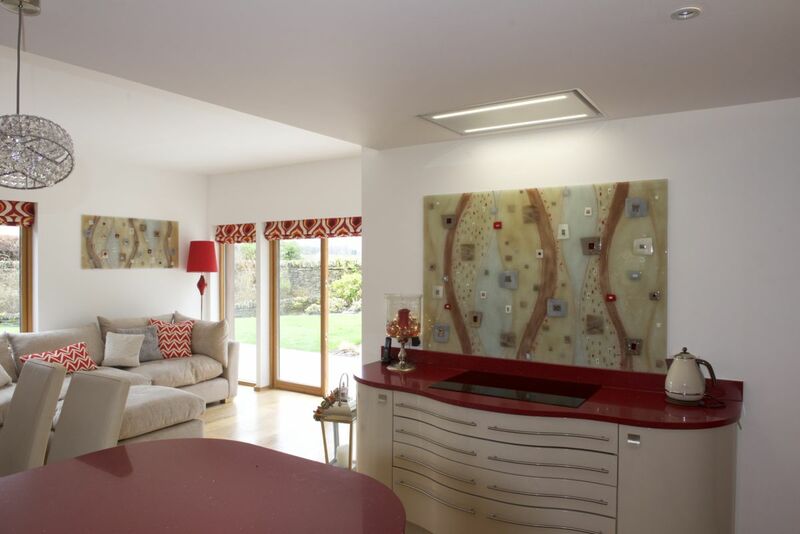 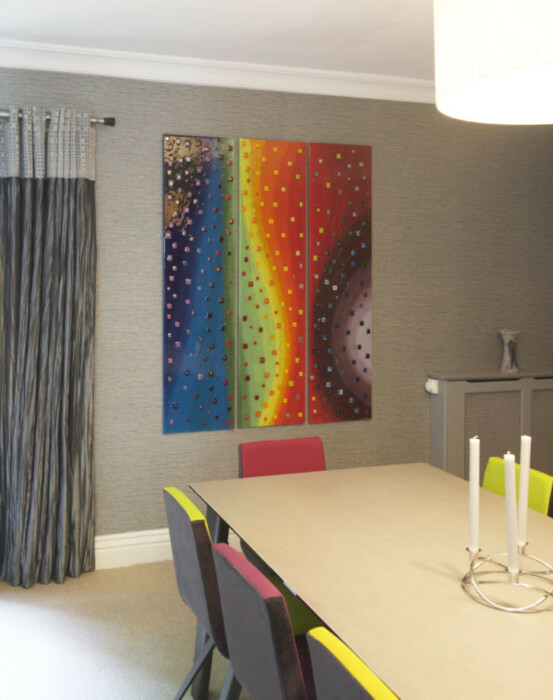 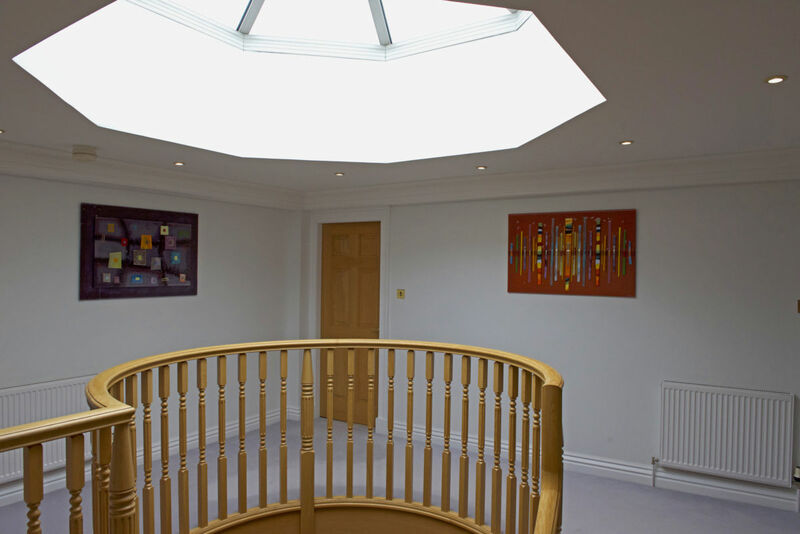 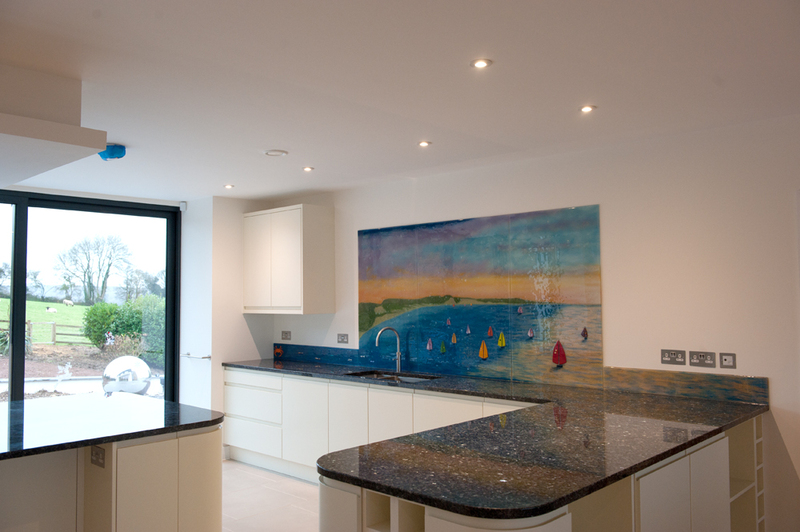 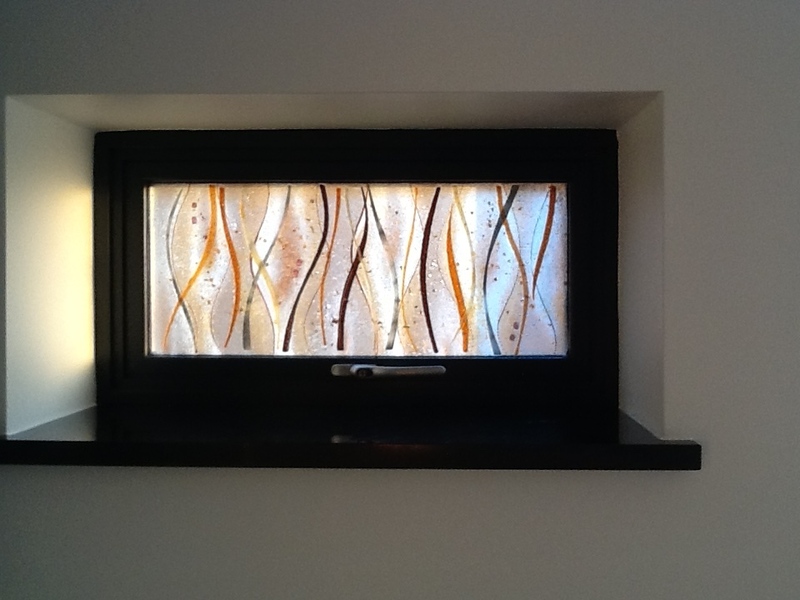 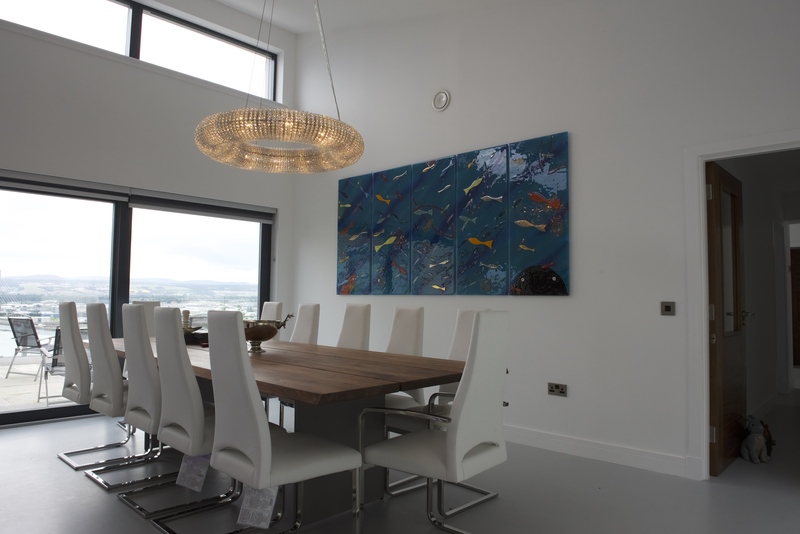 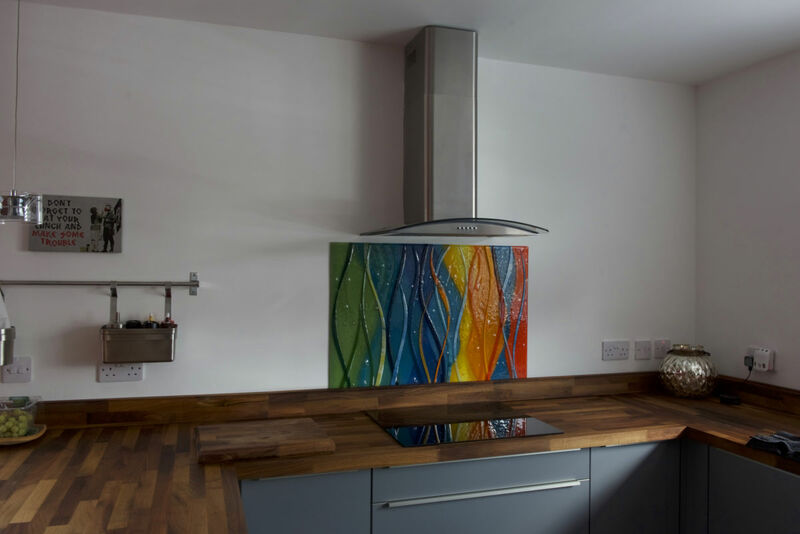 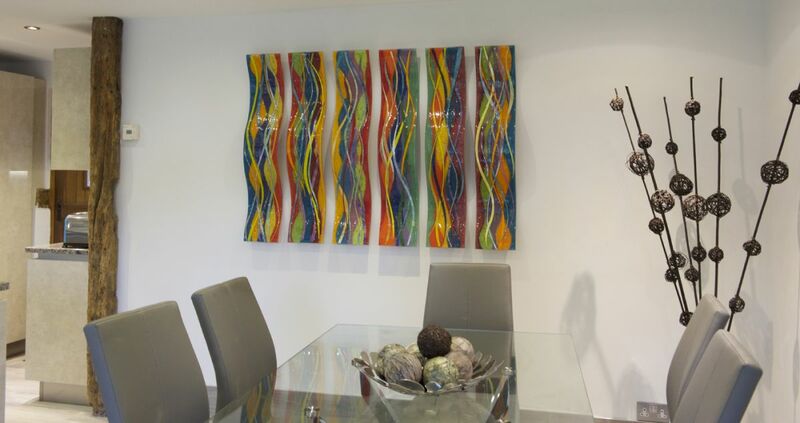 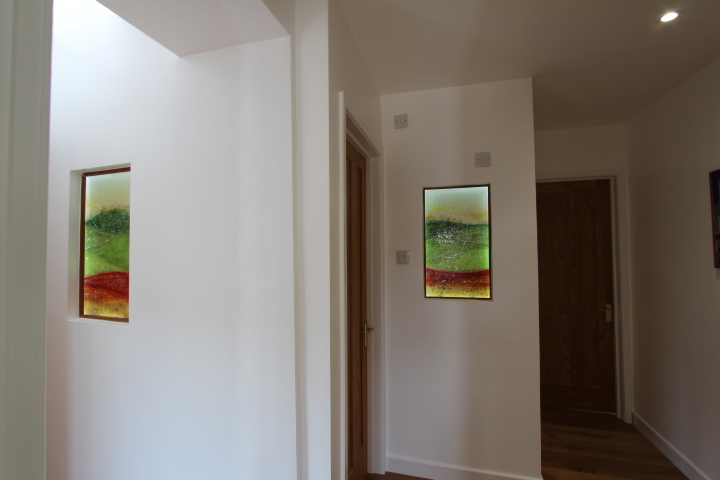 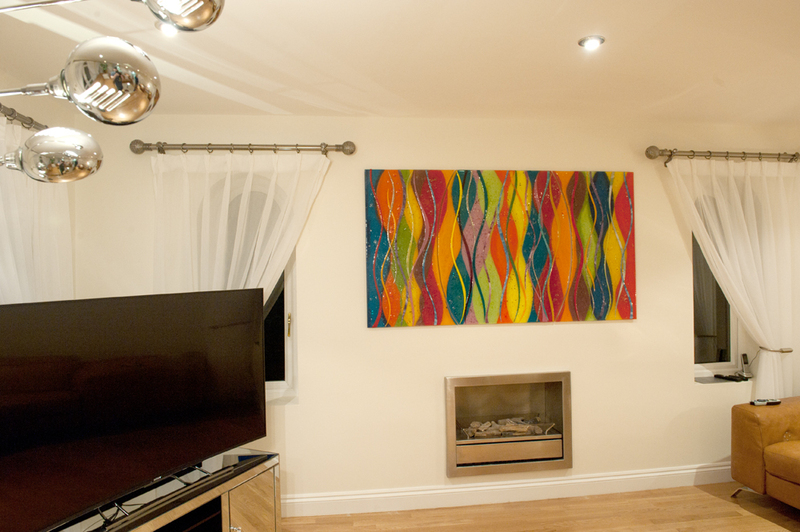 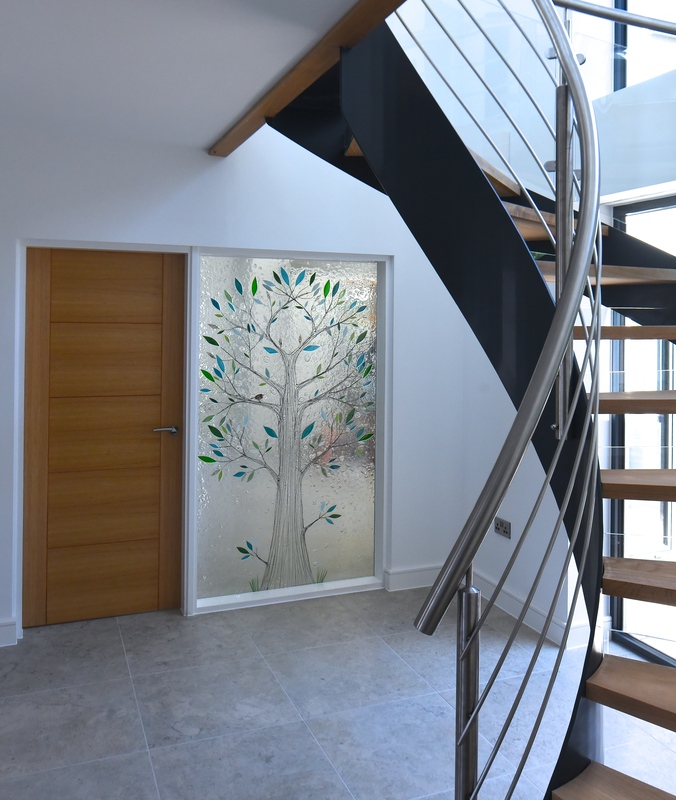 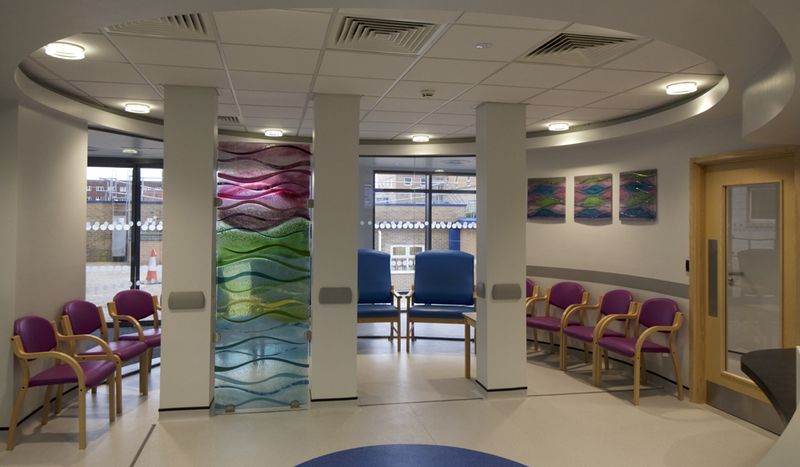 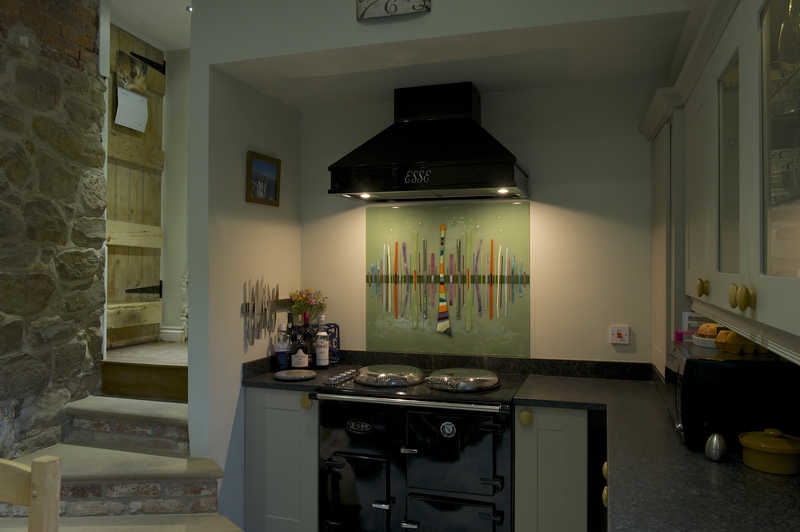 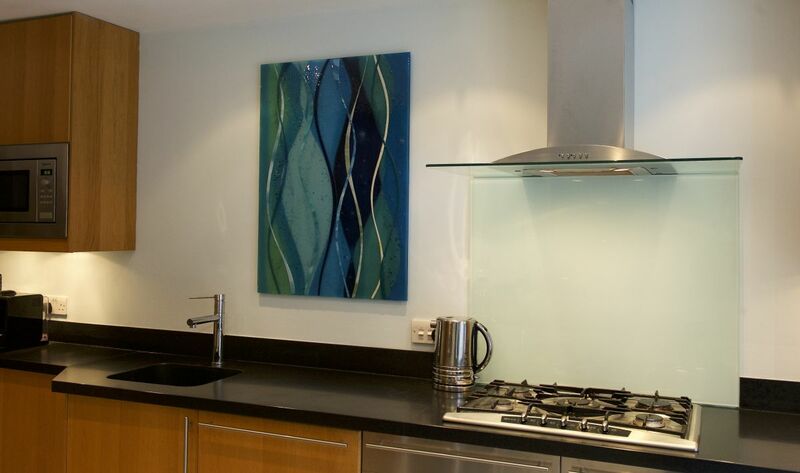 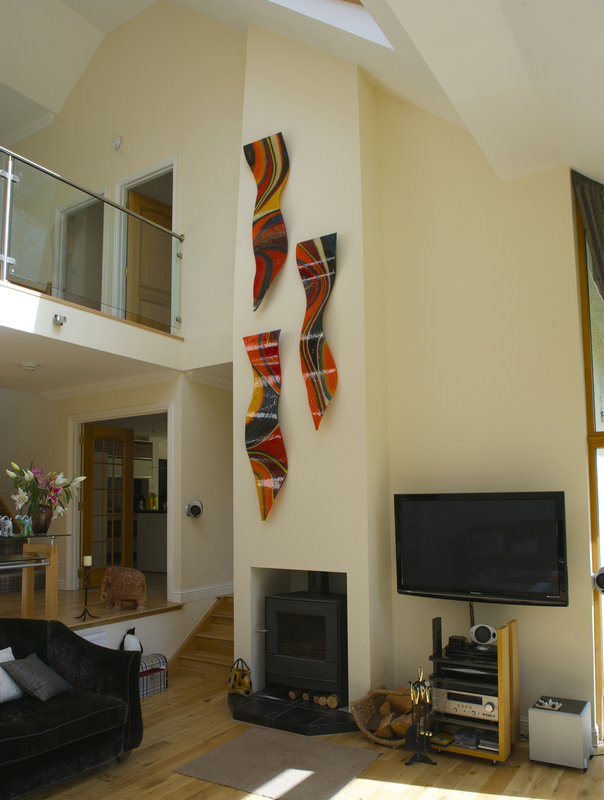 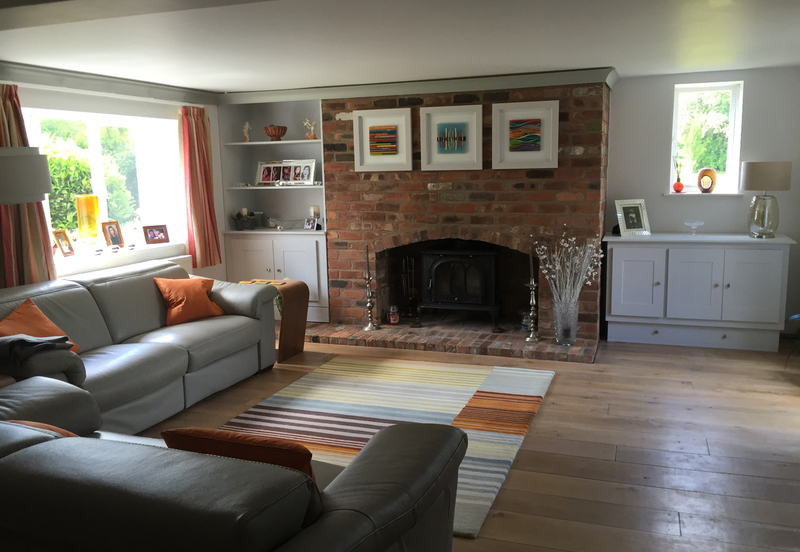 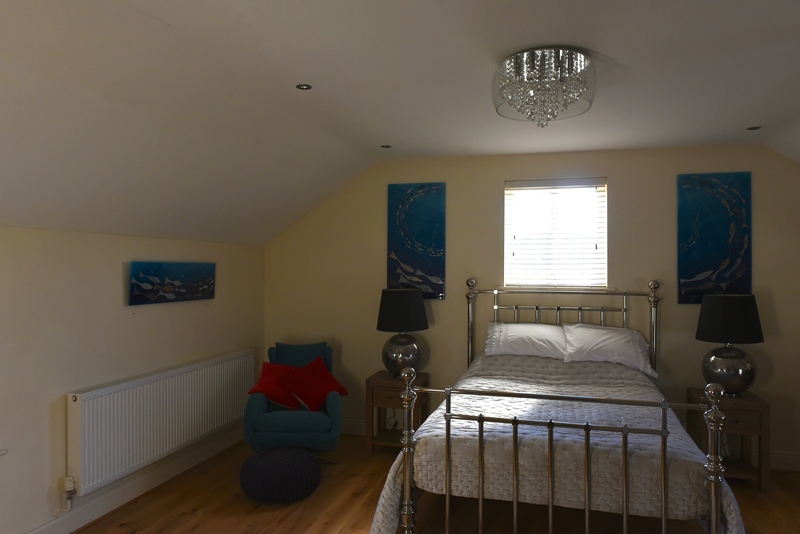 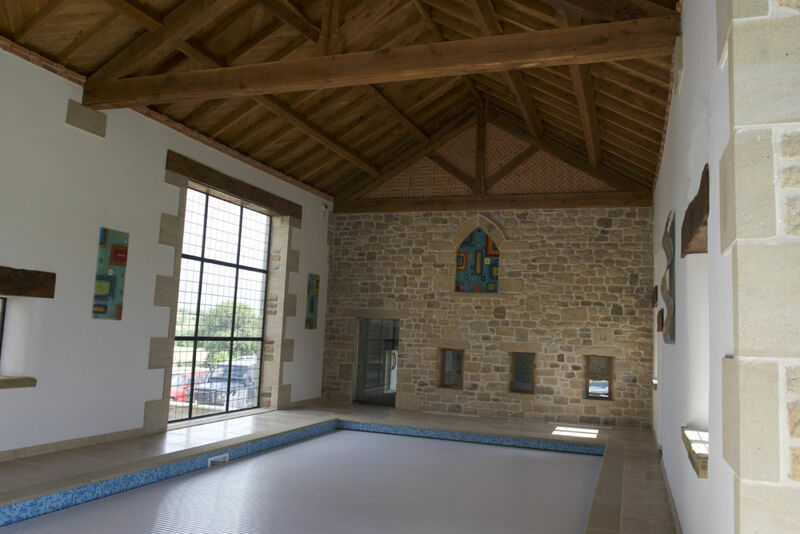 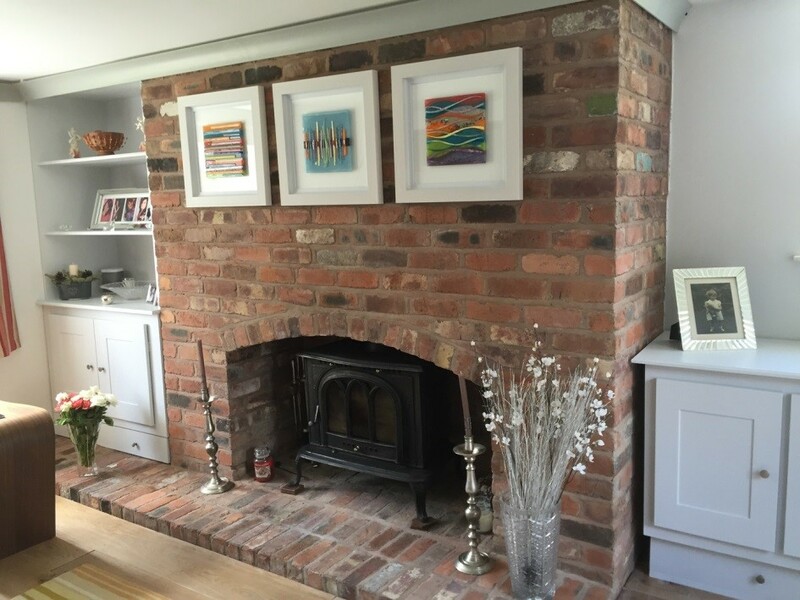 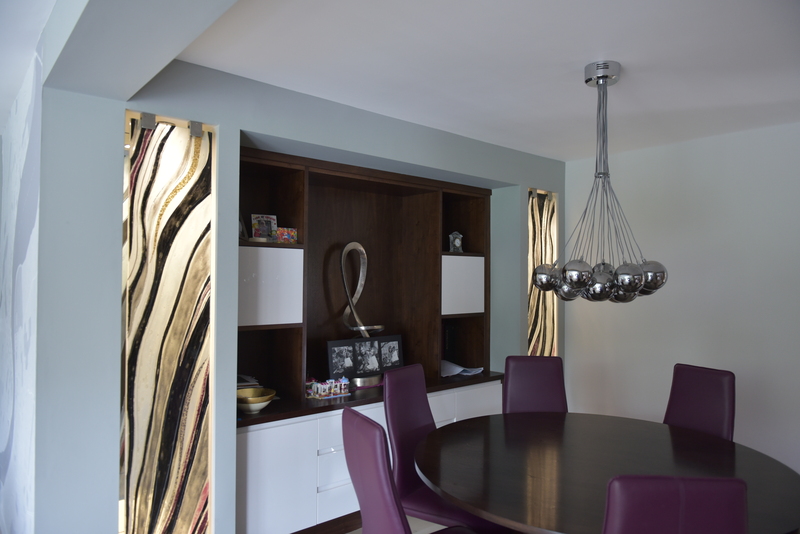 We’ll be happy to answer any questions or queries you might have about the glass, and how our fully bespoke process could work for you. 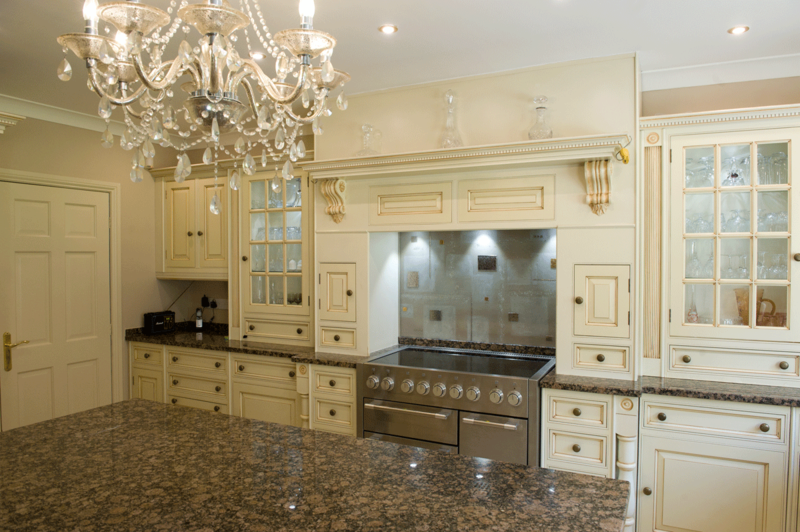 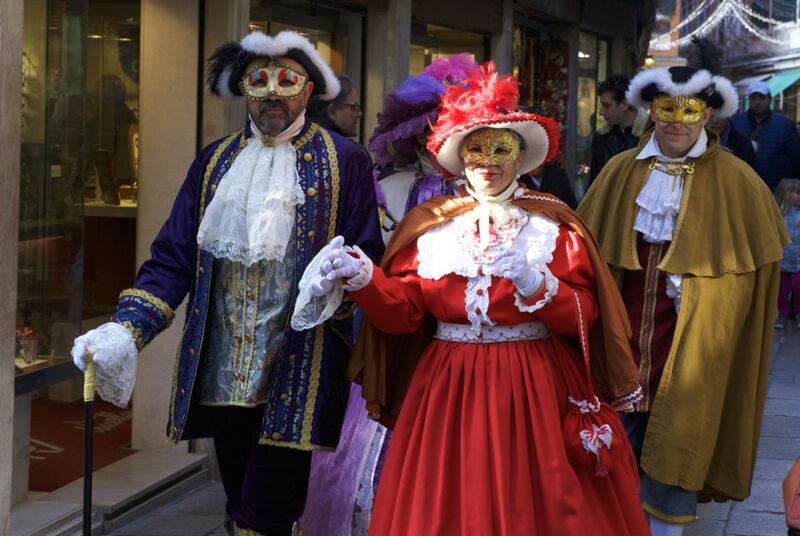 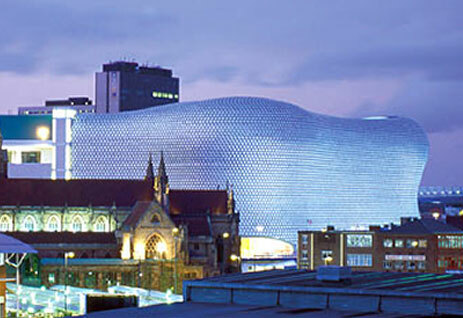 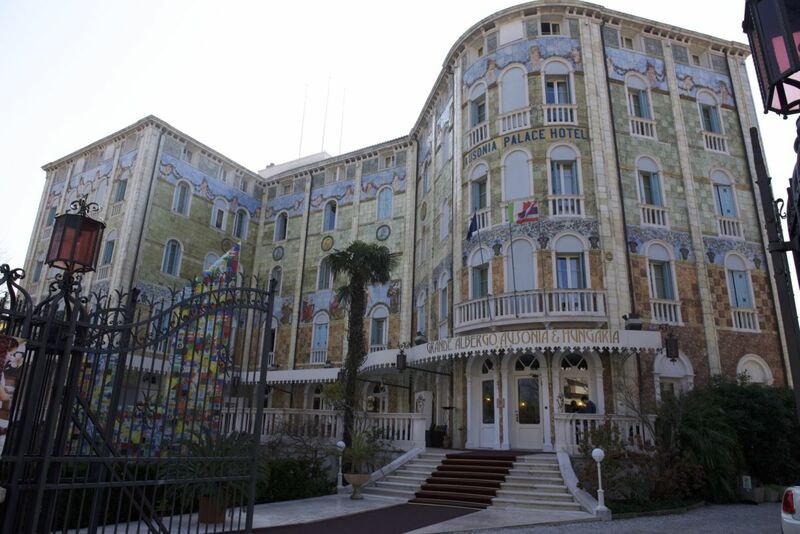 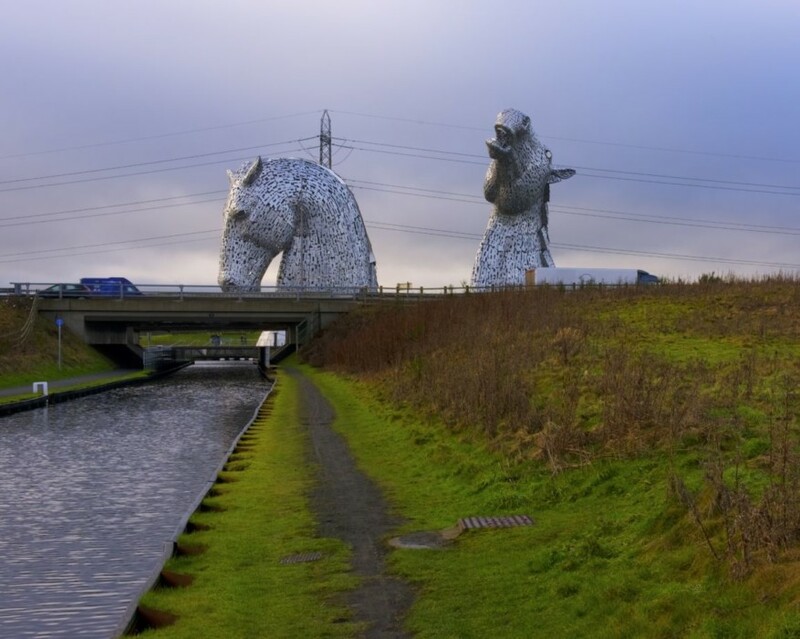 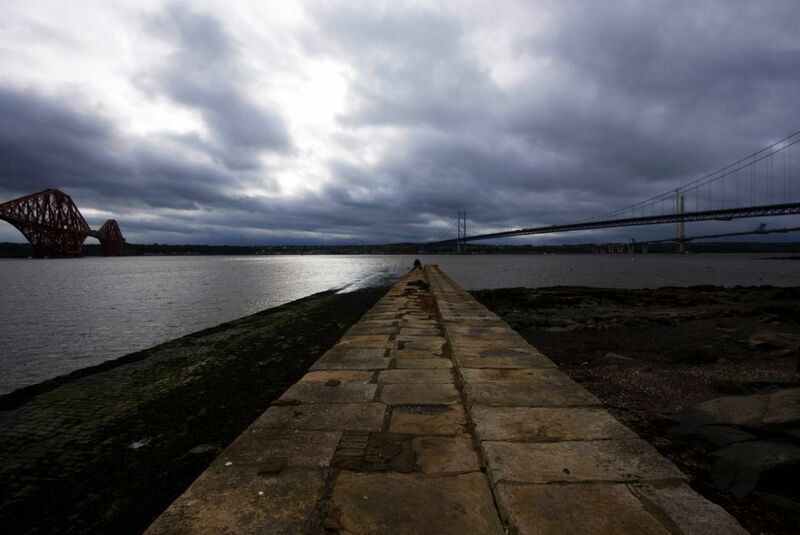 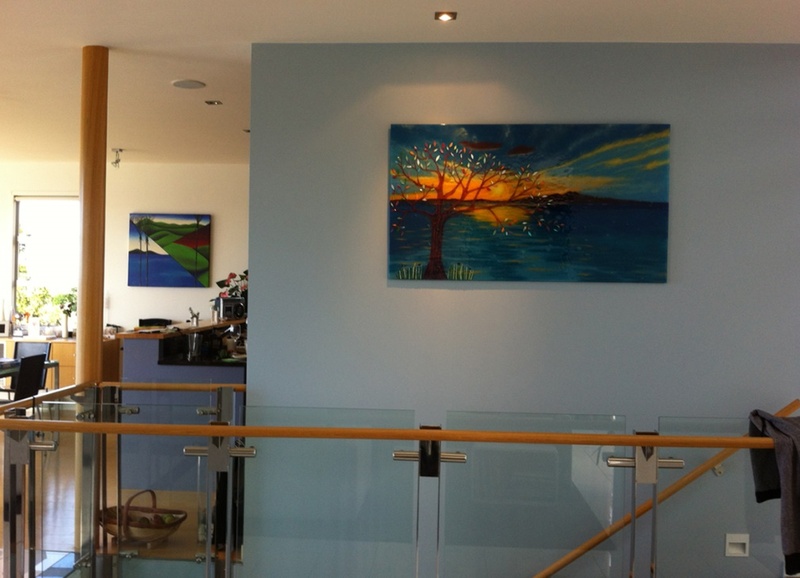 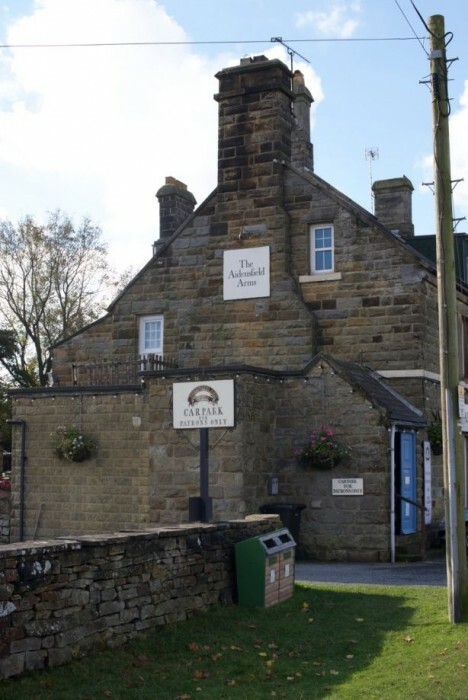 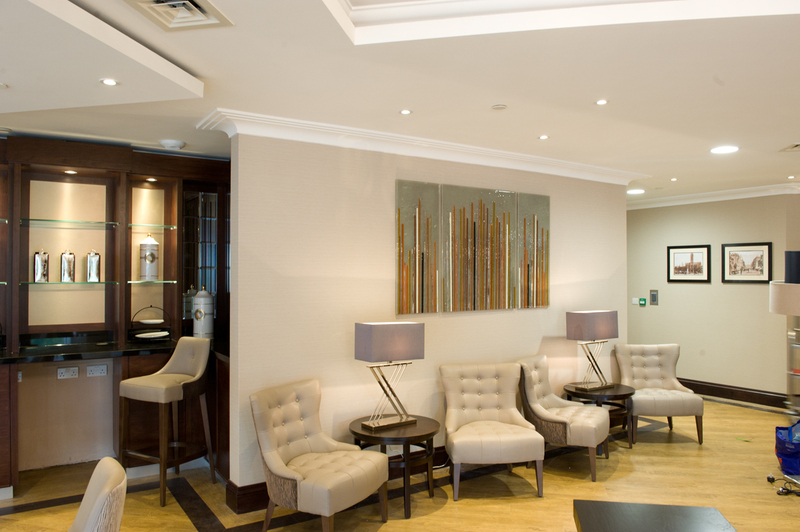 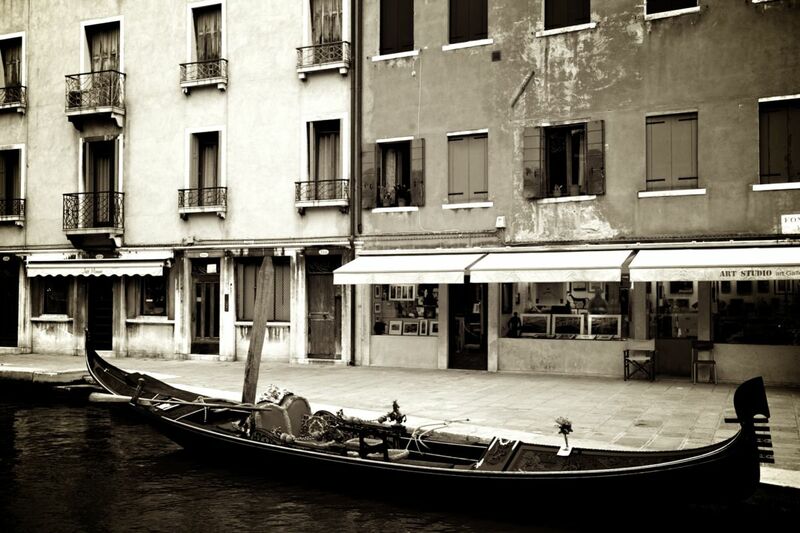 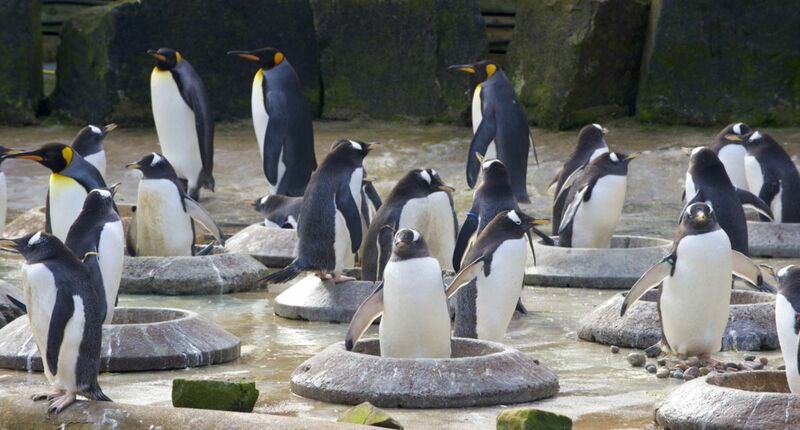 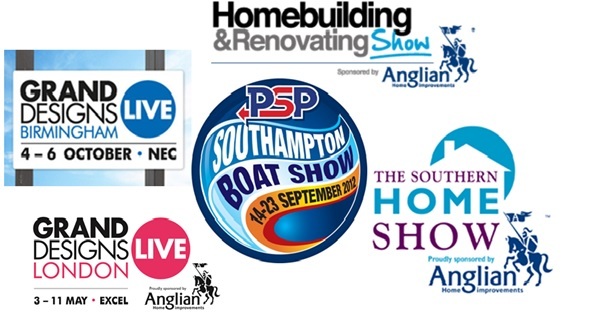 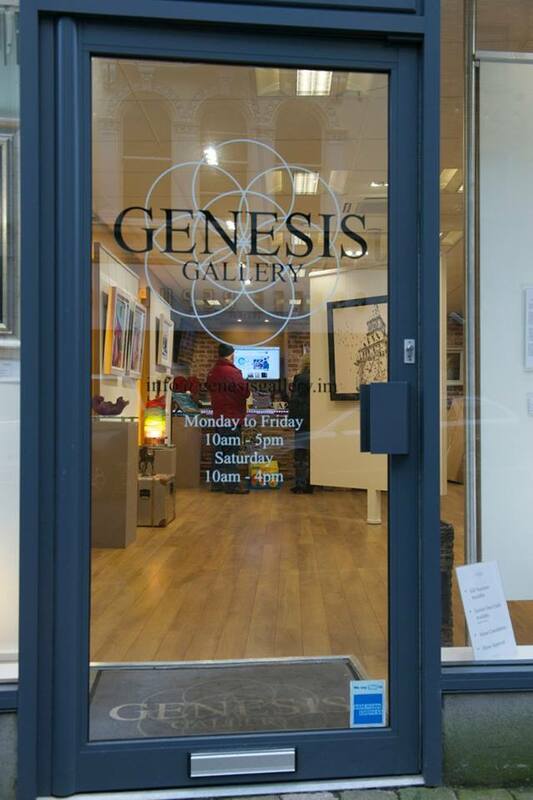 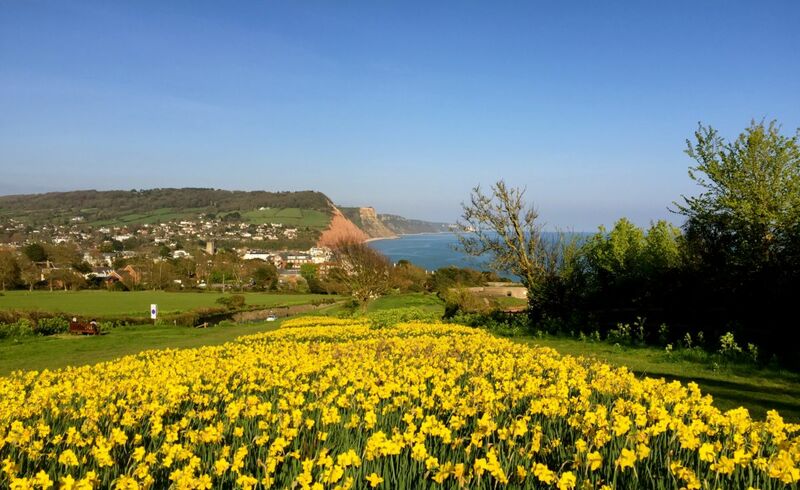 You can find our full contact details right here on our website, so what are you waiting for? 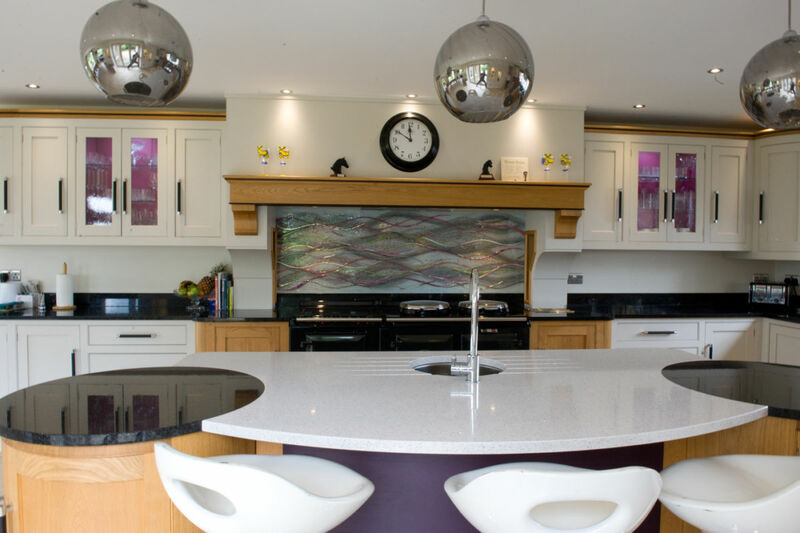 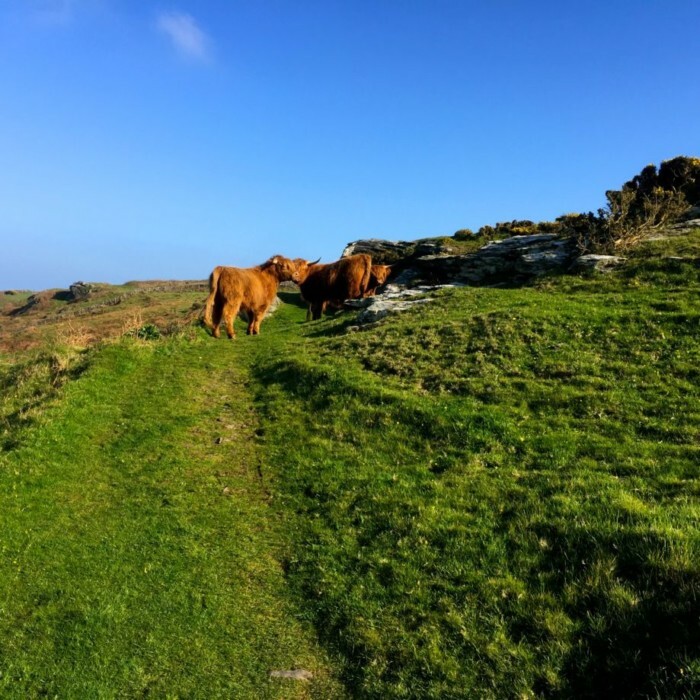 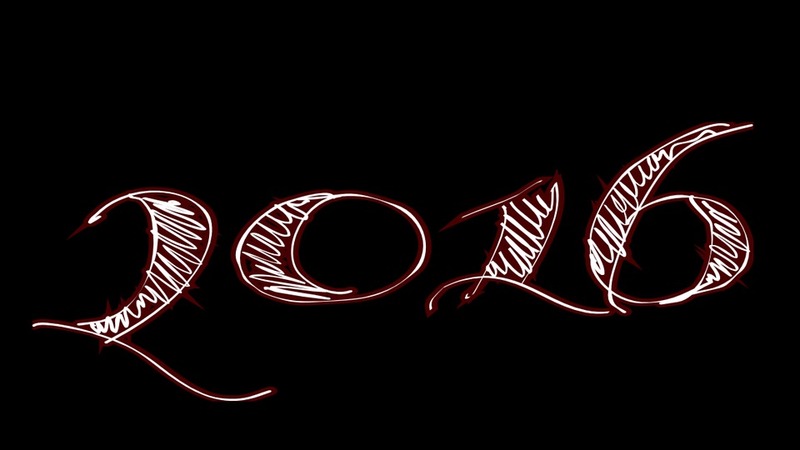 Pick up the phone or drop us an email as soon as you can!